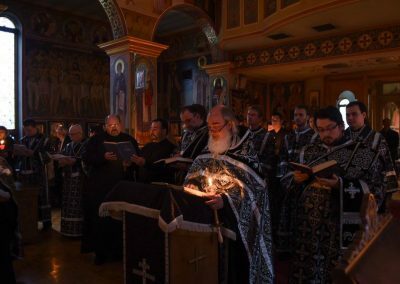 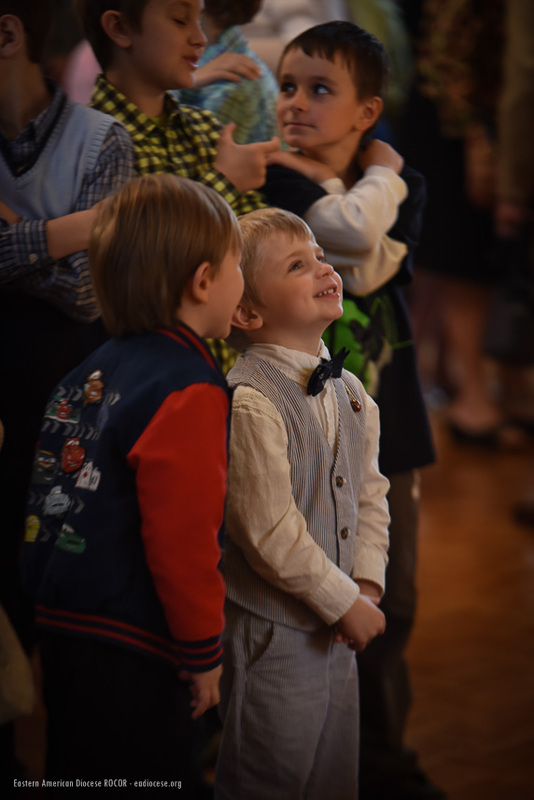 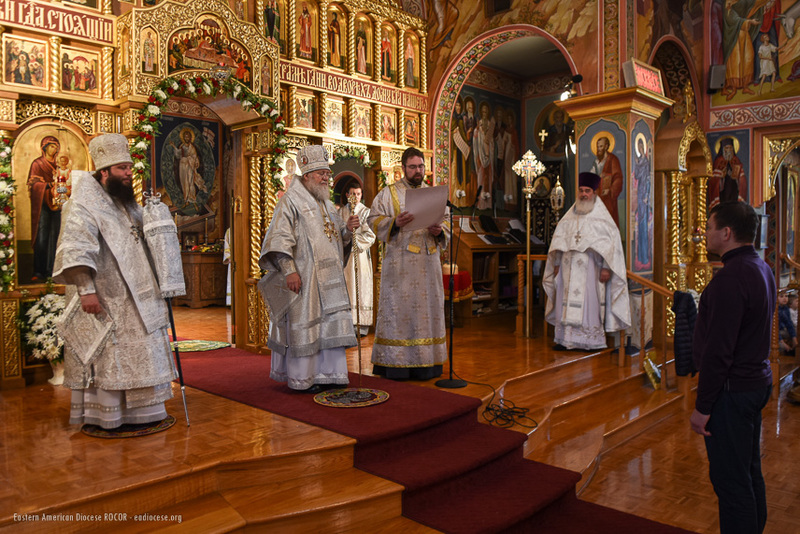 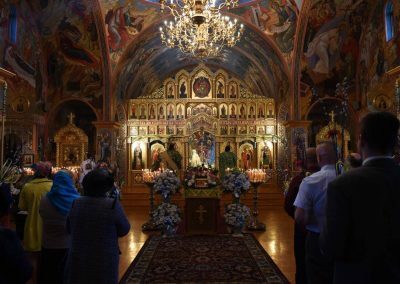 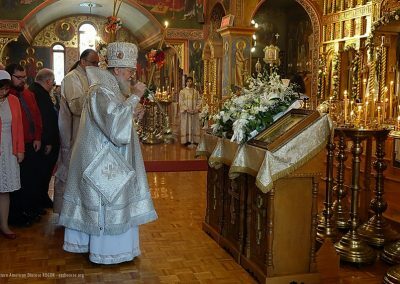 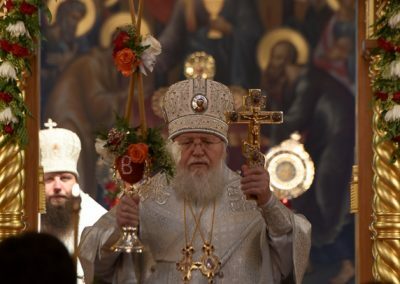 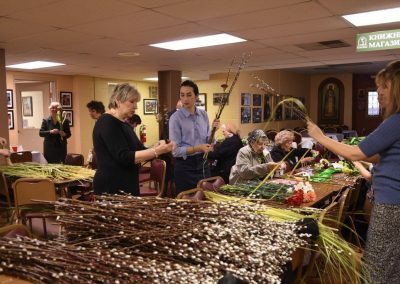 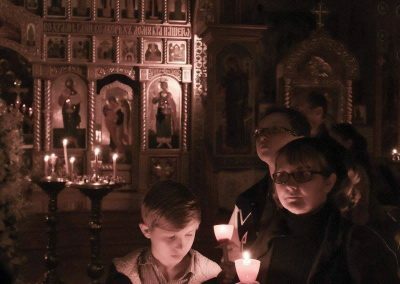 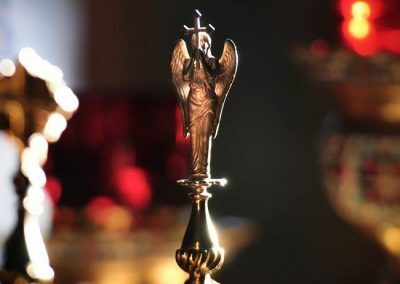 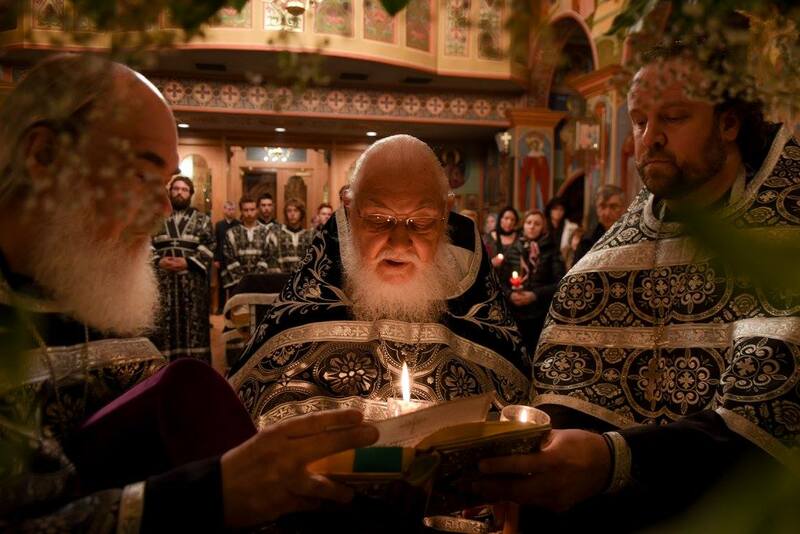 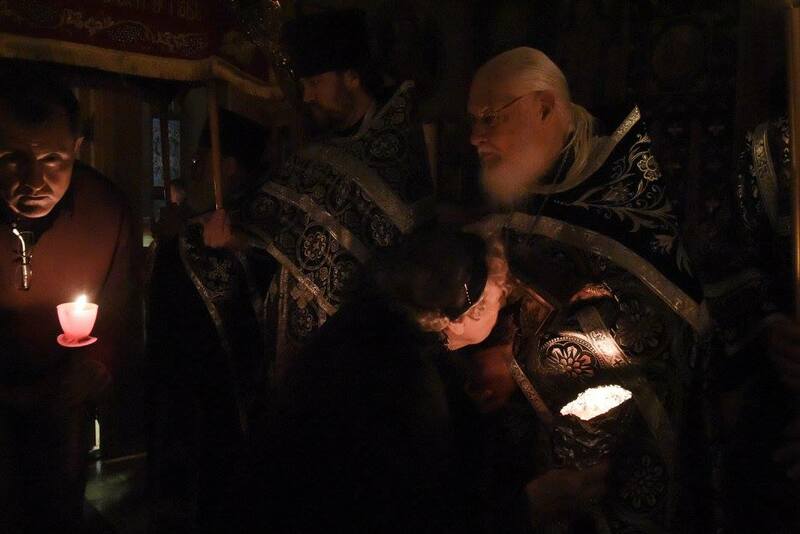 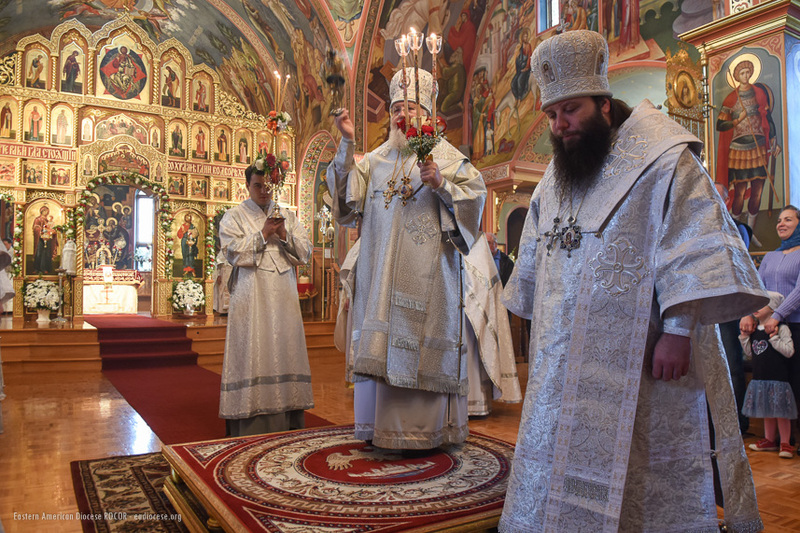 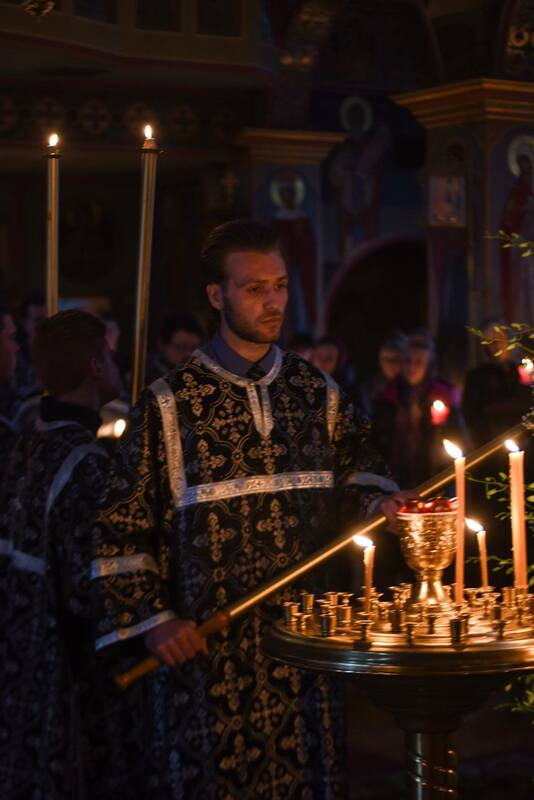 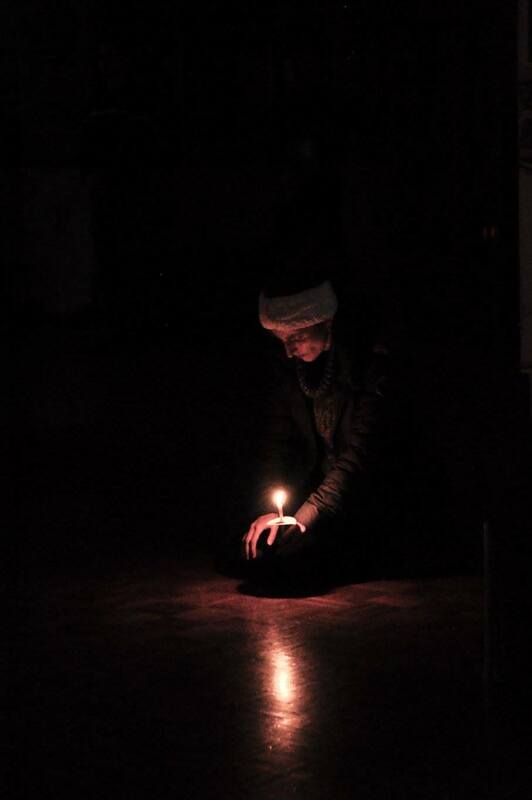 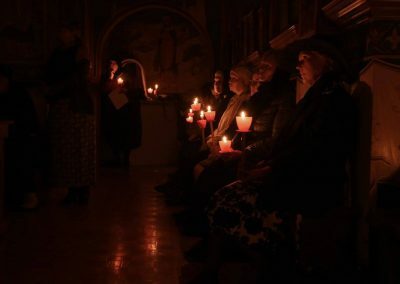 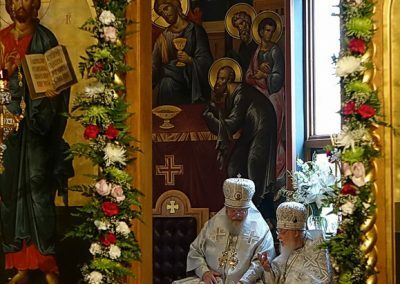 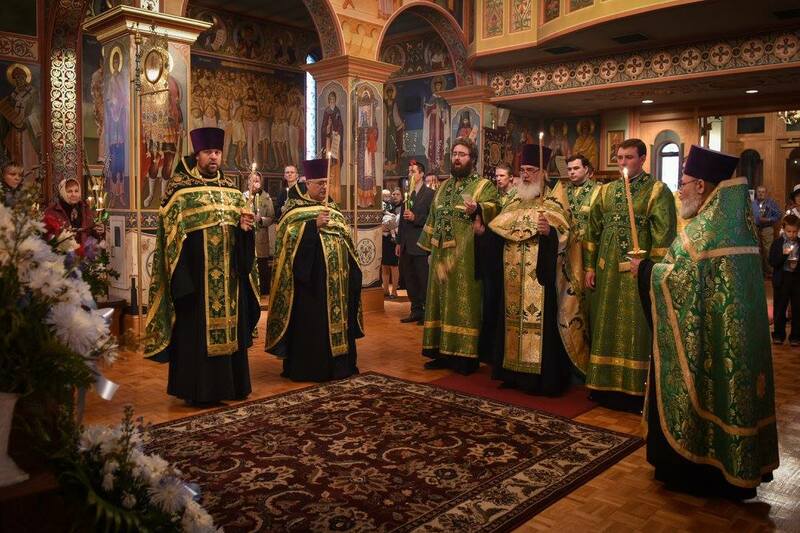 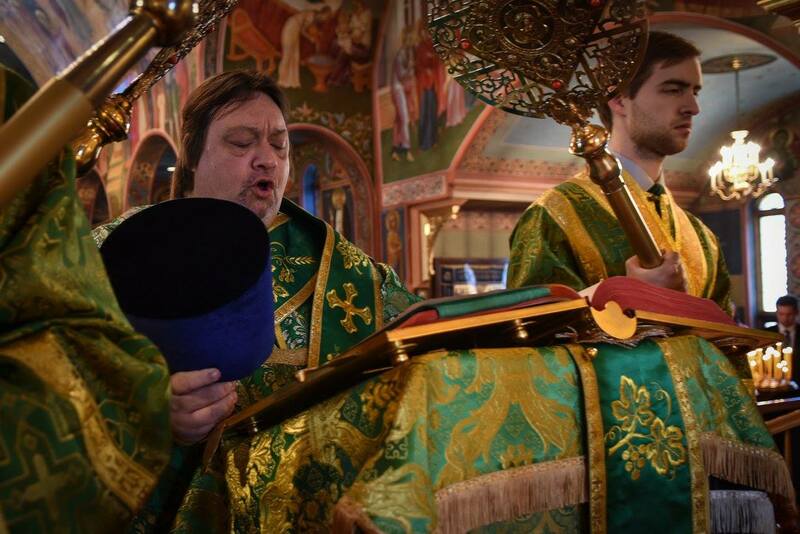 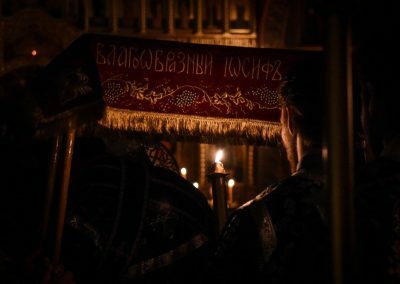 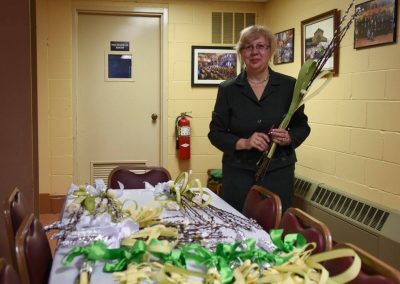 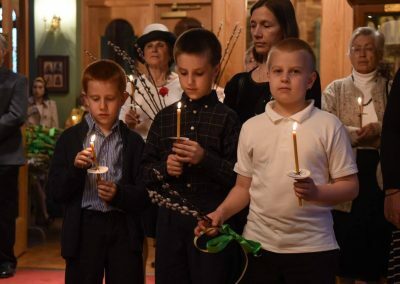 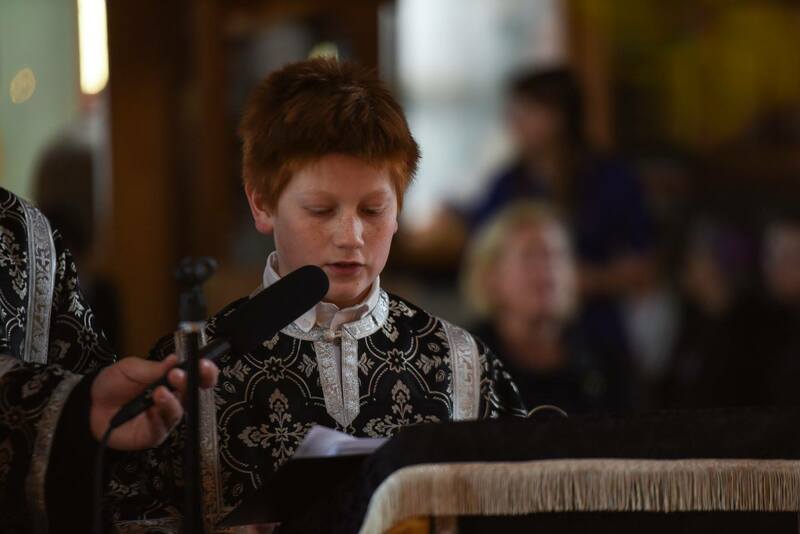 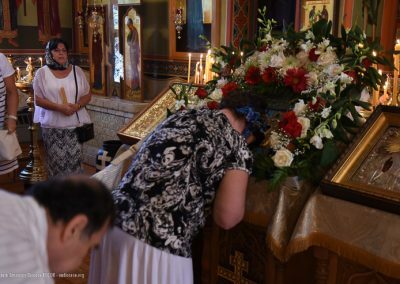 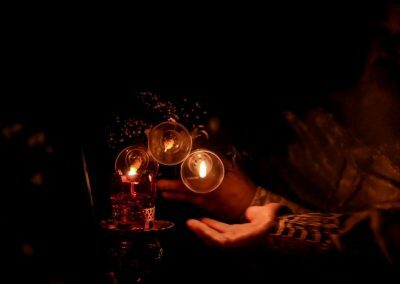 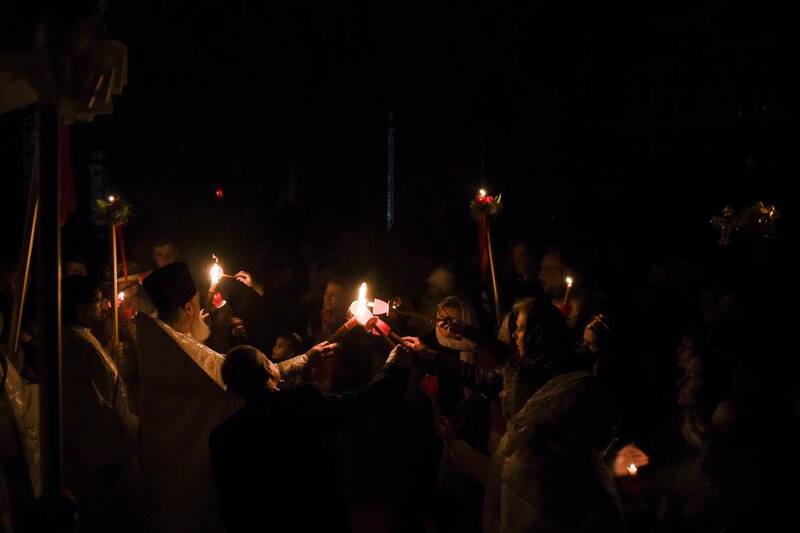 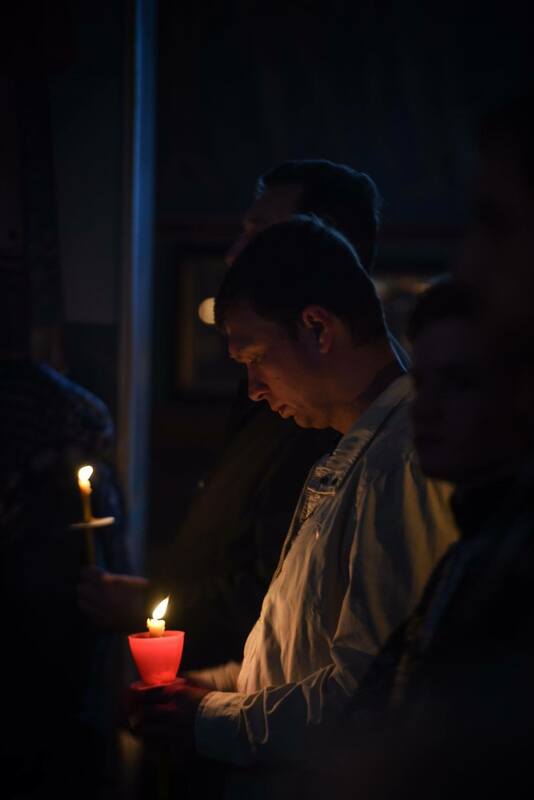 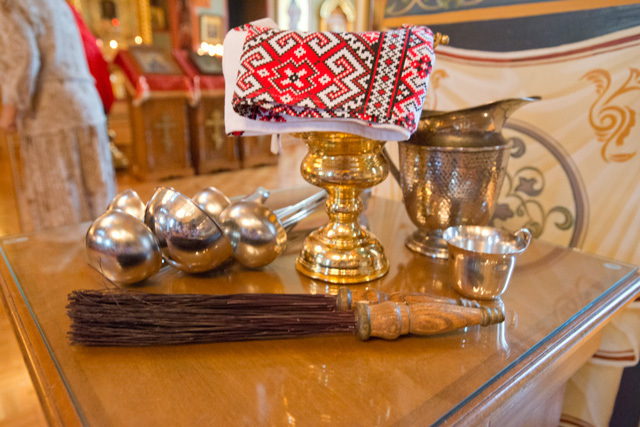 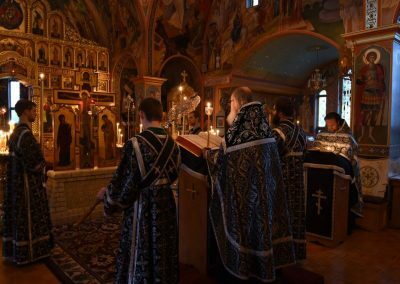 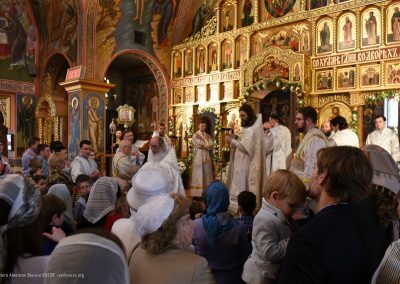 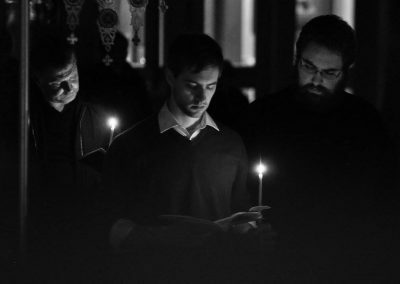 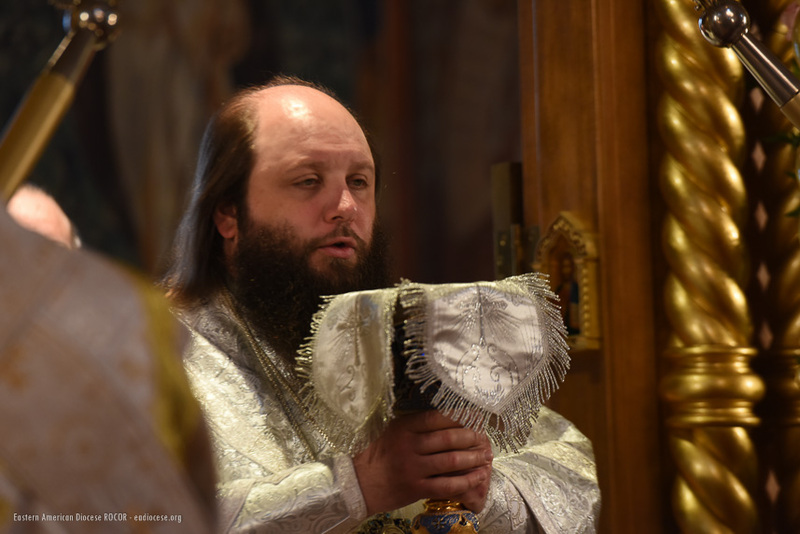 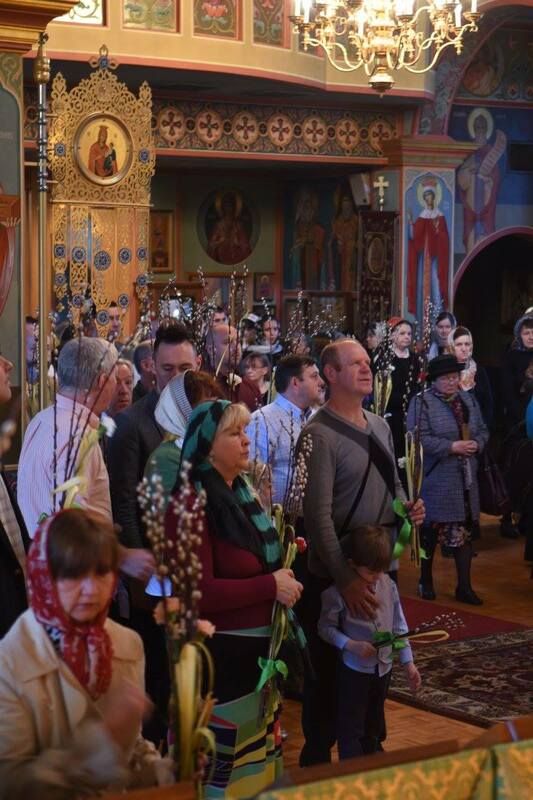 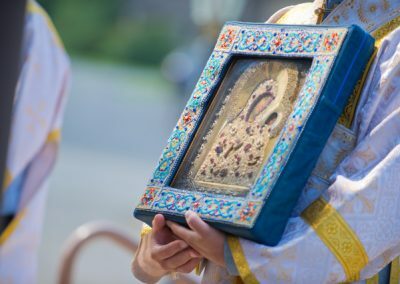 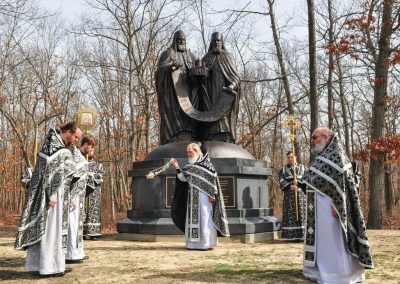 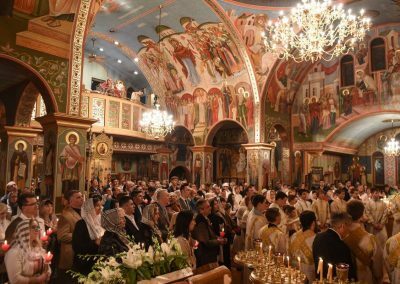 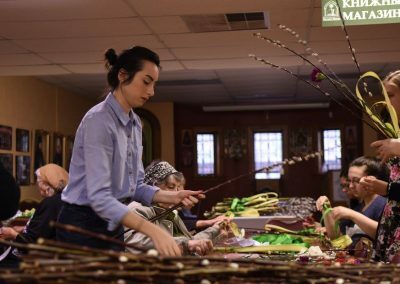 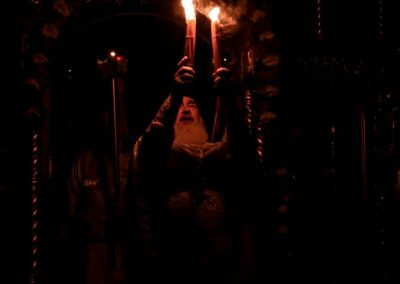 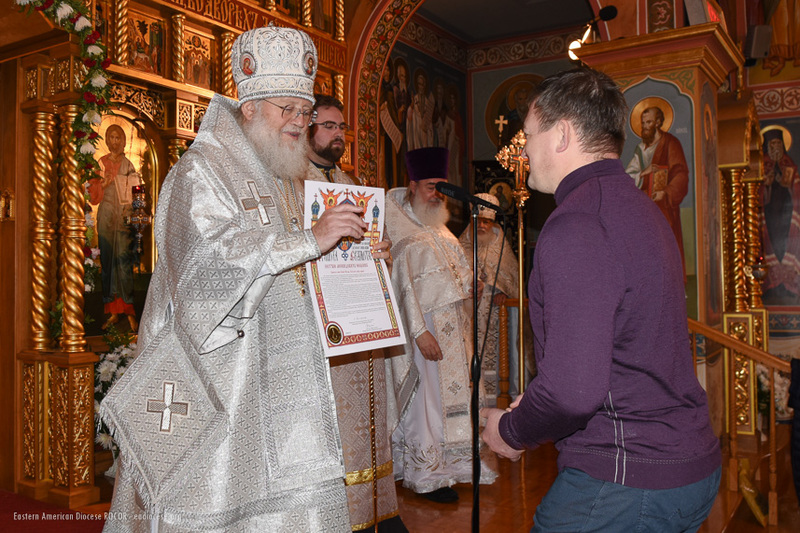 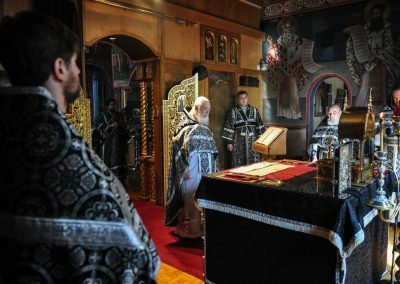 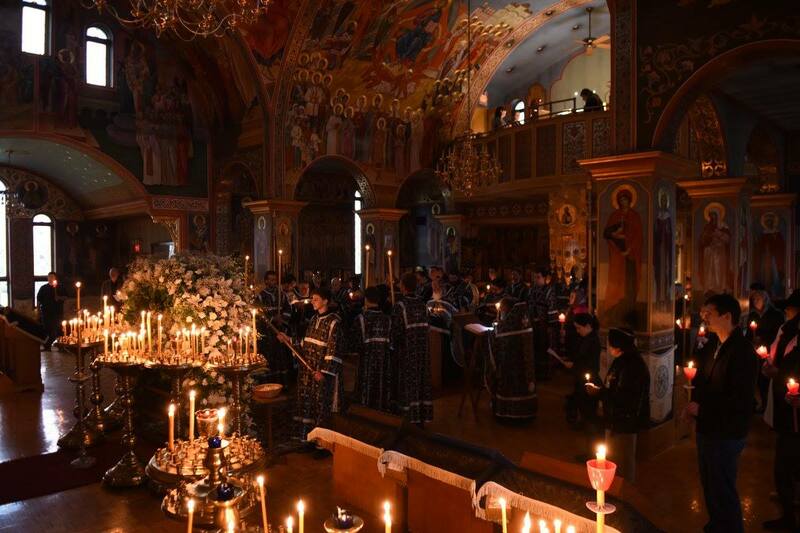 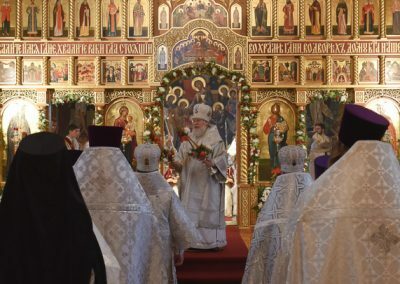 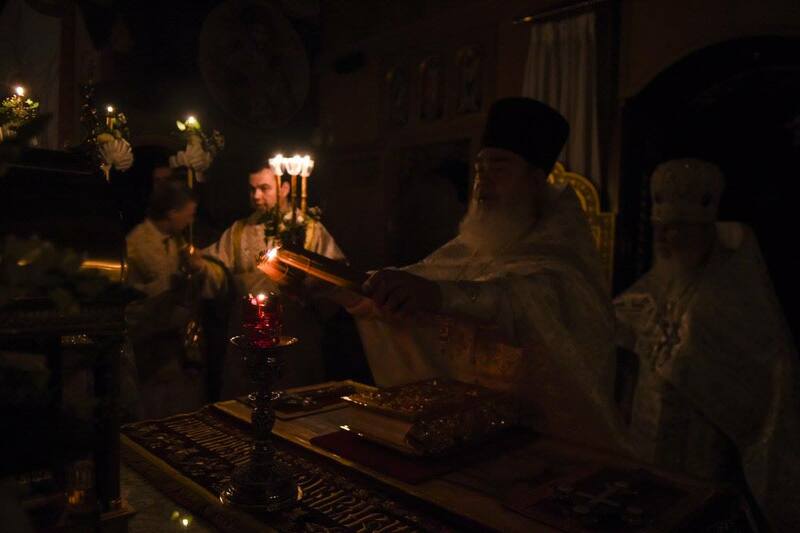 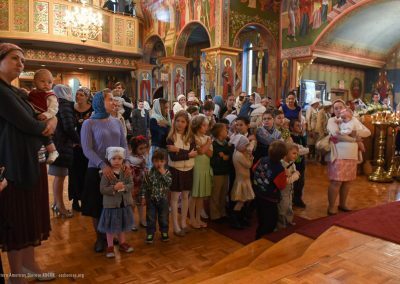 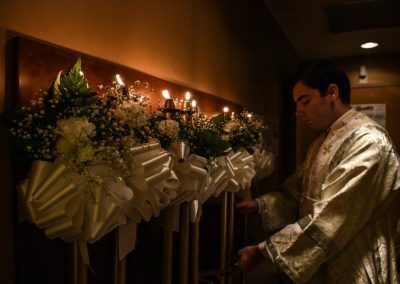 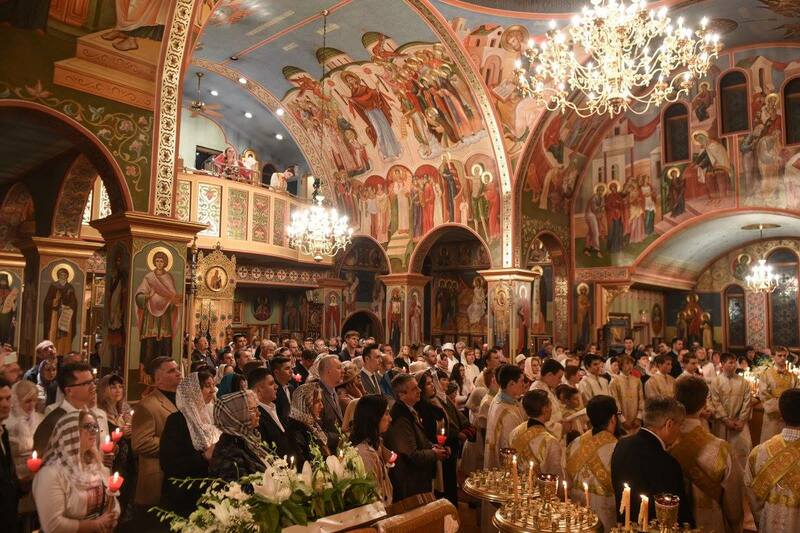 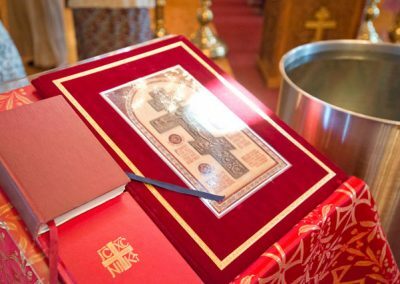 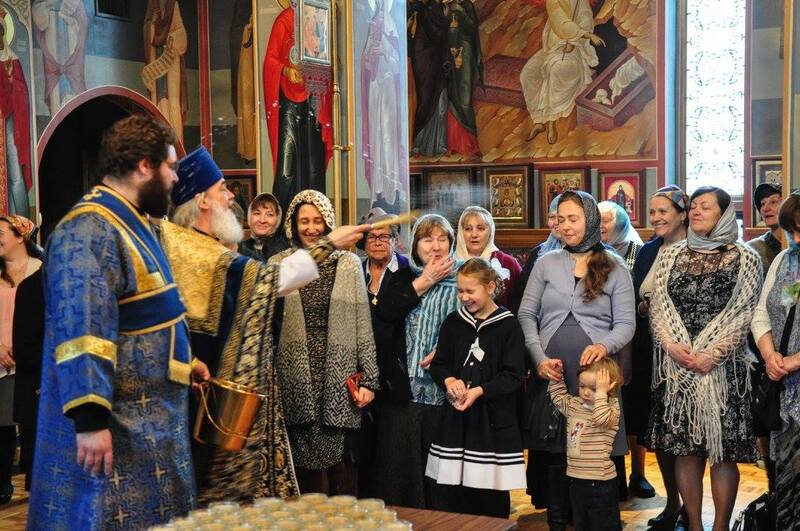 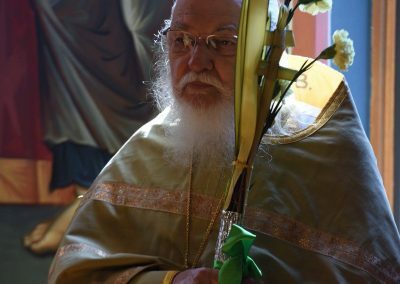 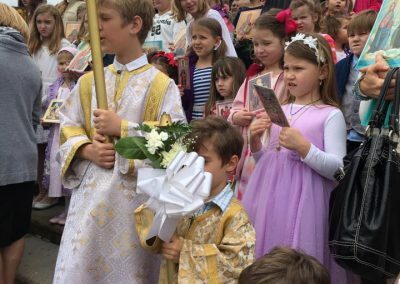 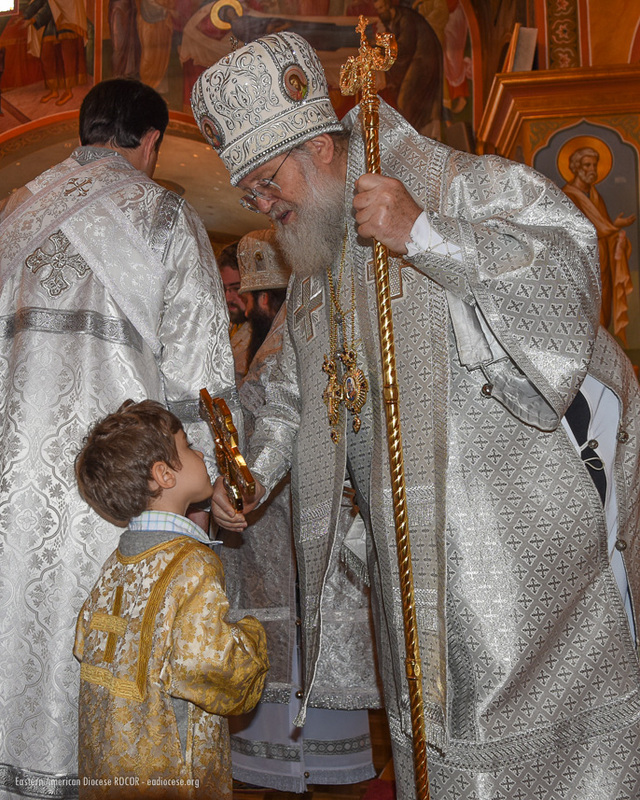 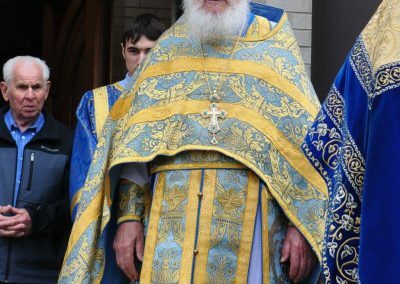 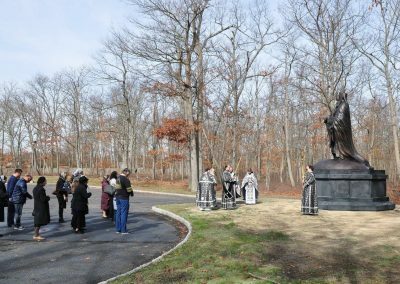 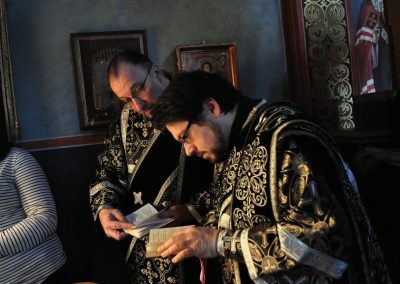 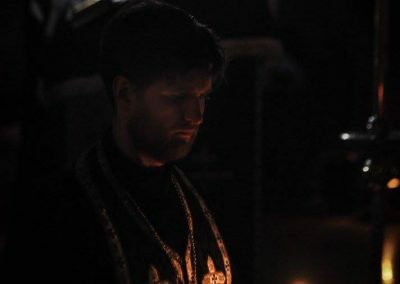 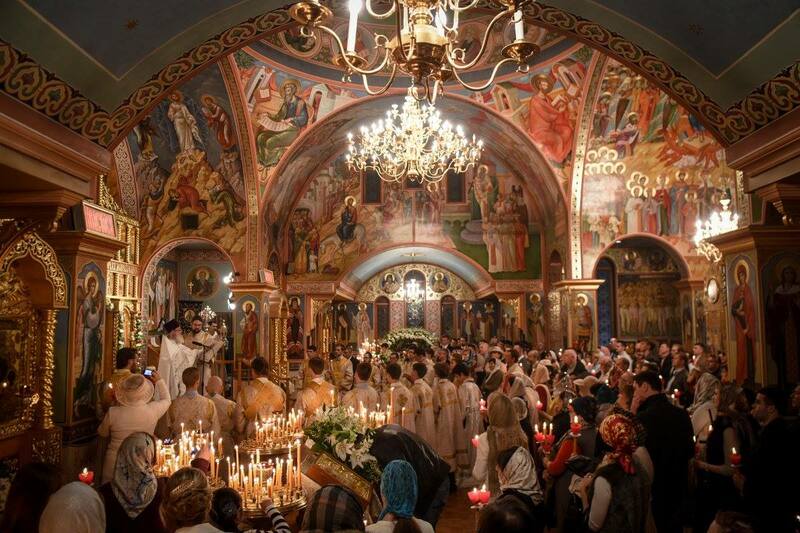 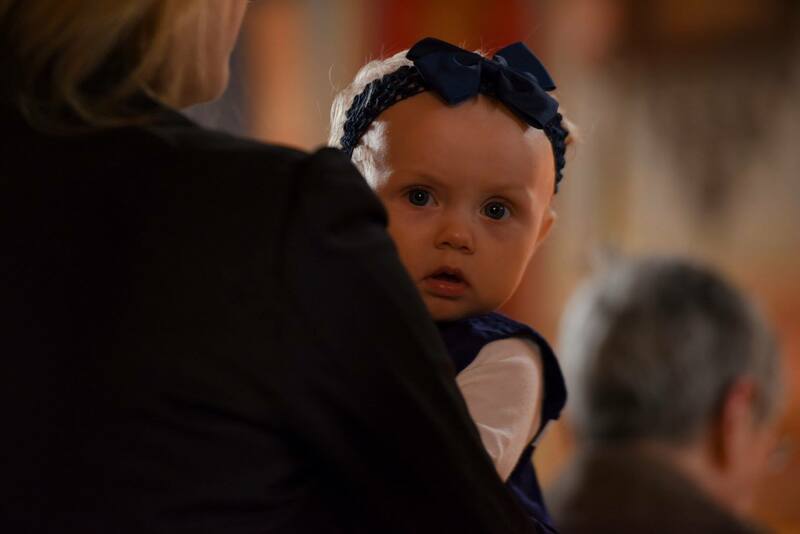 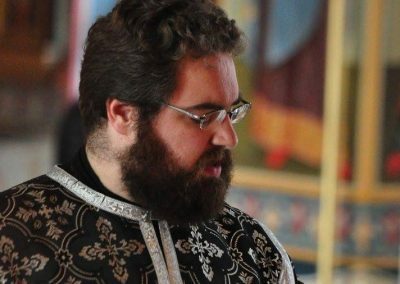 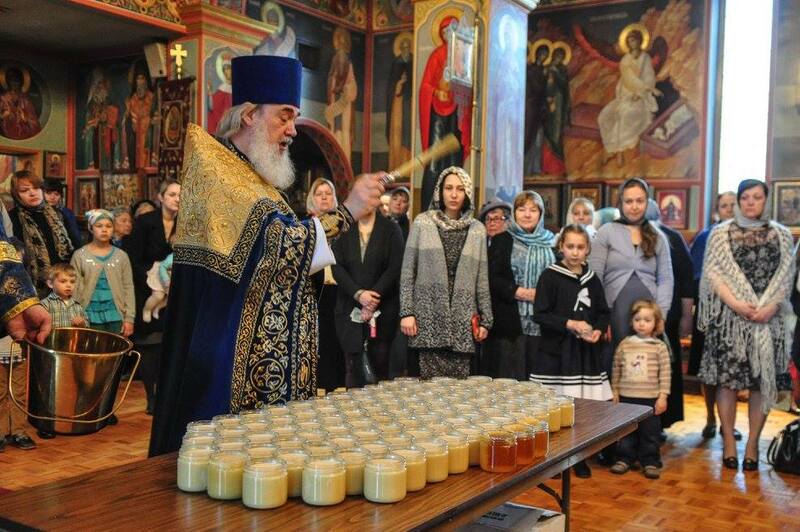 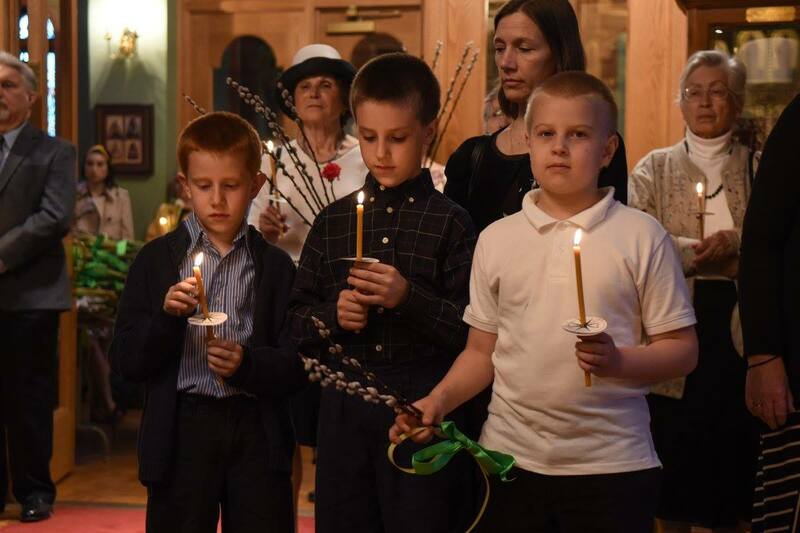 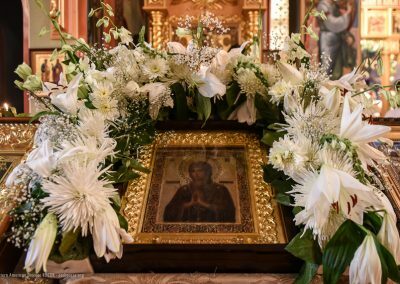 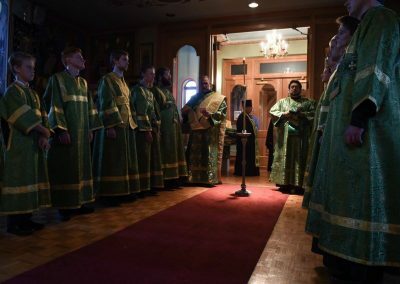 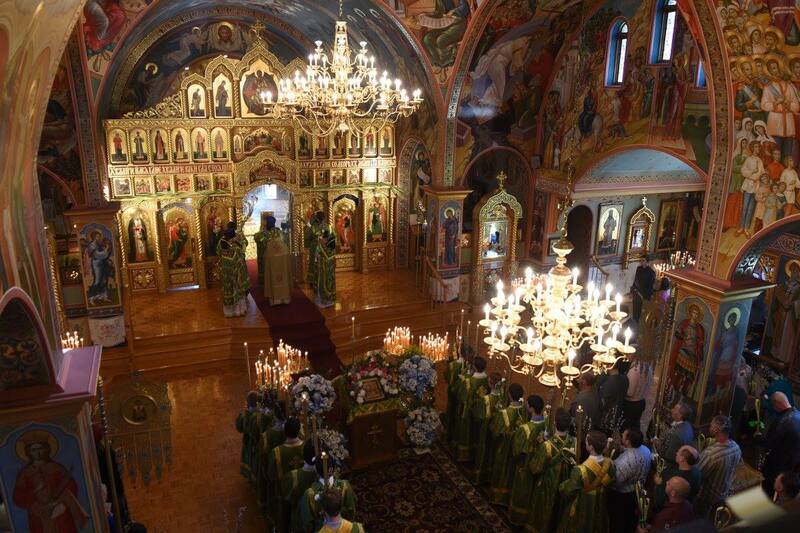 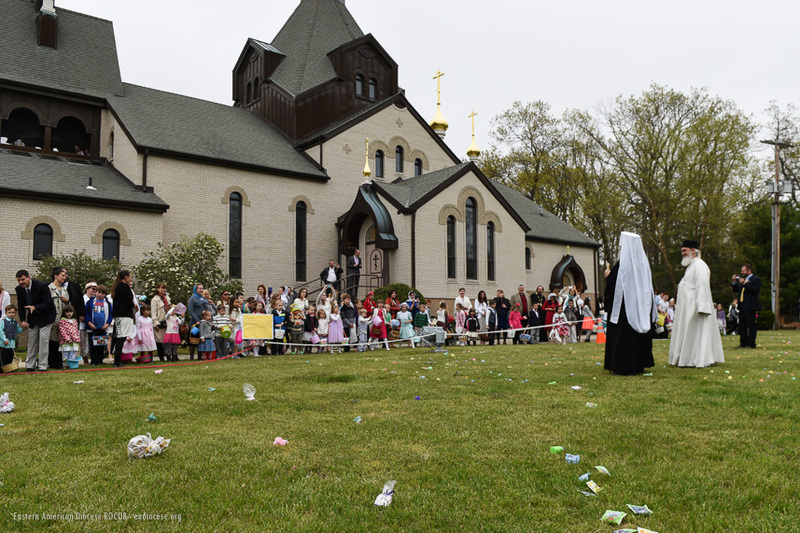 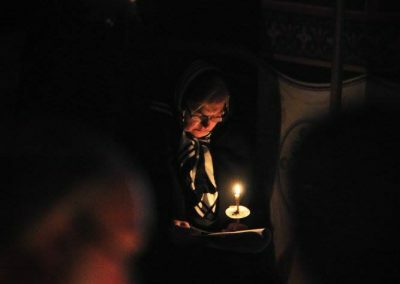 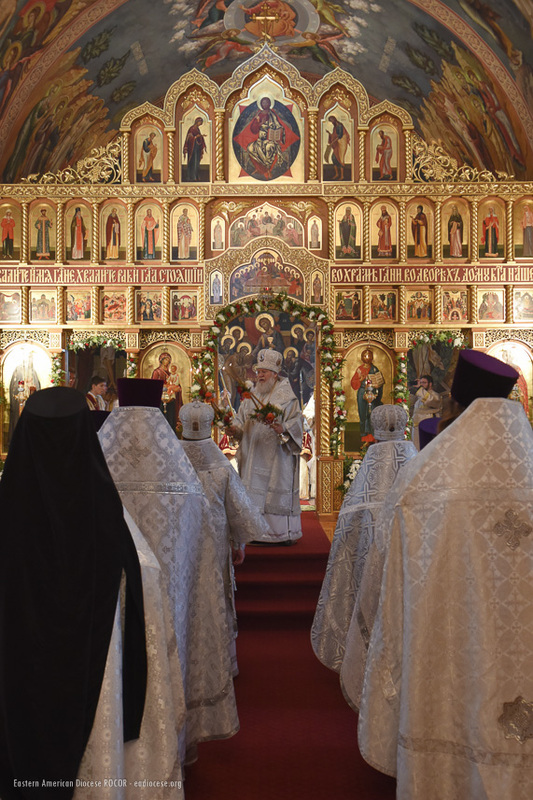 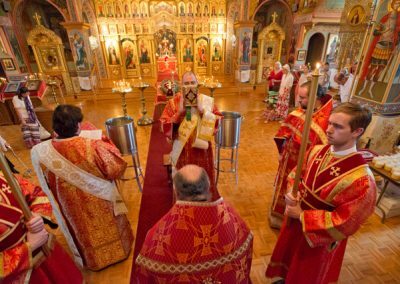 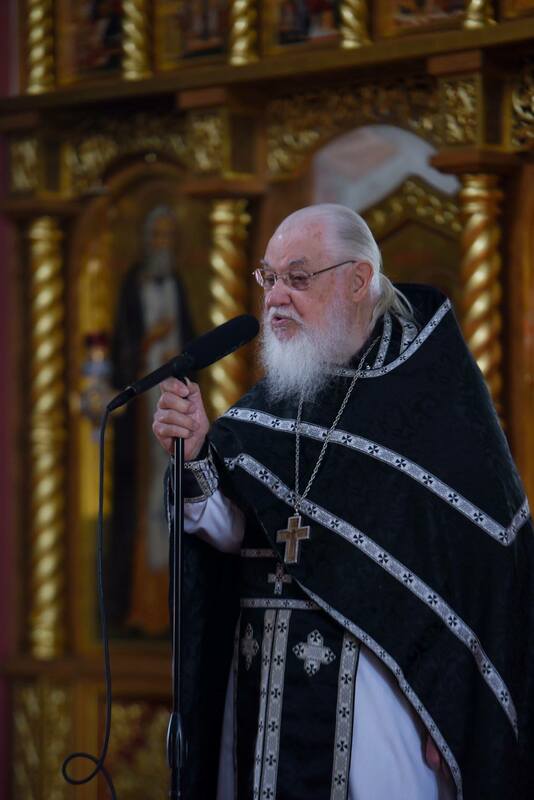 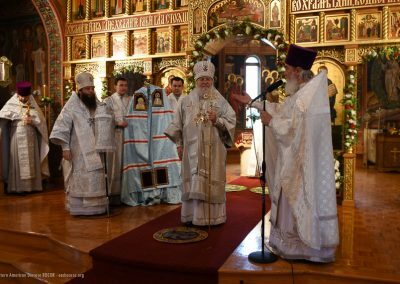 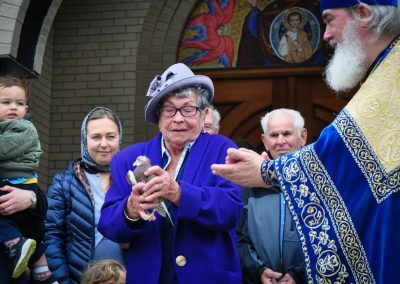 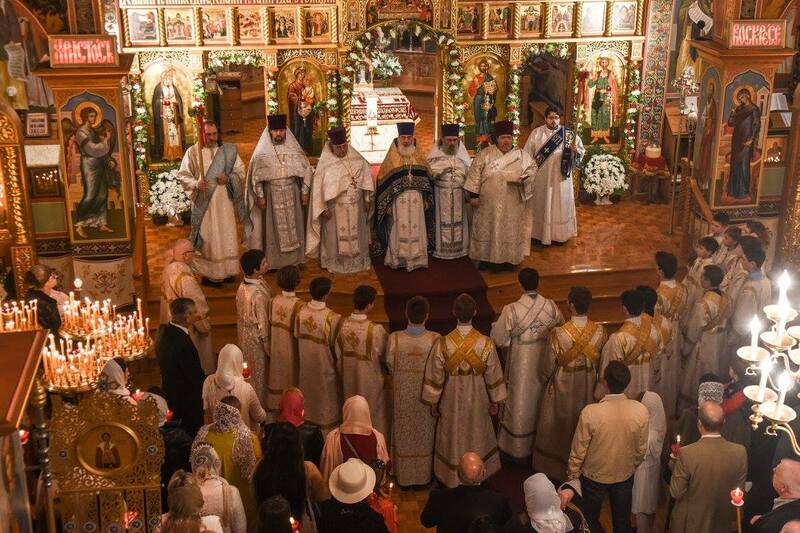 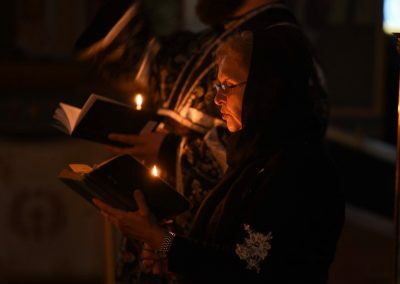 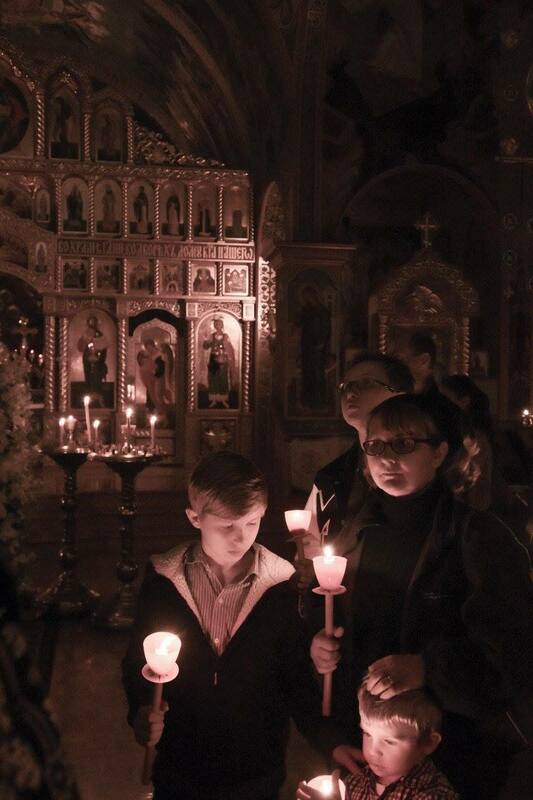 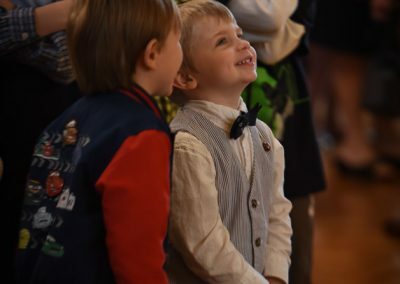 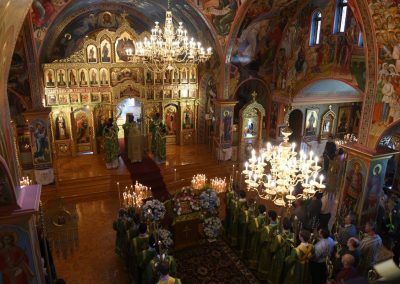 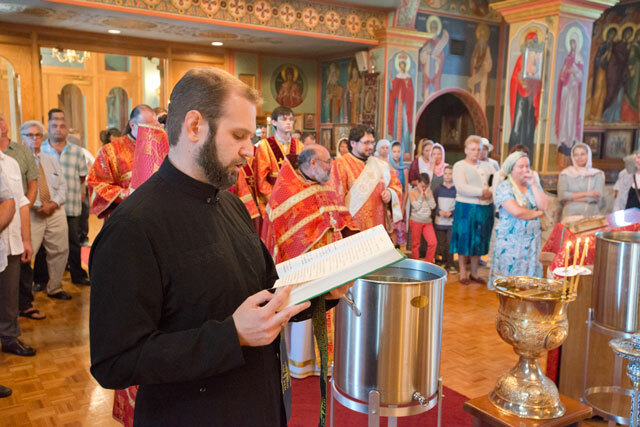 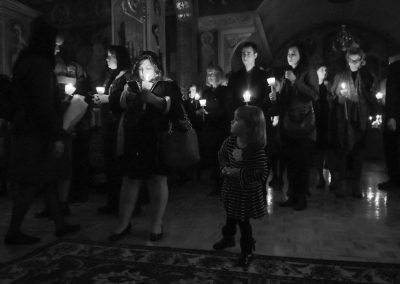 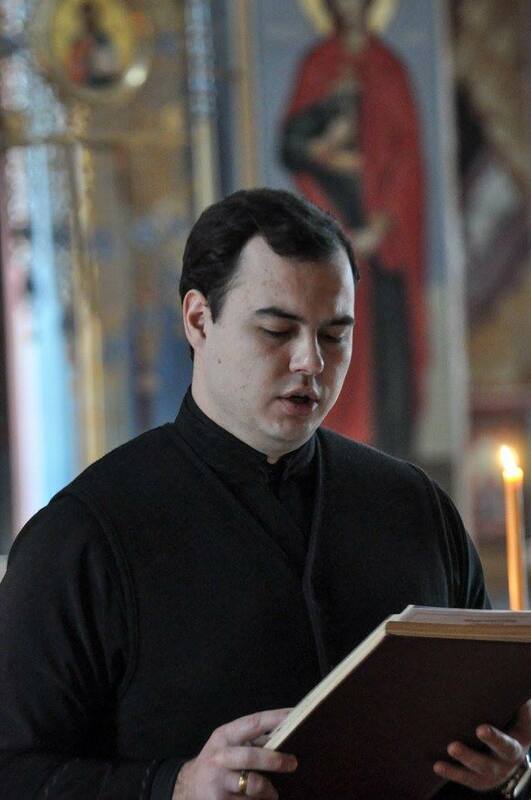 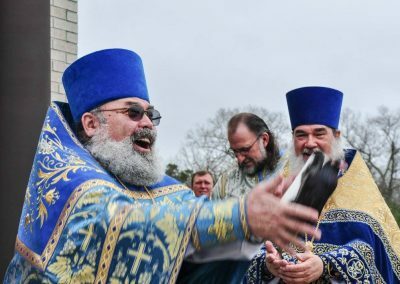 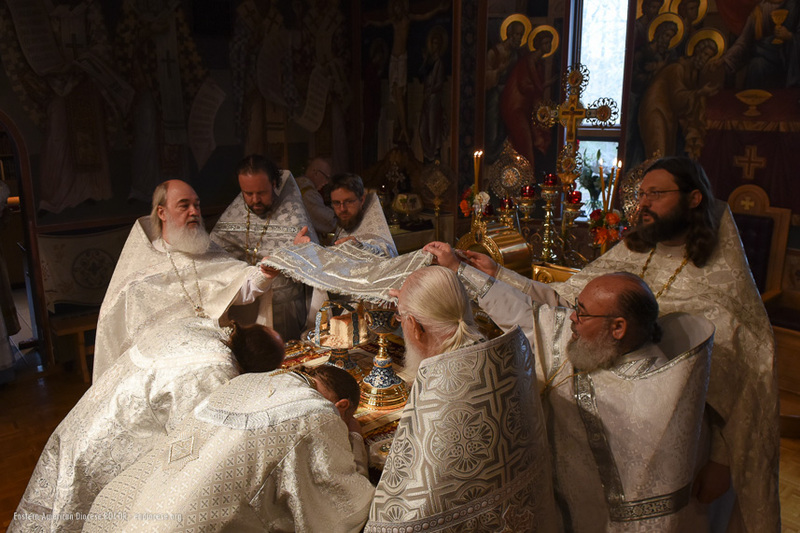 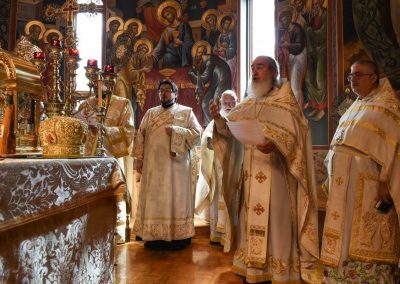 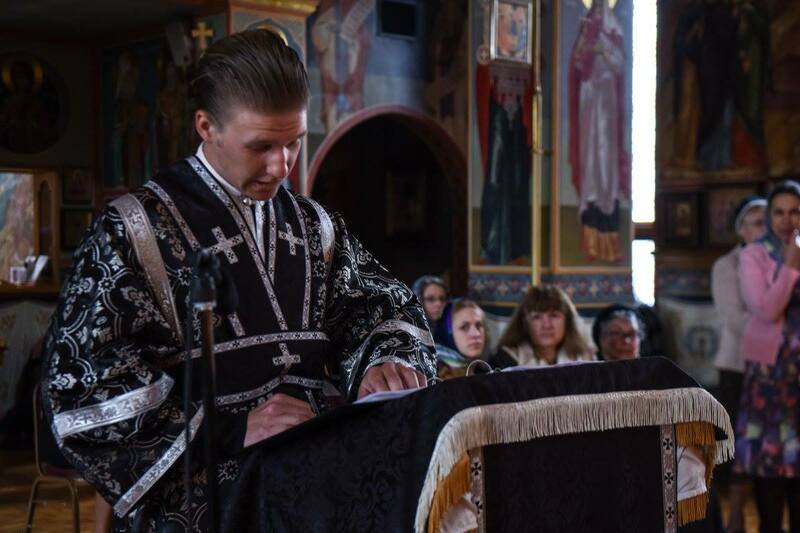 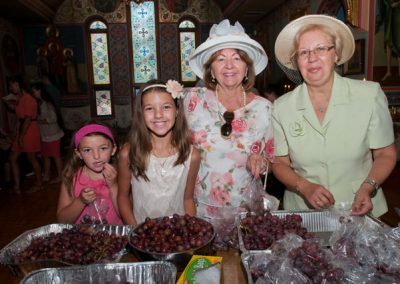 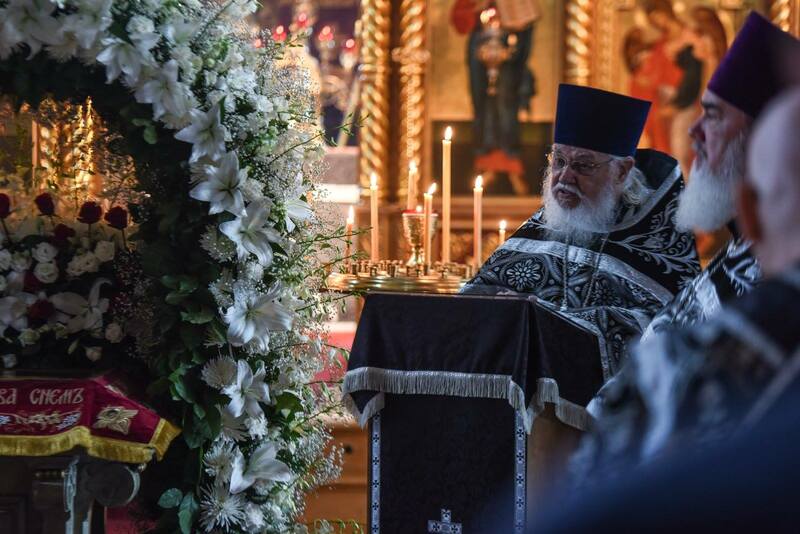 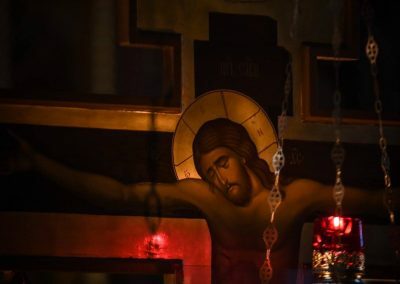 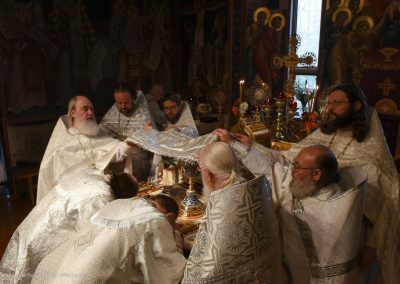 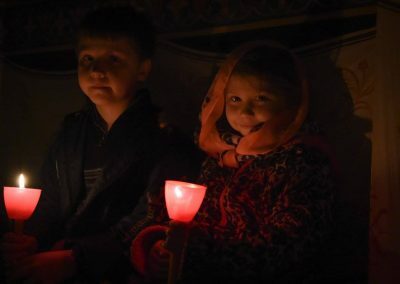 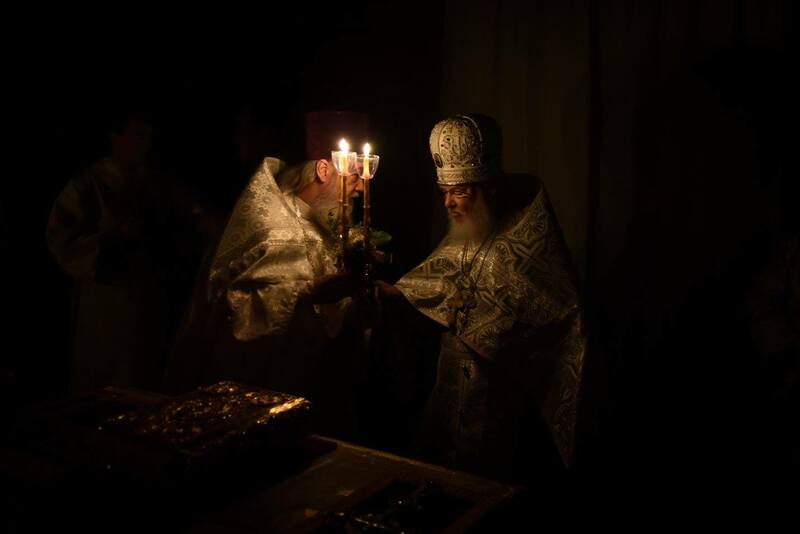 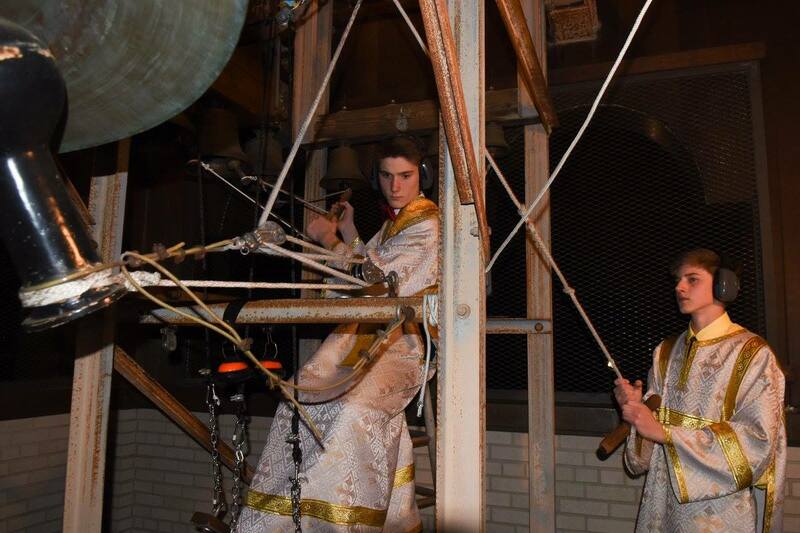 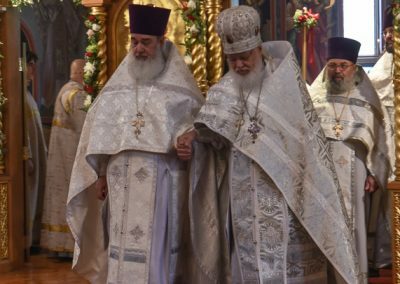 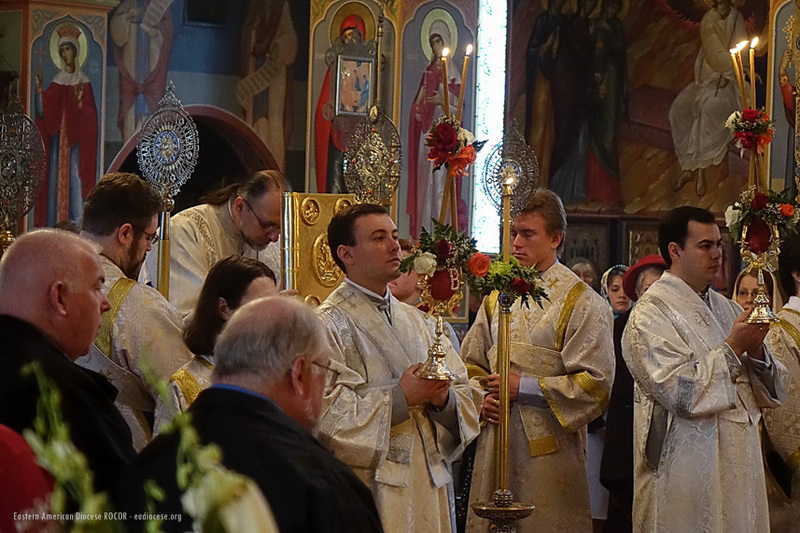 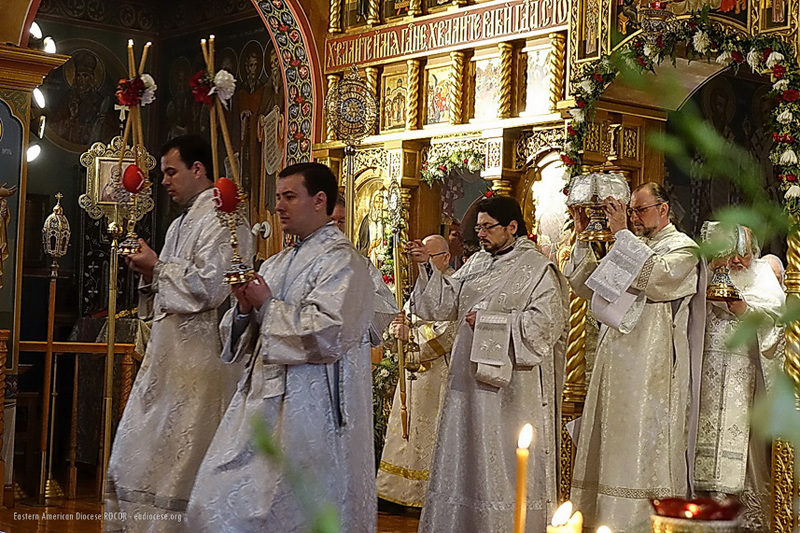 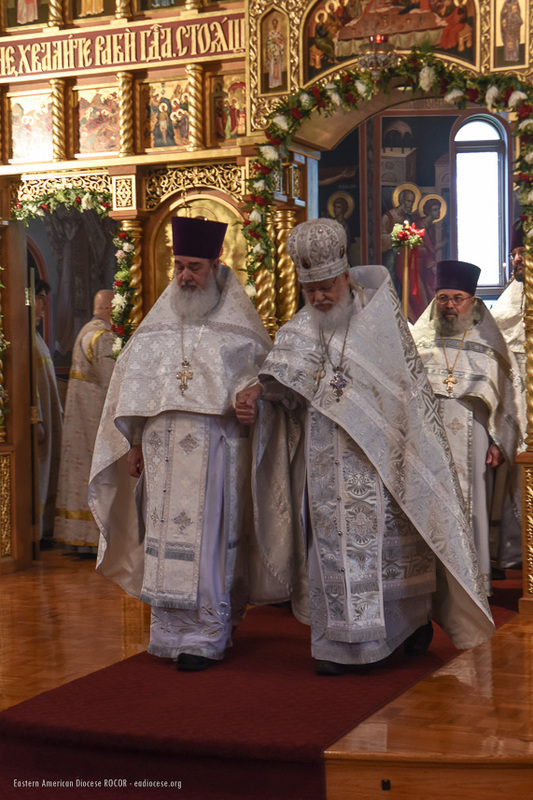 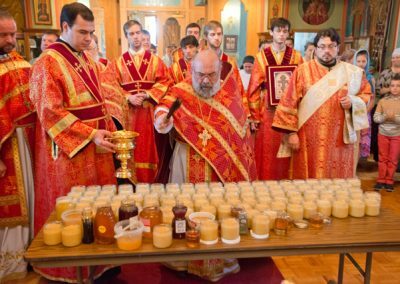 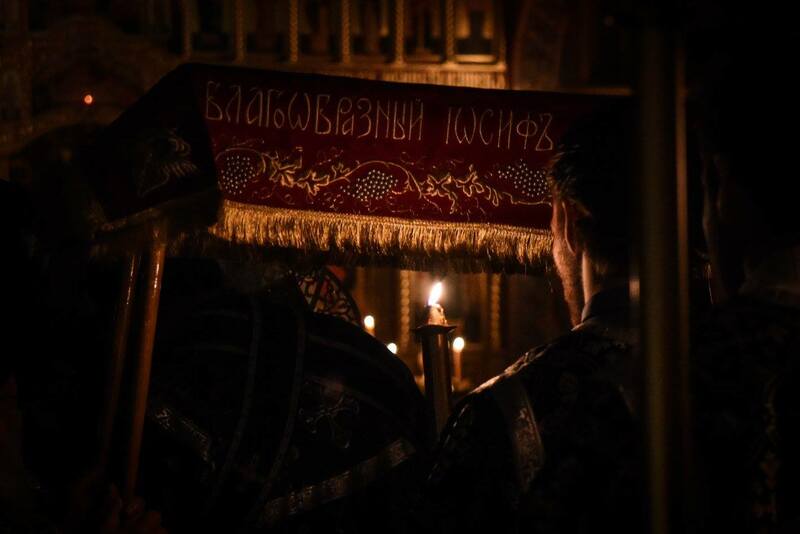 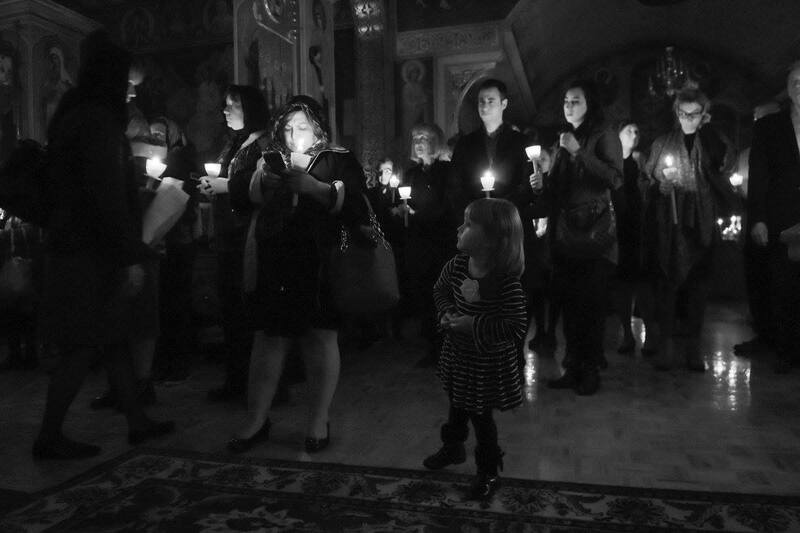 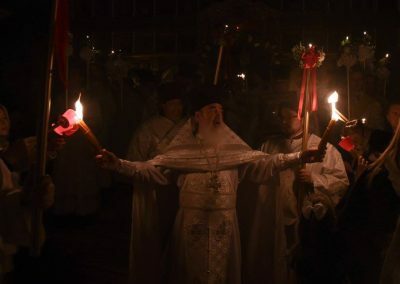 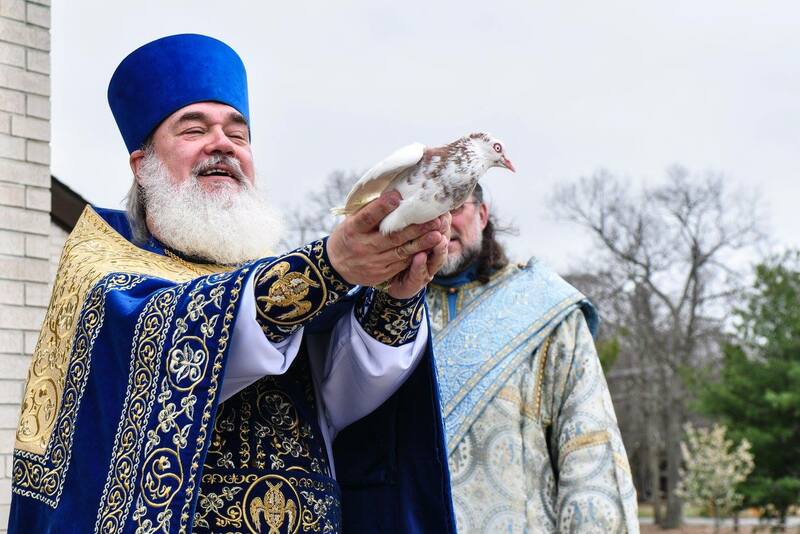 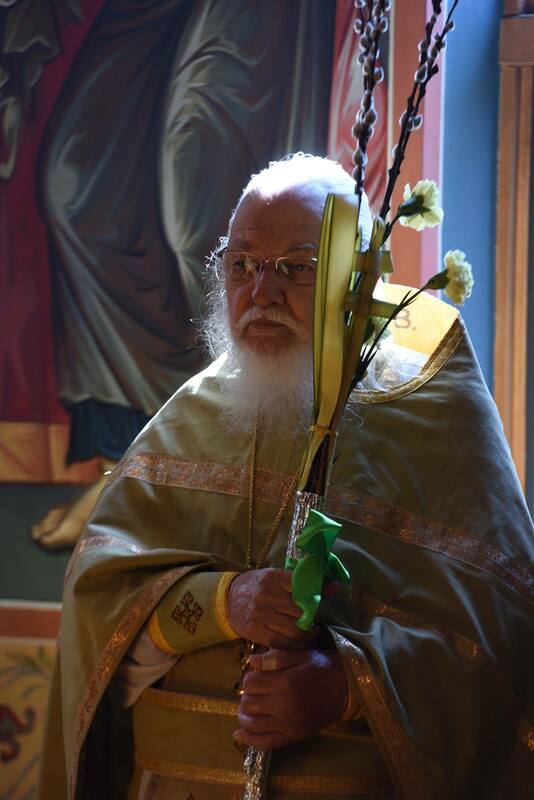 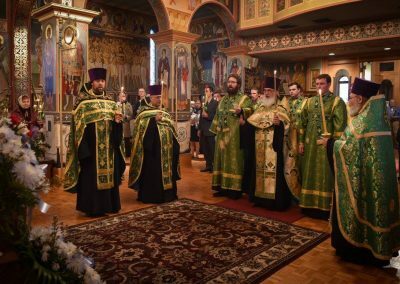 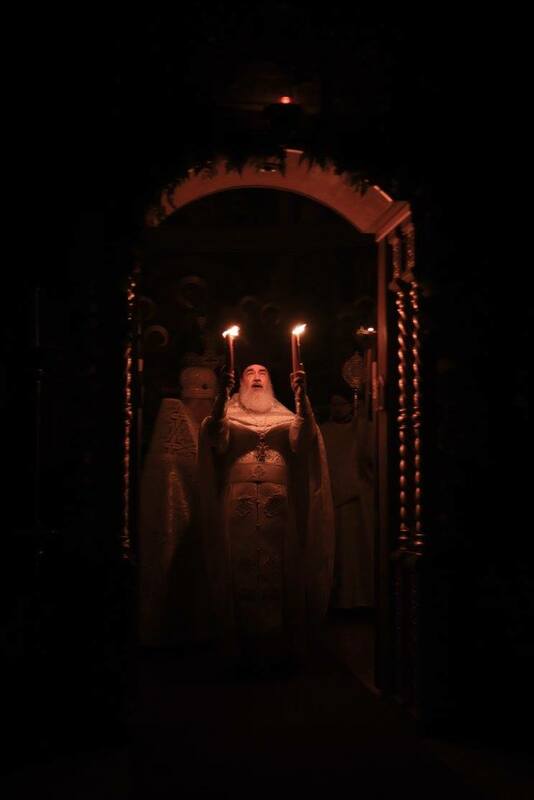 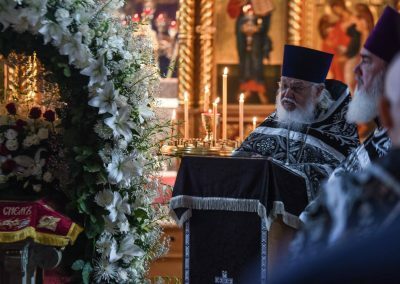 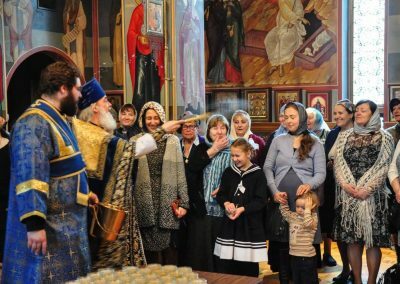 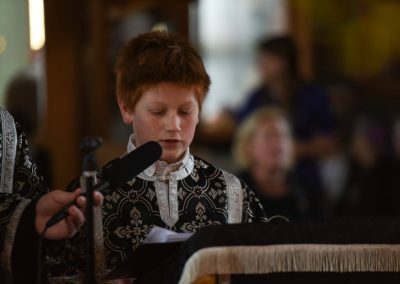 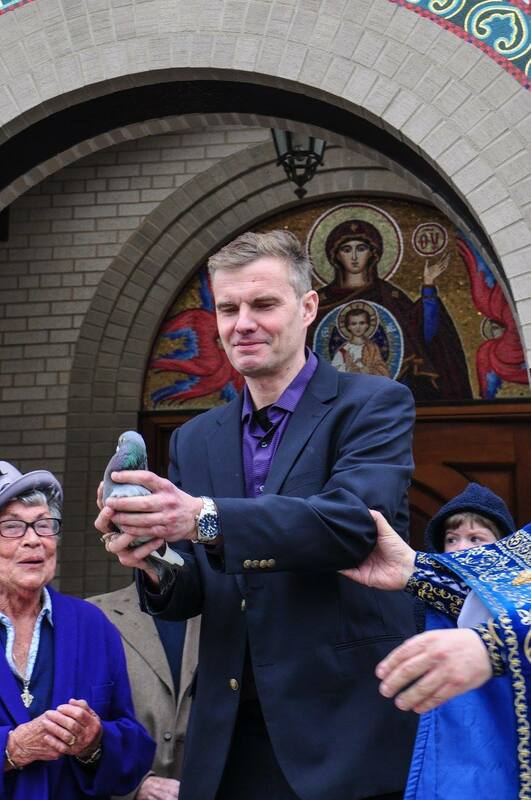 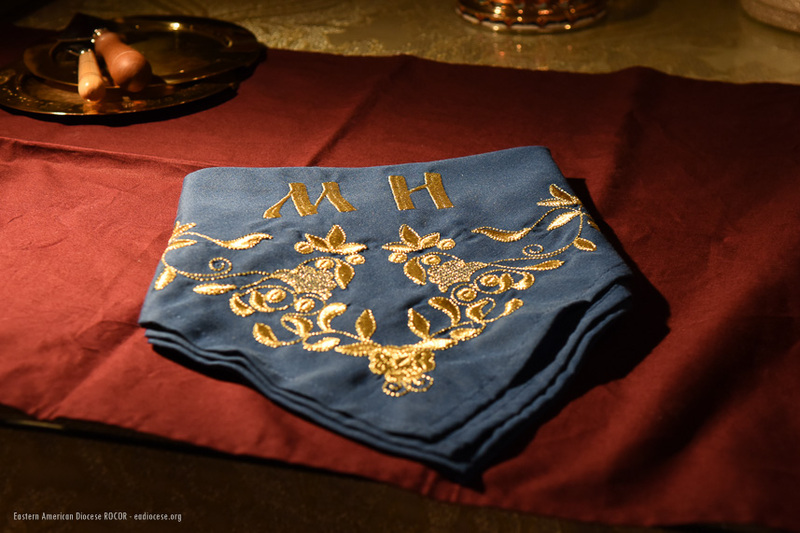 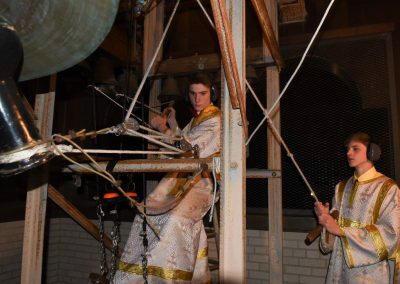 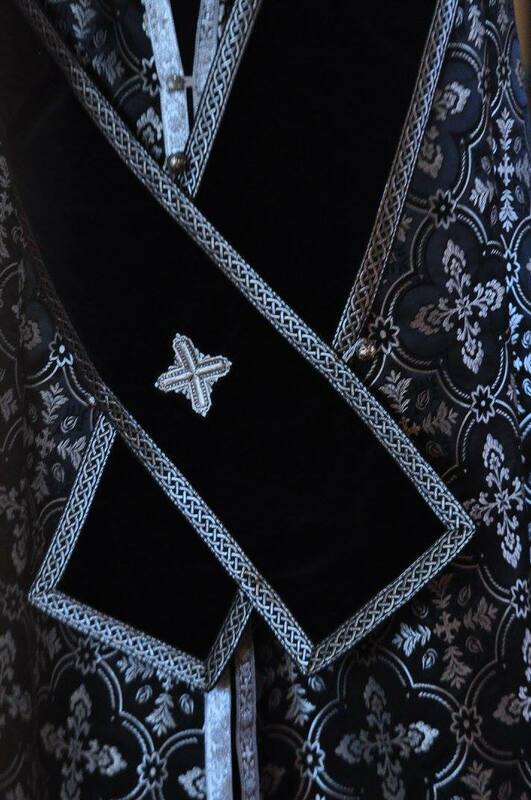 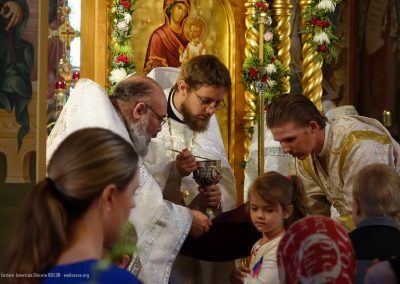 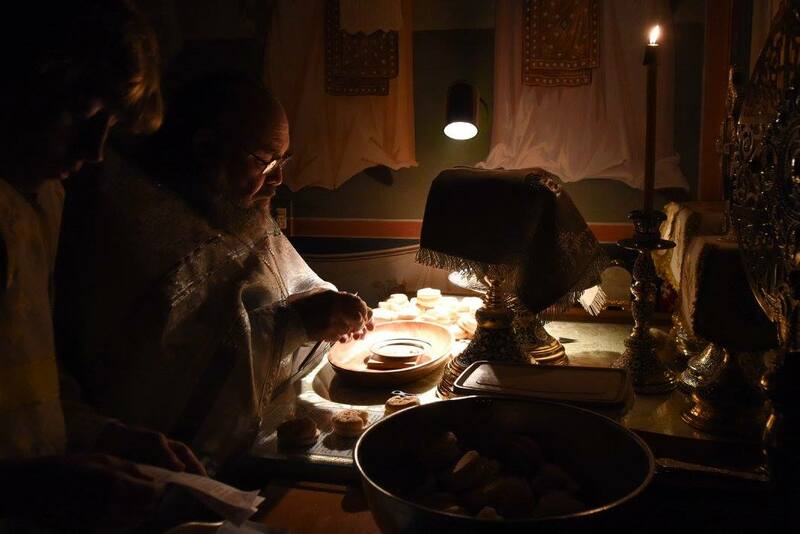 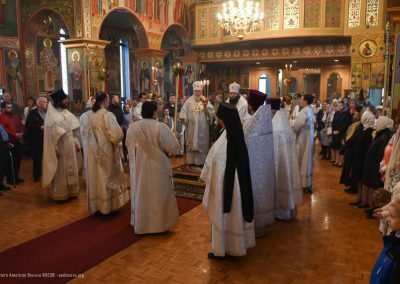 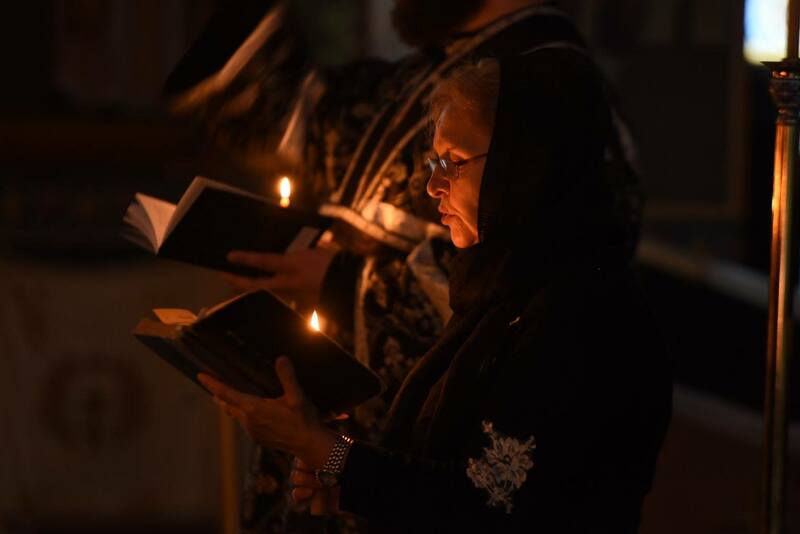 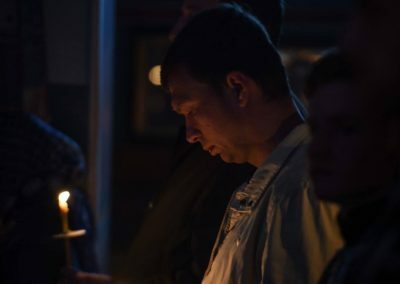 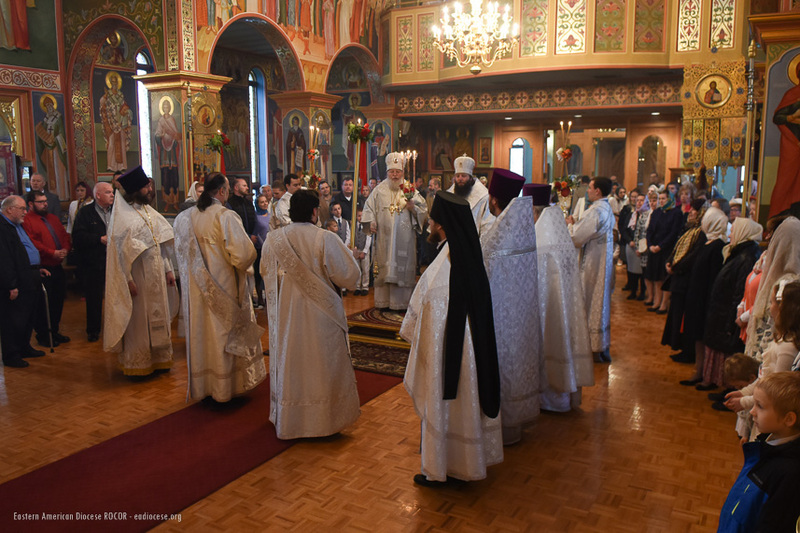 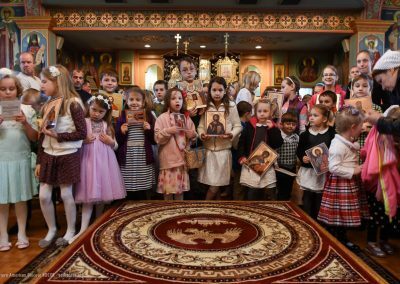 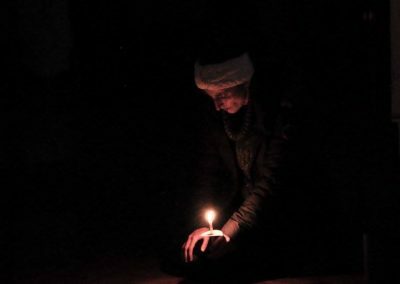 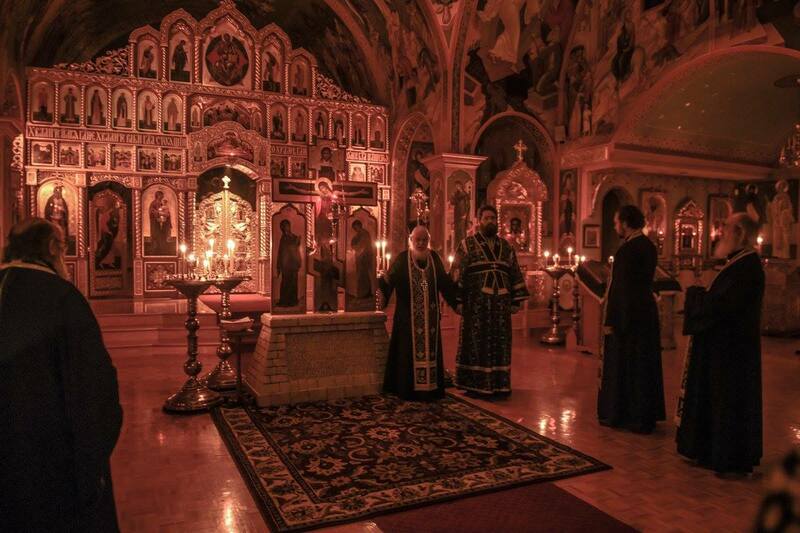 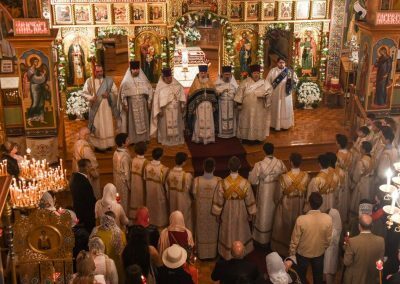 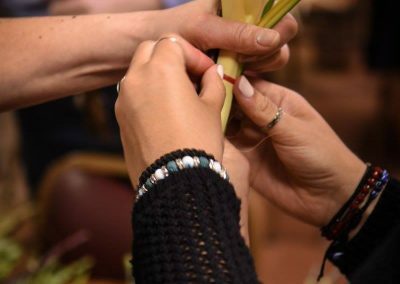 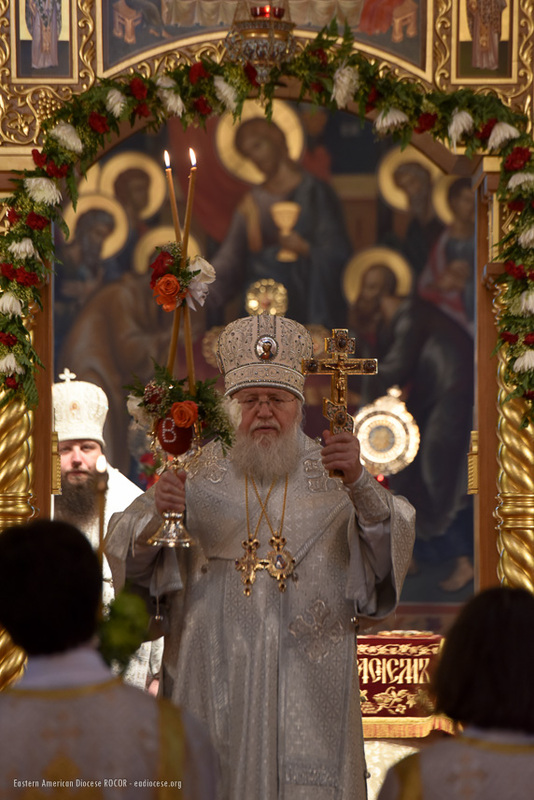 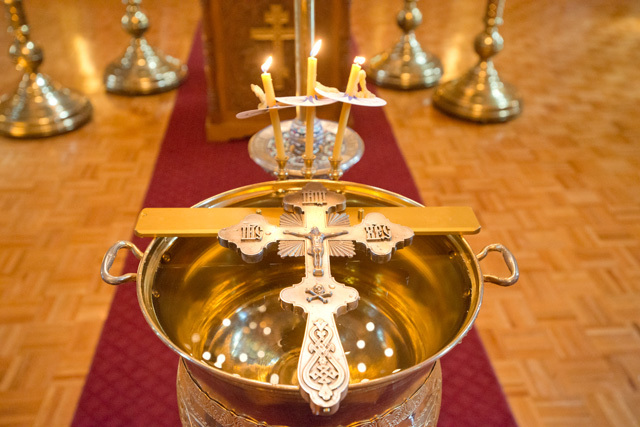 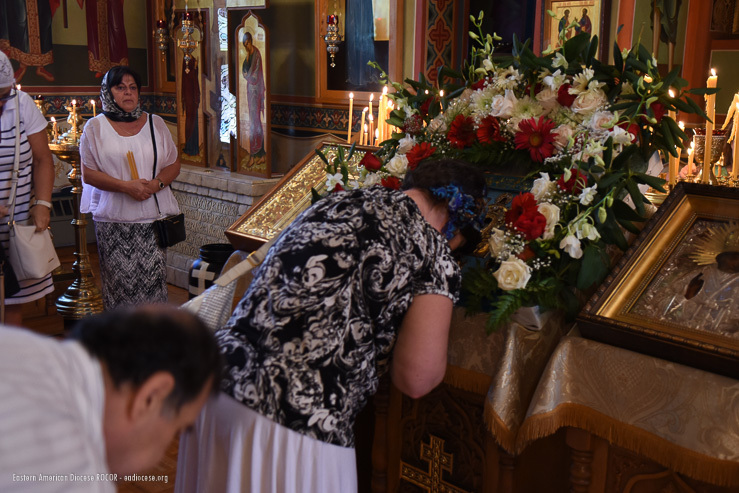 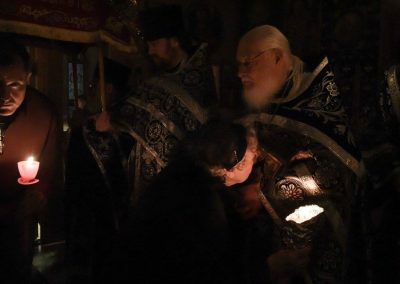 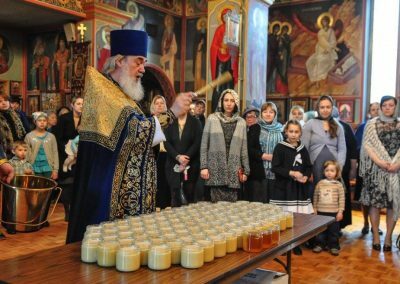 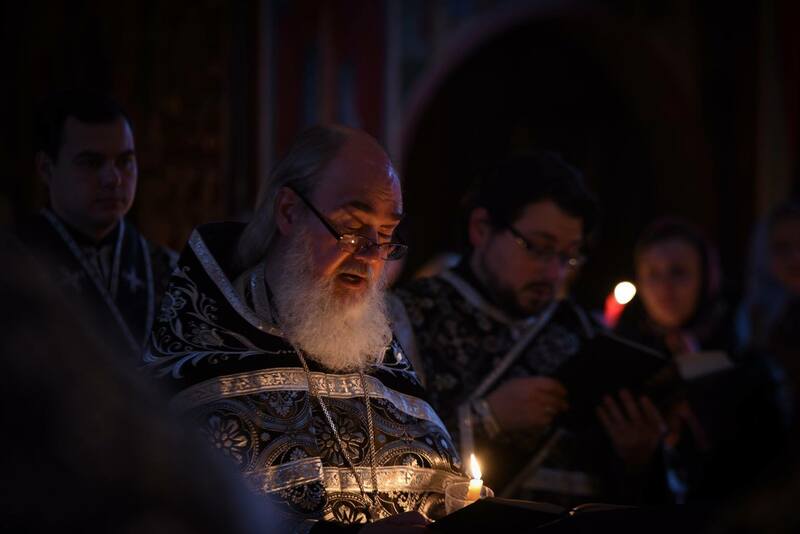 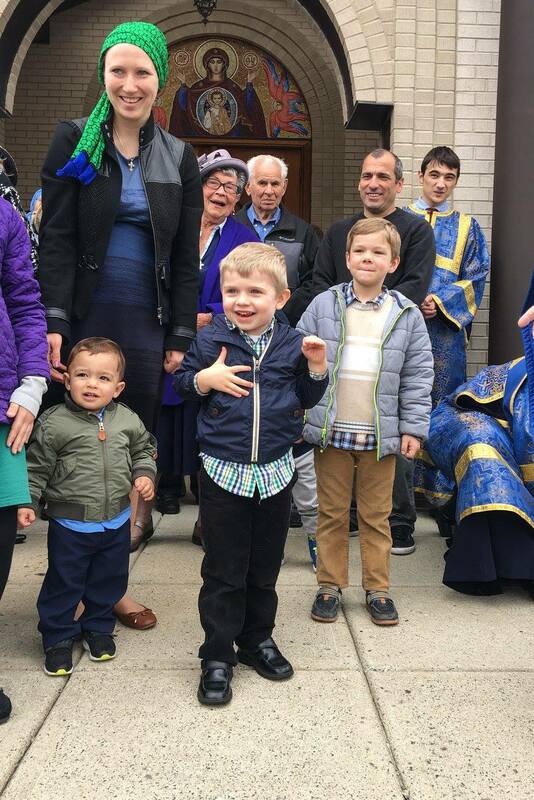 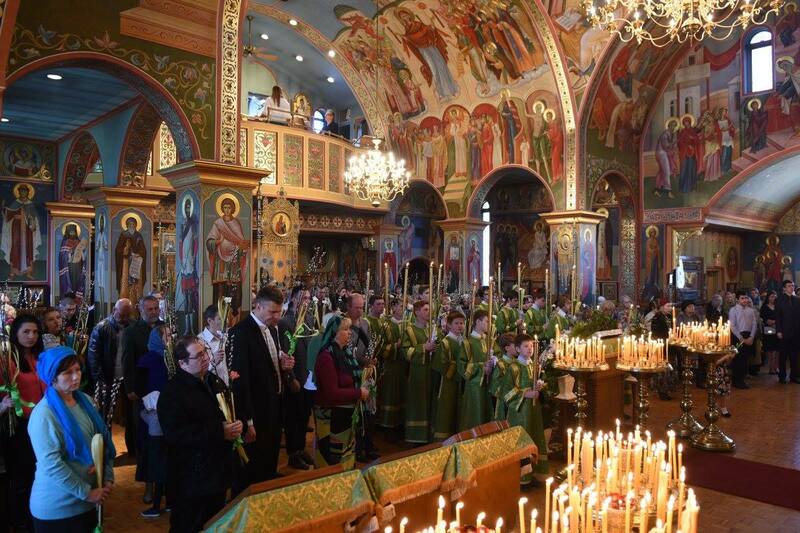 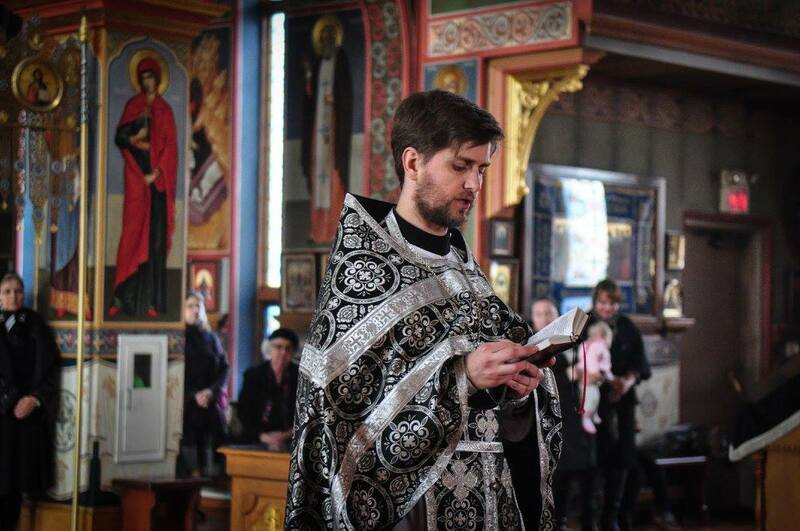 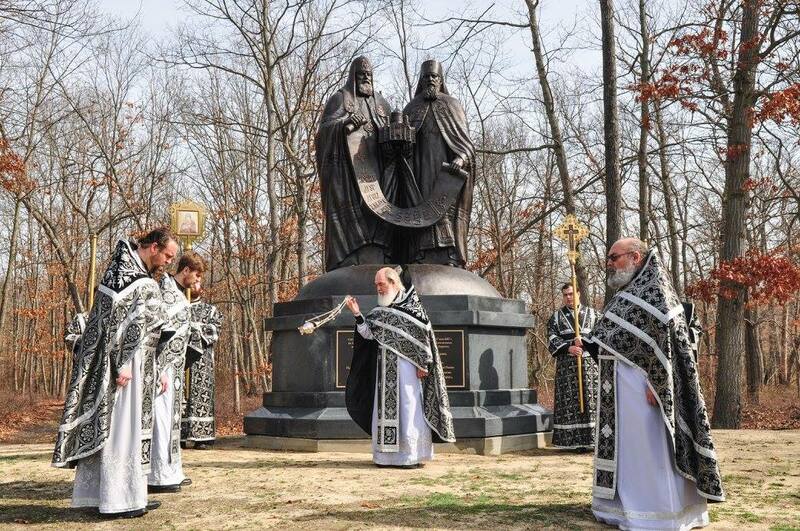 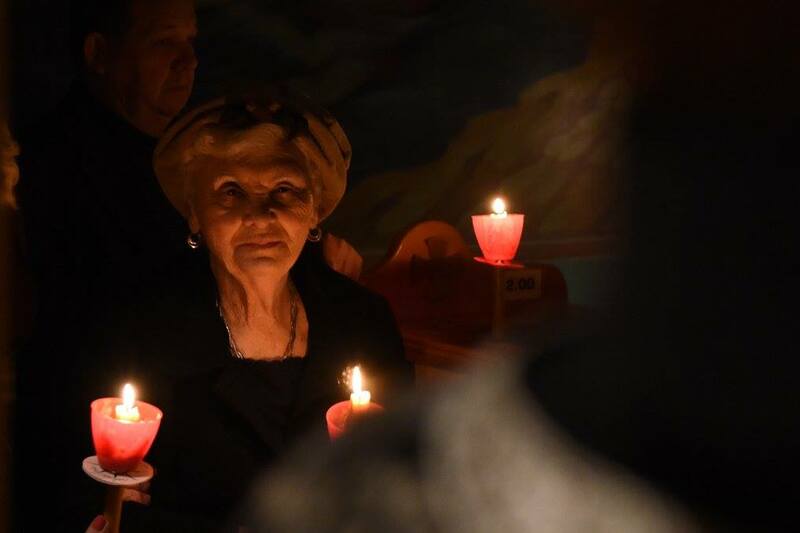 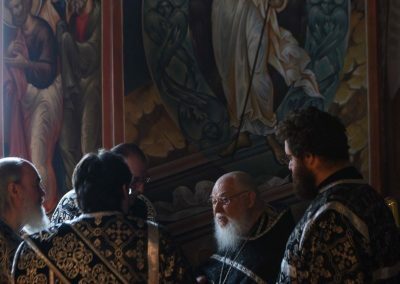 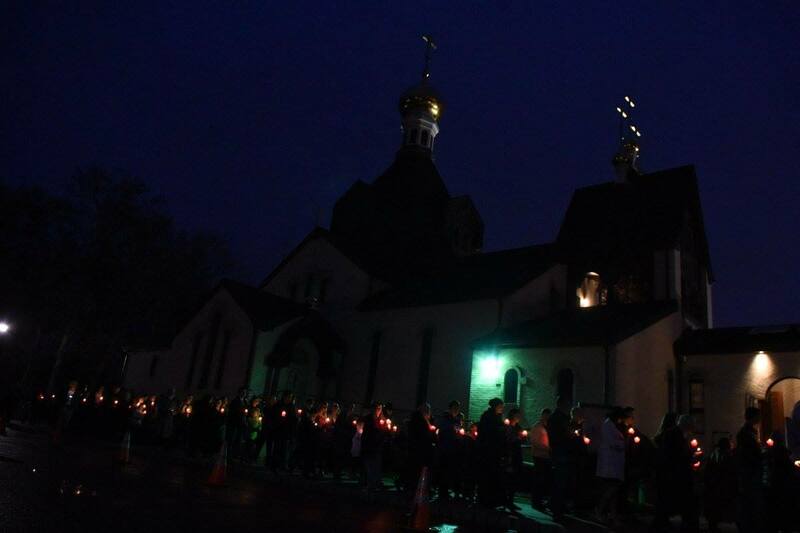 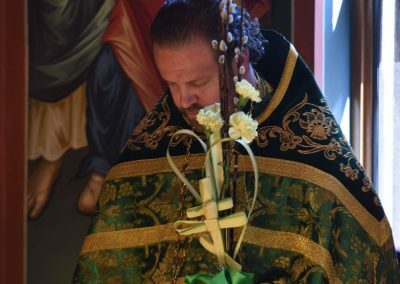 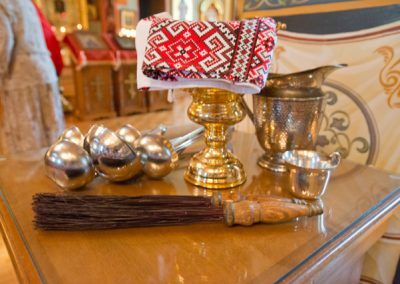 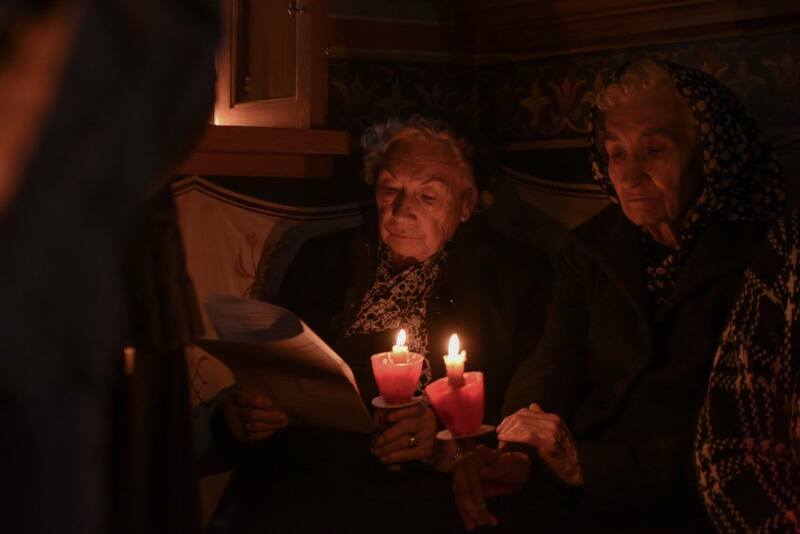 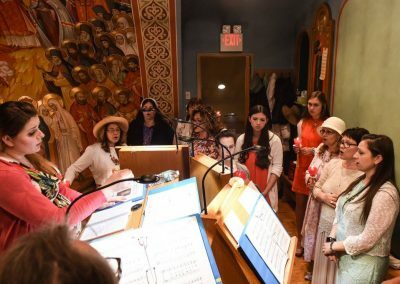 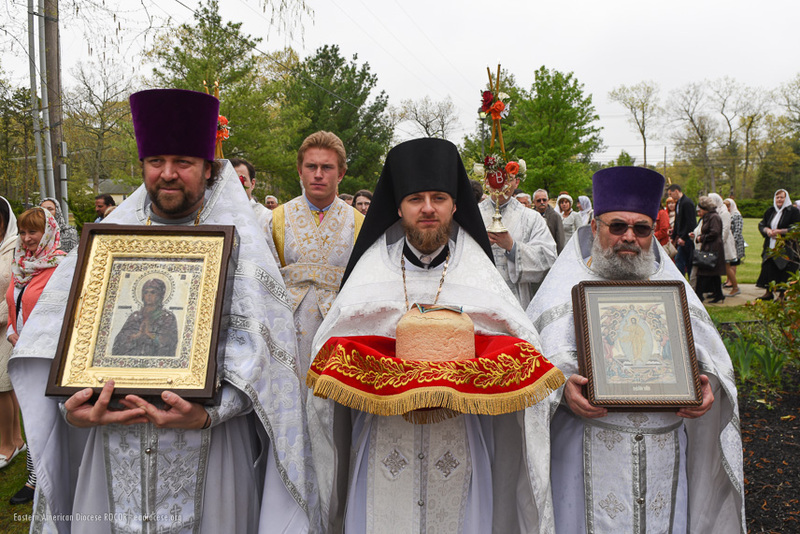 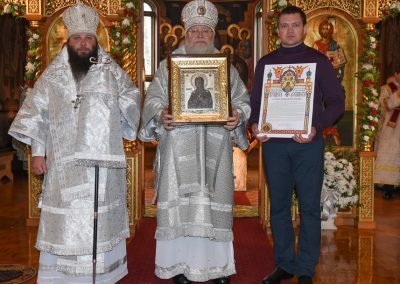 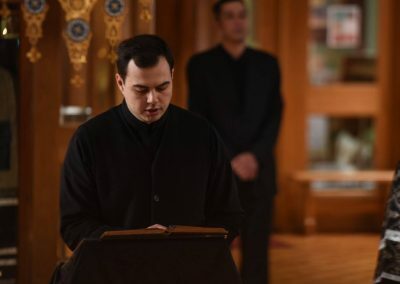 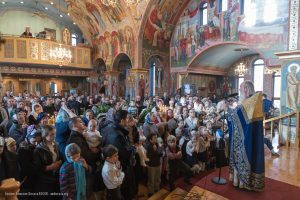 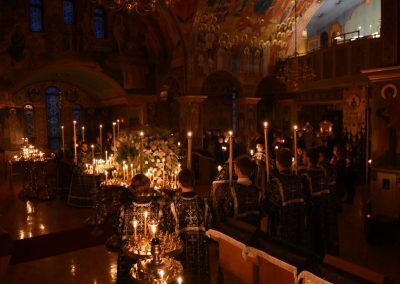 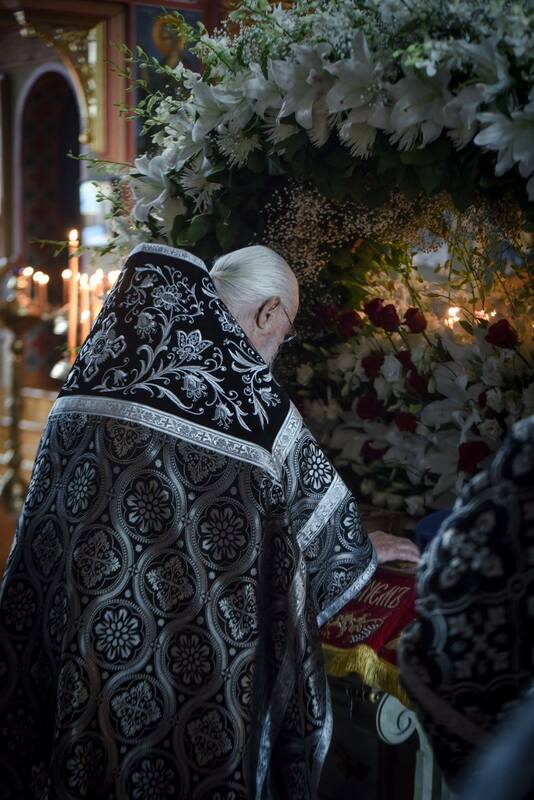 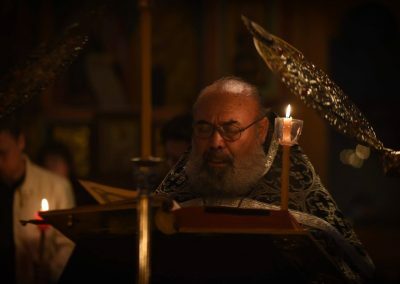 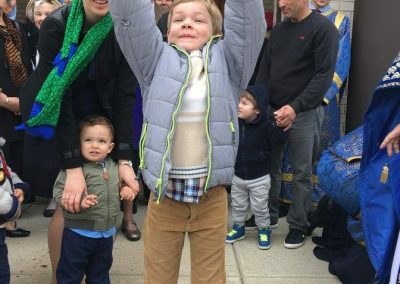 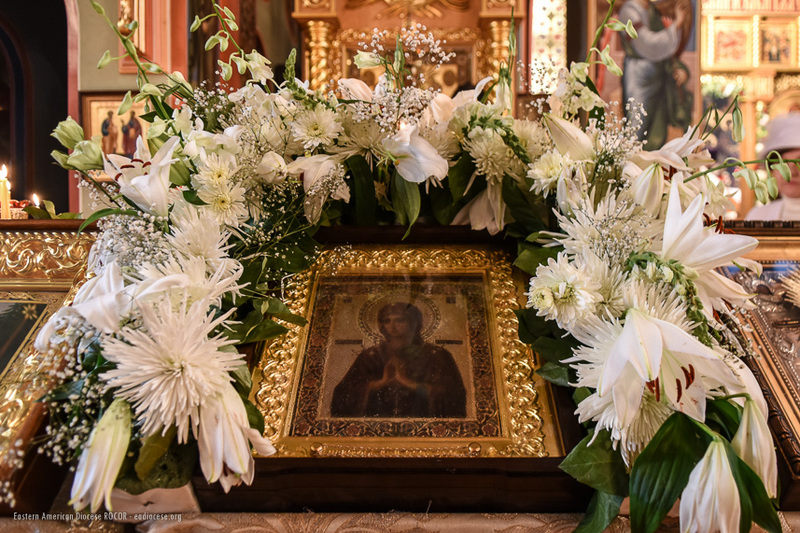 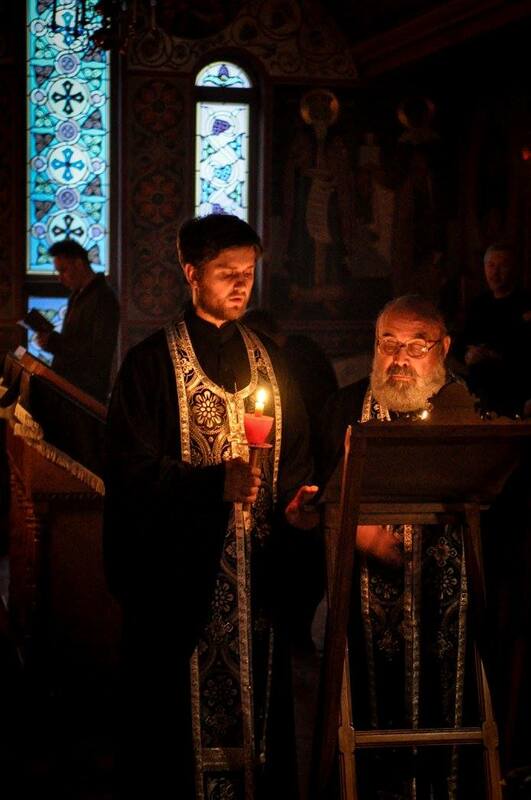 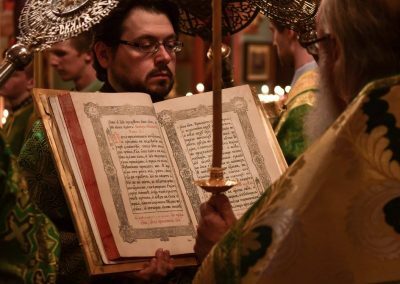 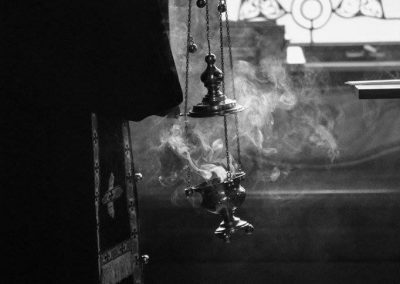 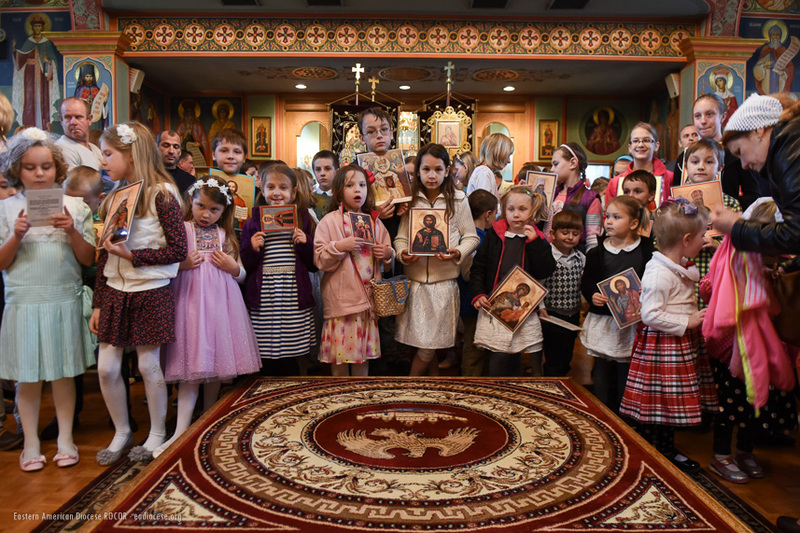 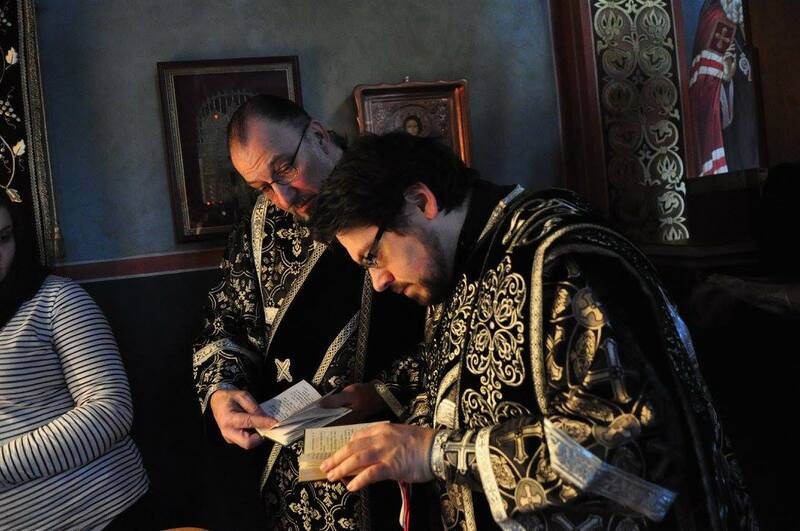 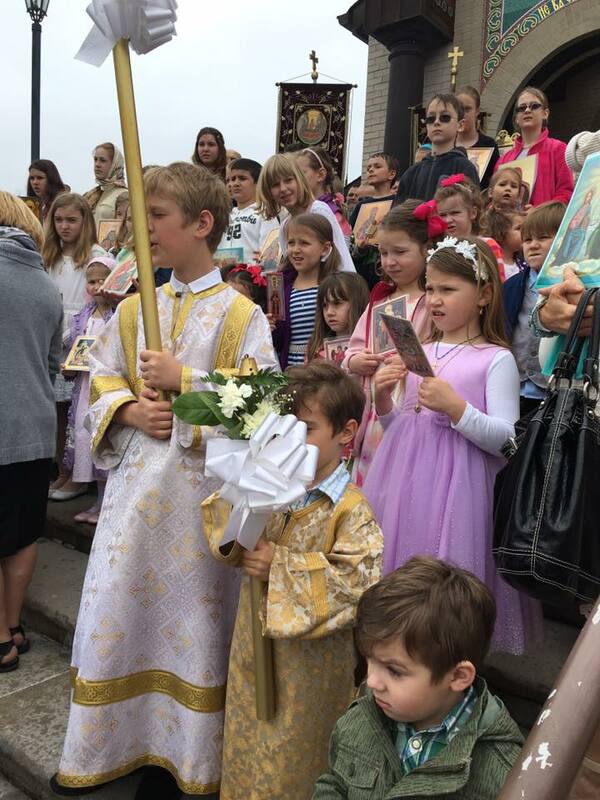 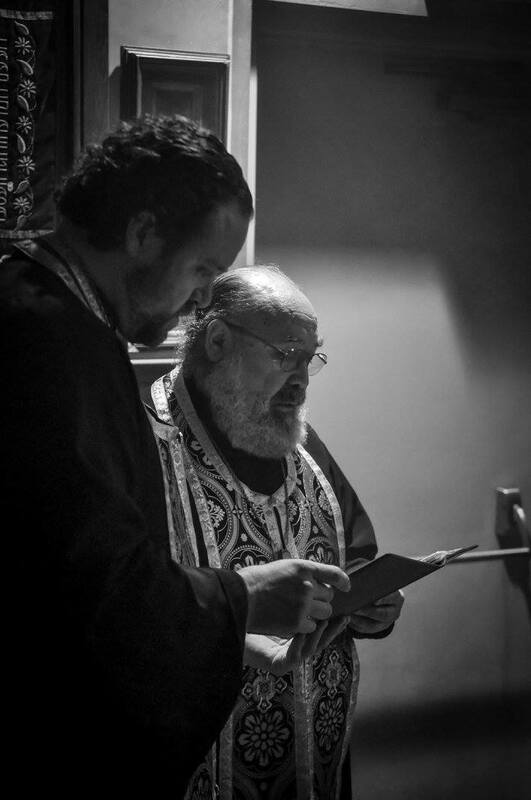 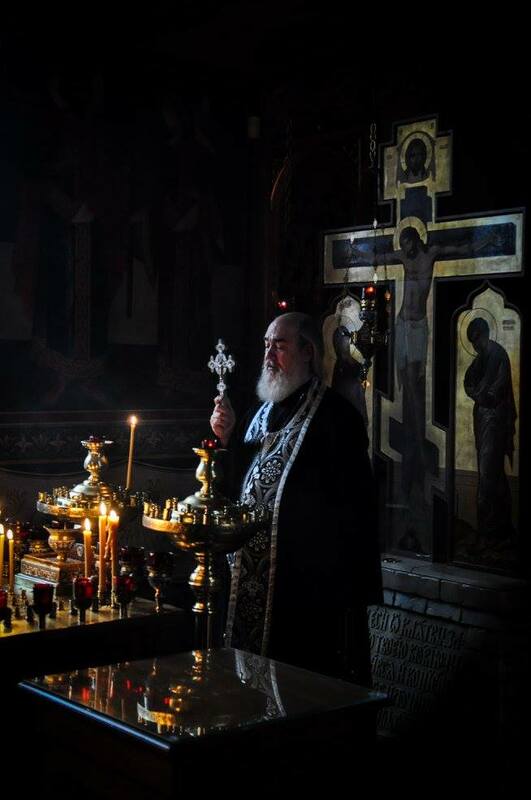 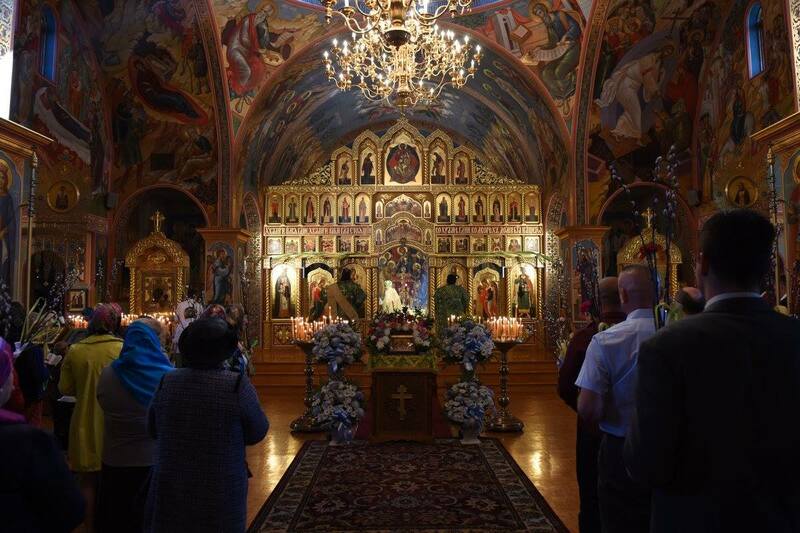 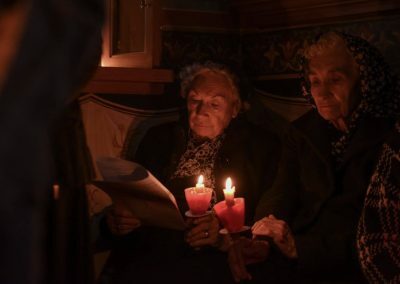 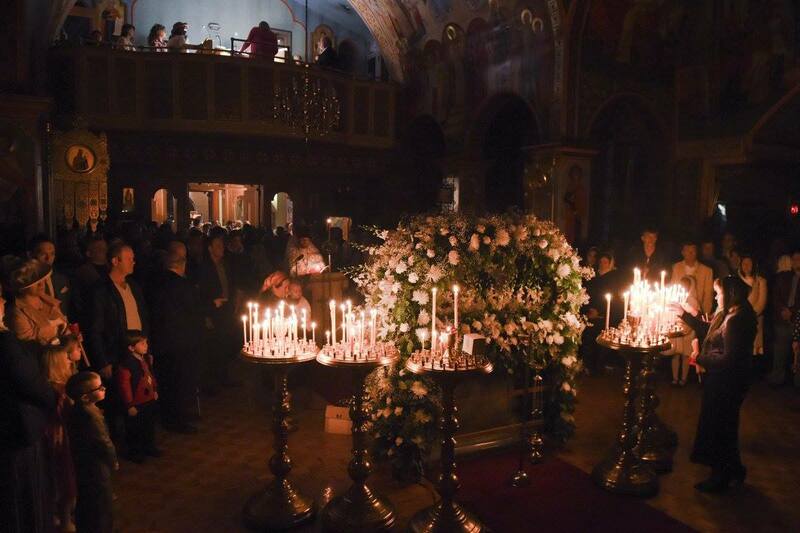 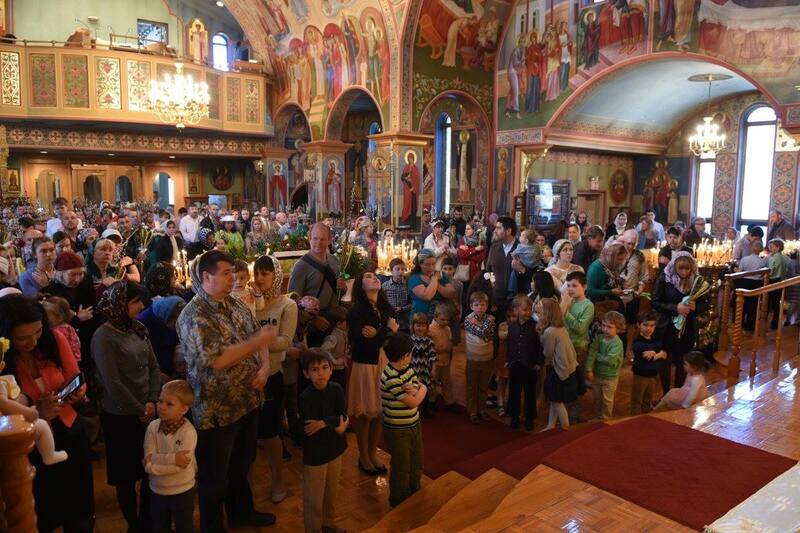 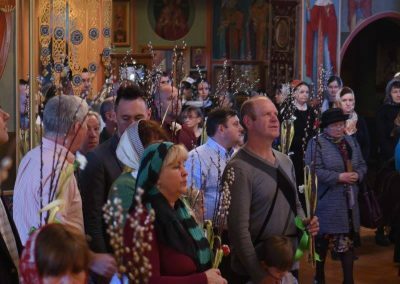 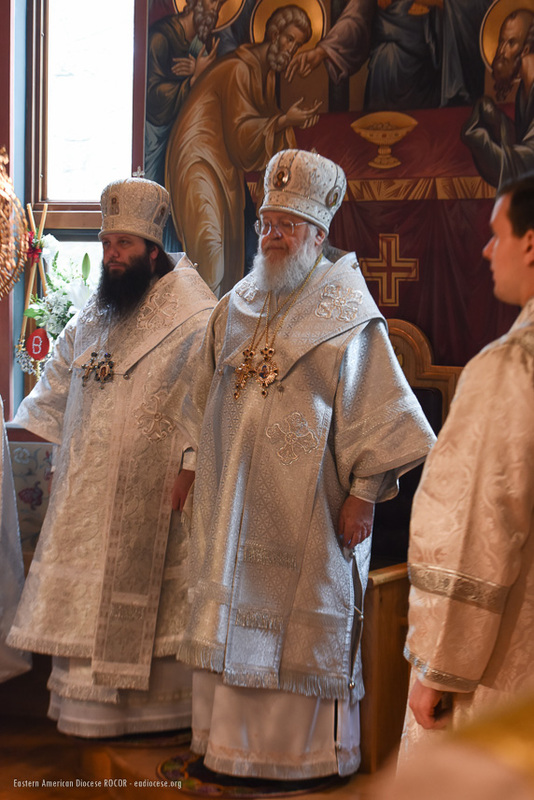 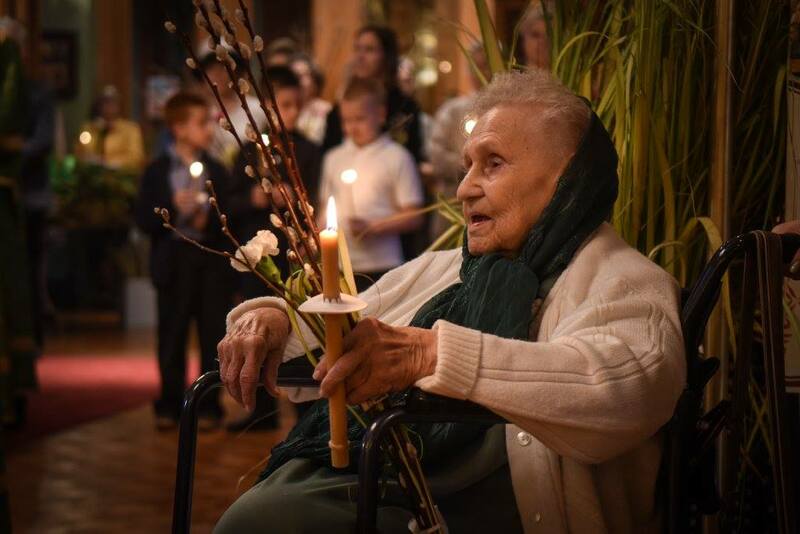 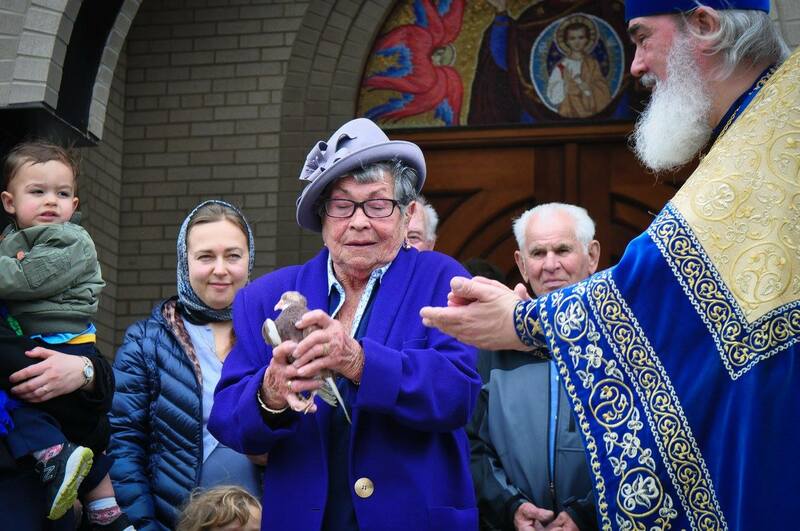 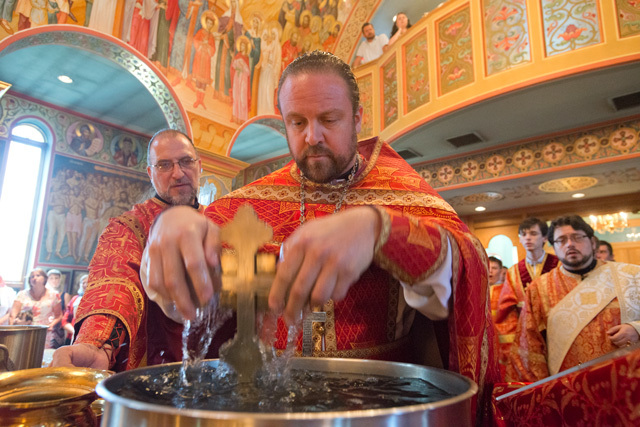 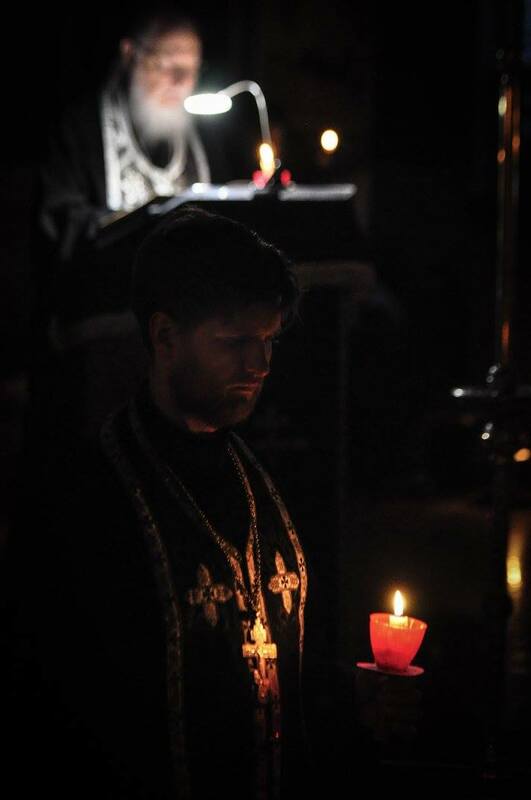 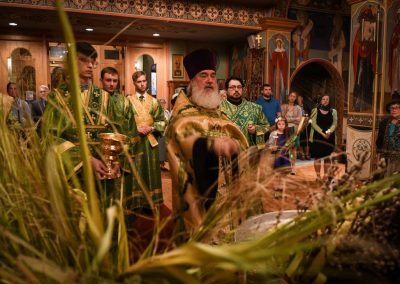 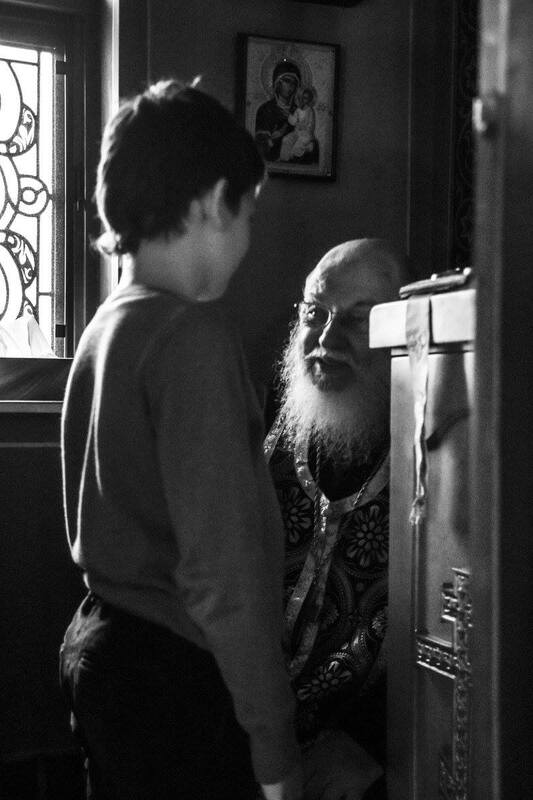 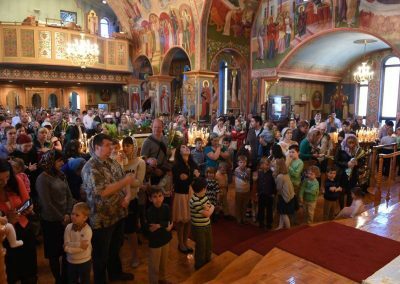 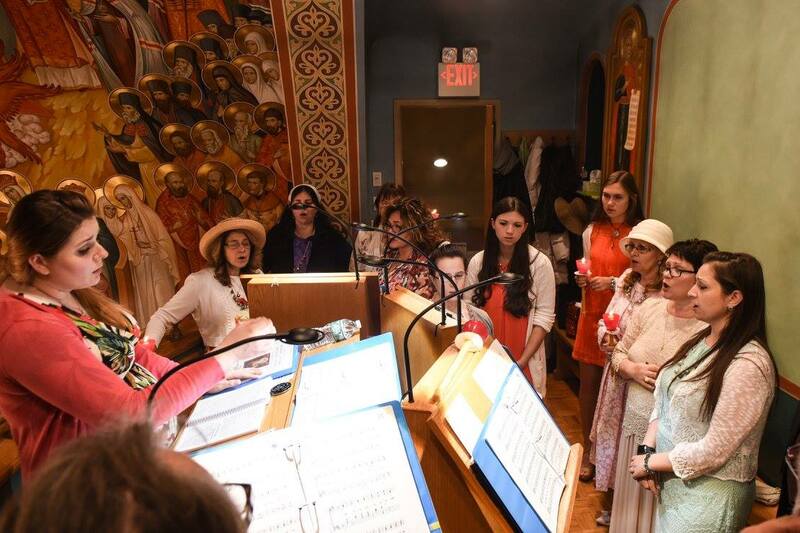 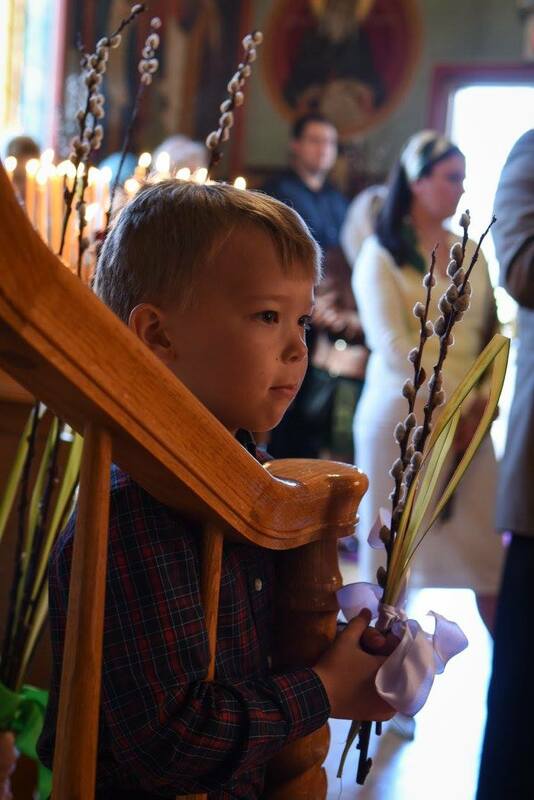 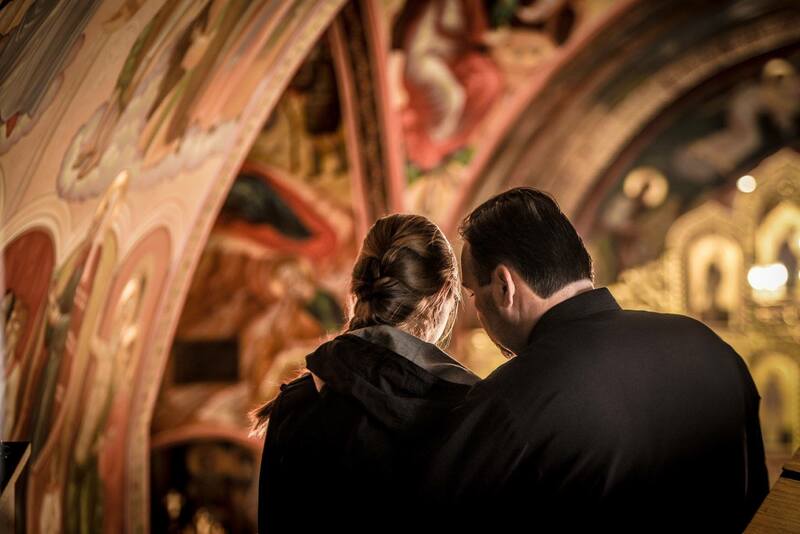 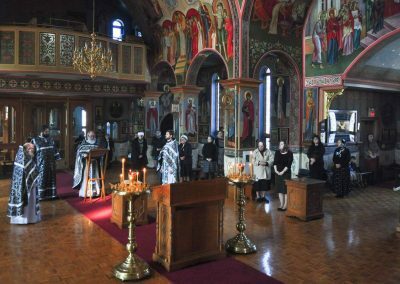 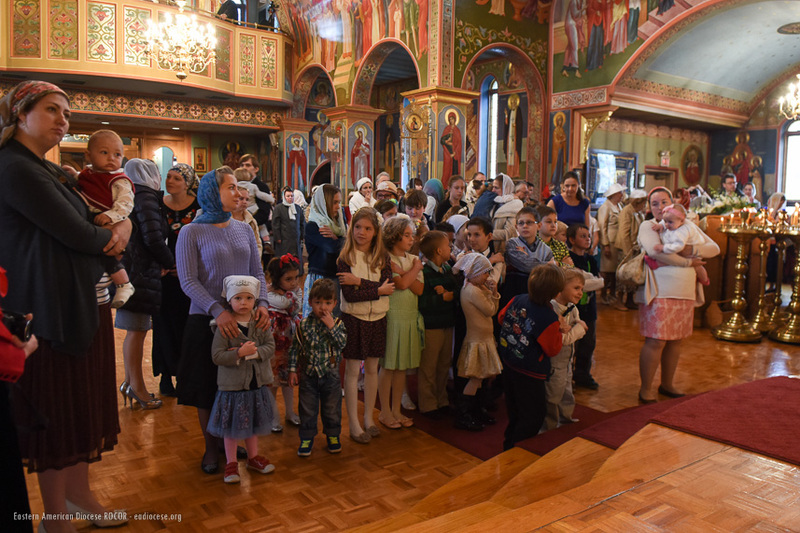 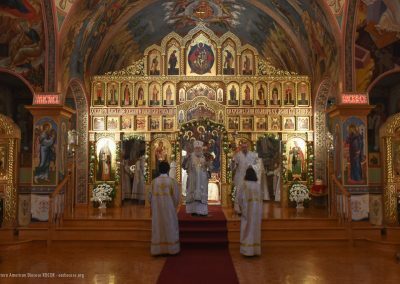 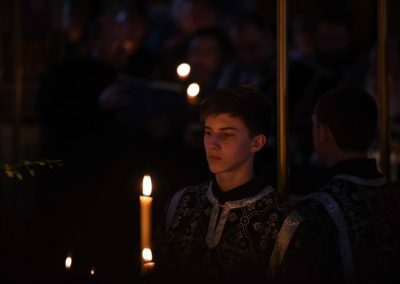 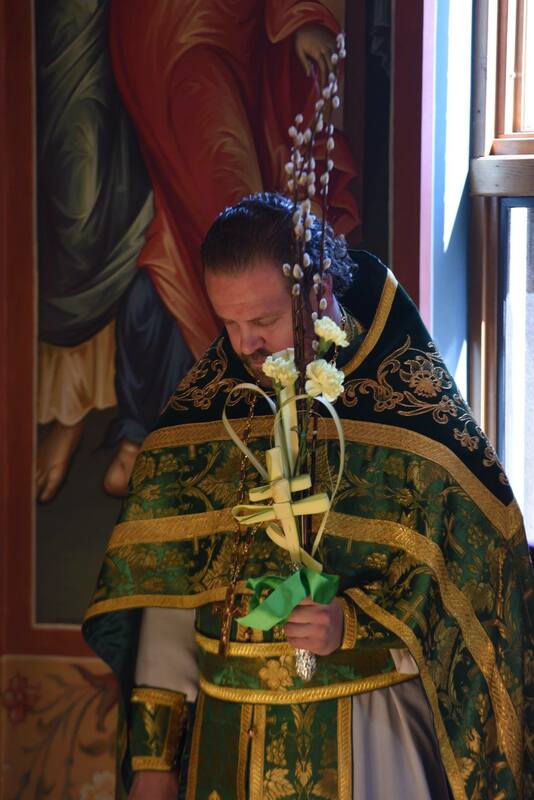 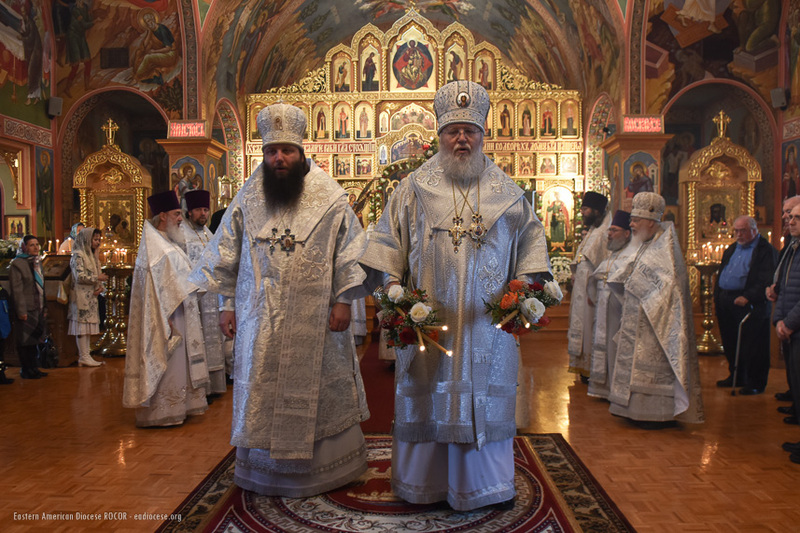 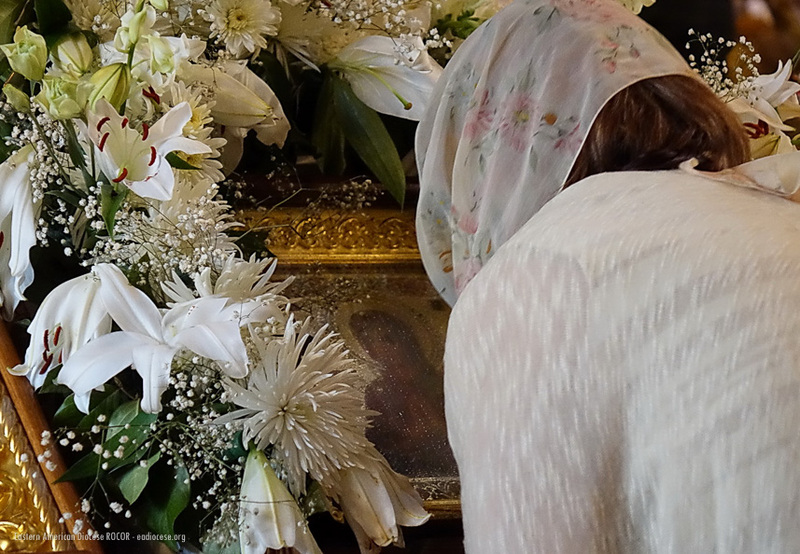 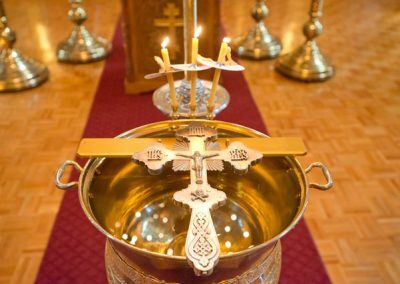 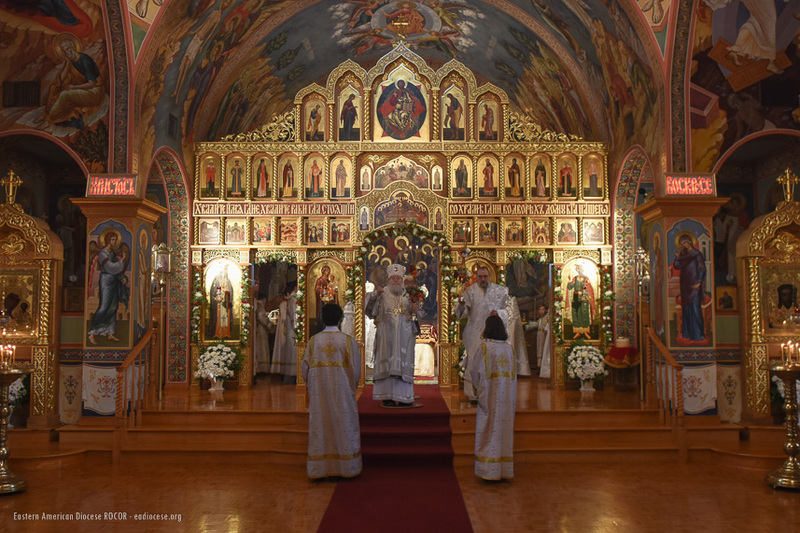 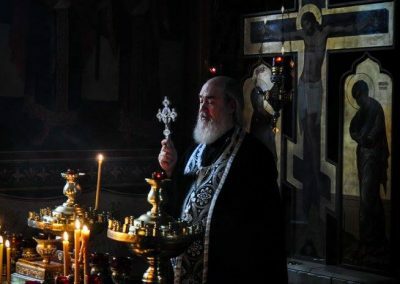 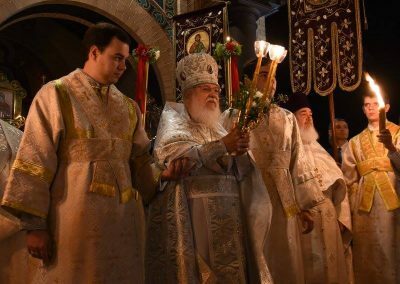 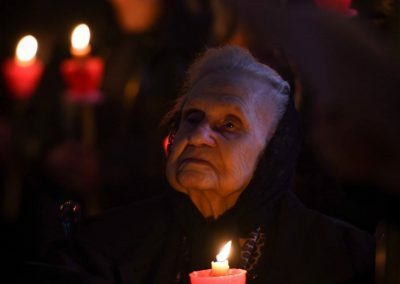 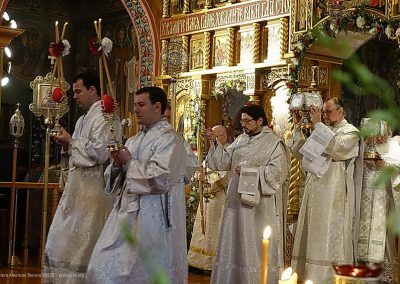 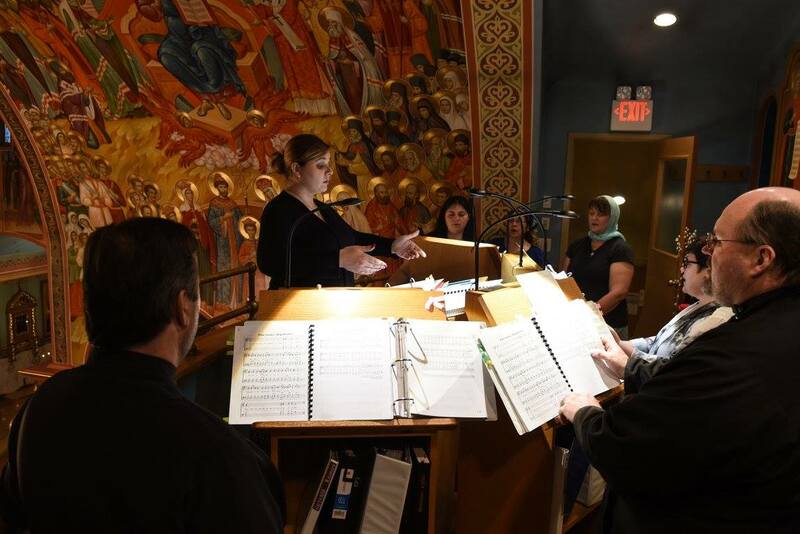 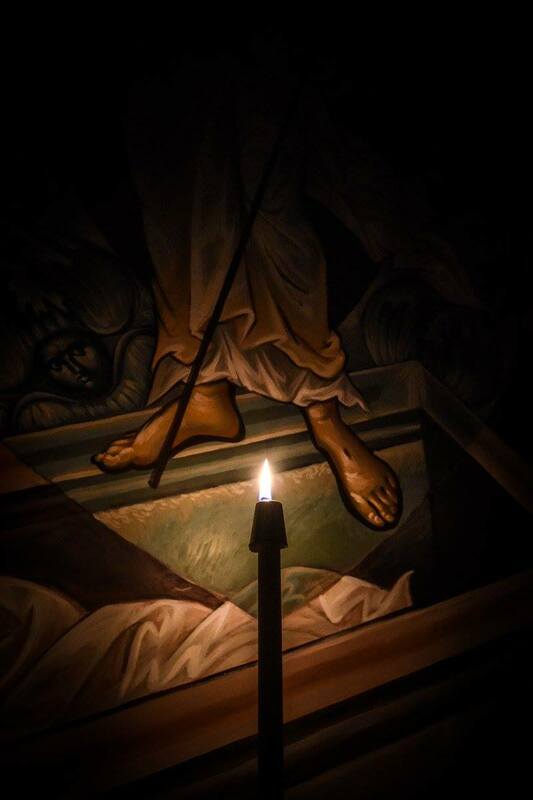 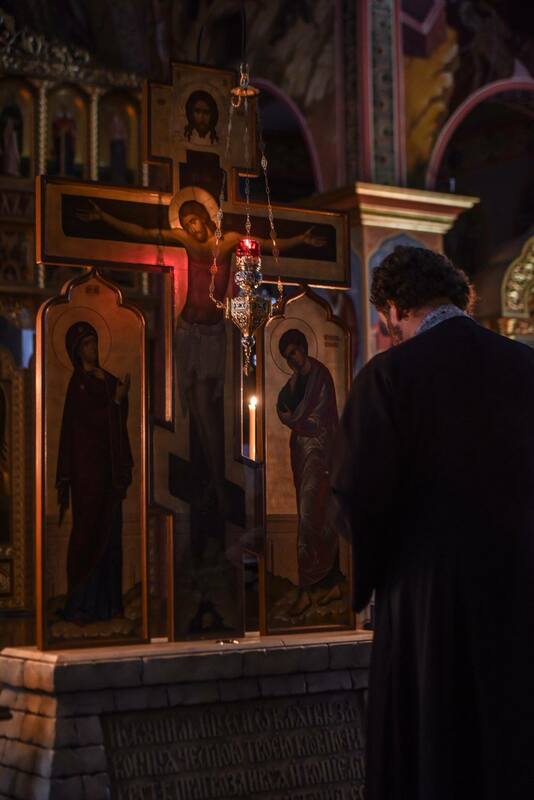 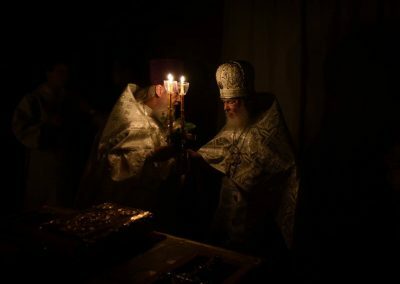 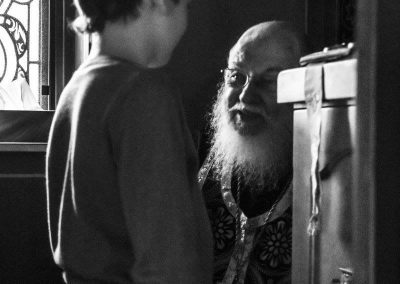 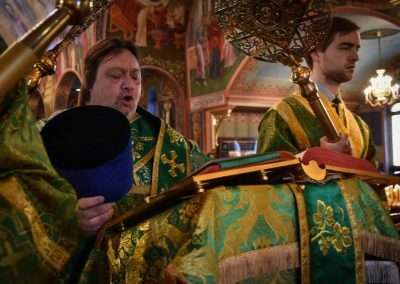 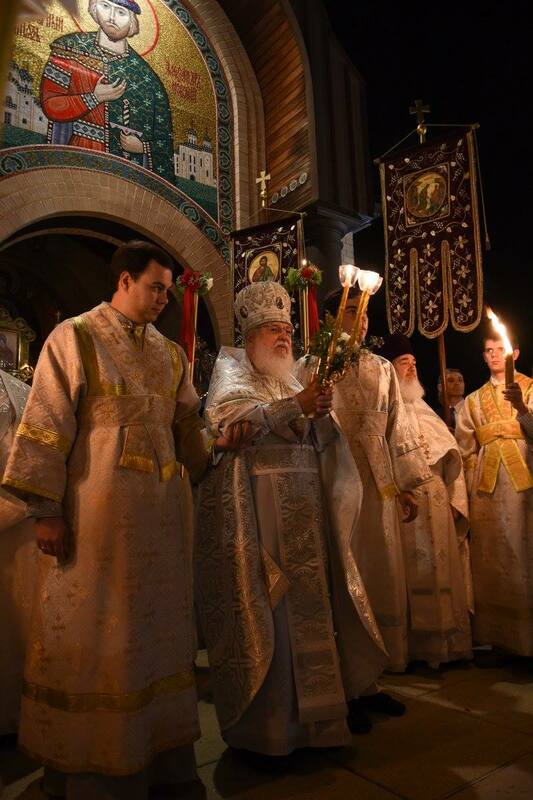 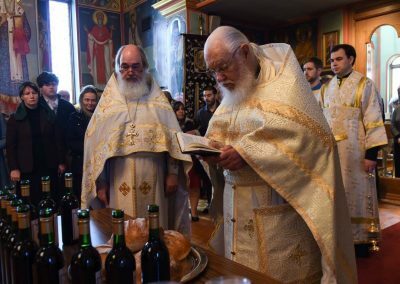 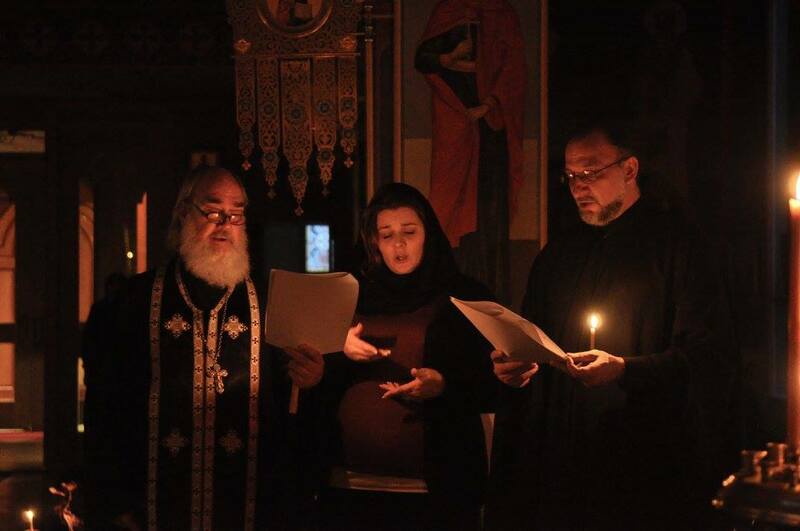 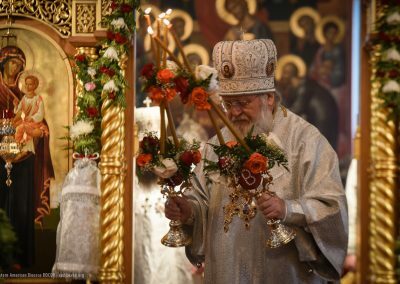 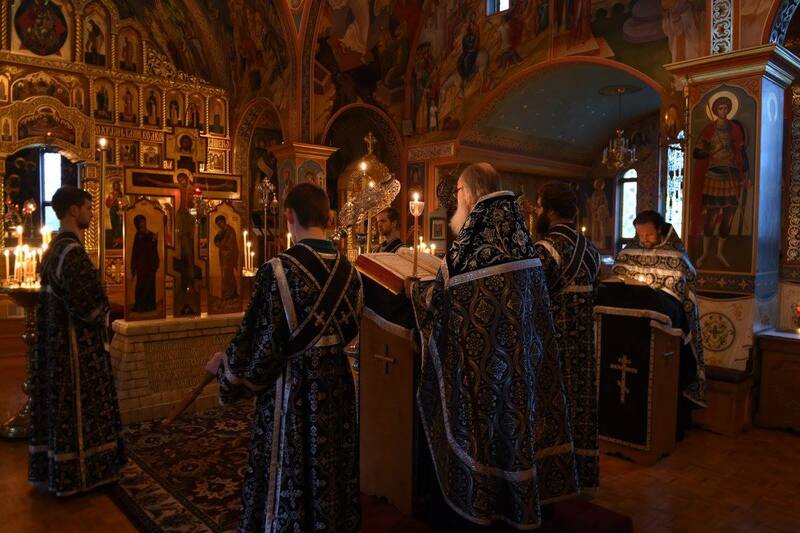 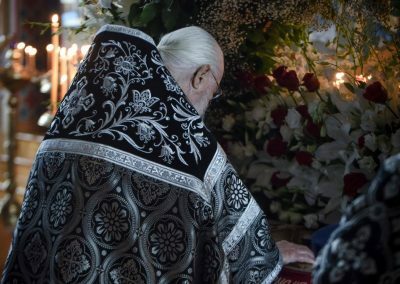 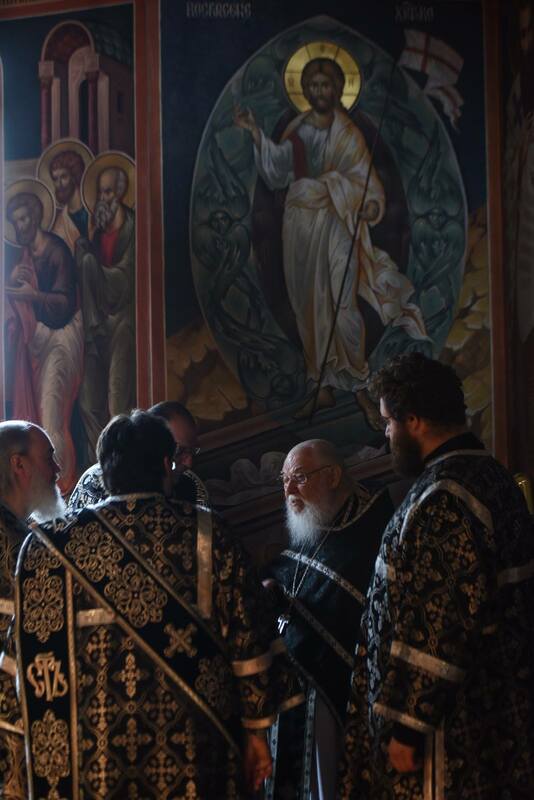 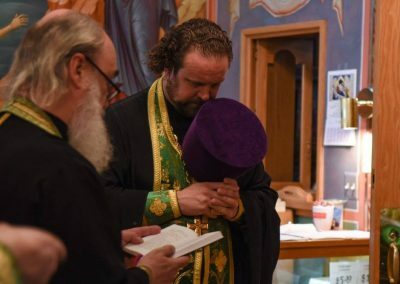 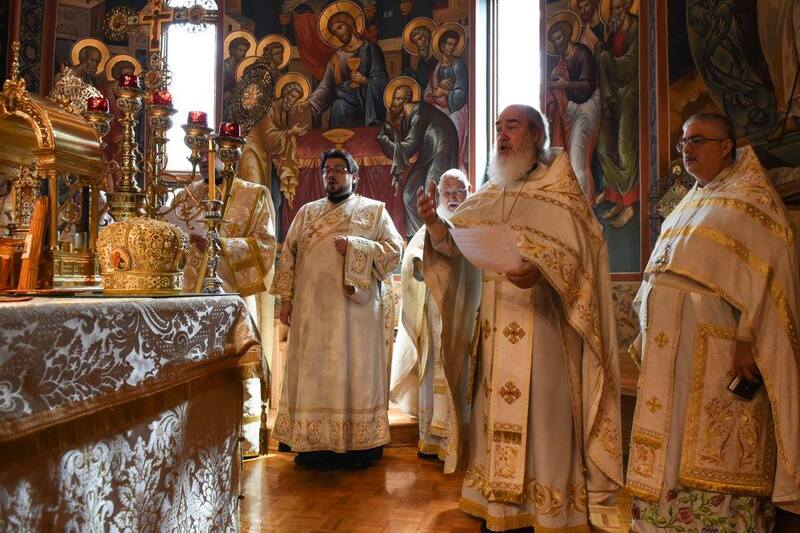 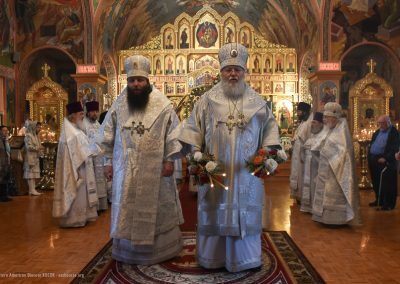 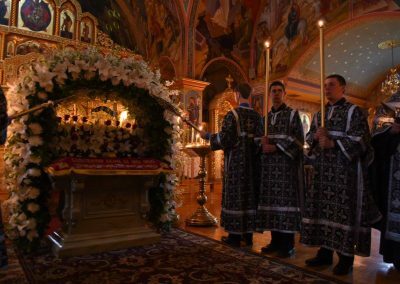 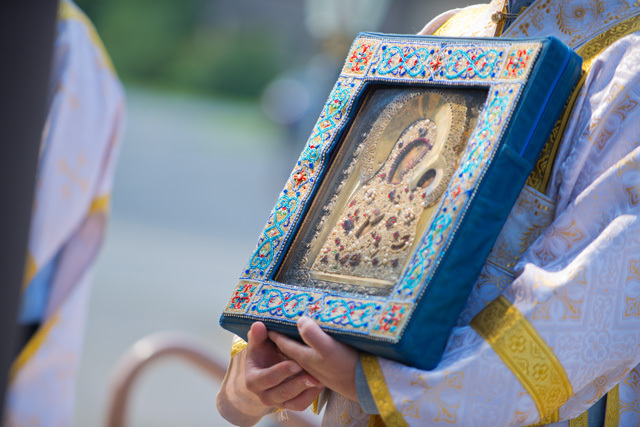 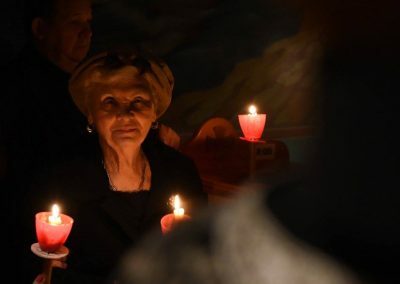 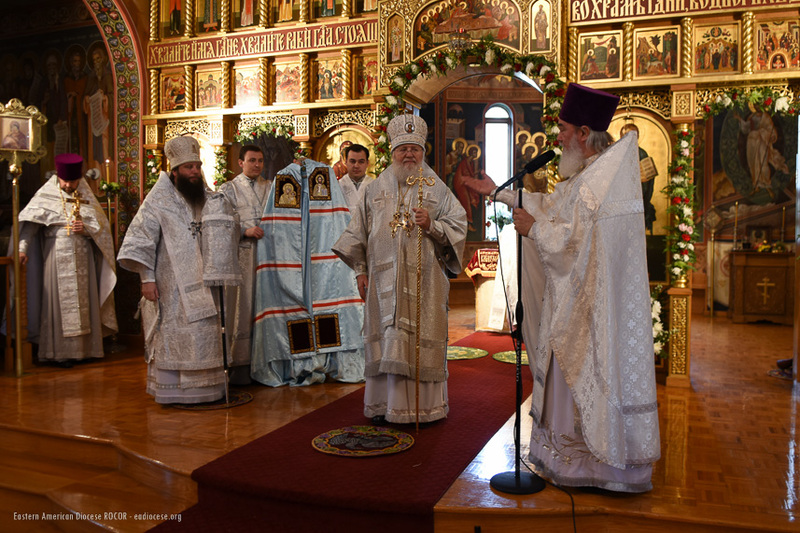 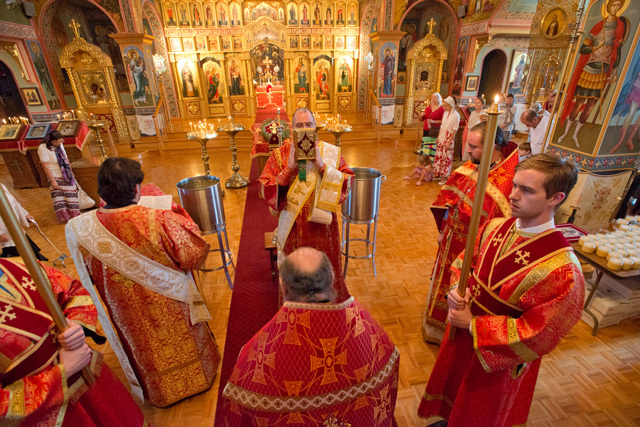 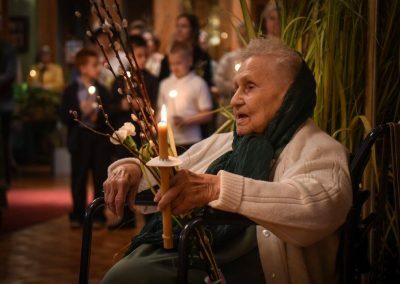 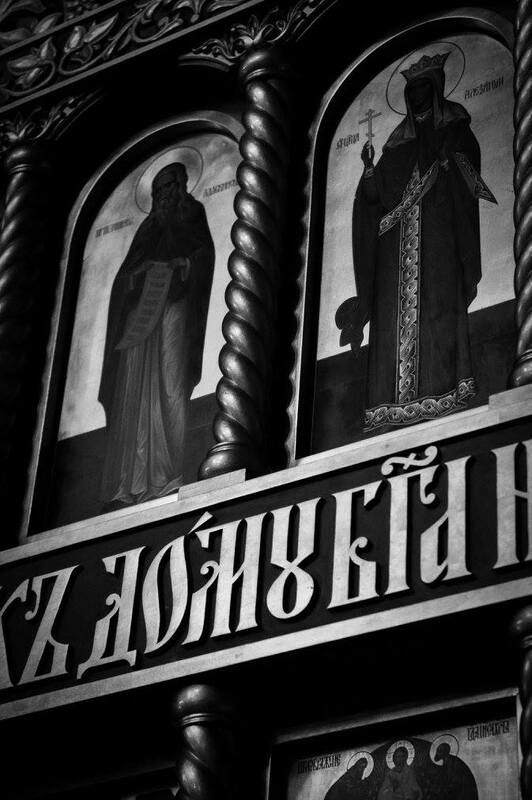 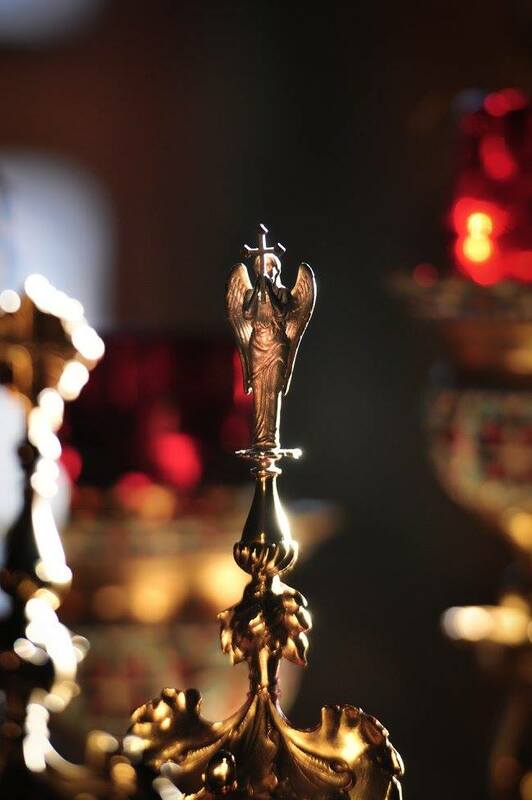 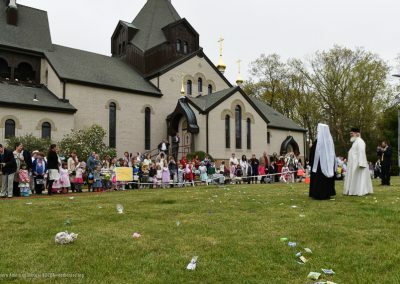 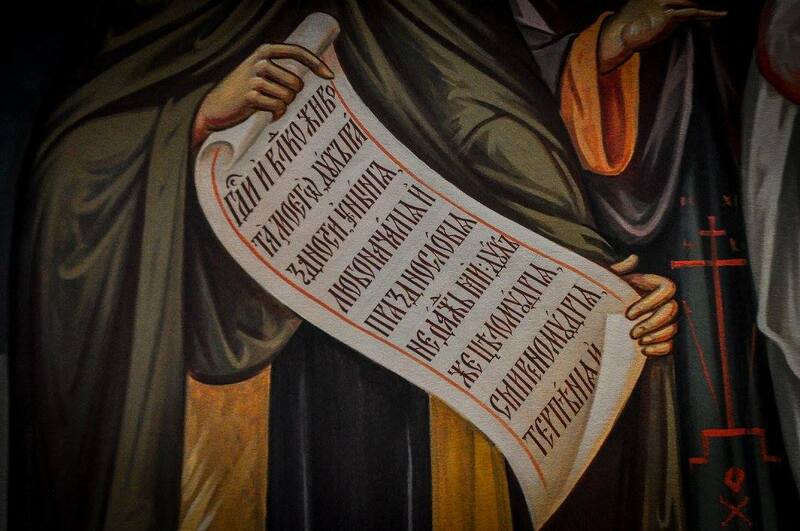 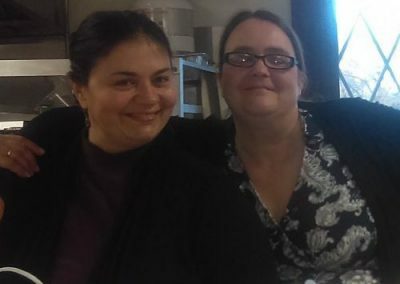 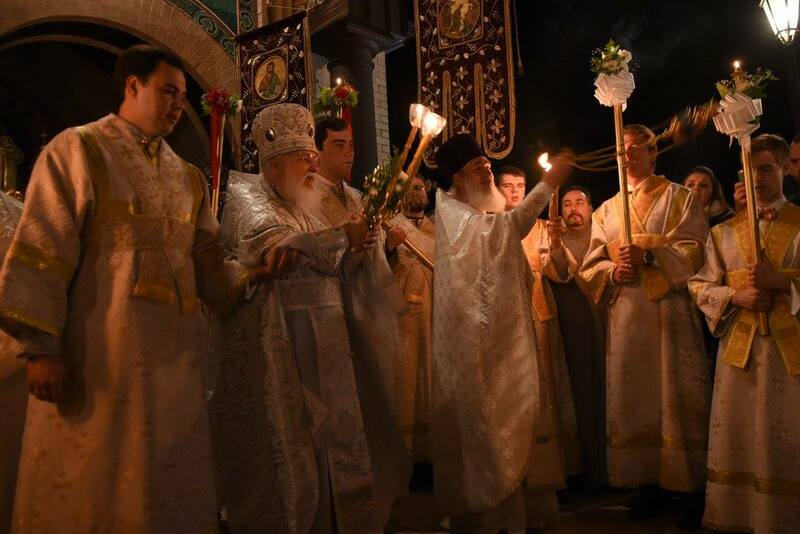 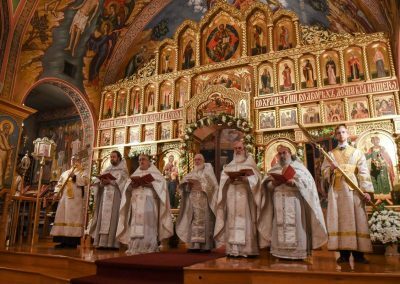 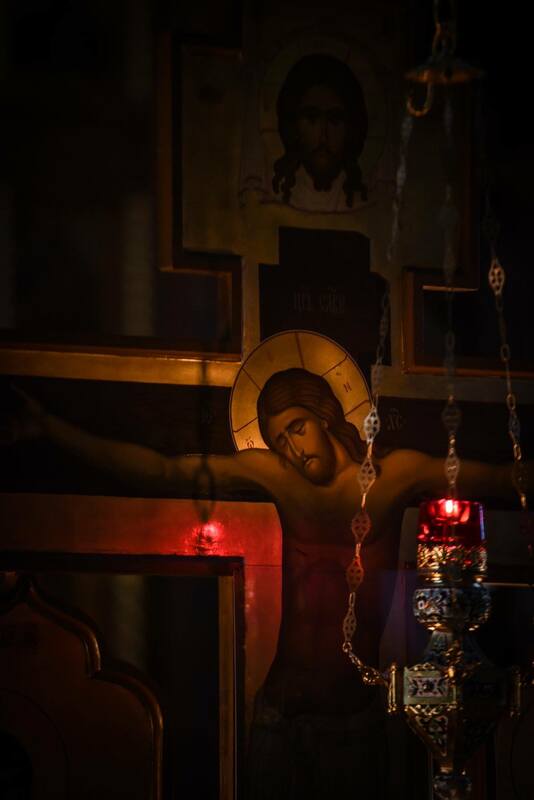 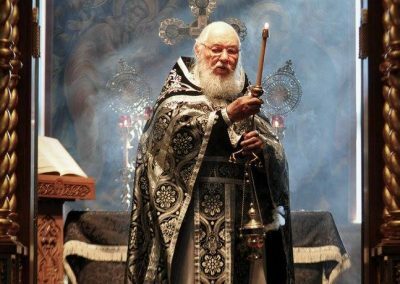 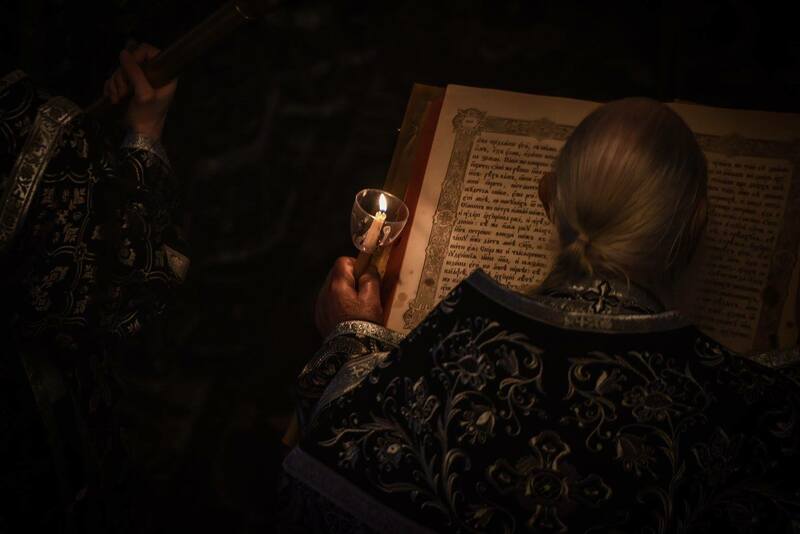 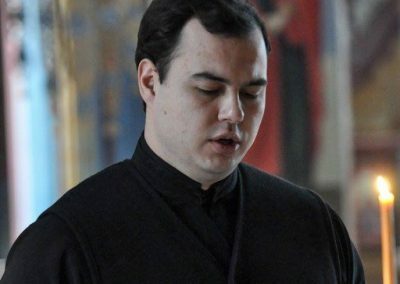 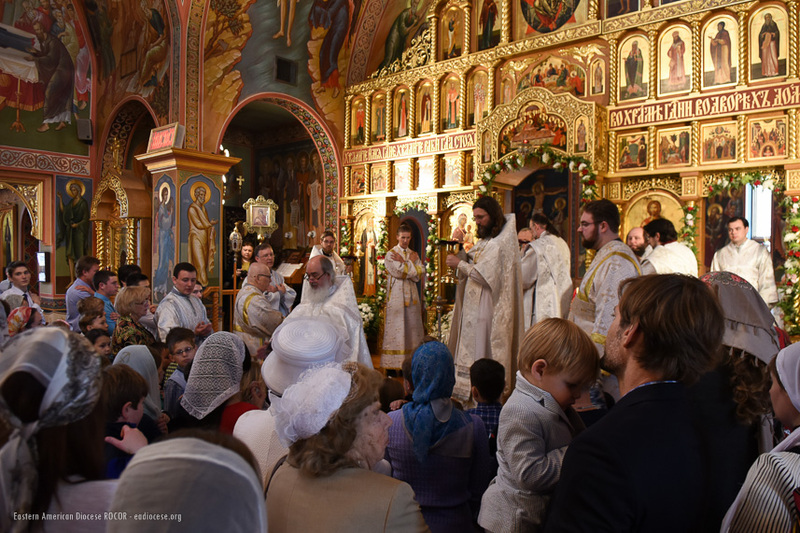 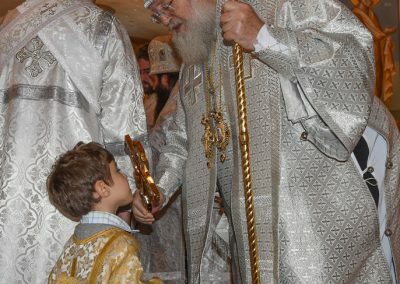 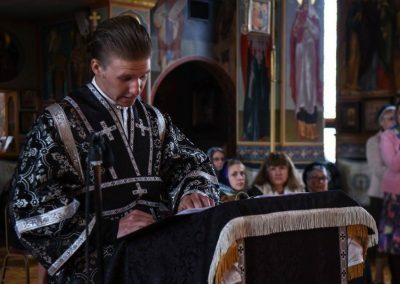 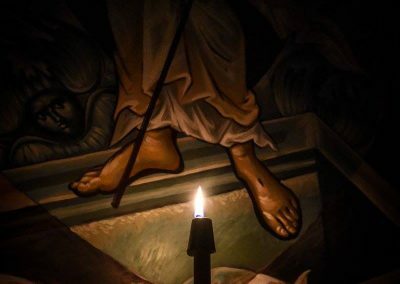 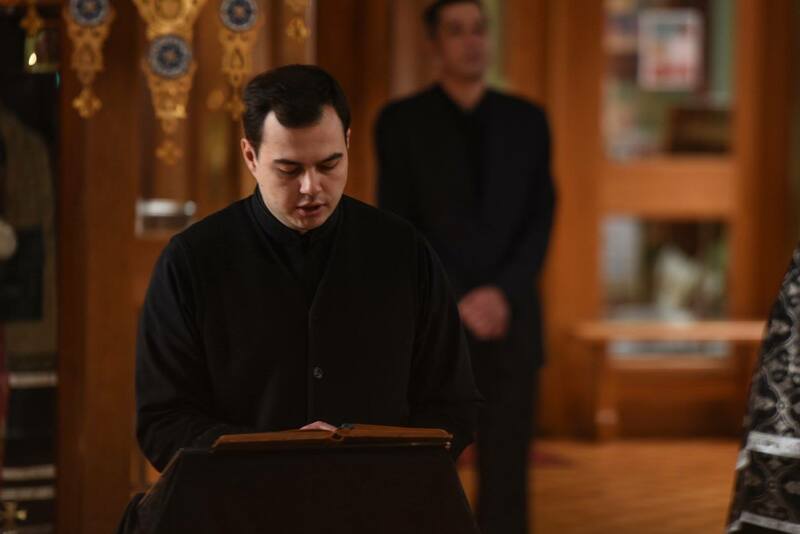 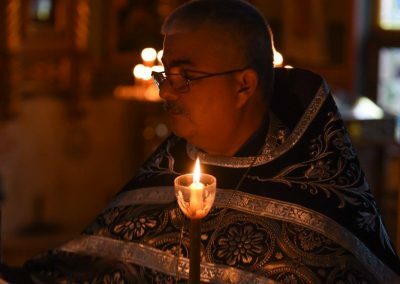 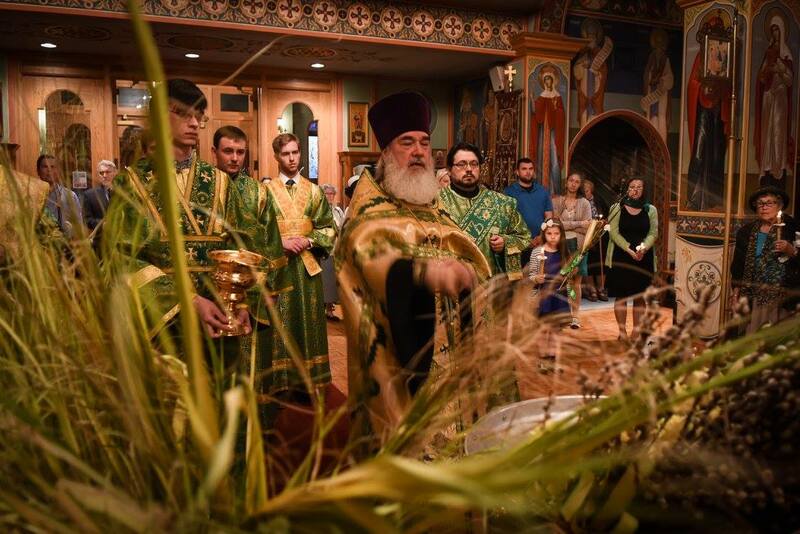 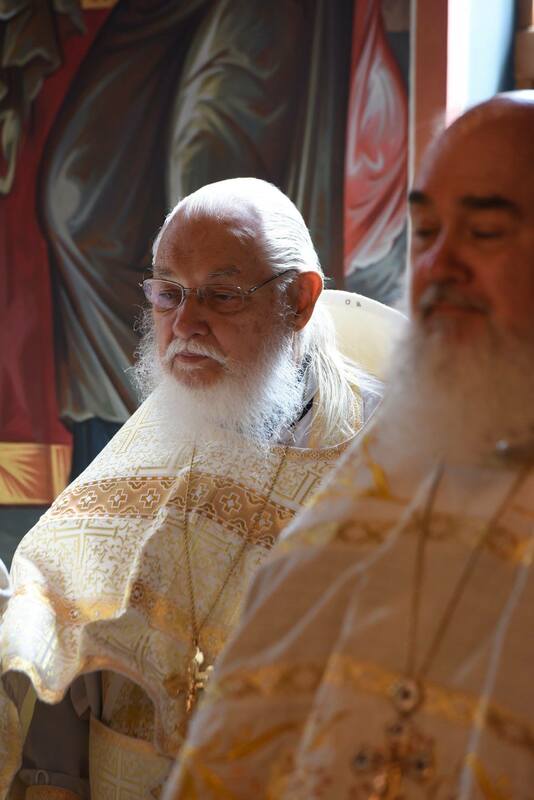 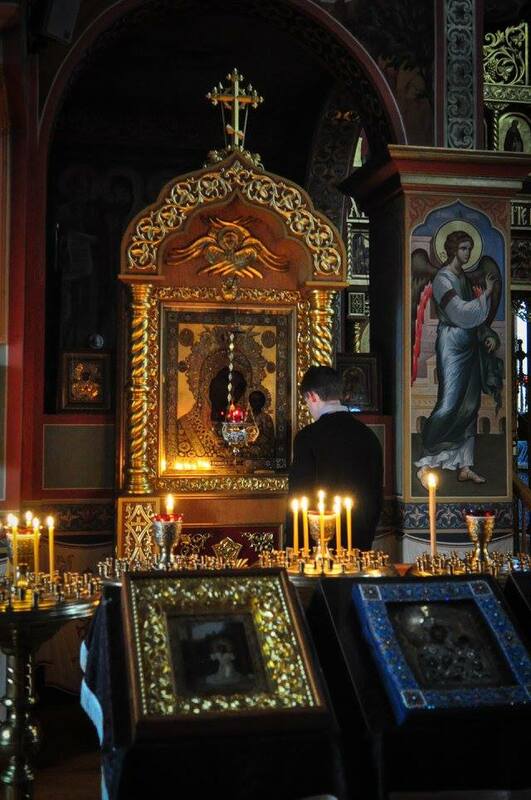 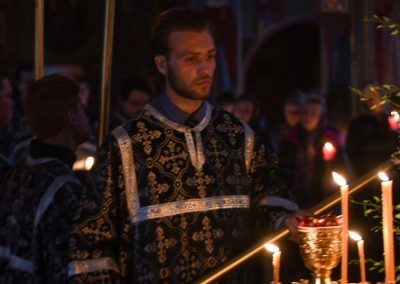 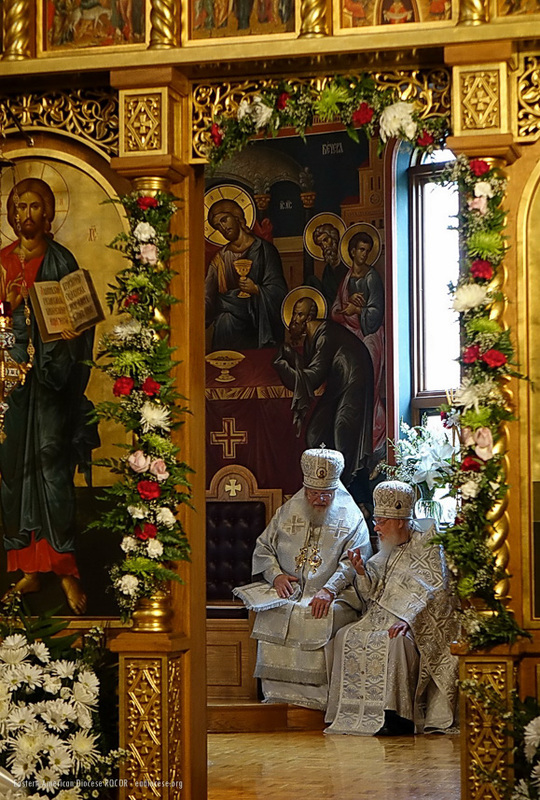 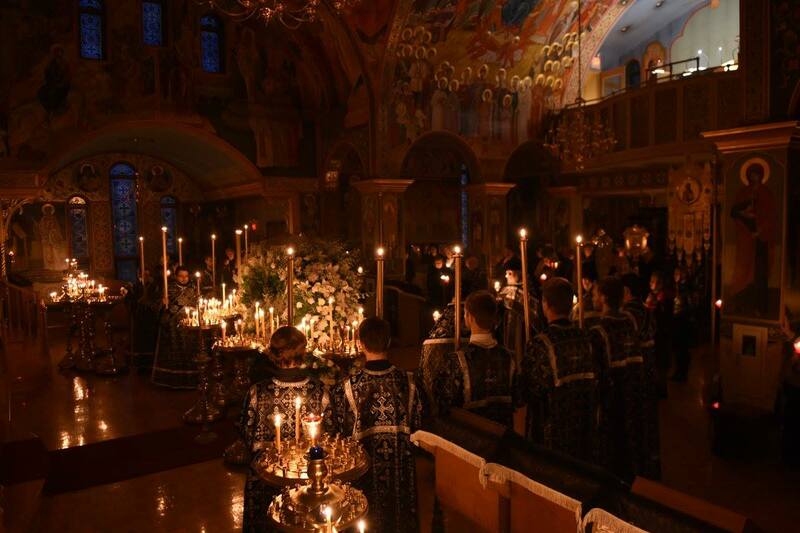 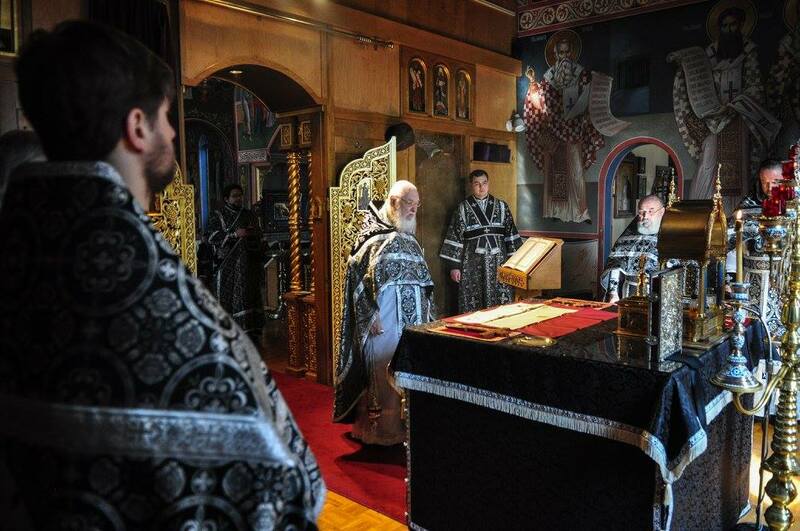 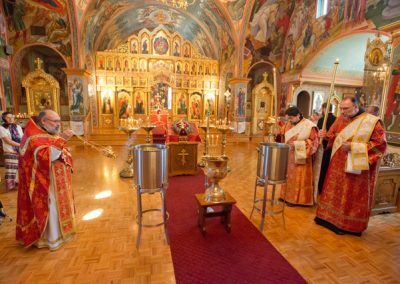 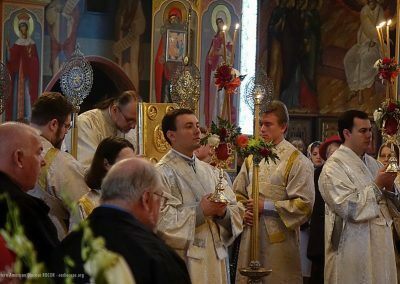 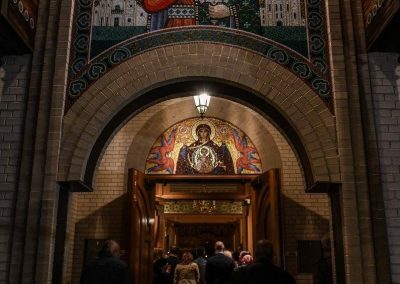 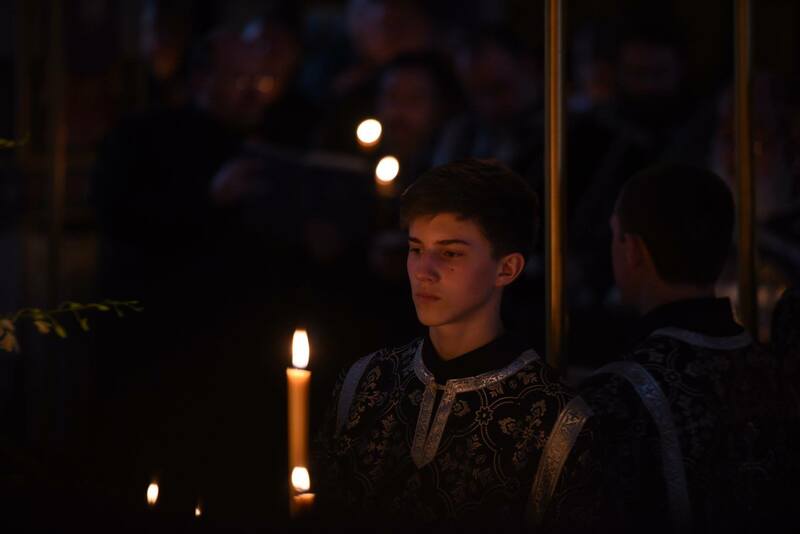 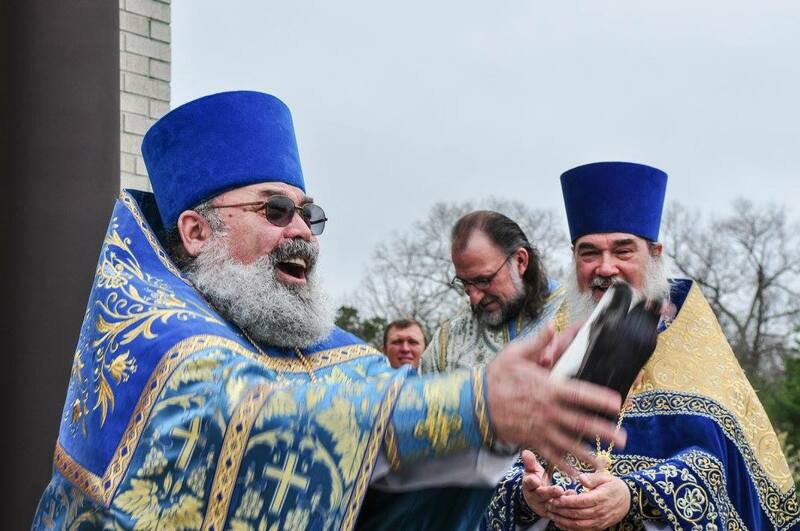 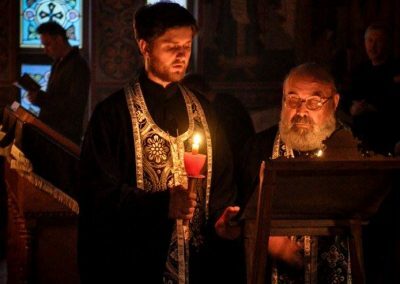 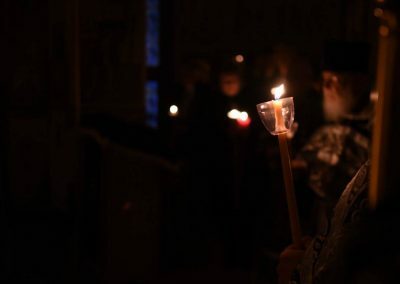 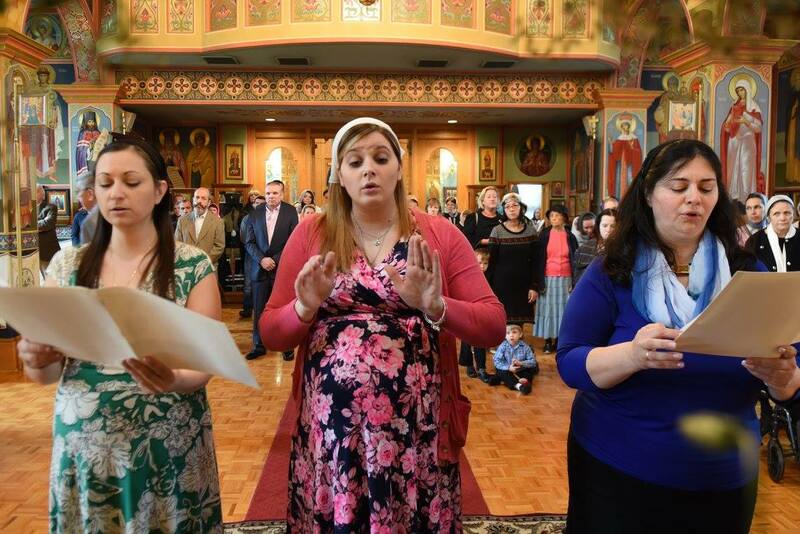 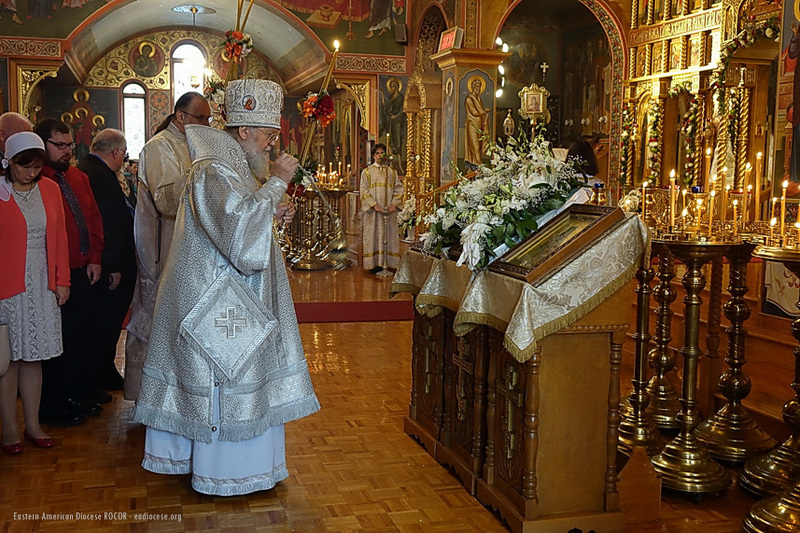 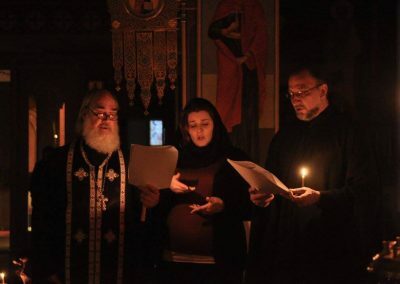 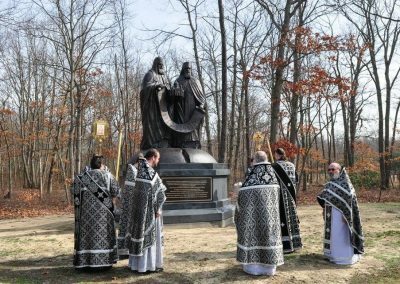 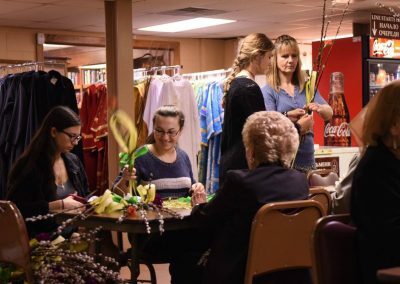 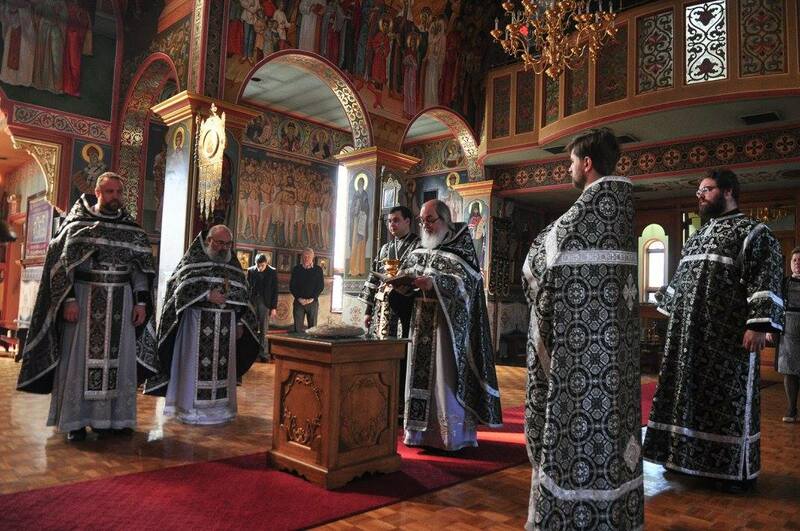 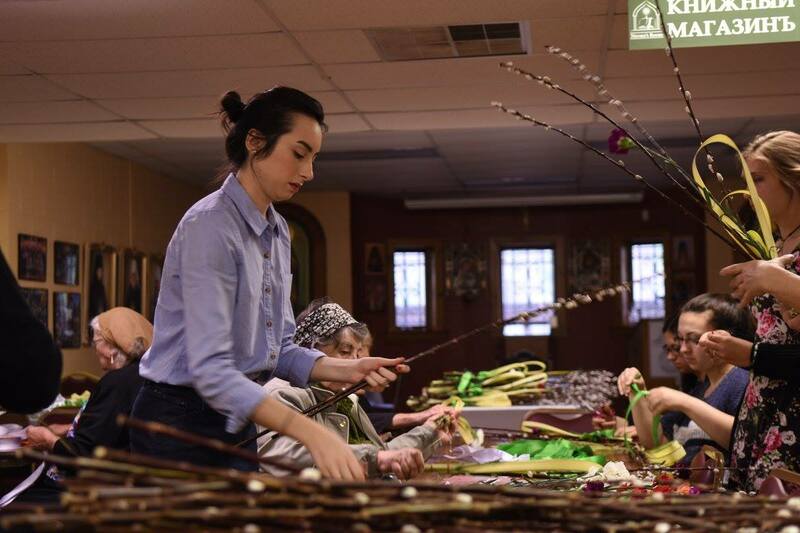 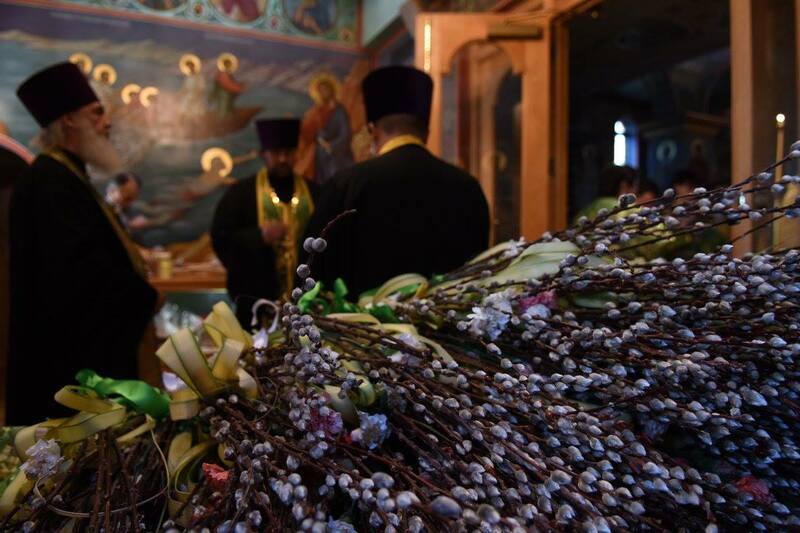 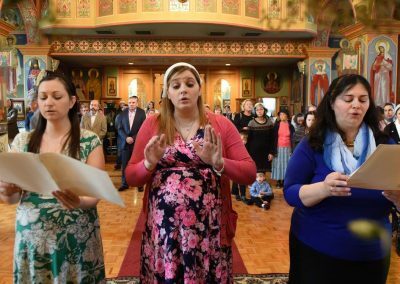 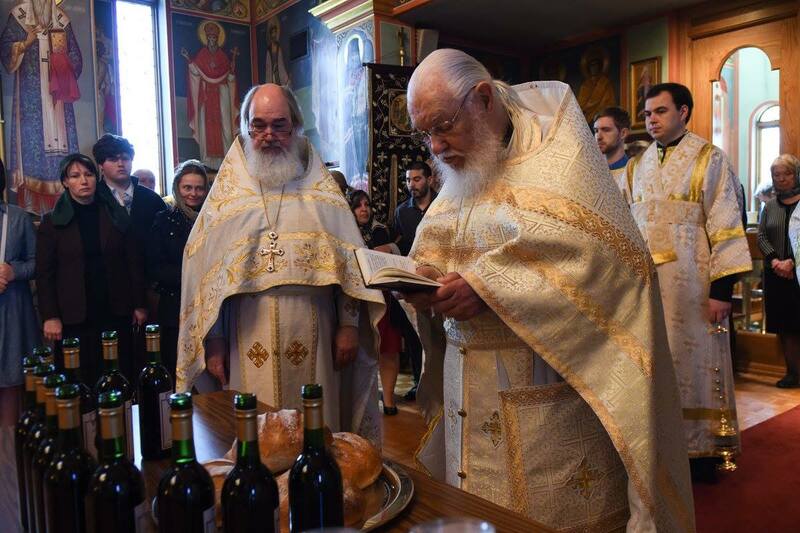 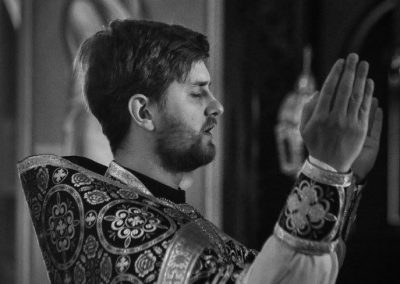 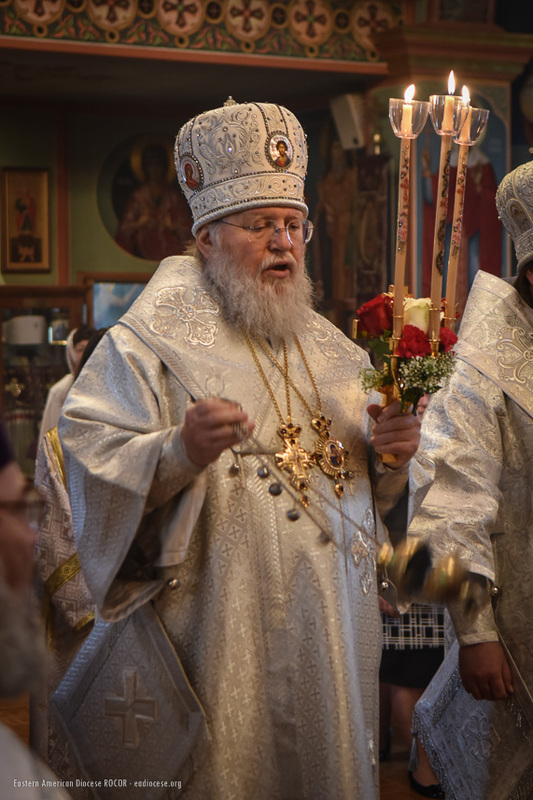 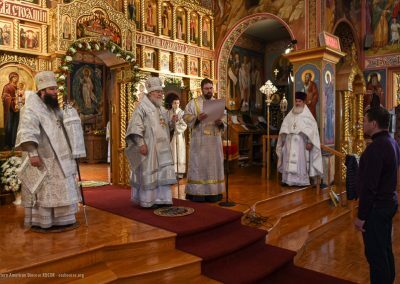 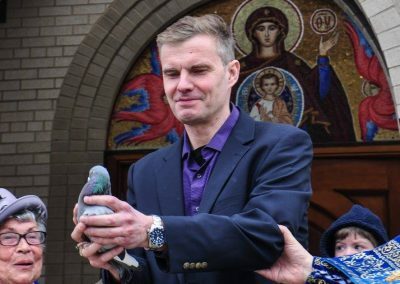 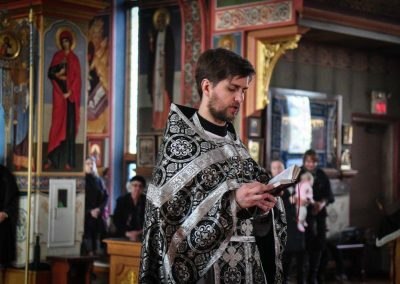 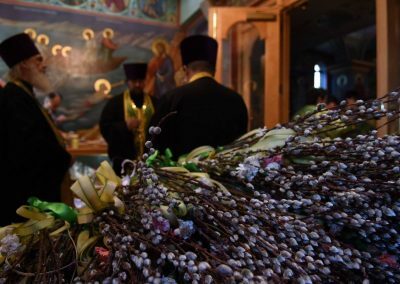 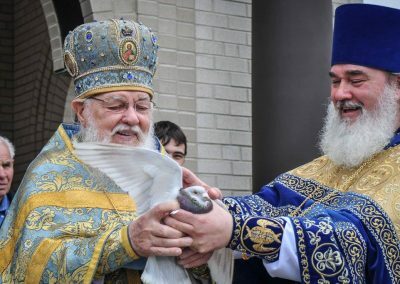 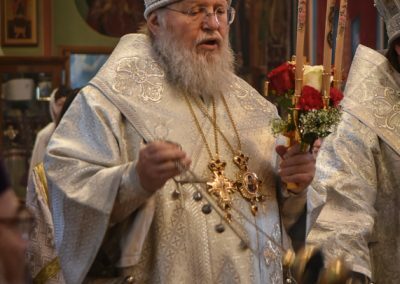 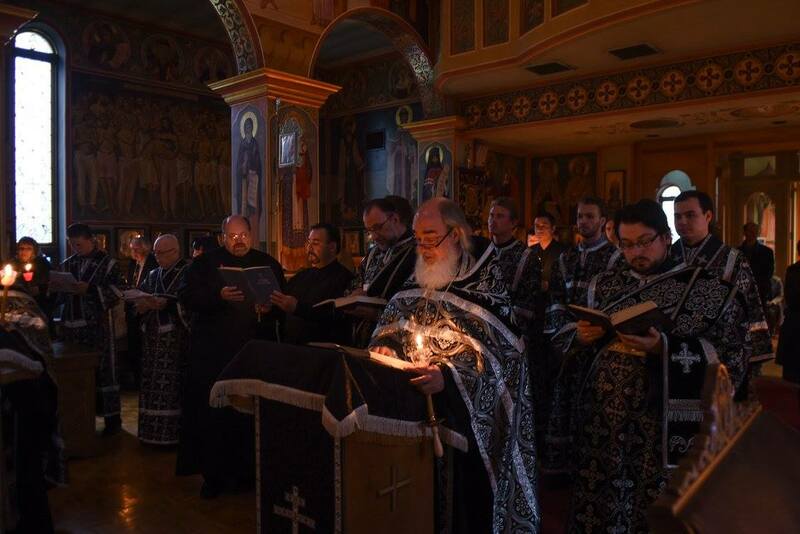 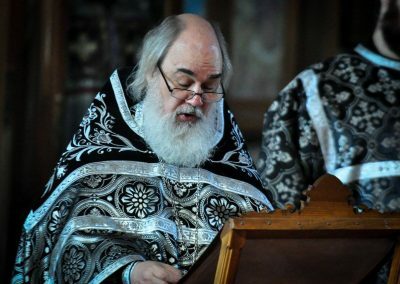 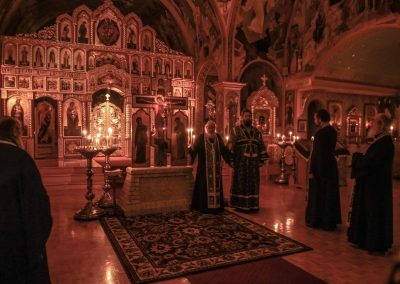 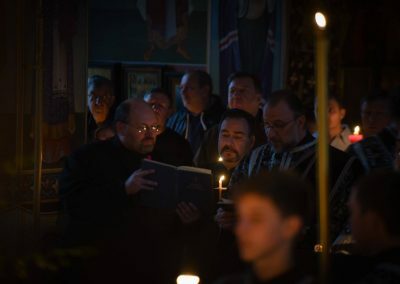 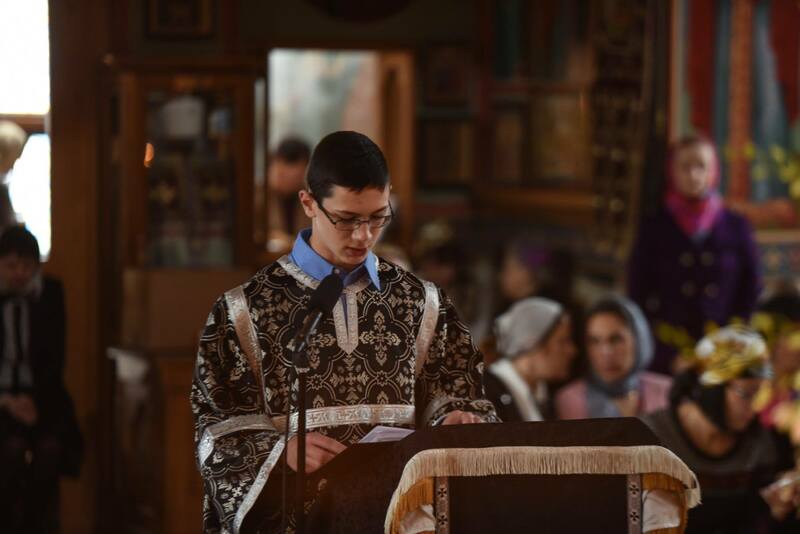 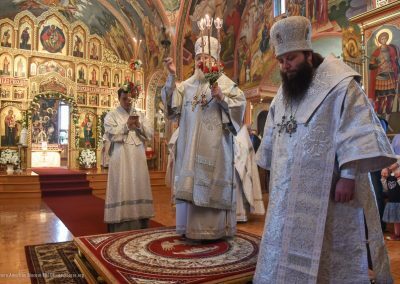 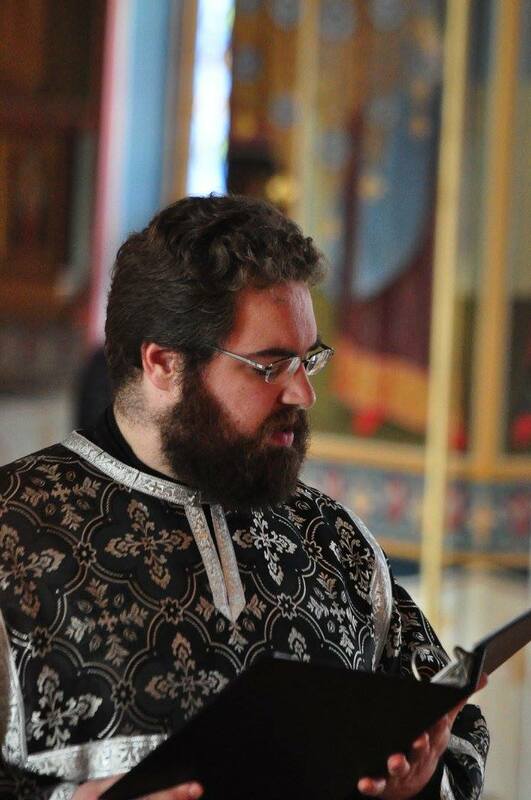 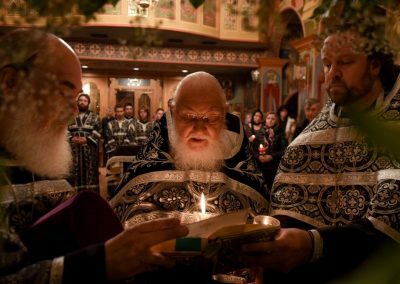 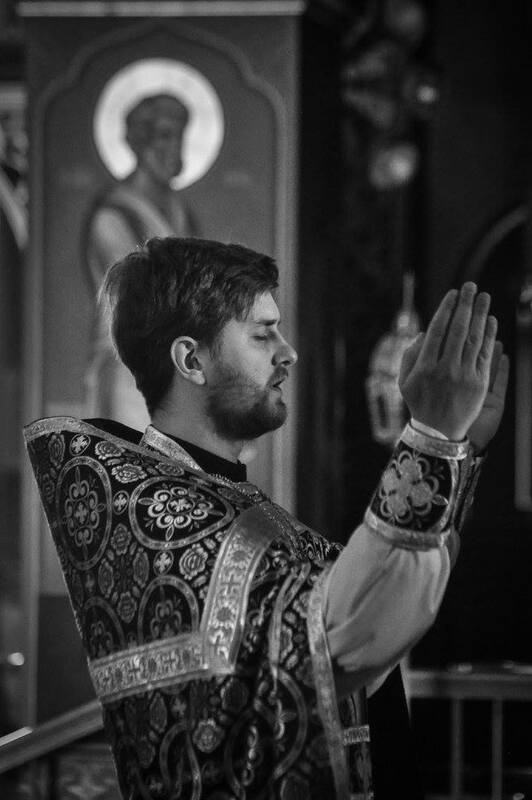 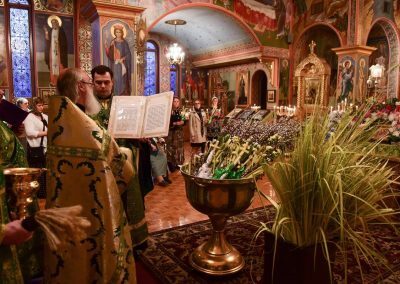 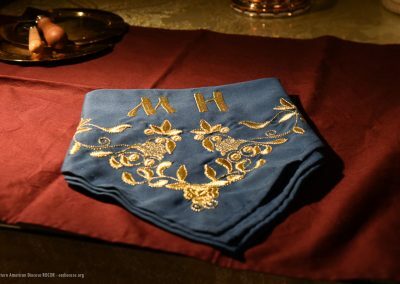 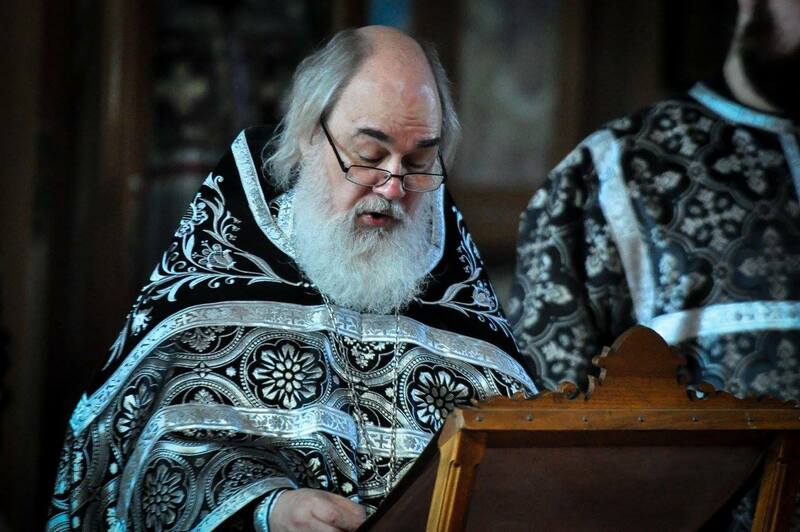 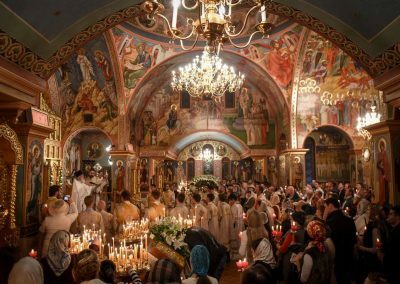 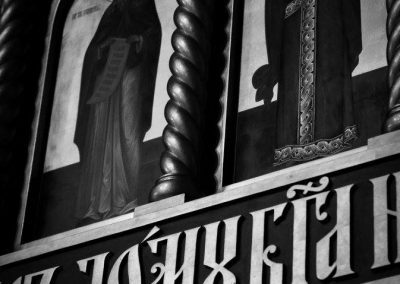 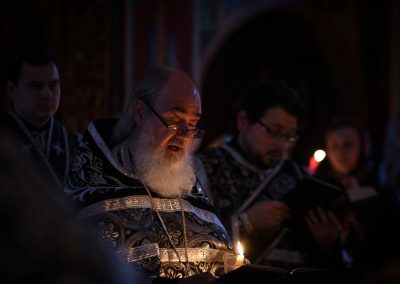 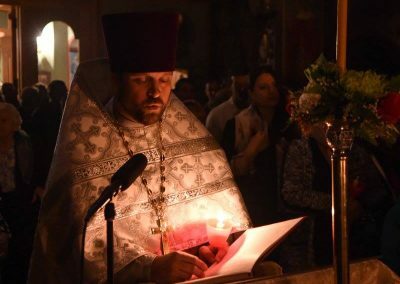 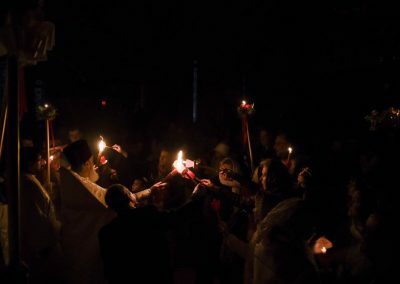 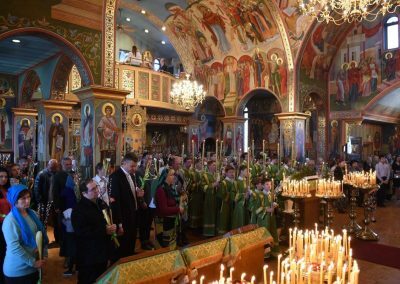 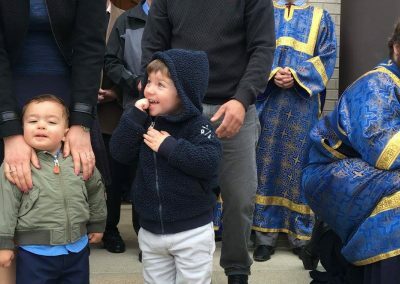 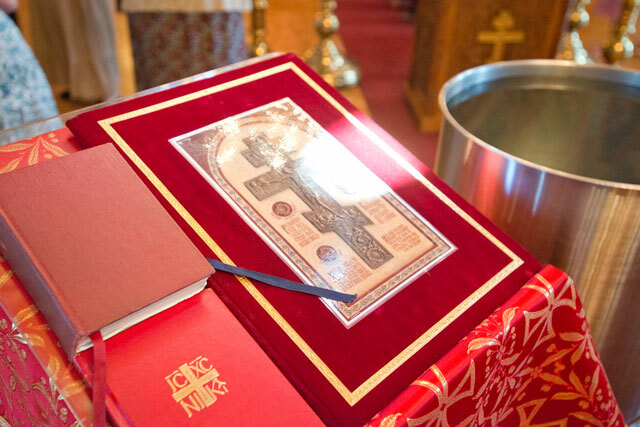 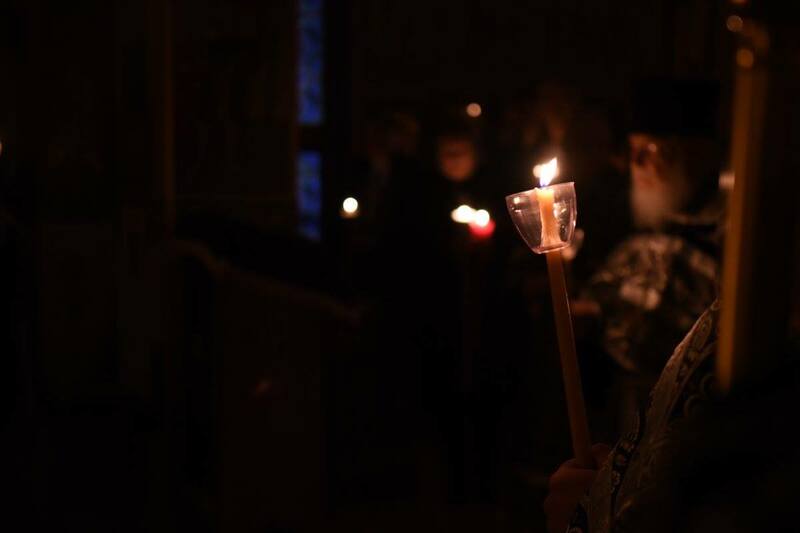 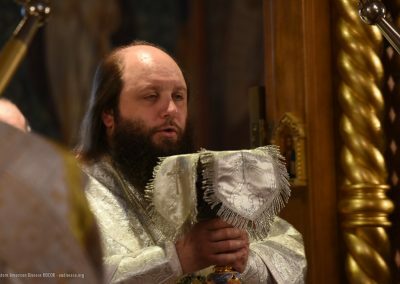 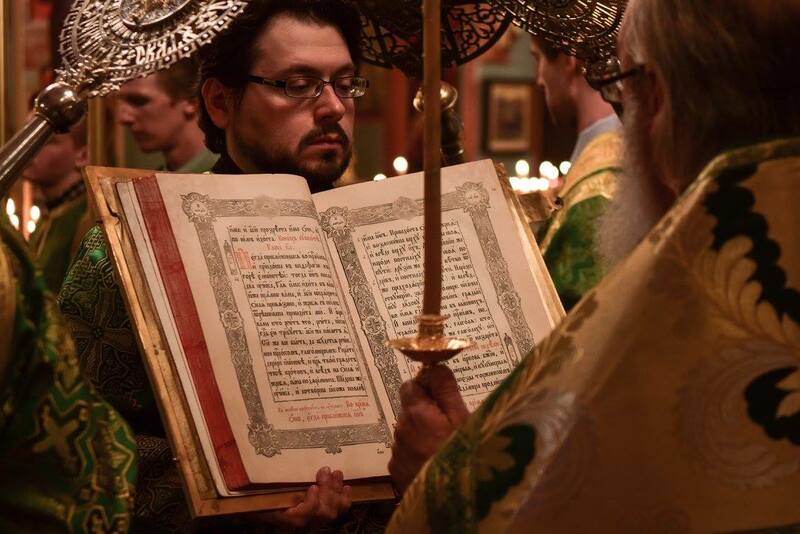 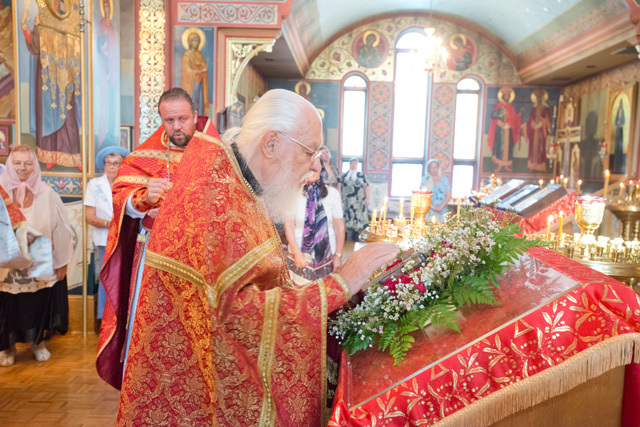 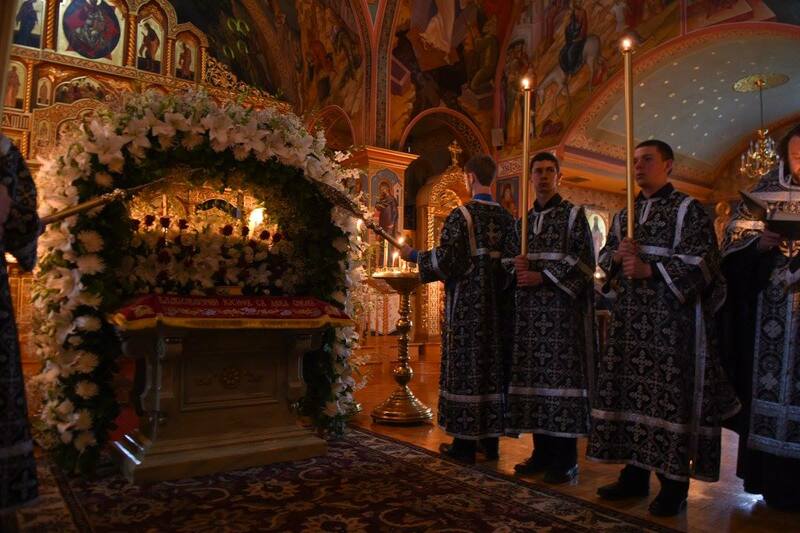 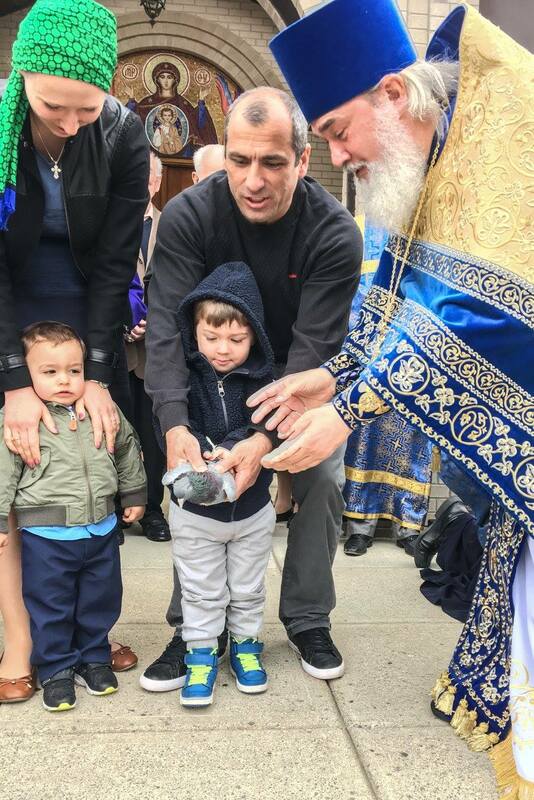 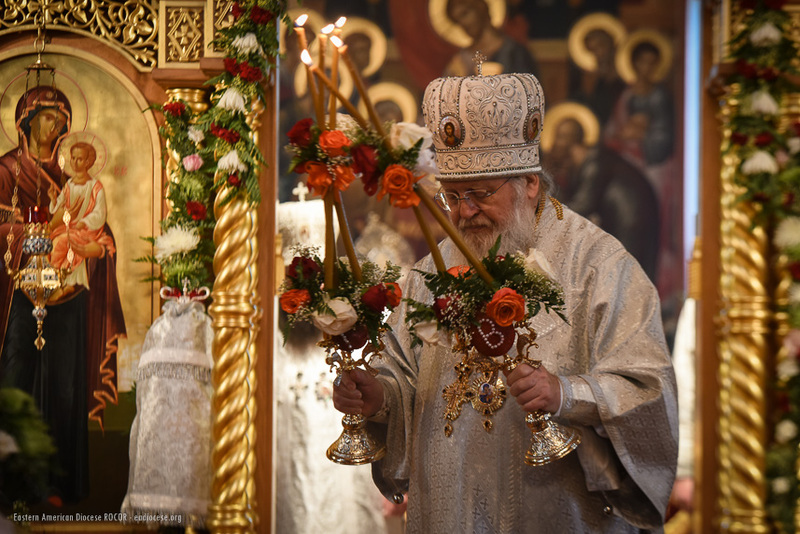 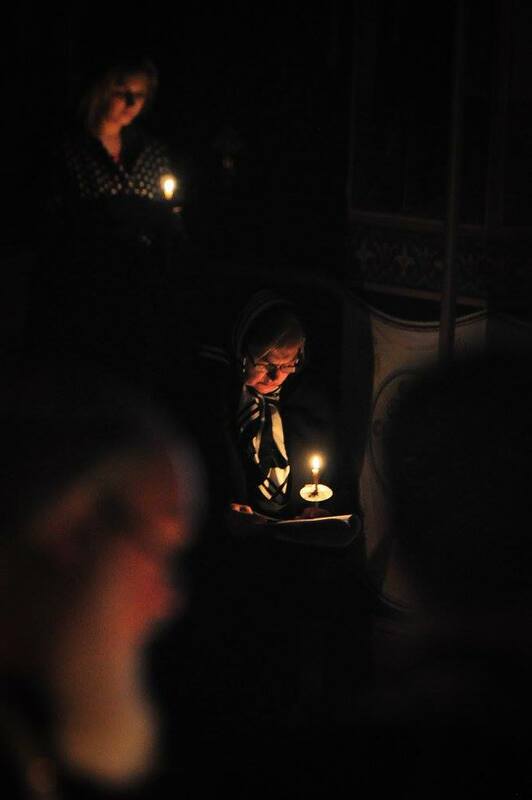 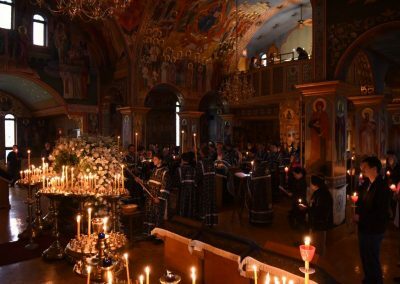 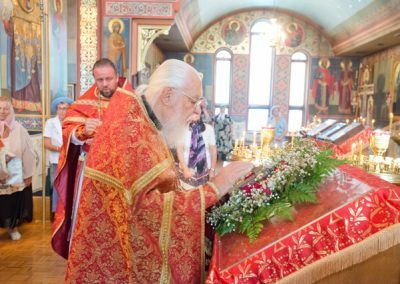 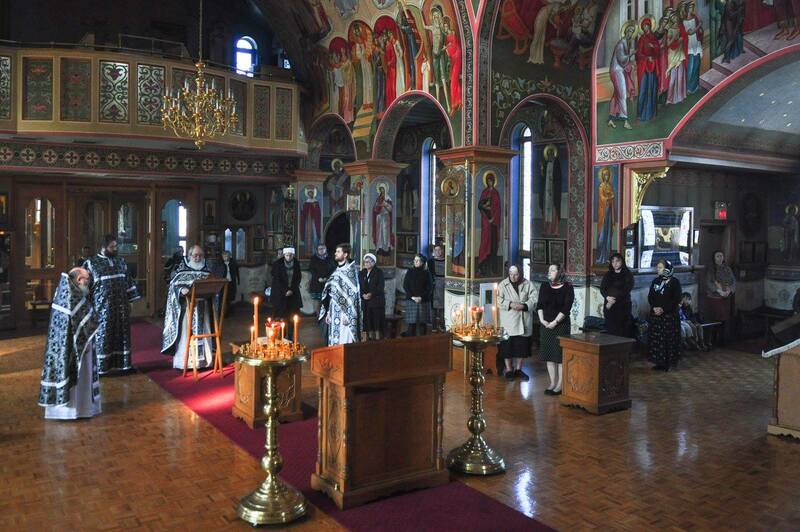 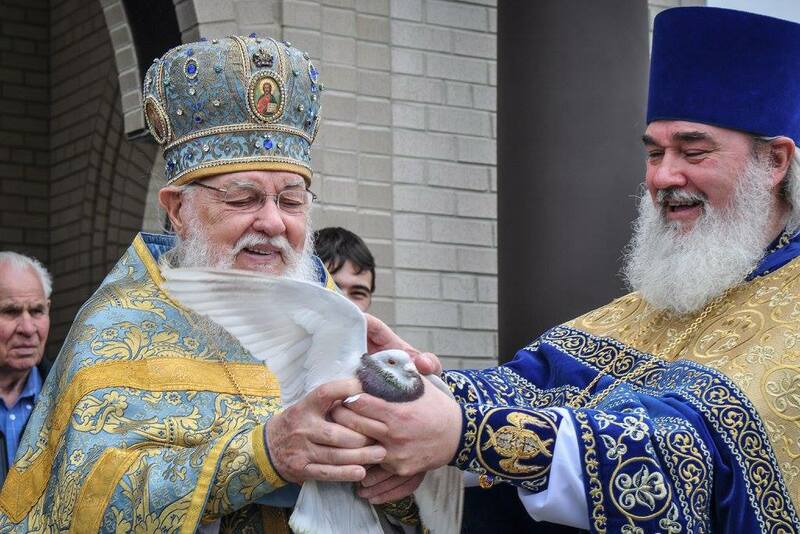 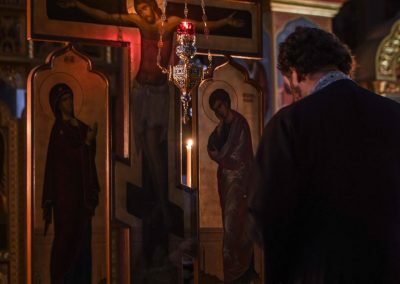 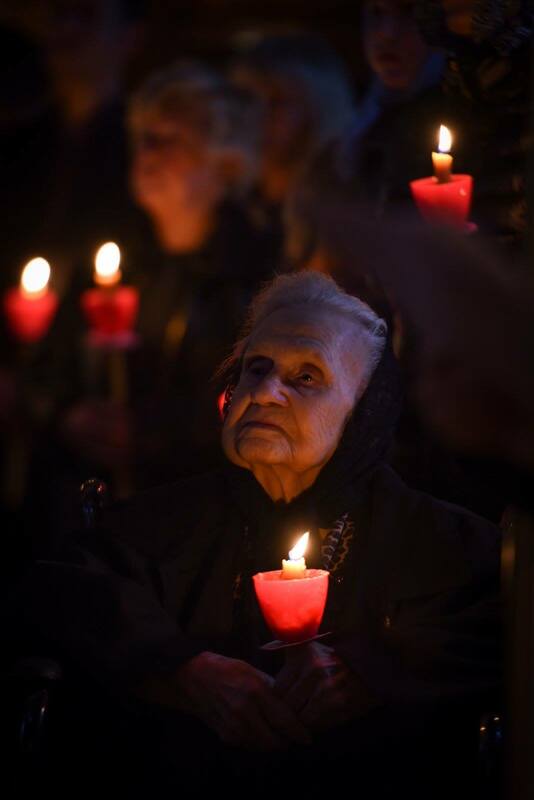 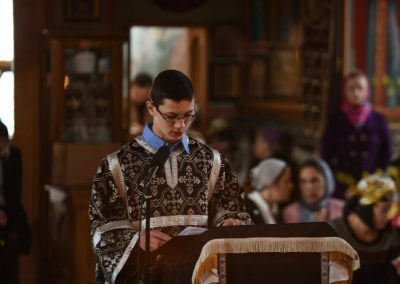 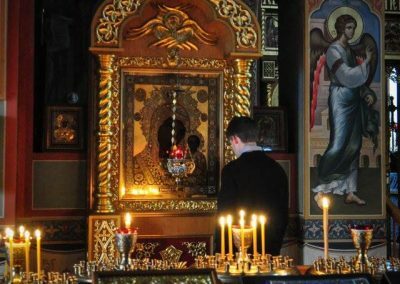 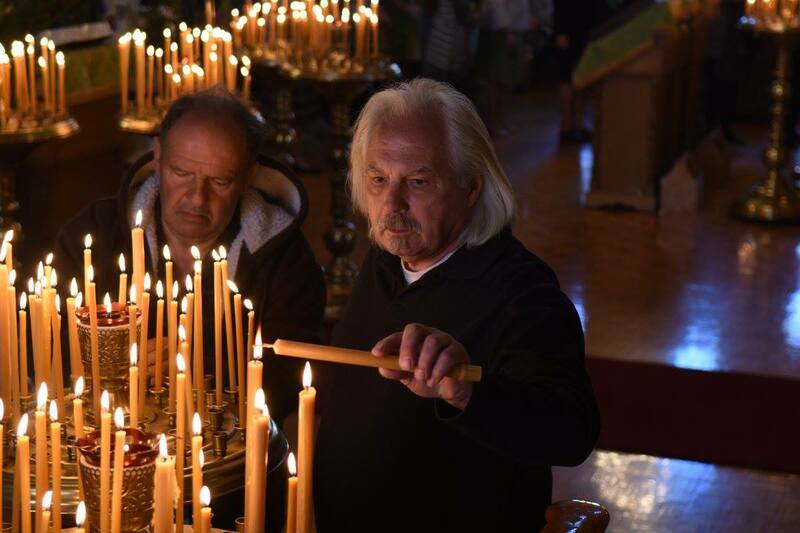 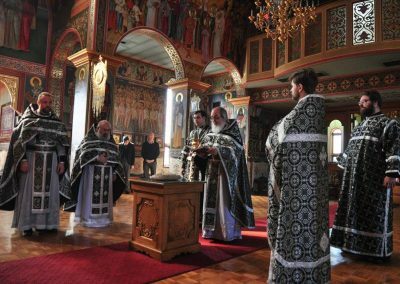 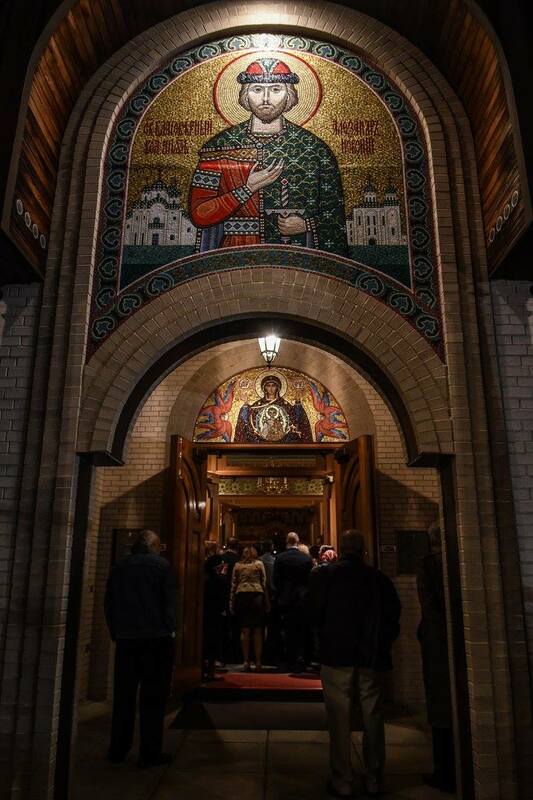 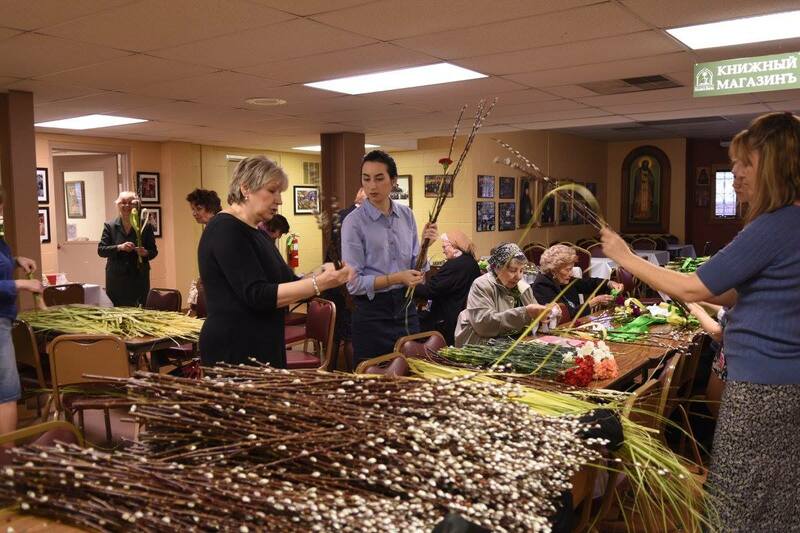 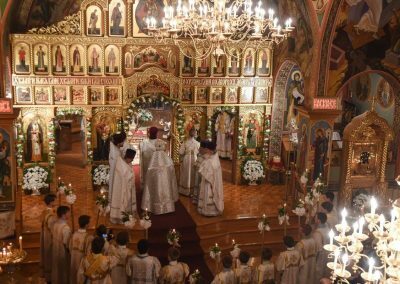 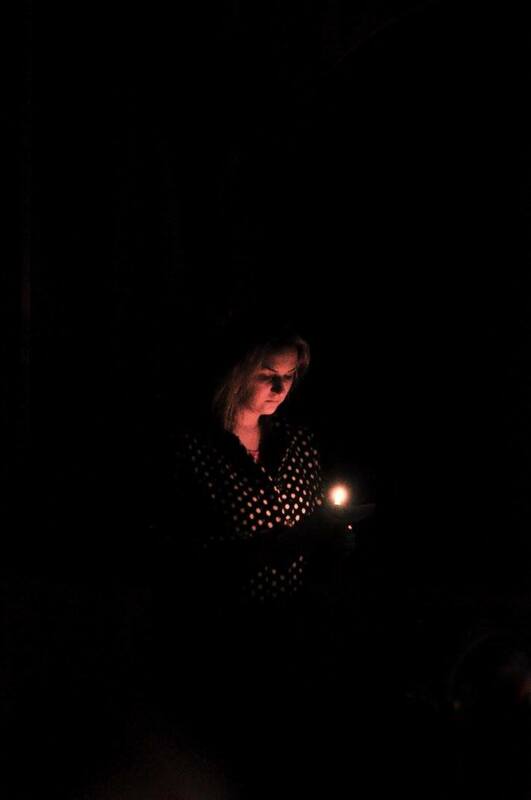 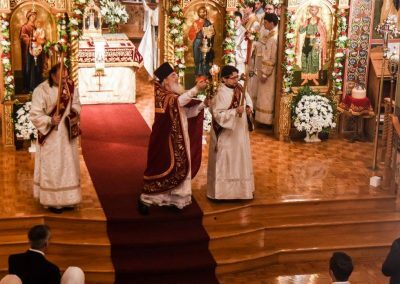 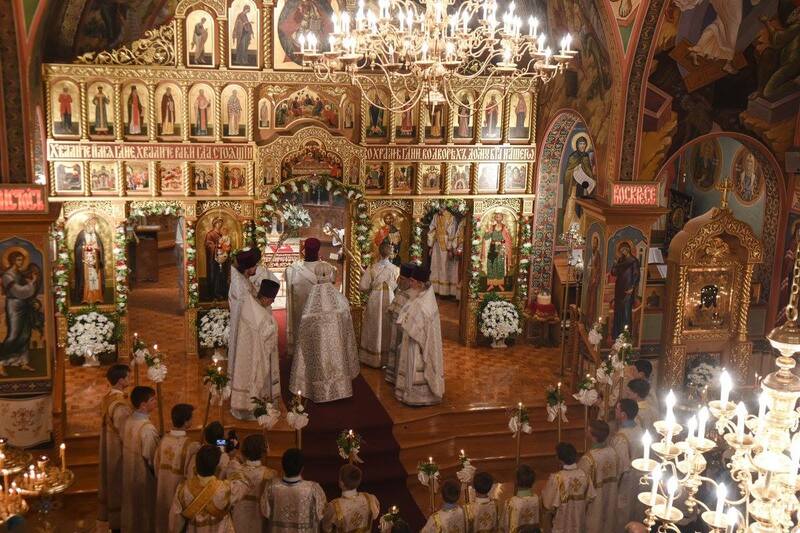 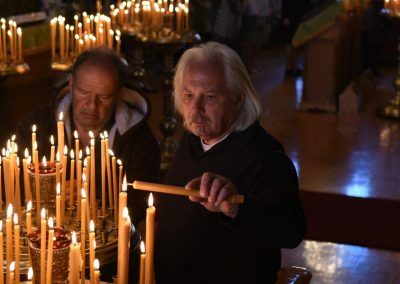 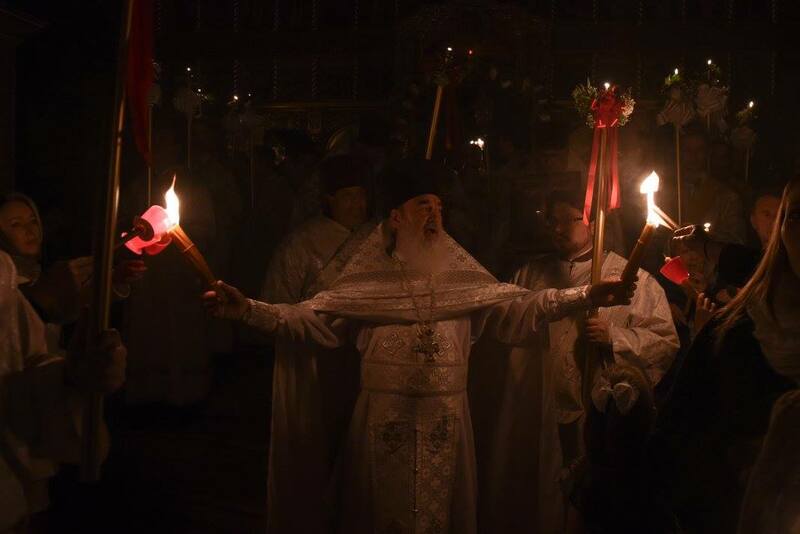 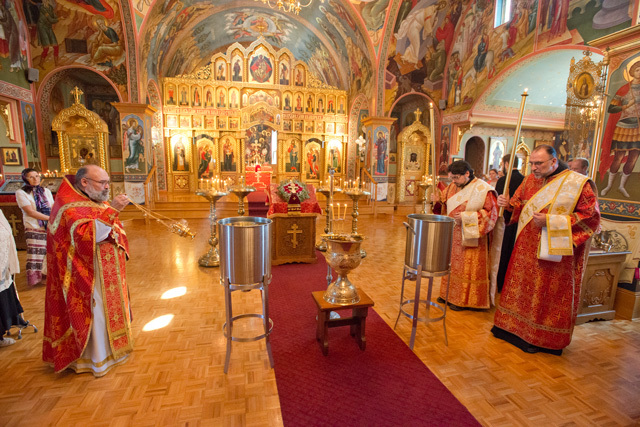 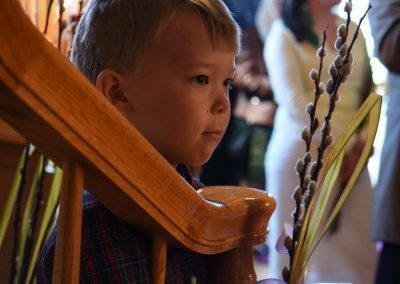 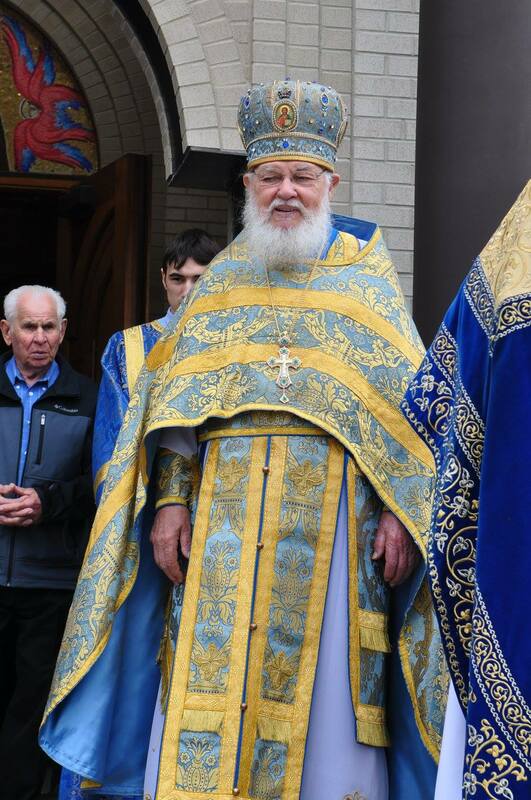 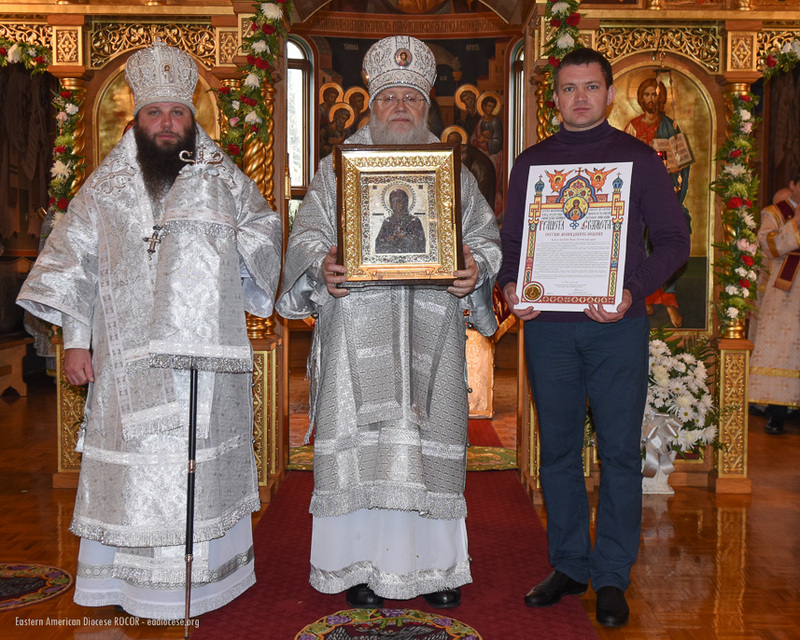 On December 3rd and 4th, Metropolitan Hilarion led festivities in honor of the 80th Anniversary of St. Alexander Nevsky Parish in the presence of the myrrh-streaming Hawaiian Montreal Iveron Icon of the Mother of God. 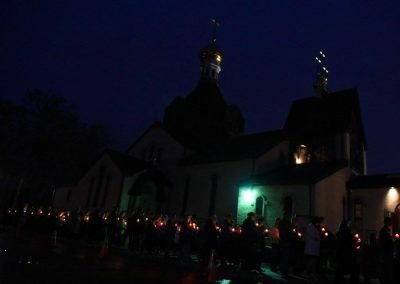 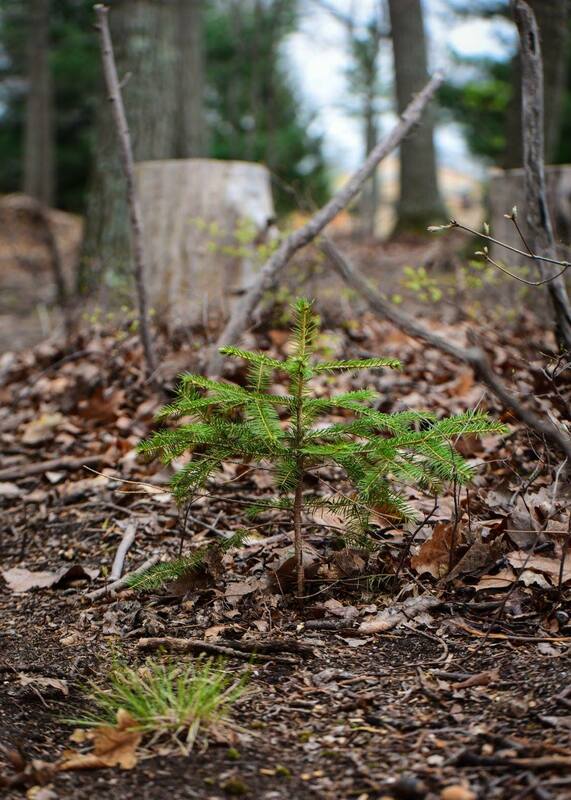 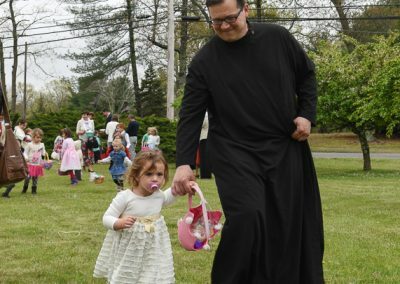 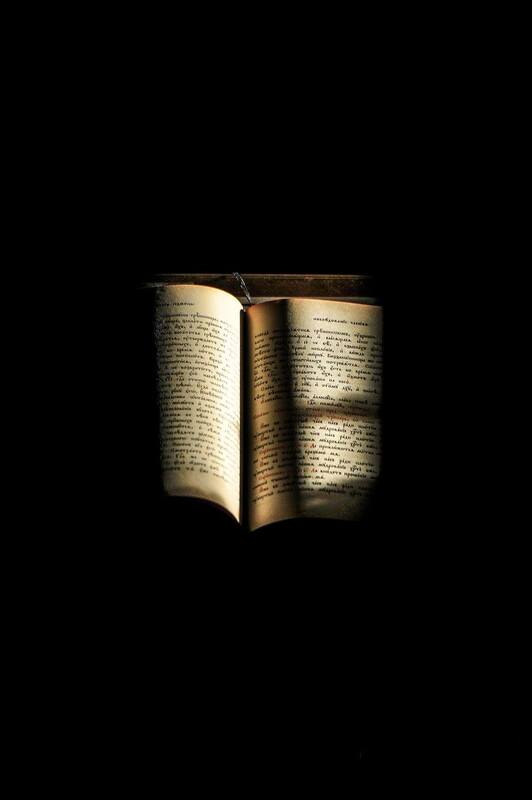 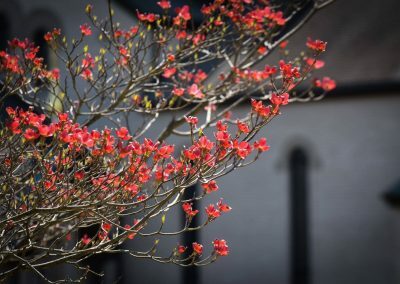 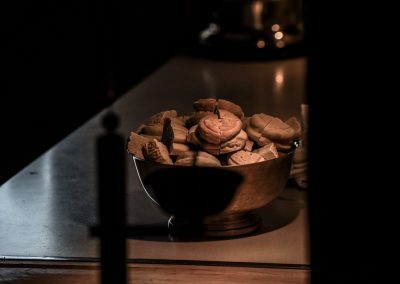 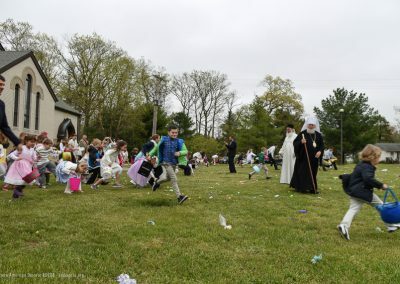 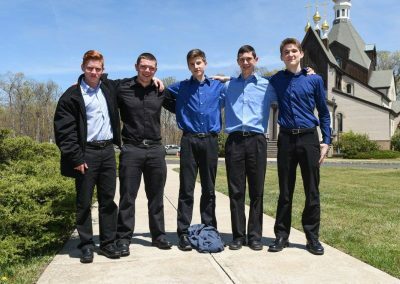 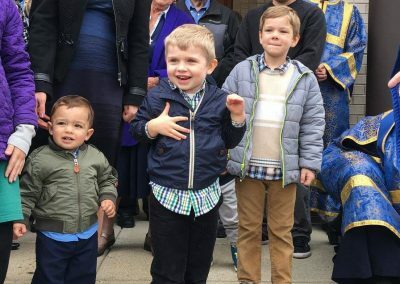 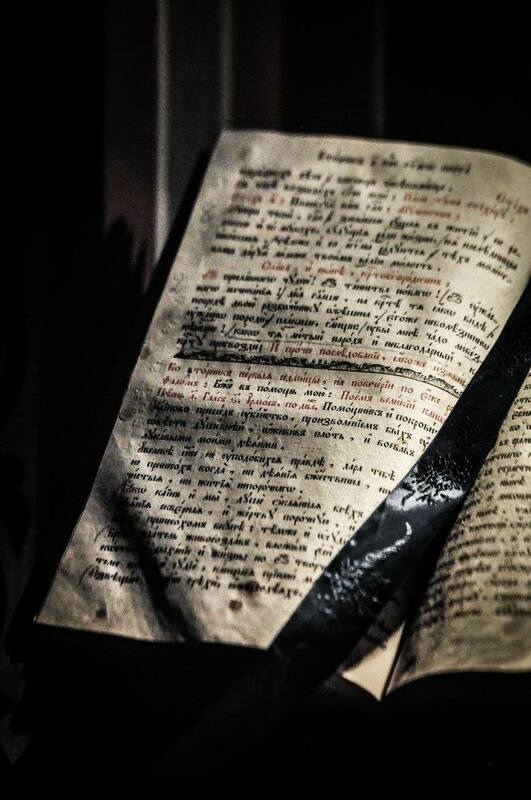 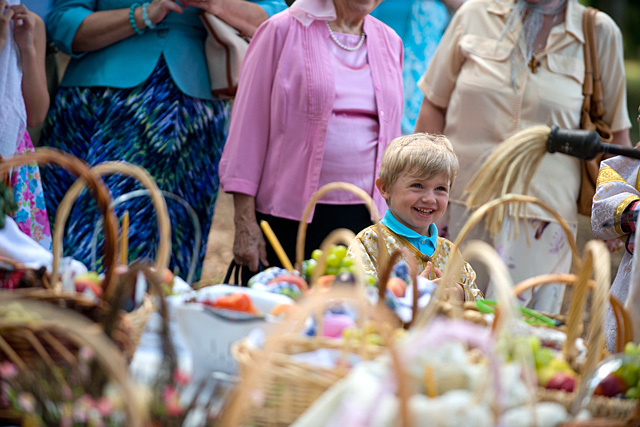 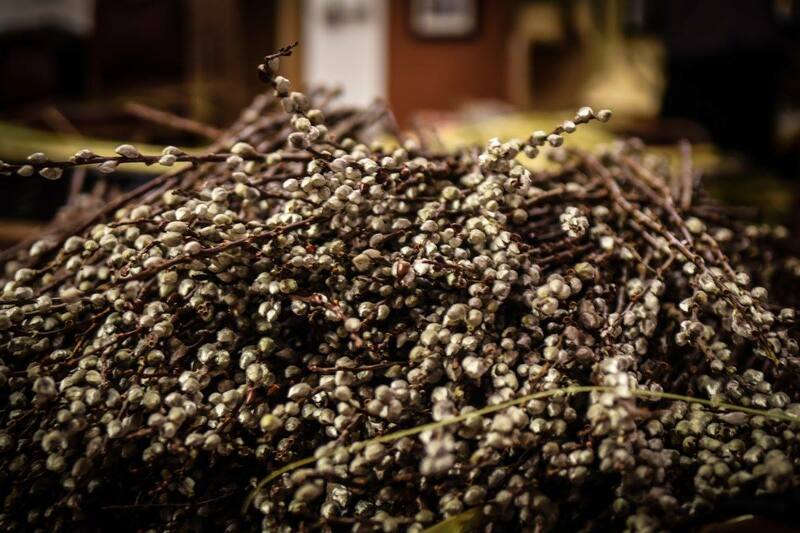 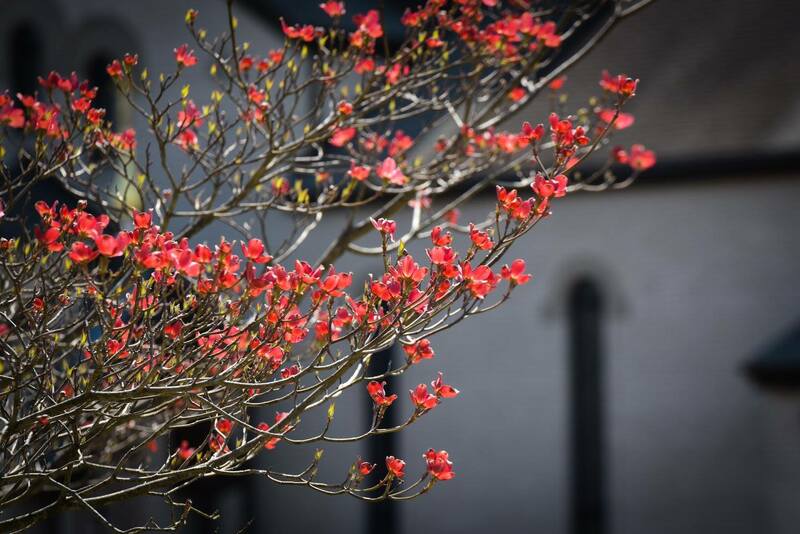 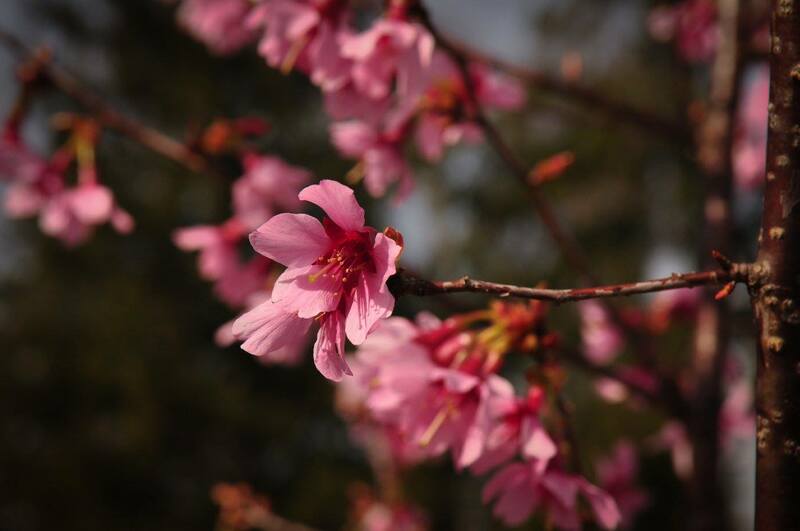 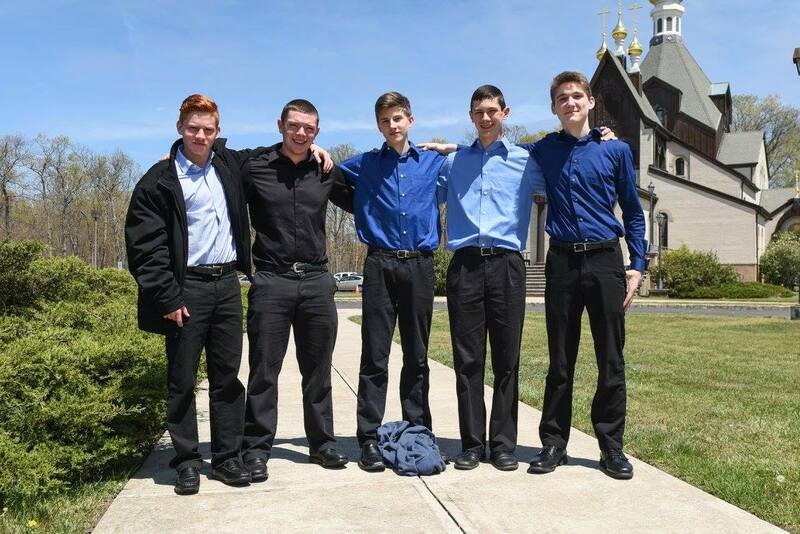 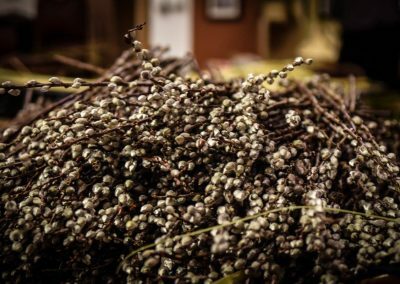 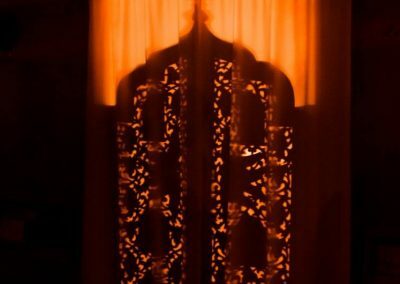 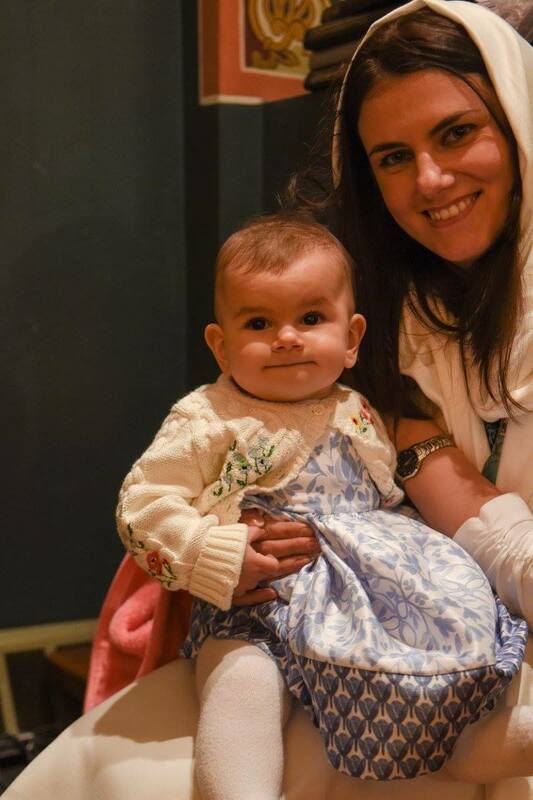 CLICK HERE for the article in English and photos. 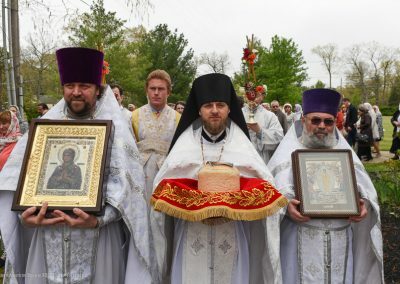 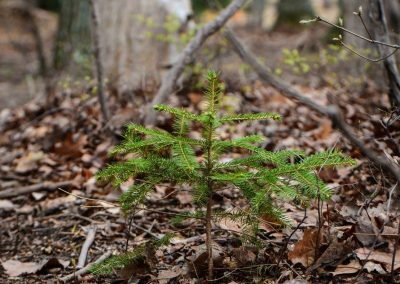 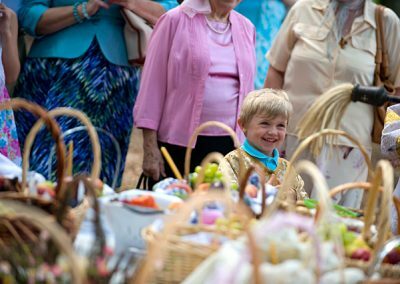 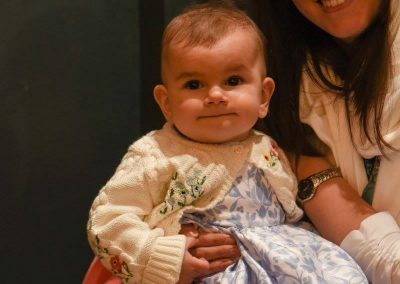 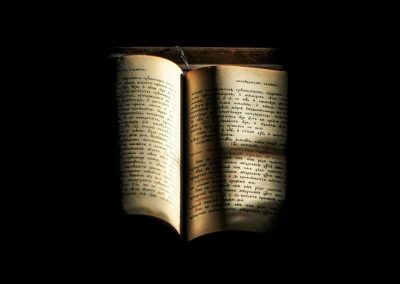 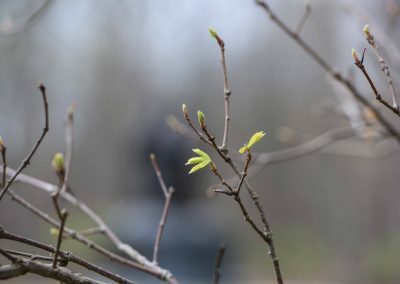 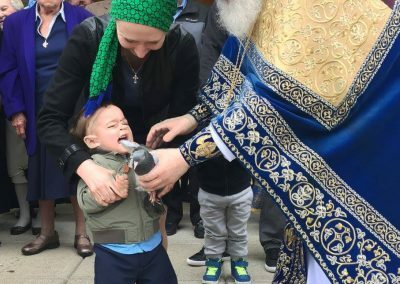 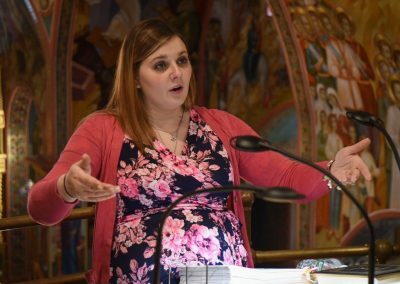 CLICK HERE for the article in Russian and photos. 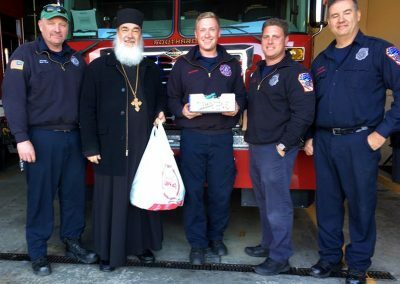 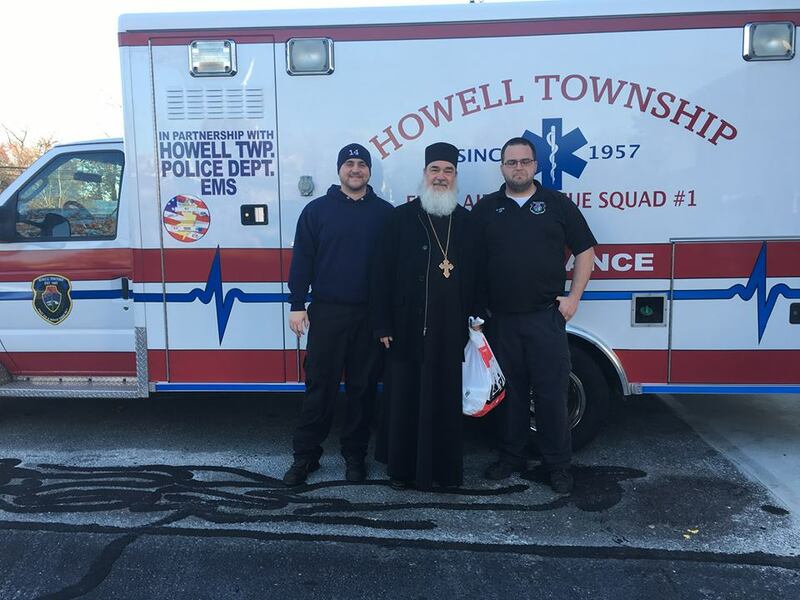 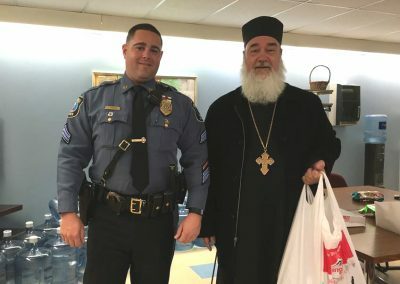 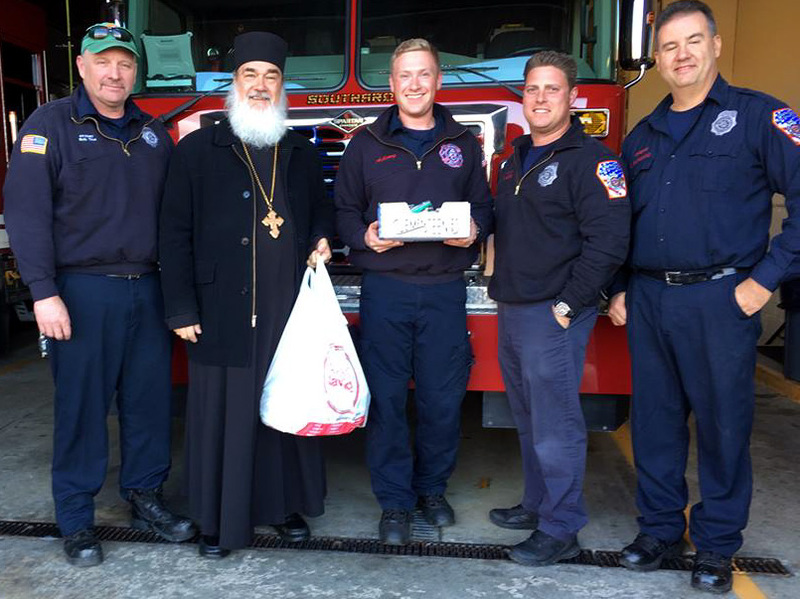 This year, during the week of Thanksgiving, our church volunteers visited the Howell Police Dept., Southard Fire Dept., as well as the Howell Twp. 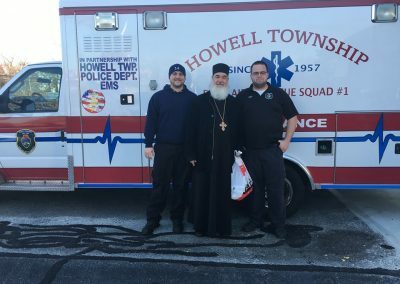 First Aid & Rescue squad. 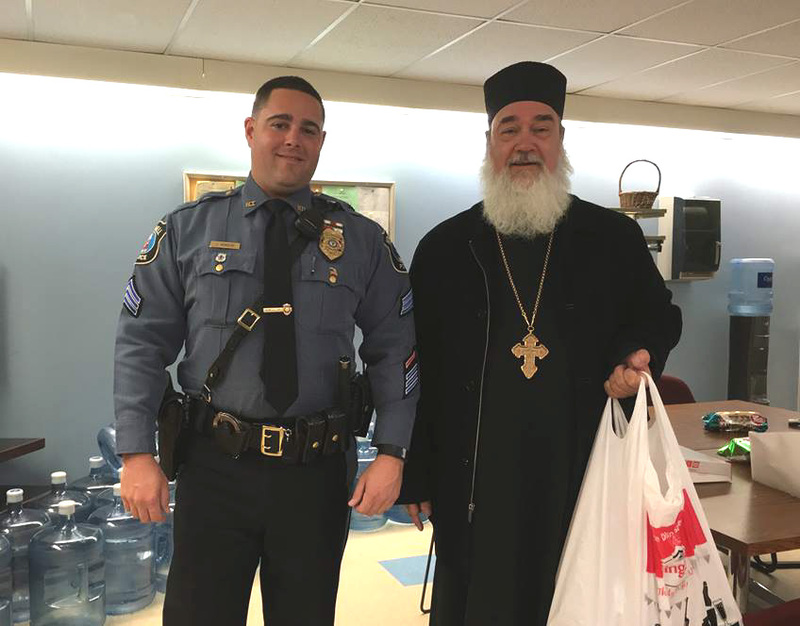 We believe that it is important to thank these brave officers and volunteers for their service to our community. 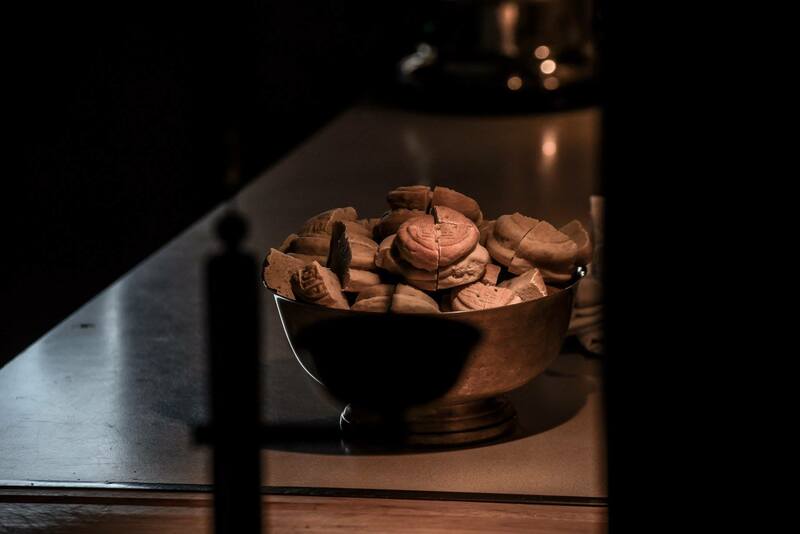 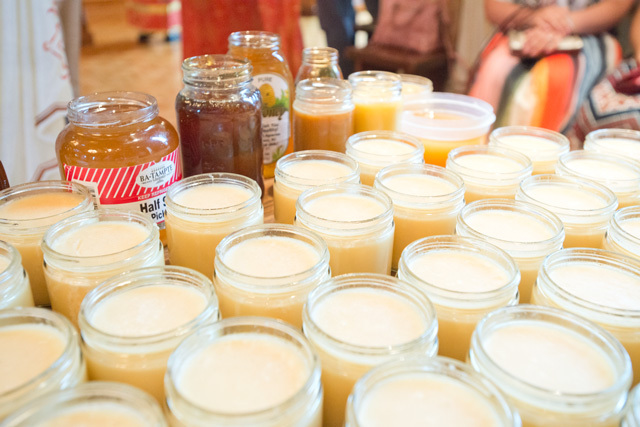 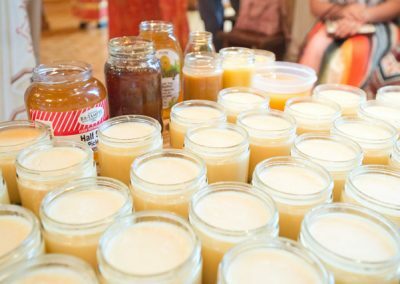 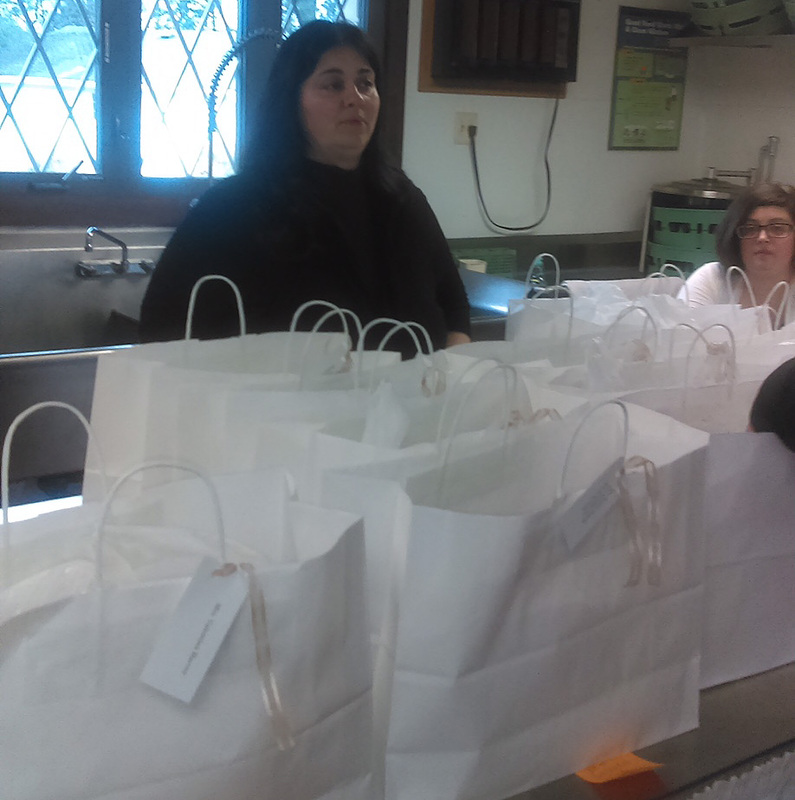 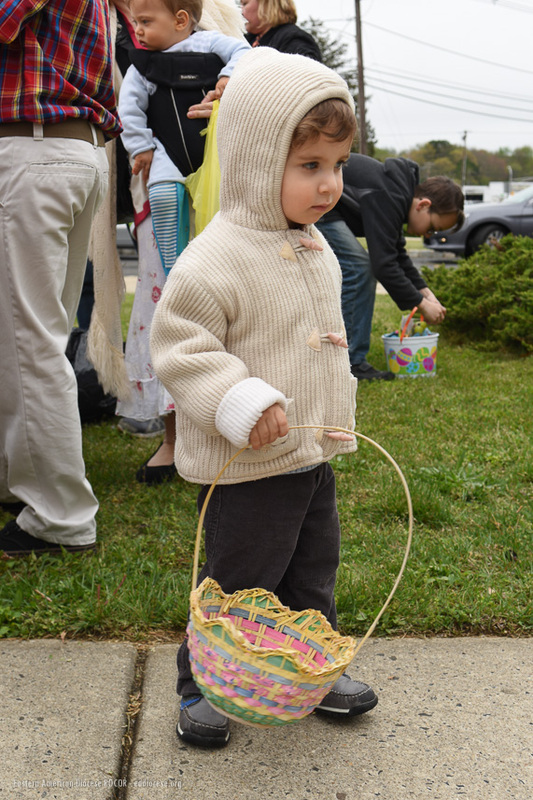 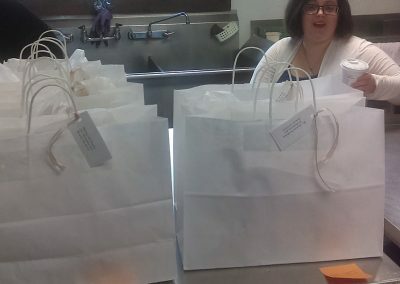 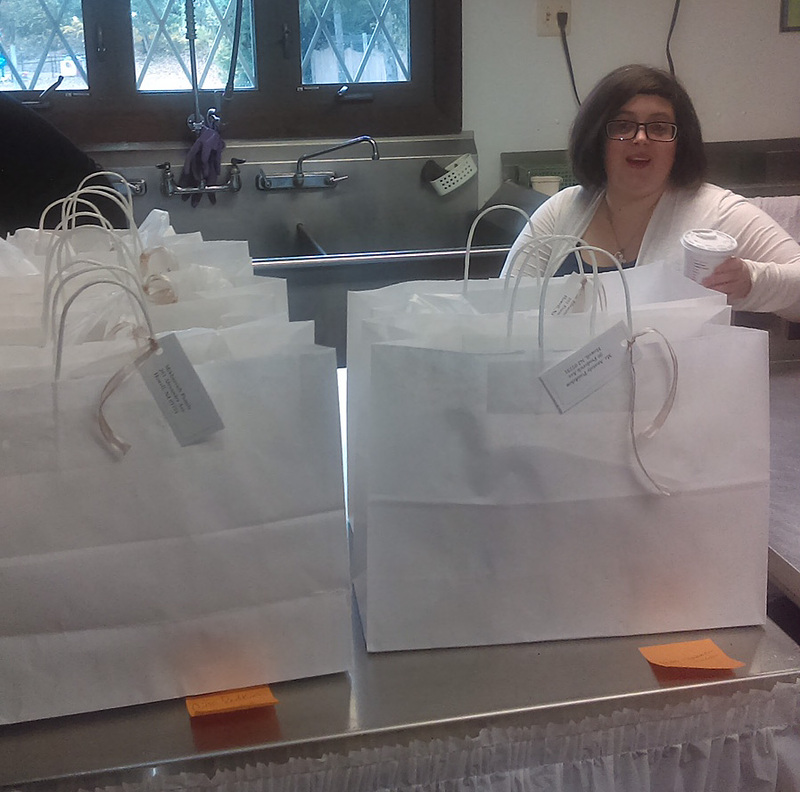 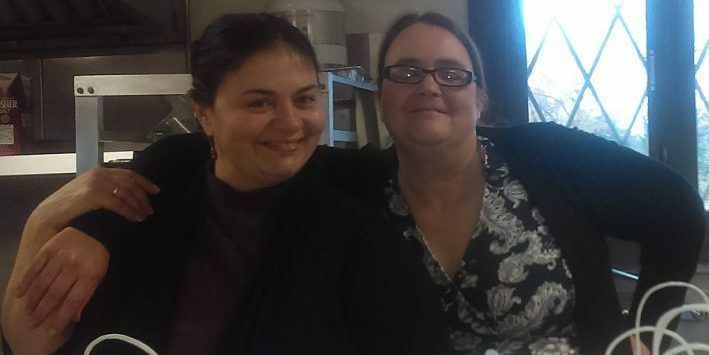 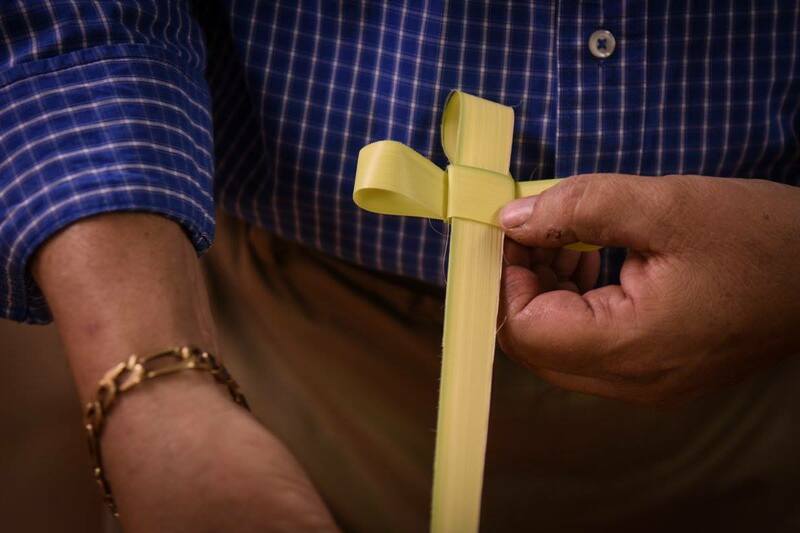 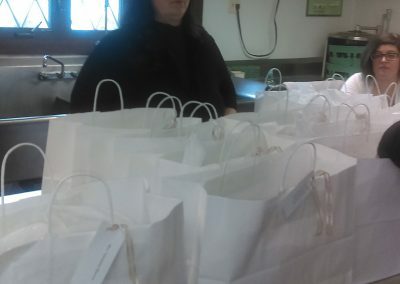 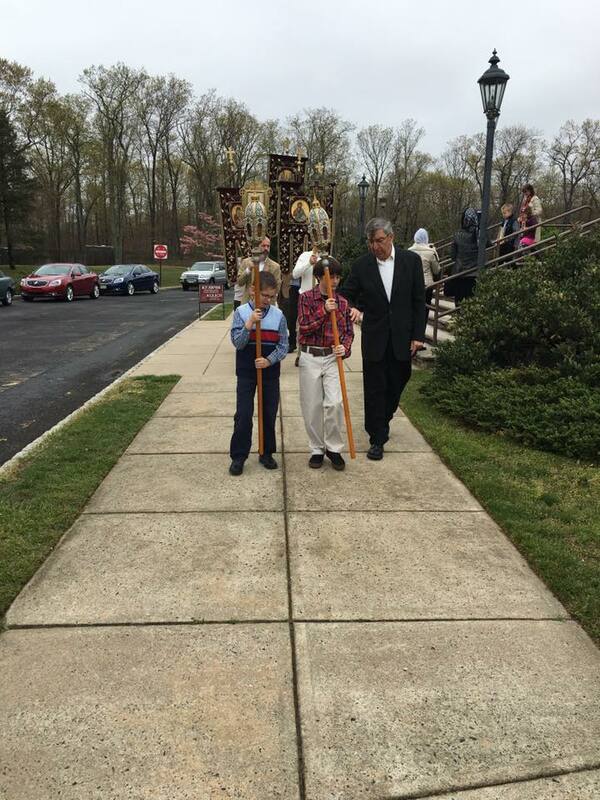 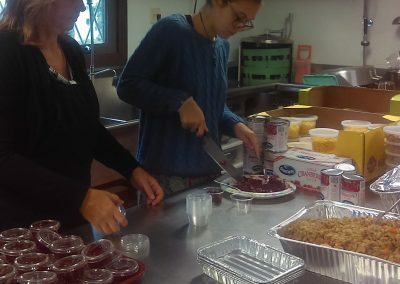 Thanksgiving meals were prepared by volunteers and delivered to many homebound parishioners on behalf of the parish. 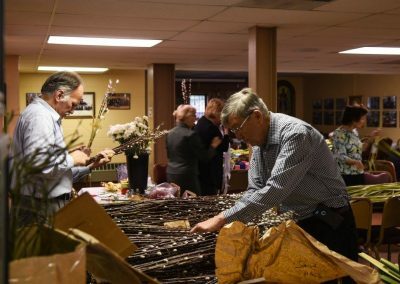 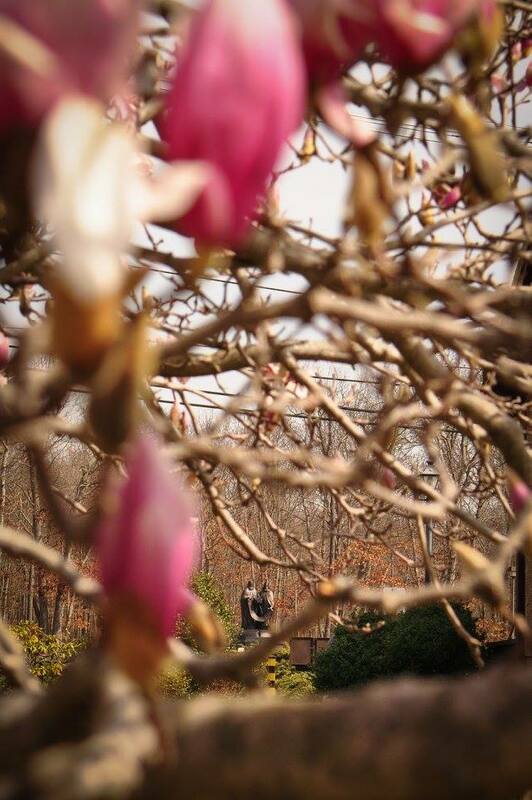 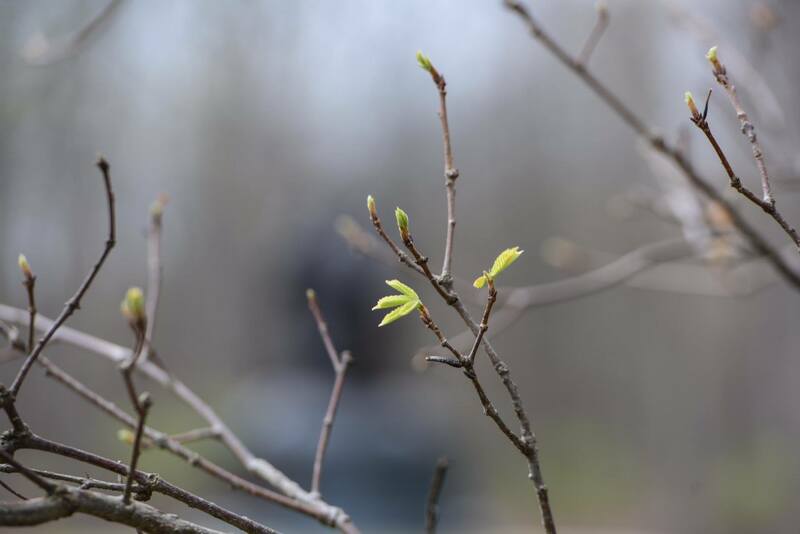 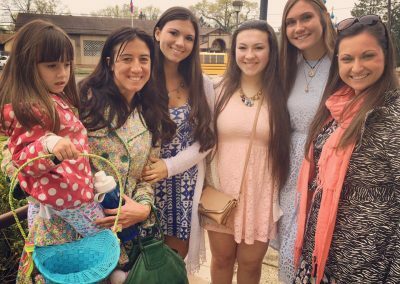 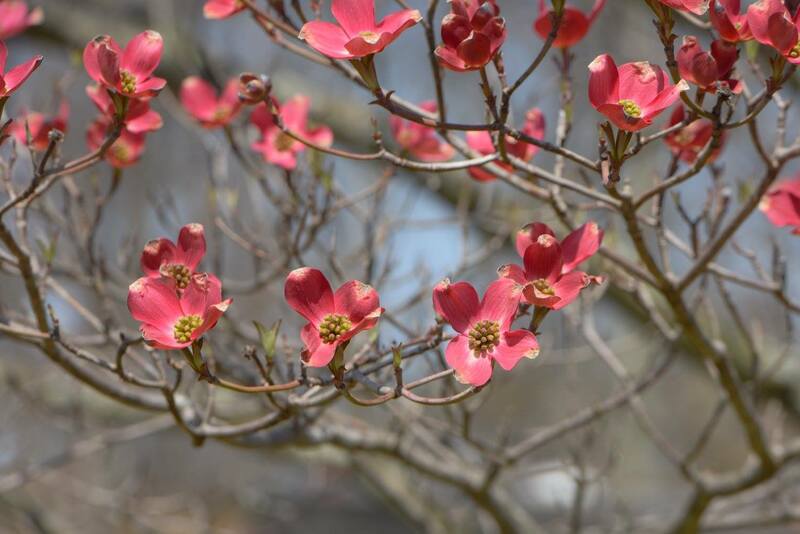 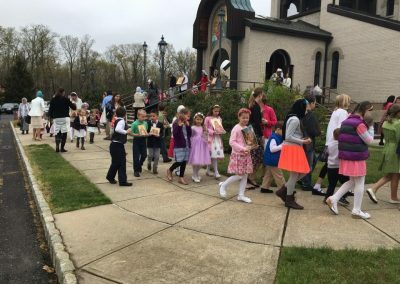 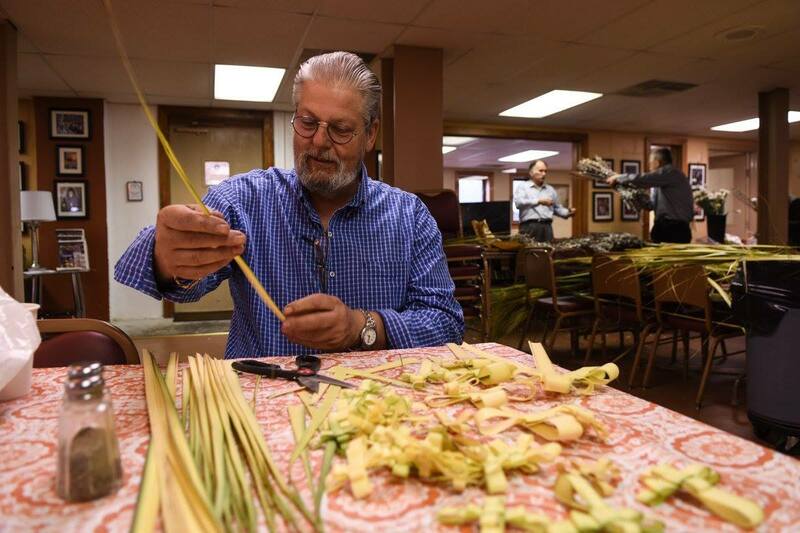 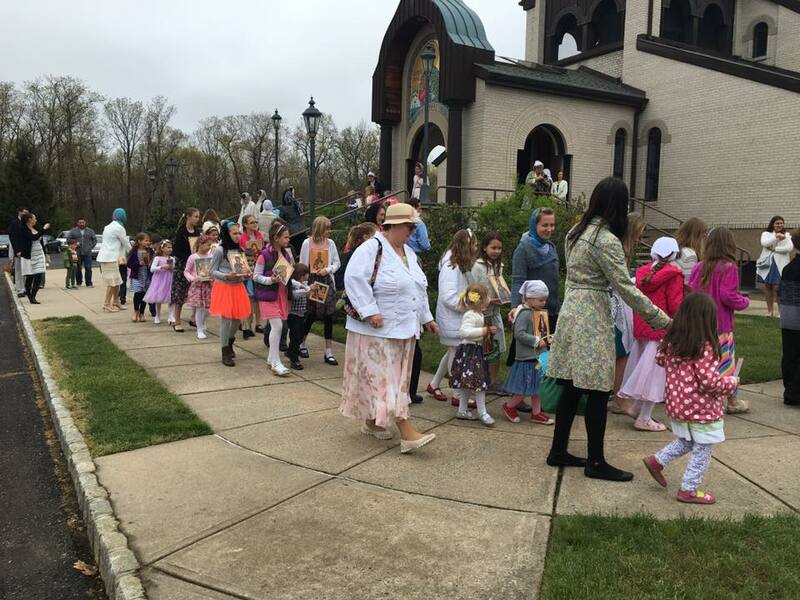 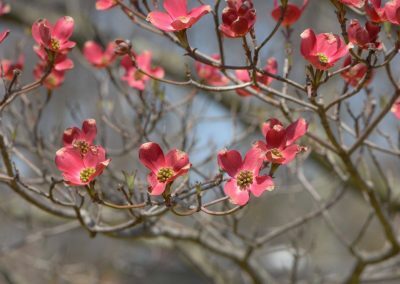 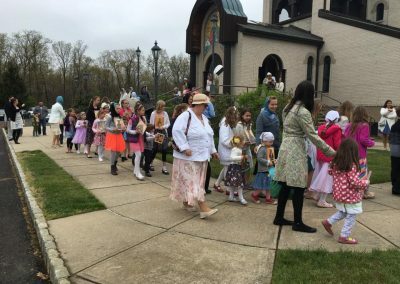 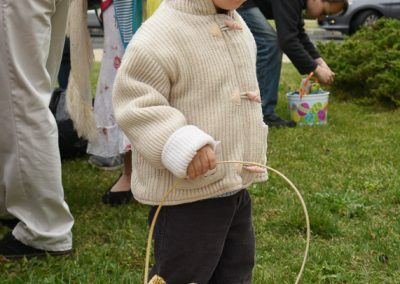 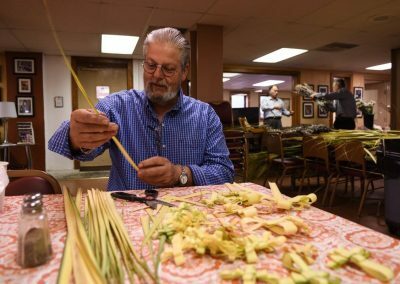 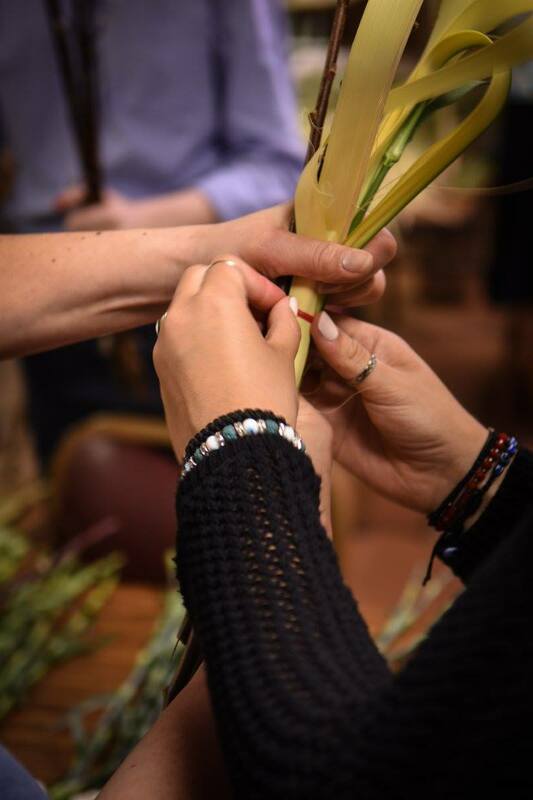 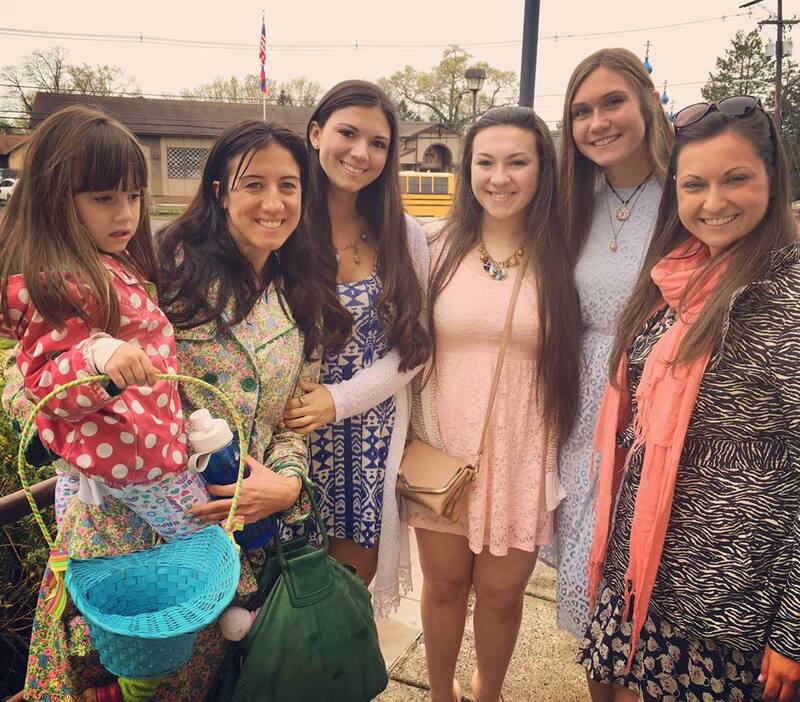 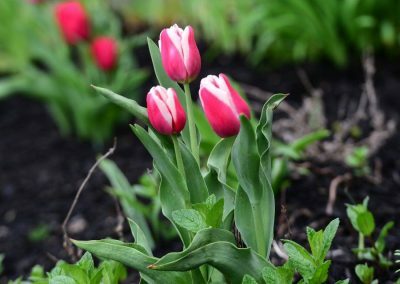 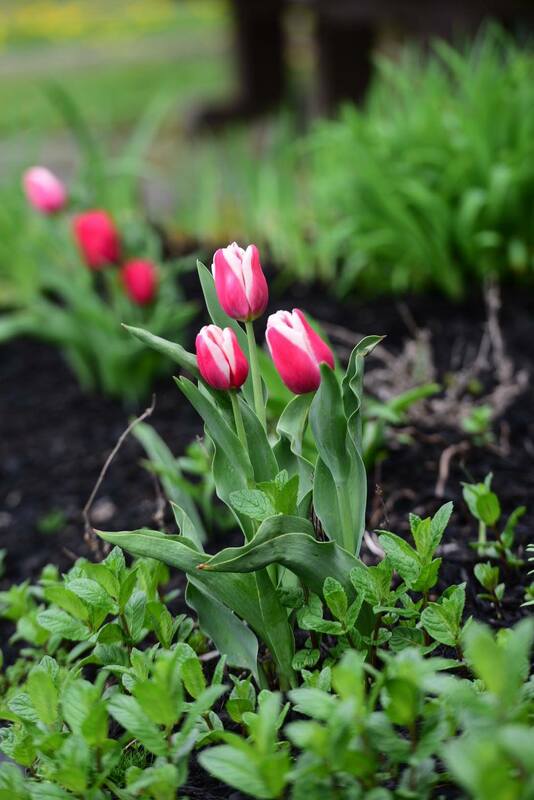 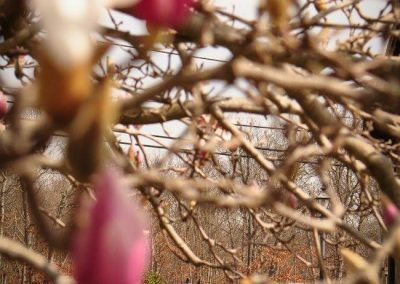 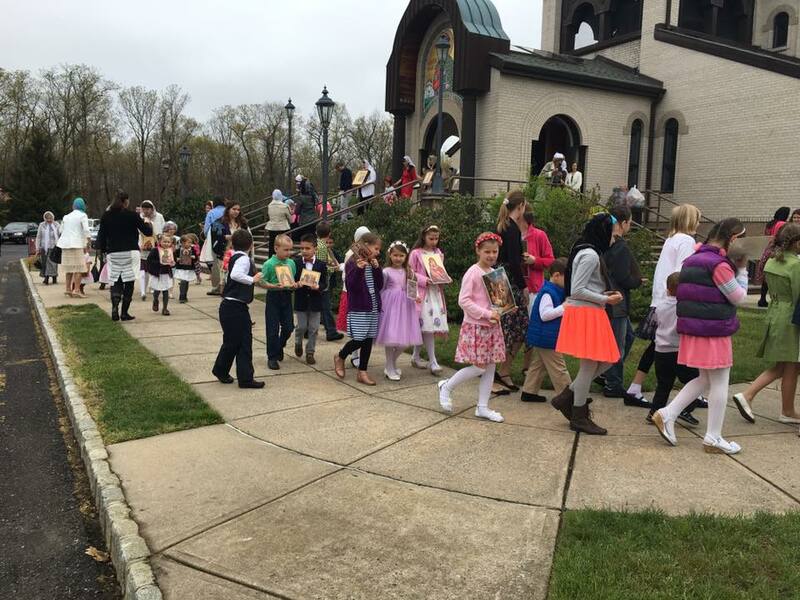 Our deepest gratitude and appreciation goes out to the selfless volunteers who realized these beautiful acts of kindness. 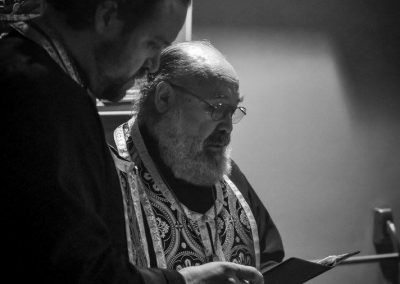 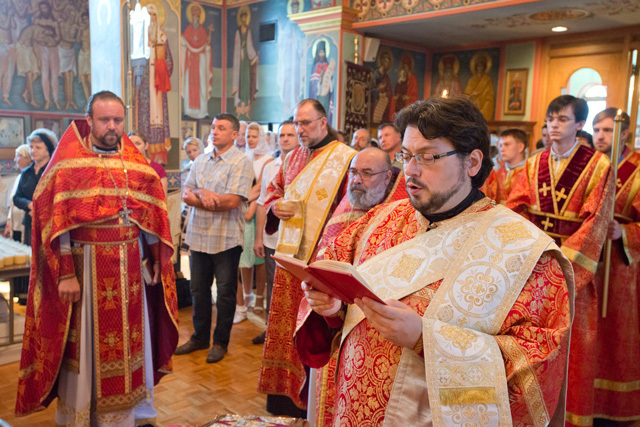 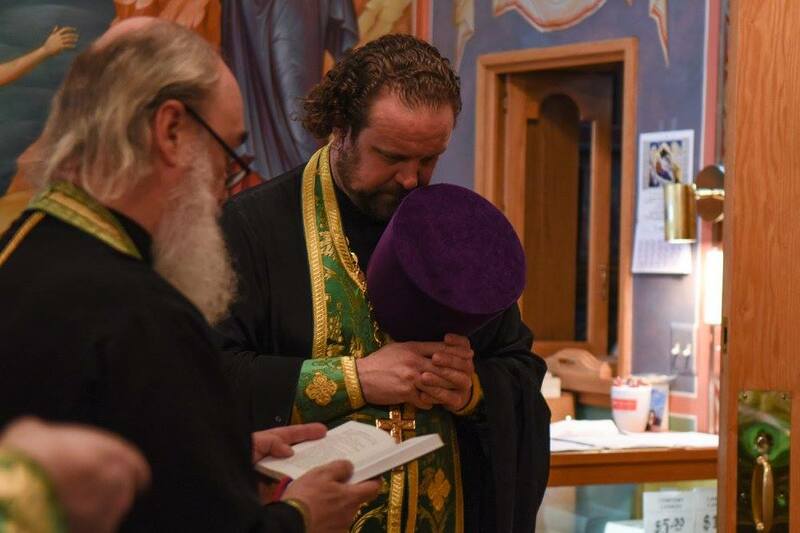 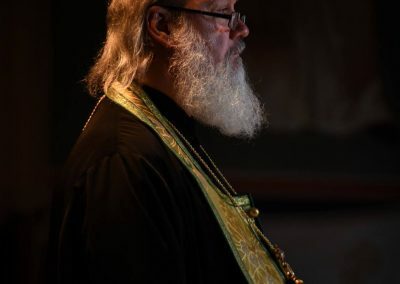 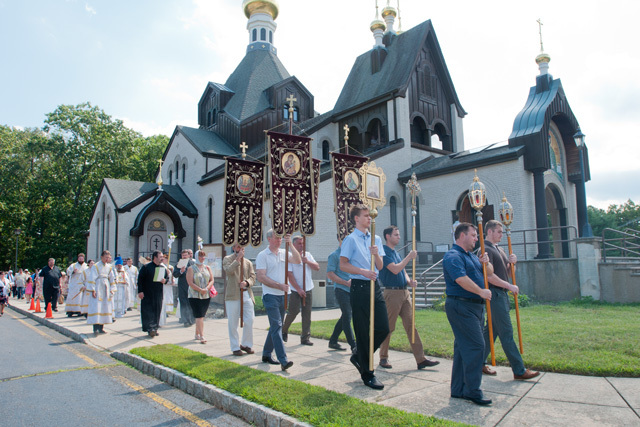 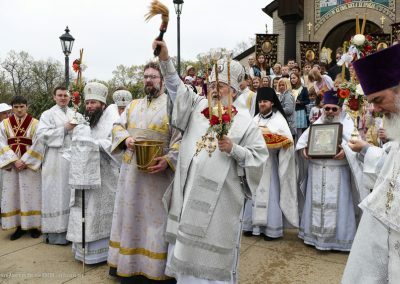 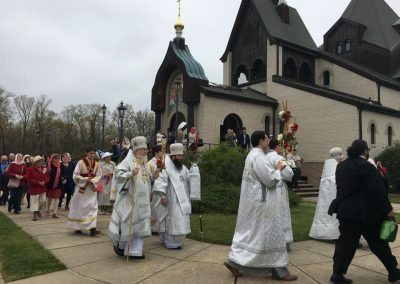 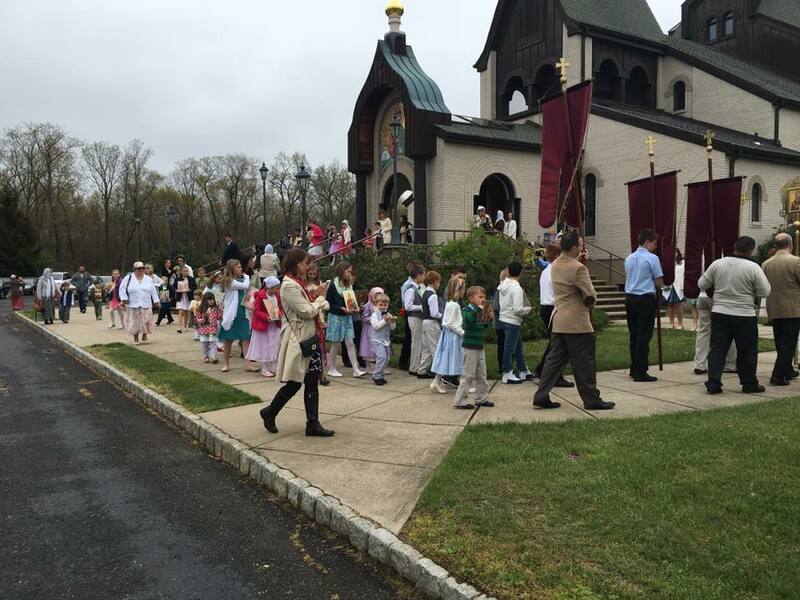 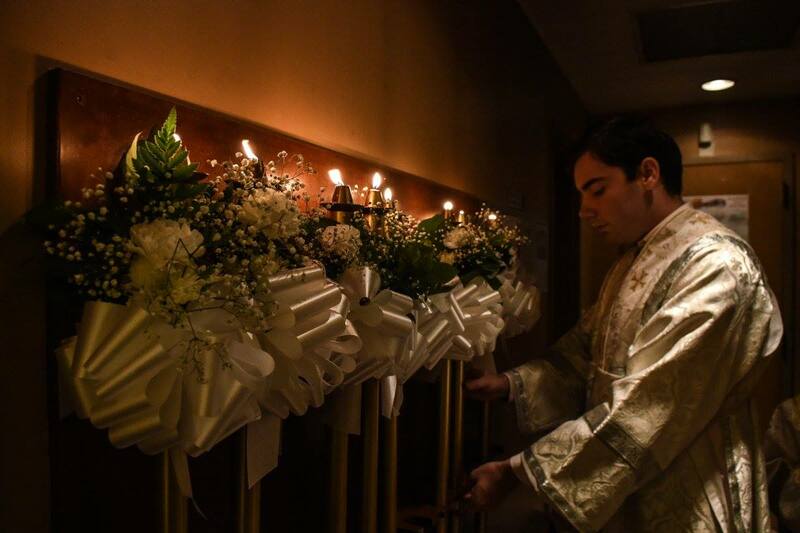 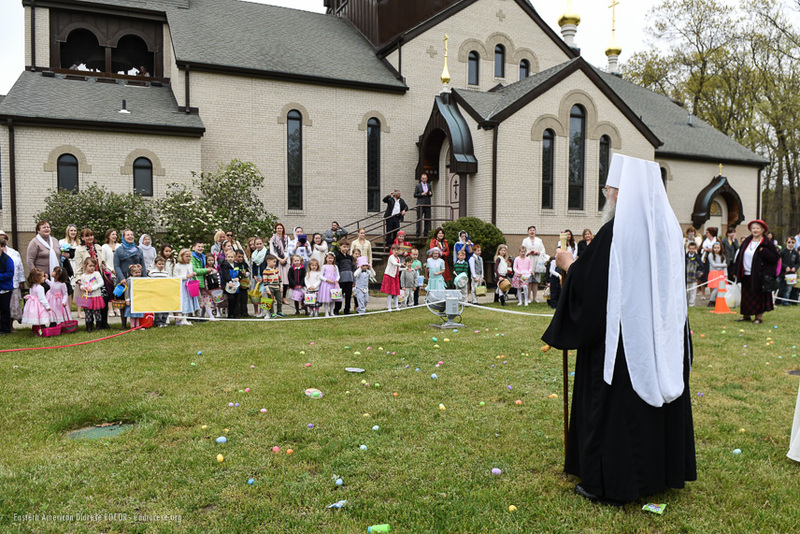 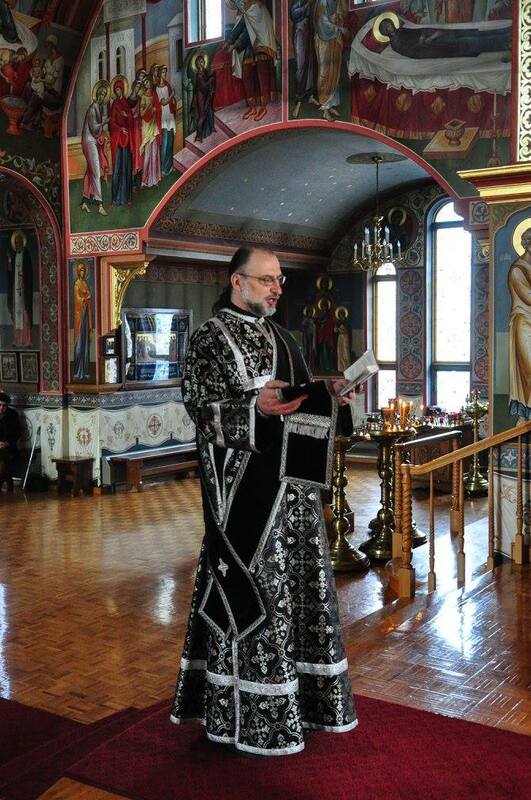 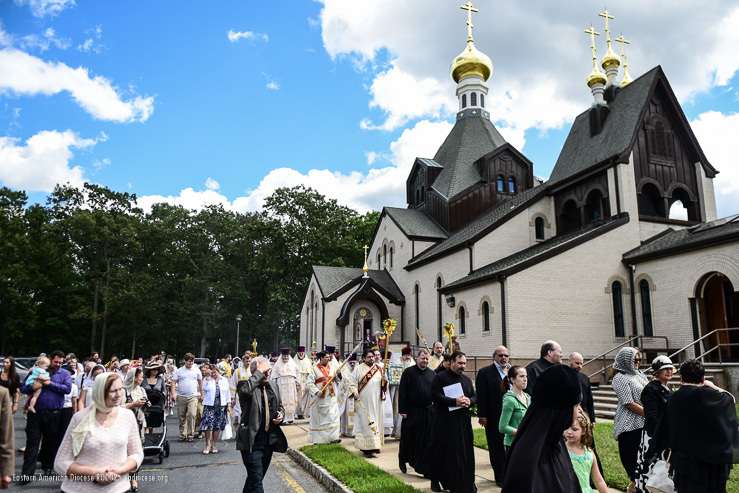 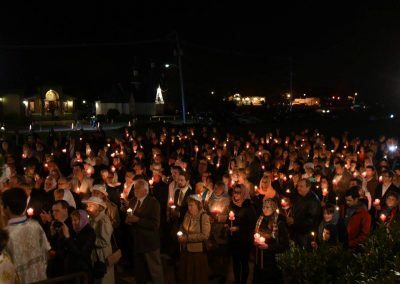 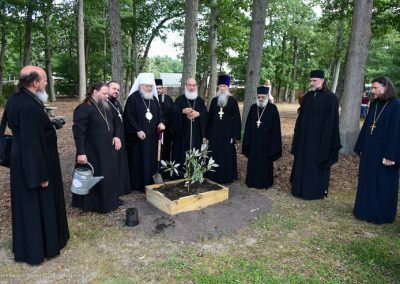 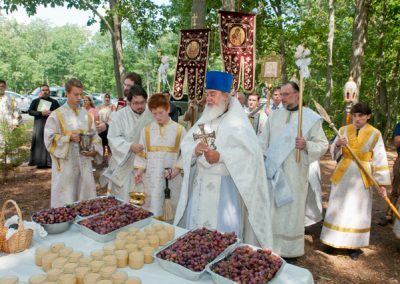 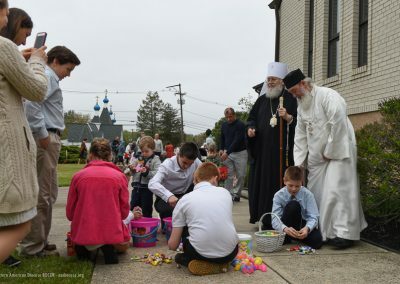 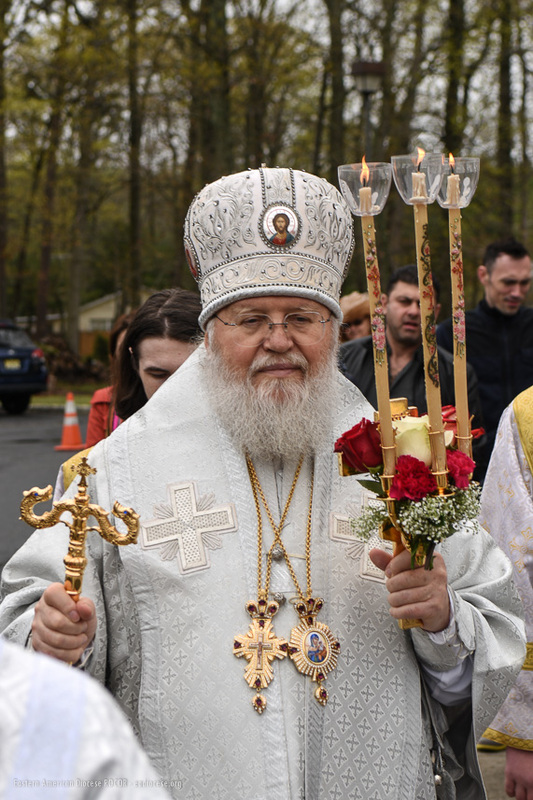 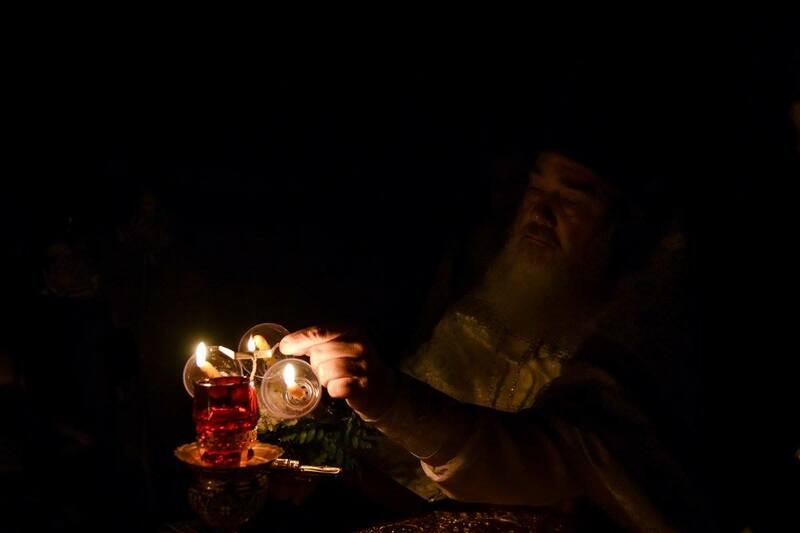 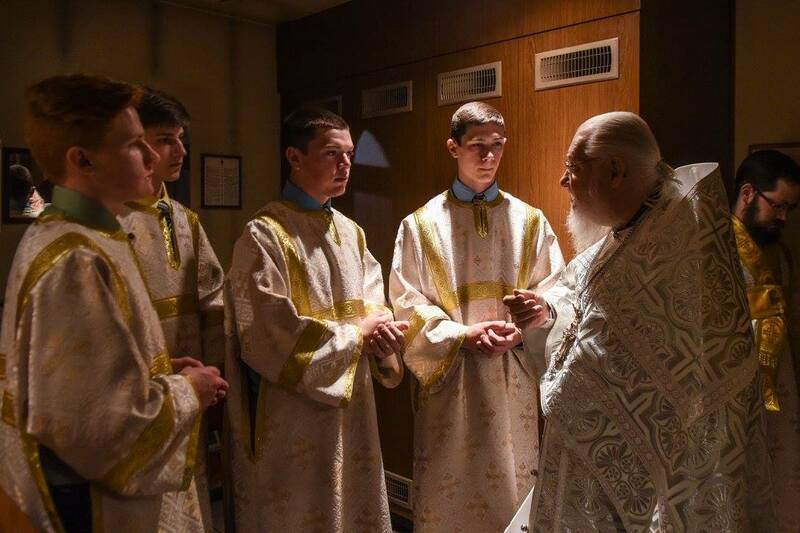 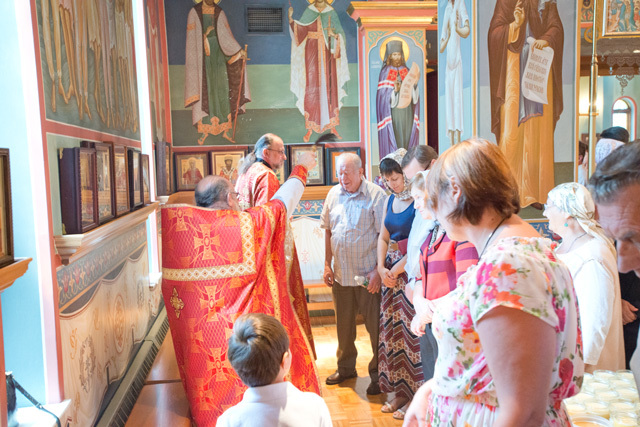 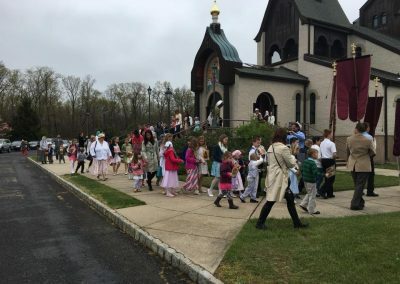 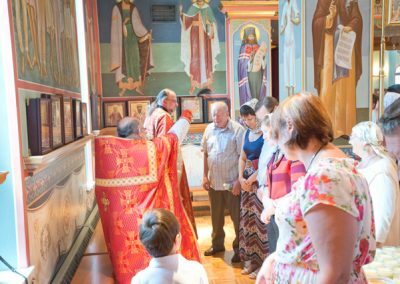 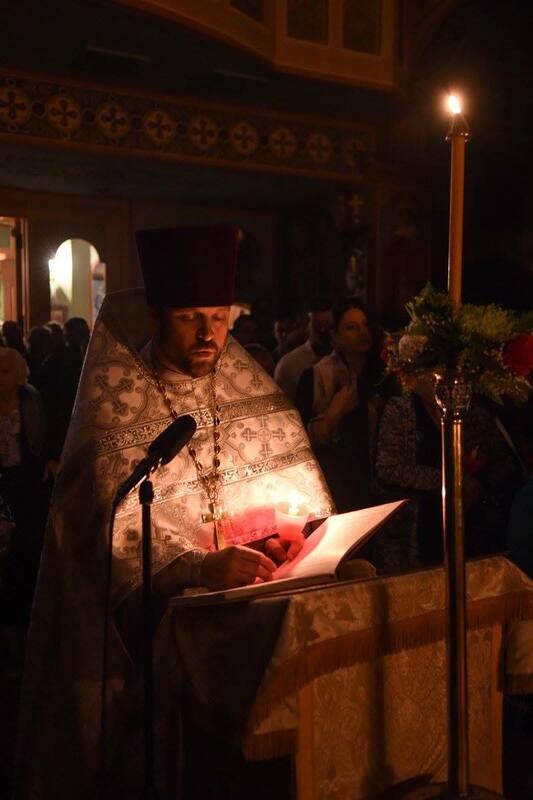 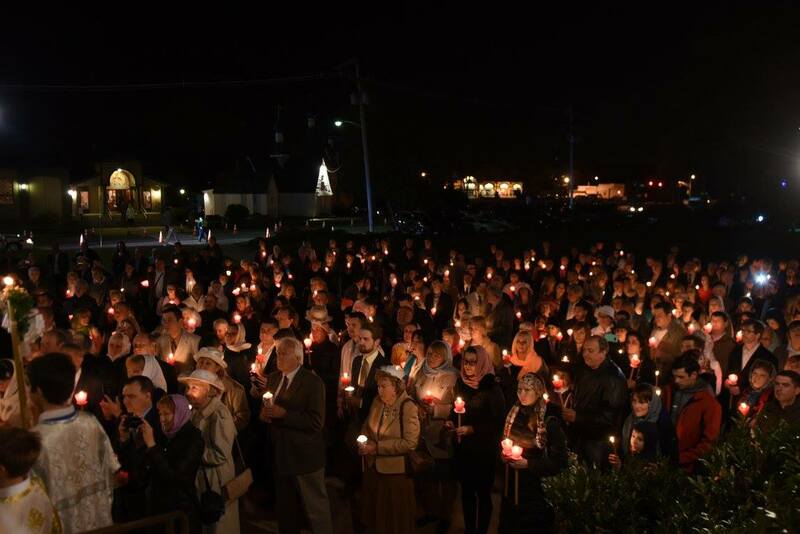 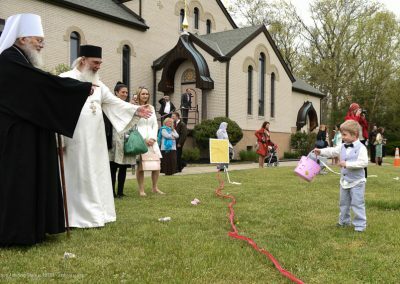 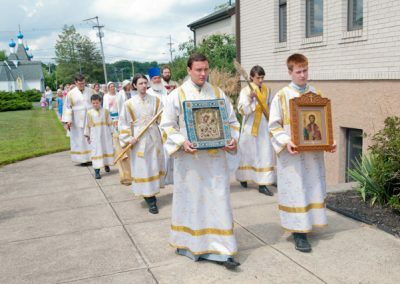 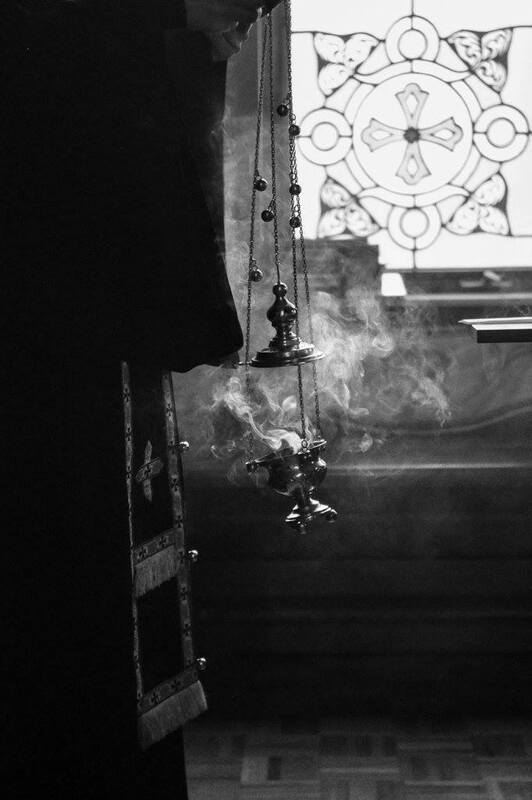 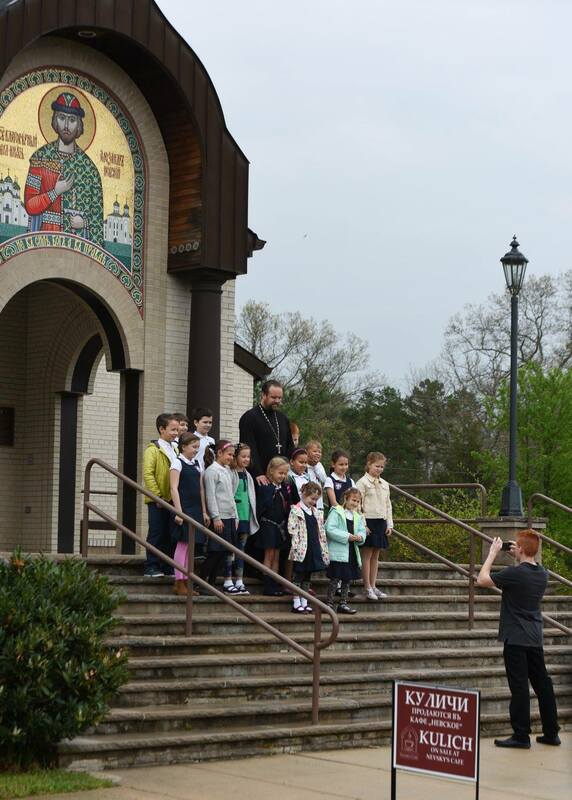 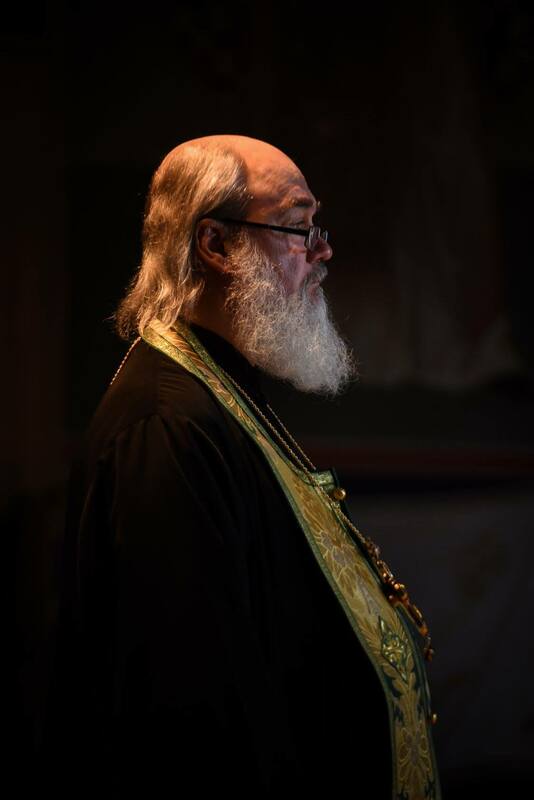 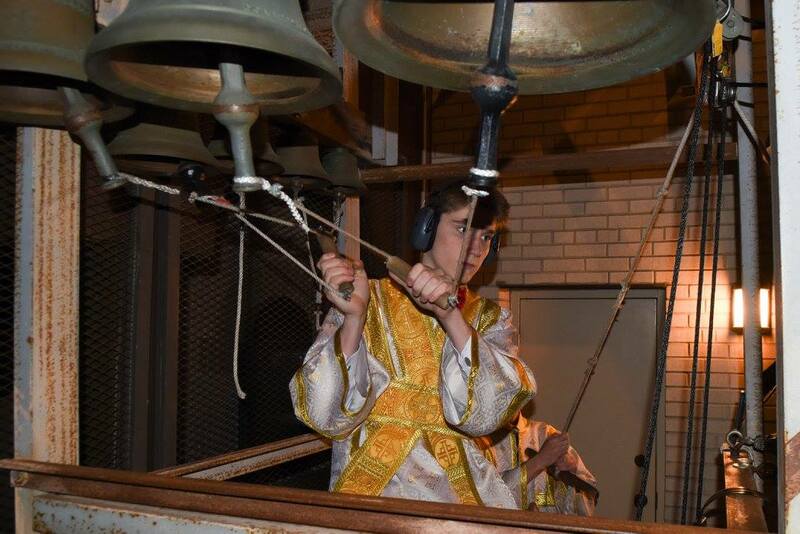 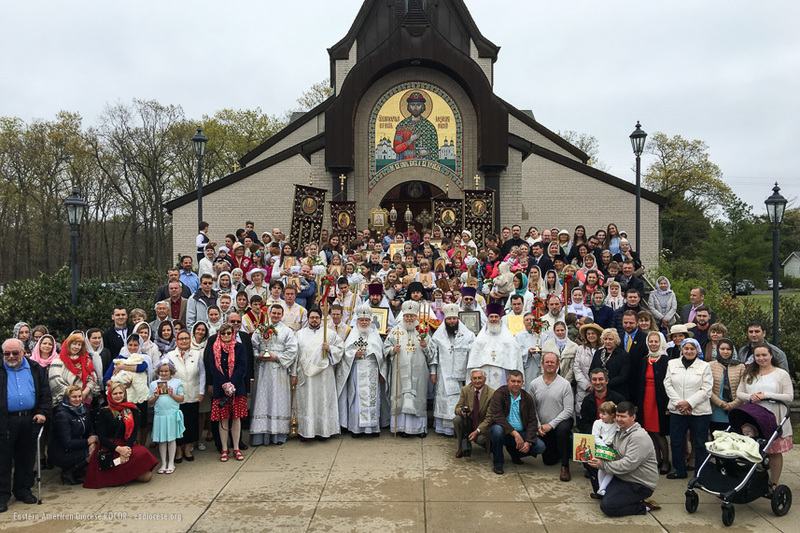 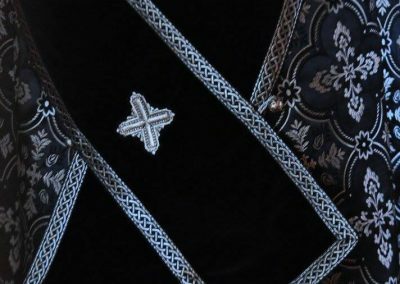 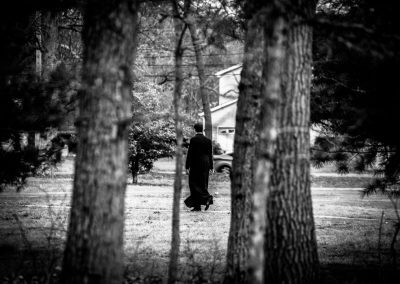 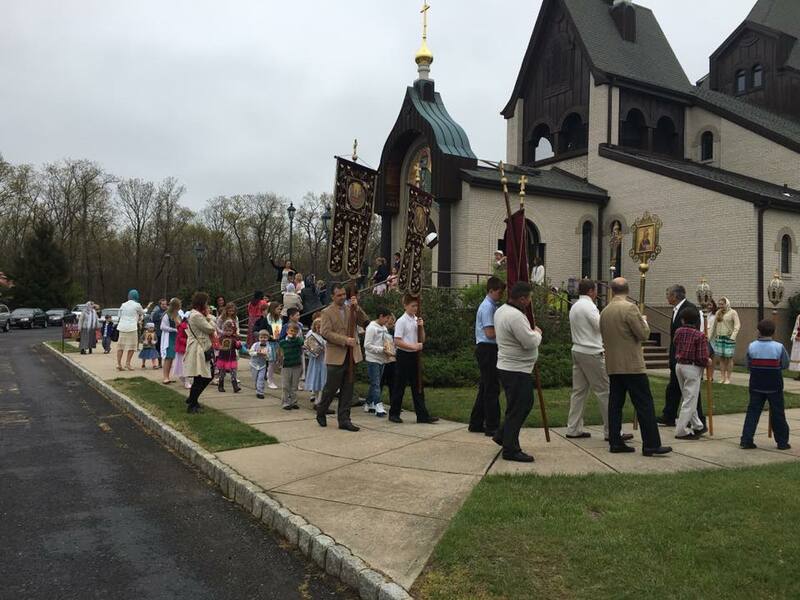 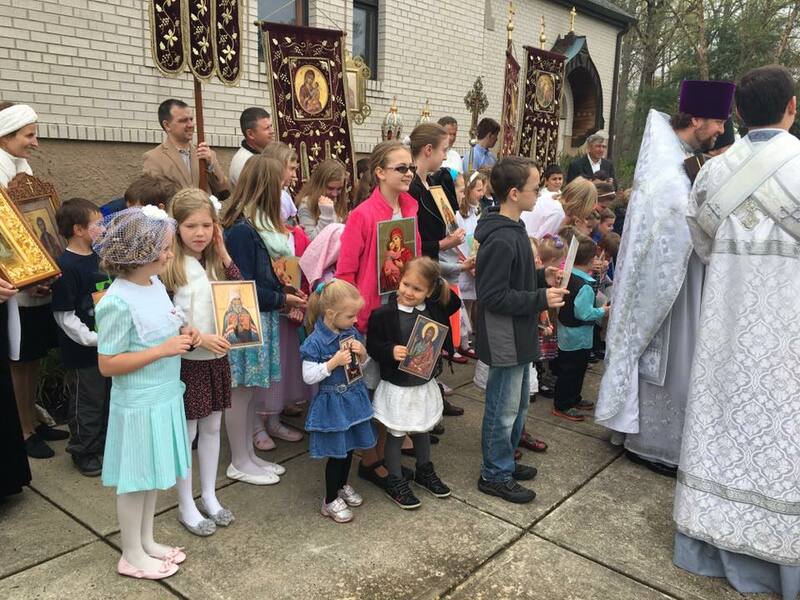 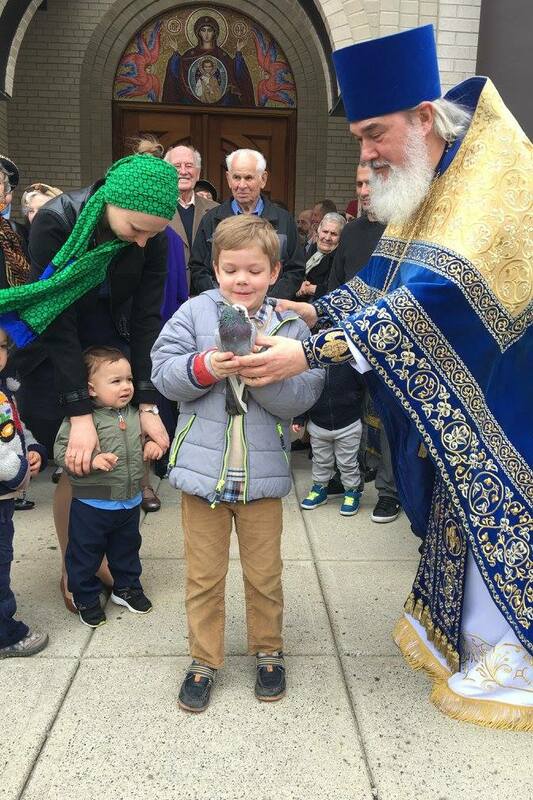 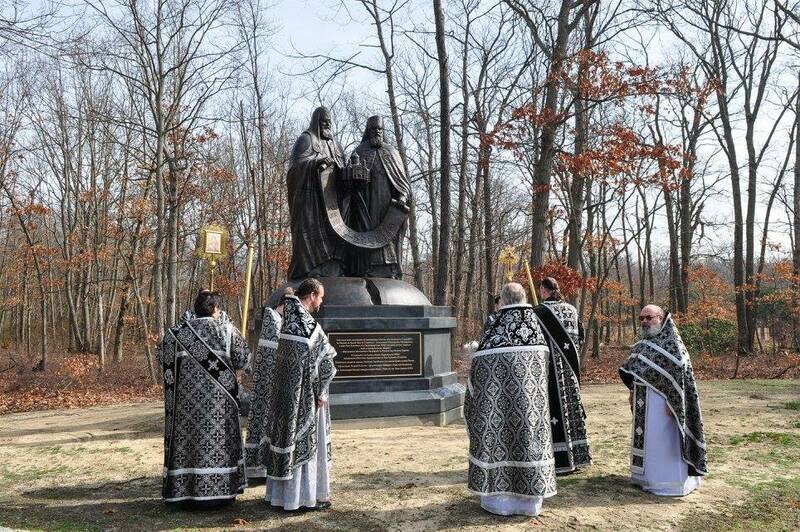 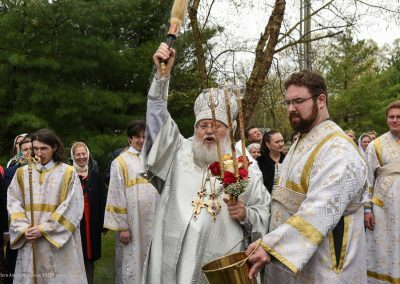 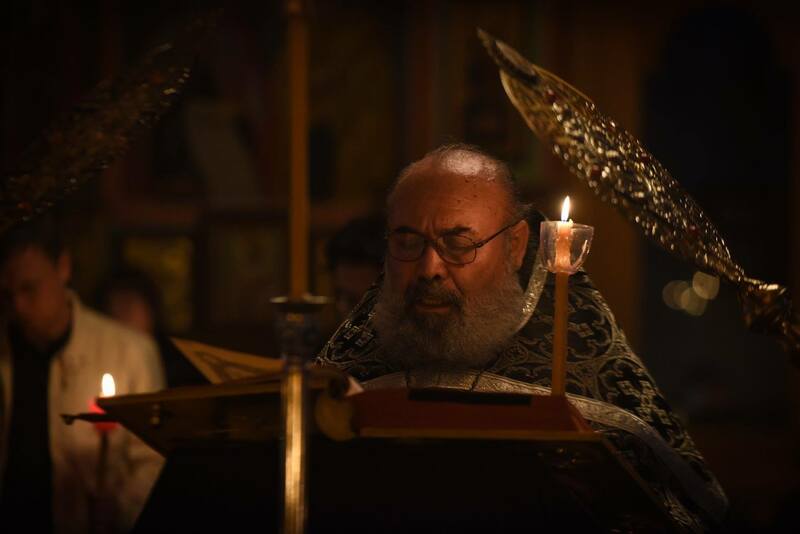 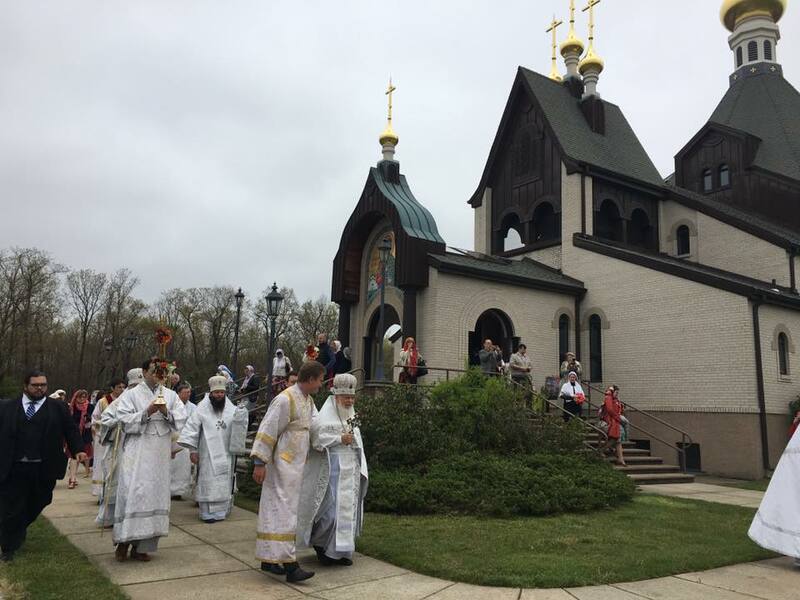 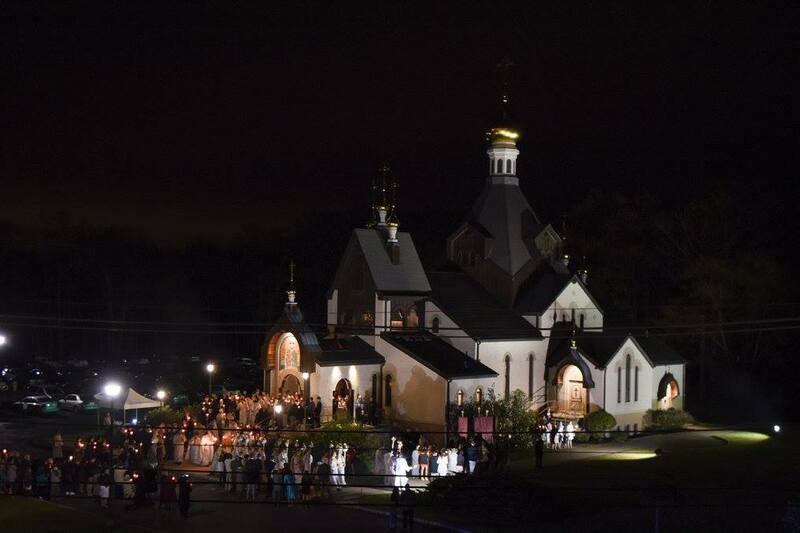 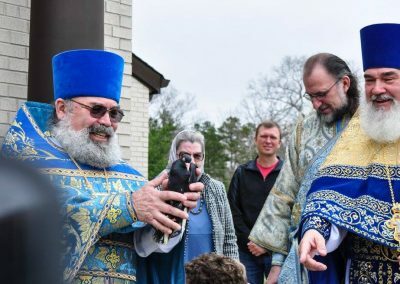 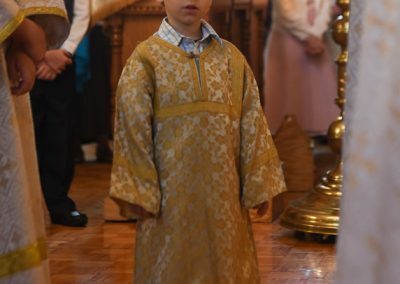 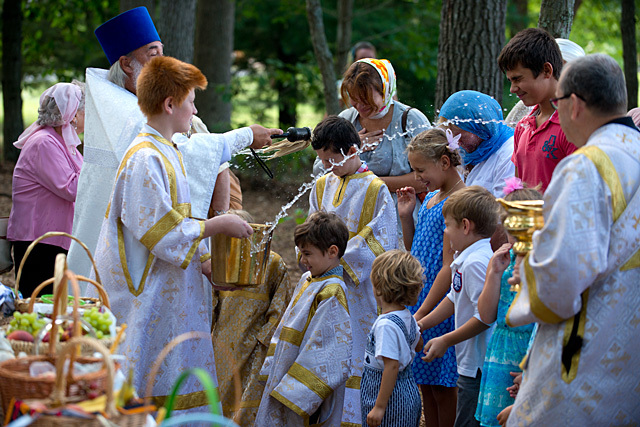 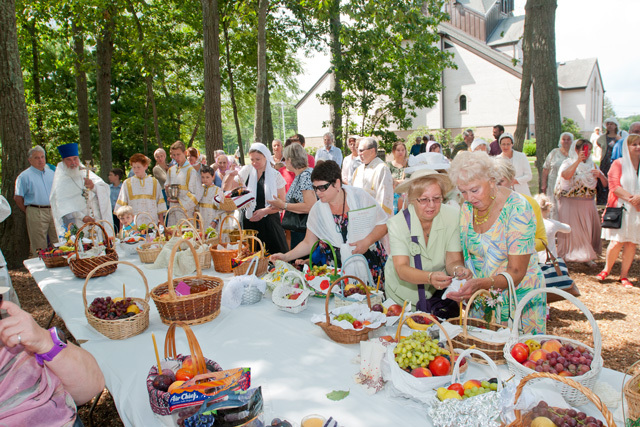 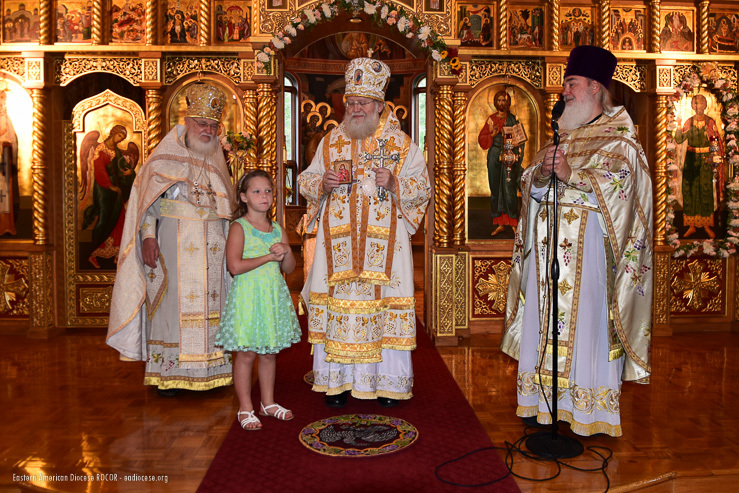 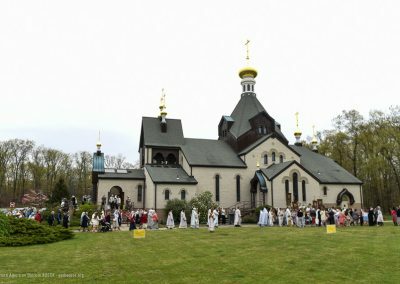 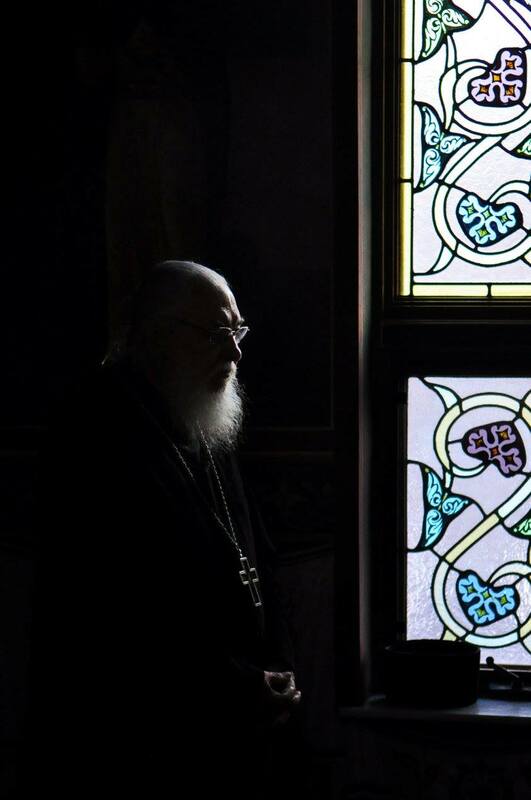 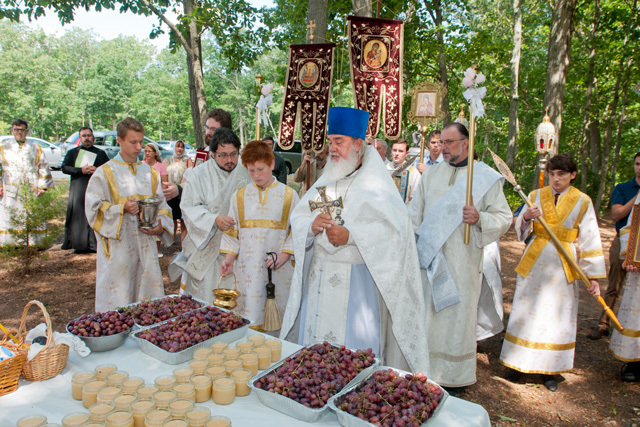 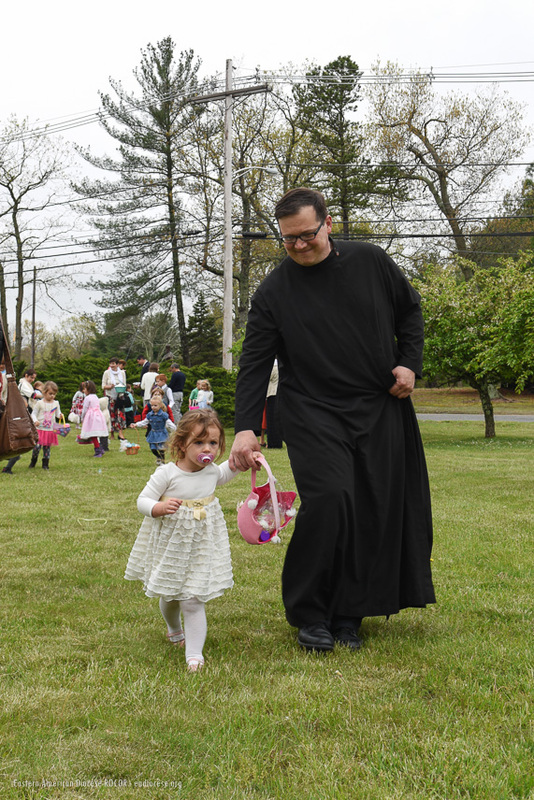 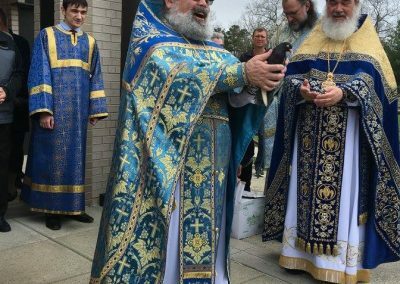 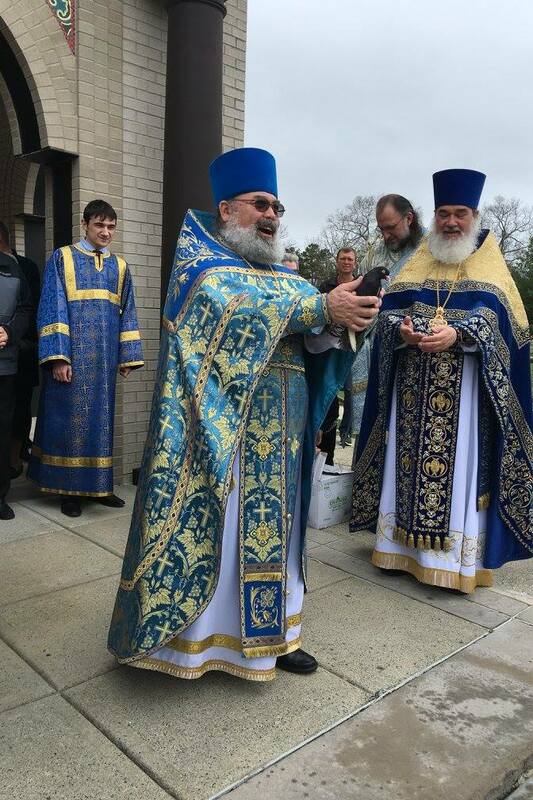 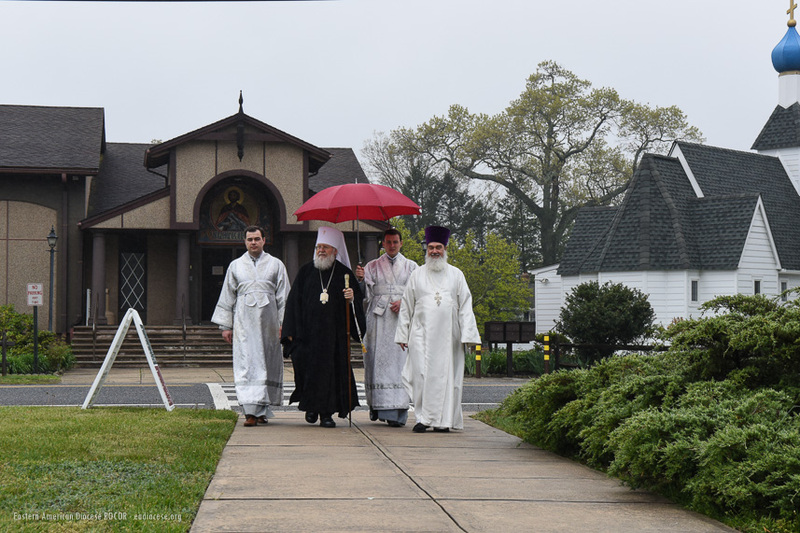 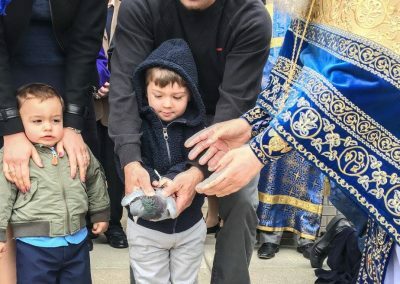 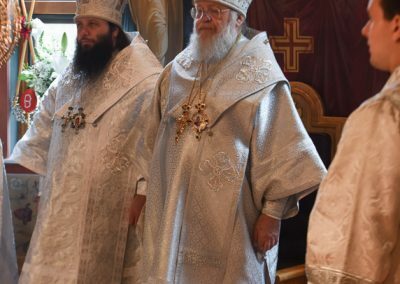 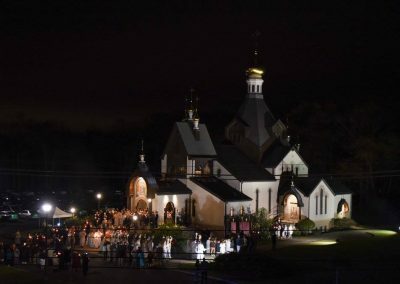 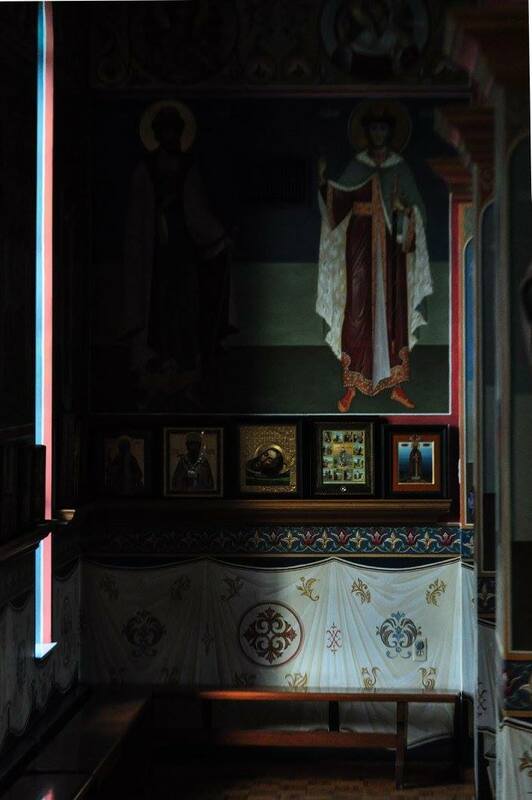 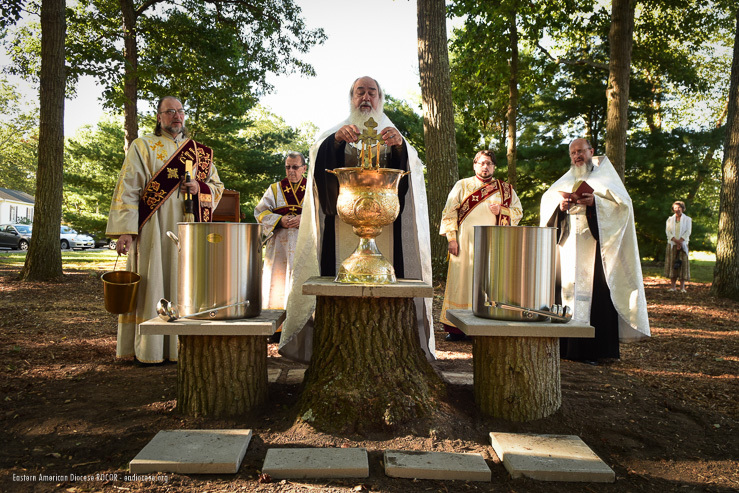 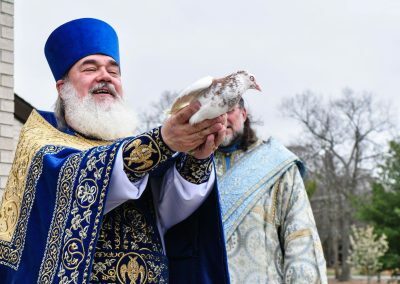 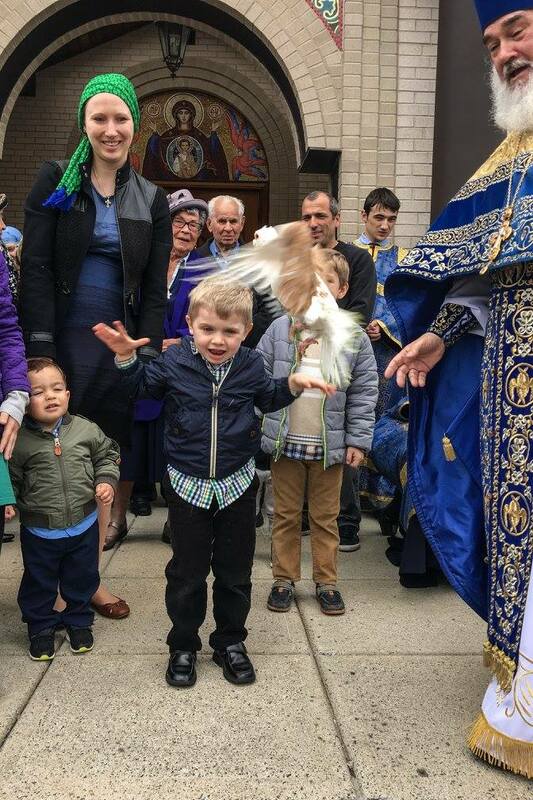 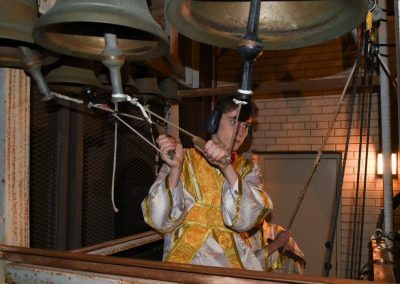 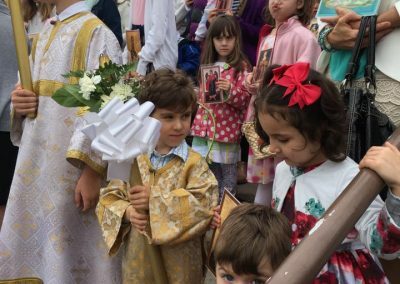 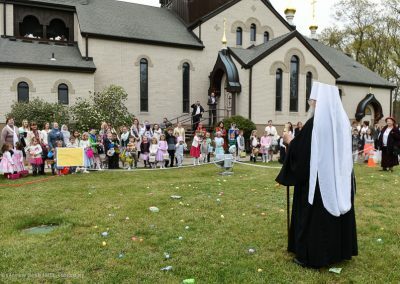 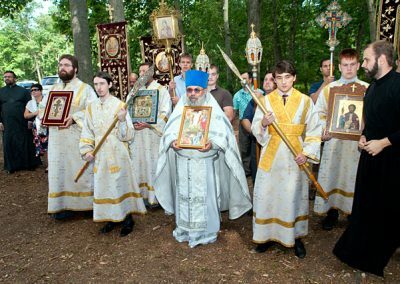 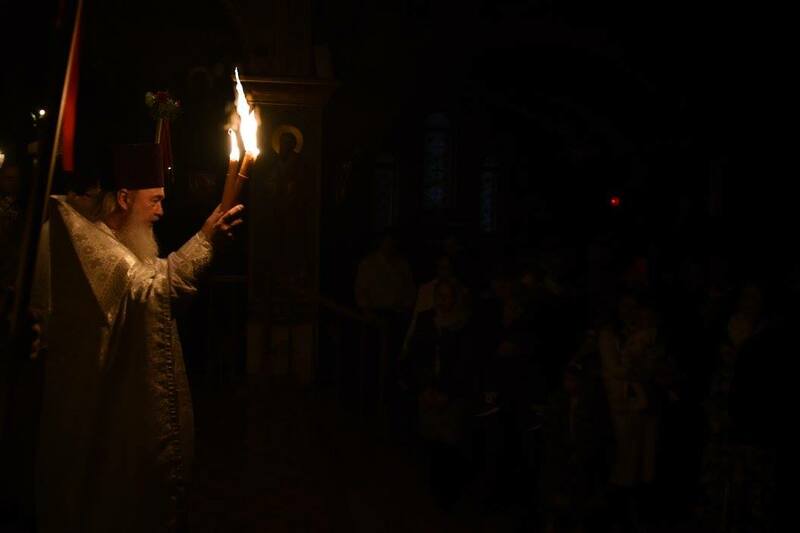 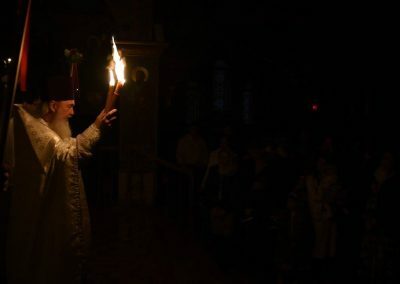 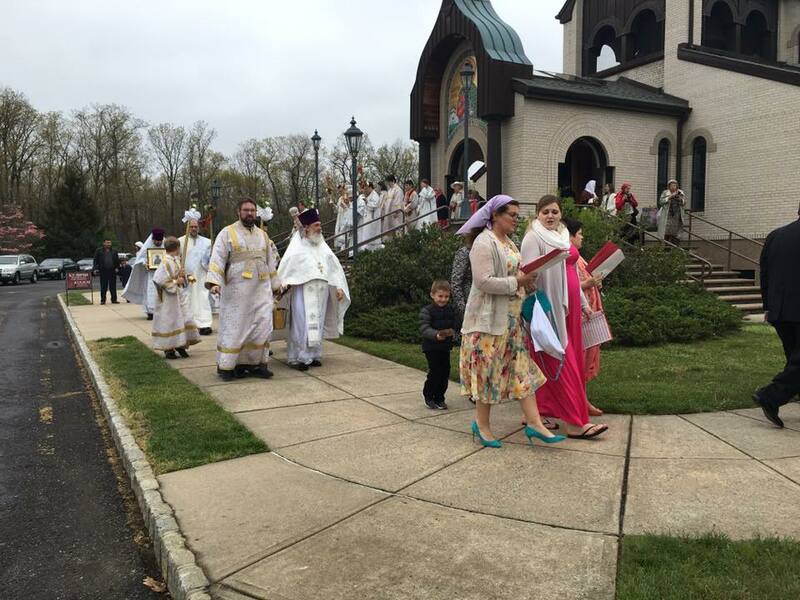 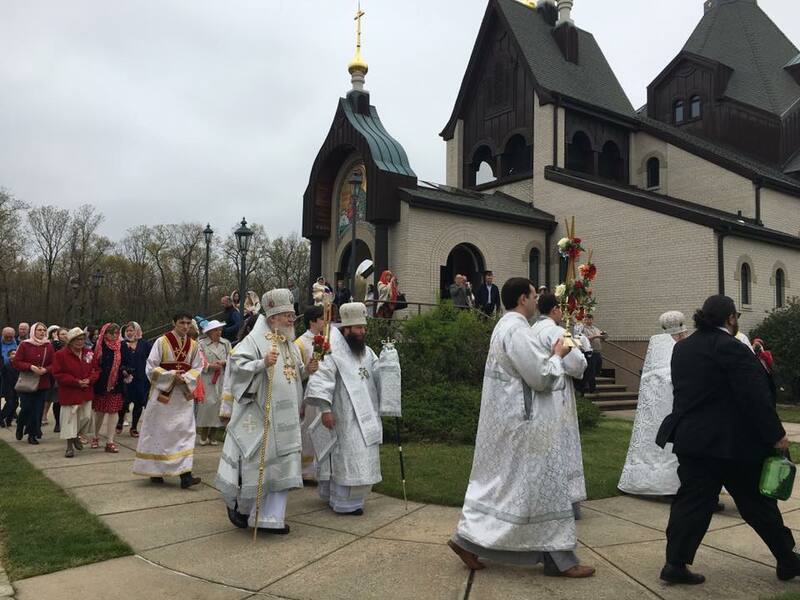 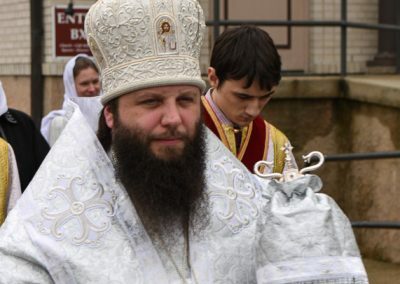 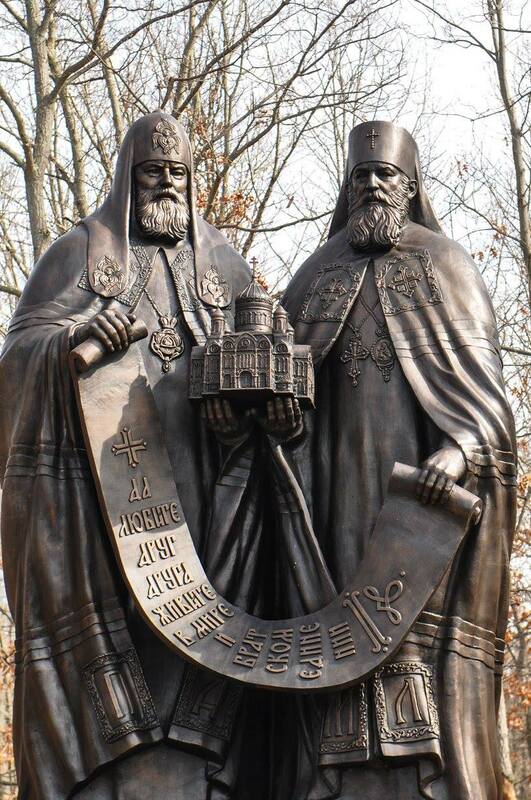 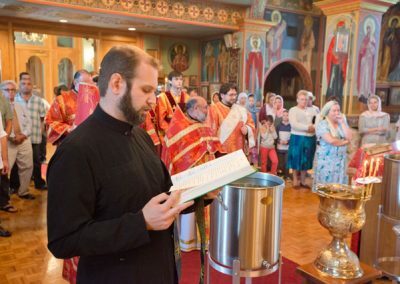 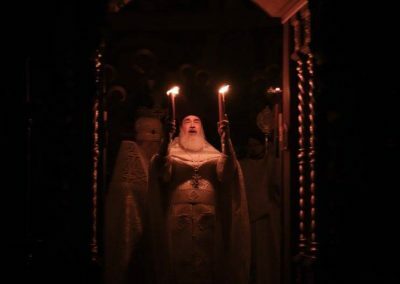 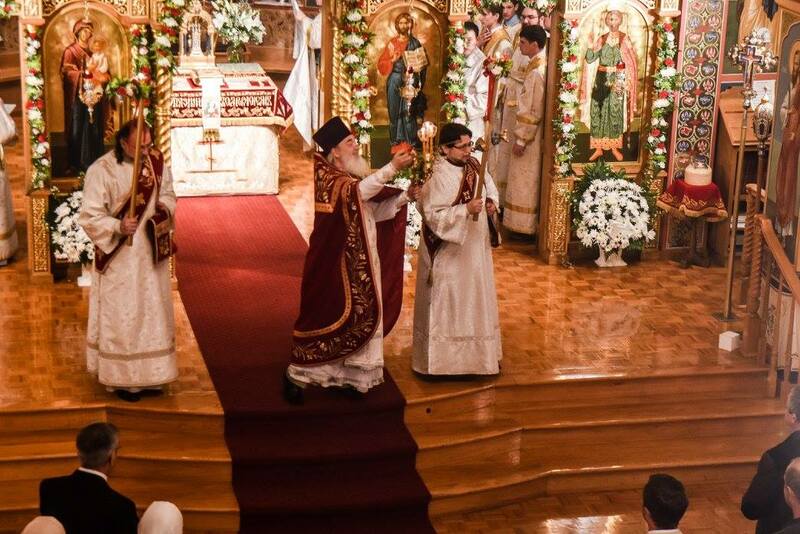 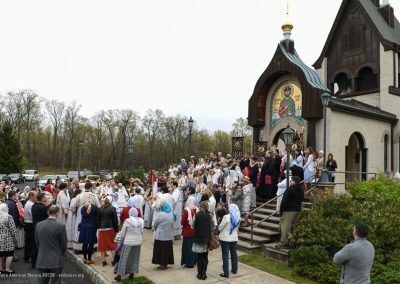 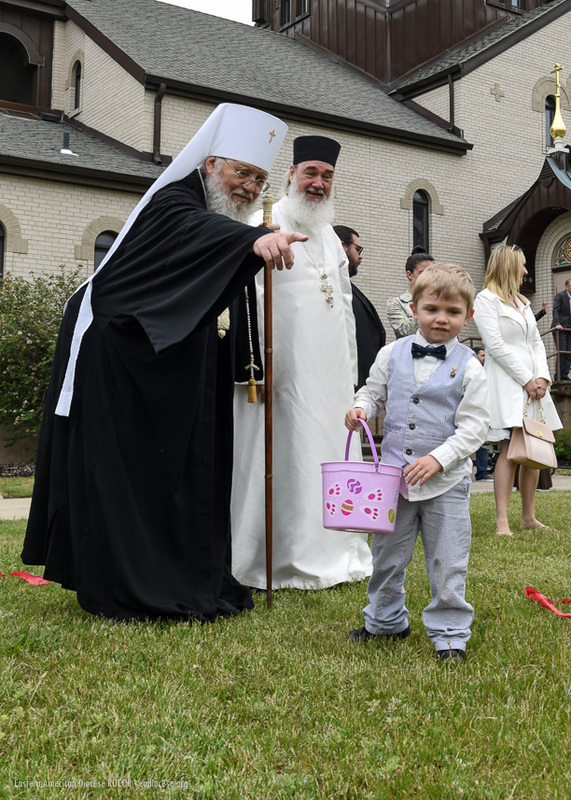 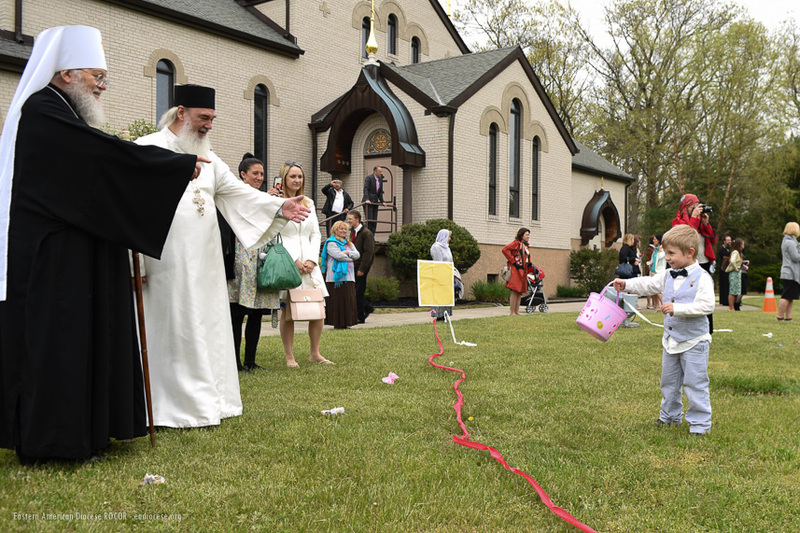 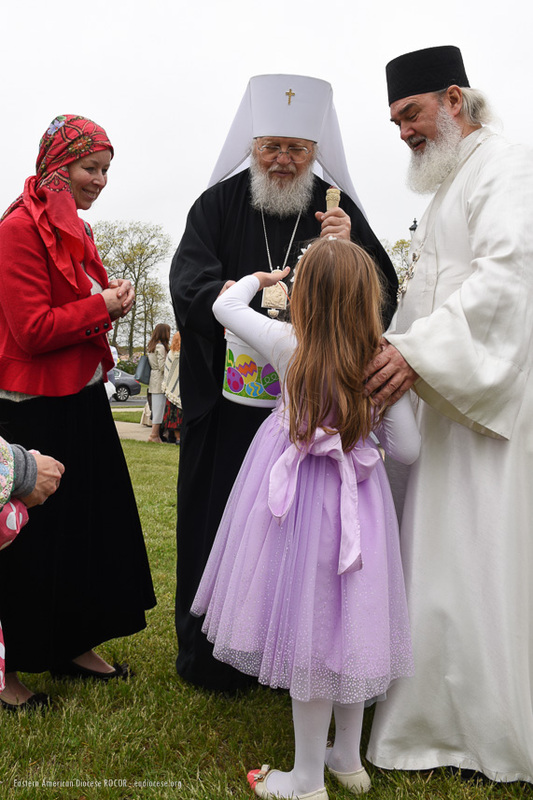 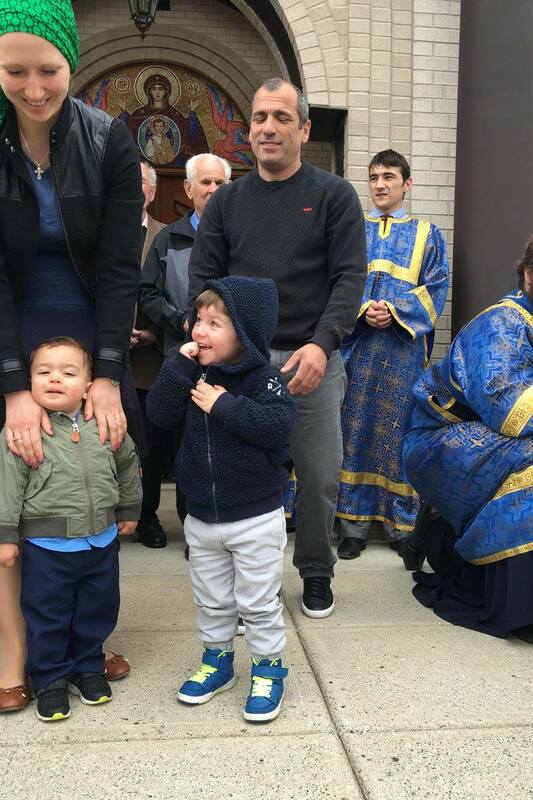 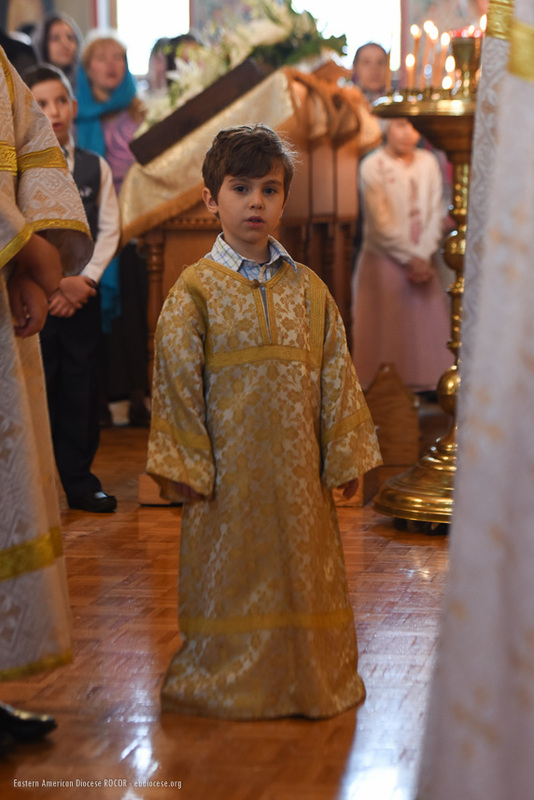 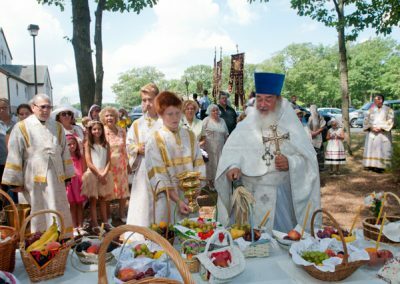 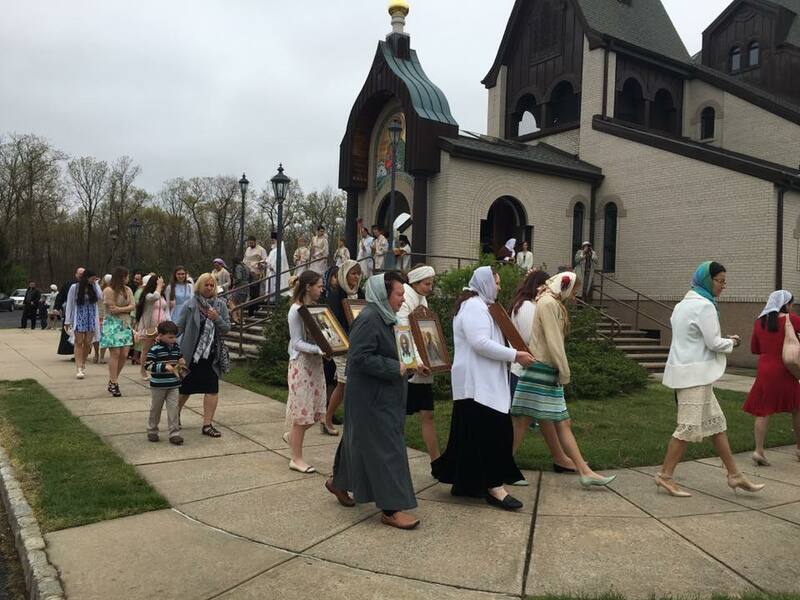 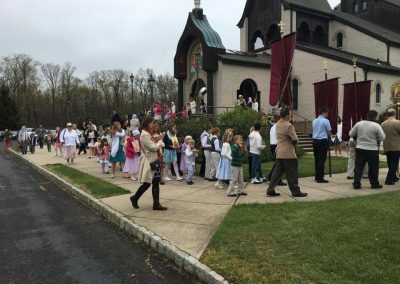 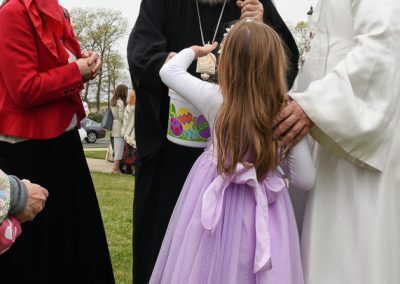 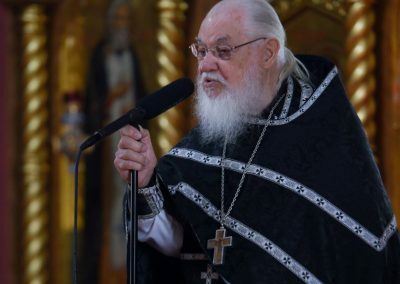 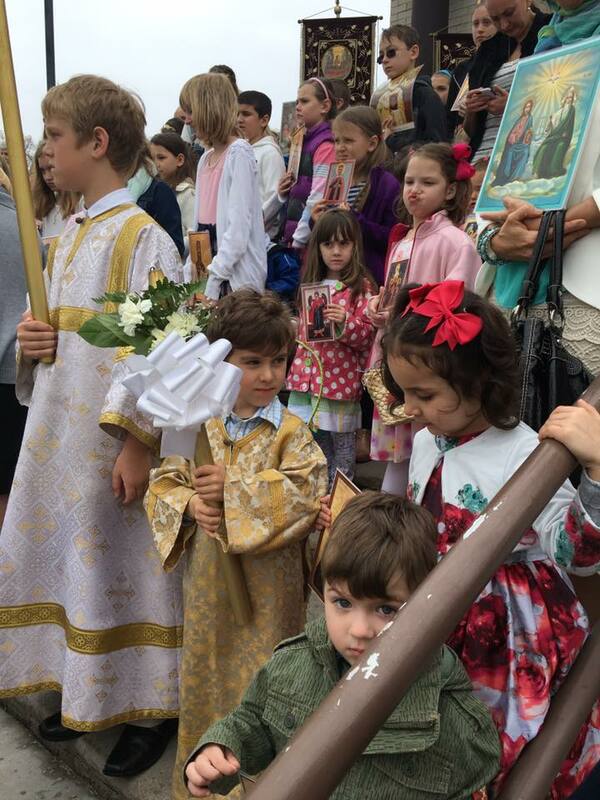 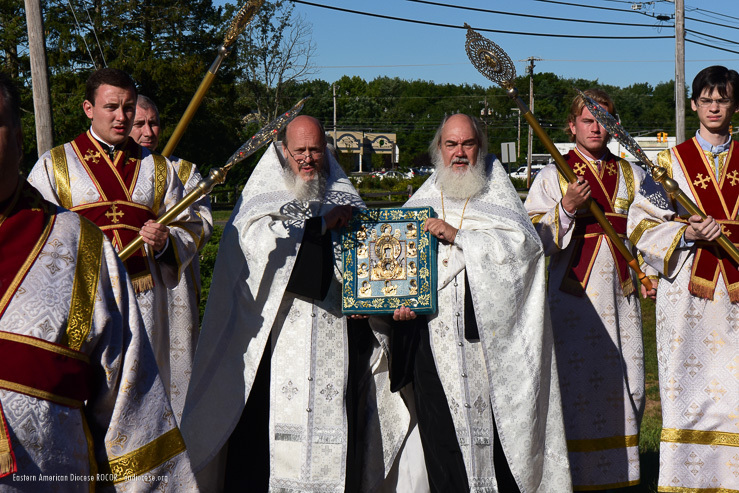 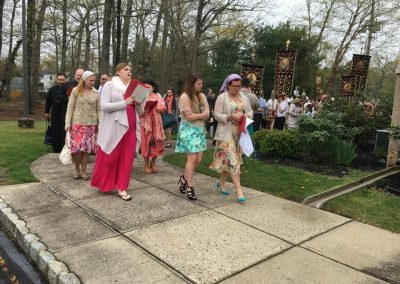 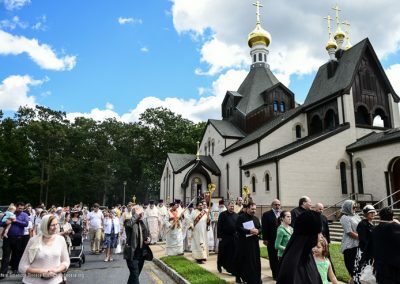 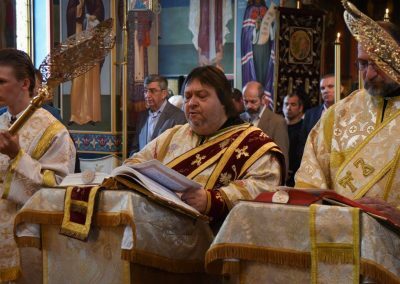 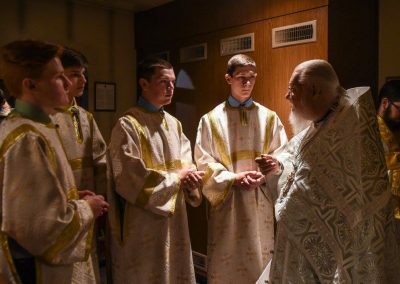 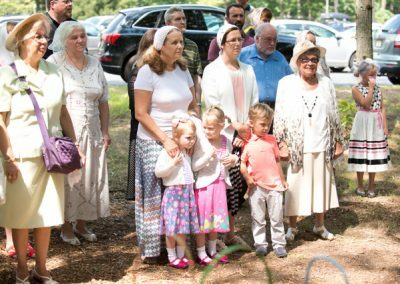 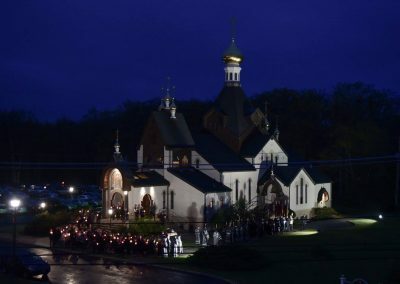 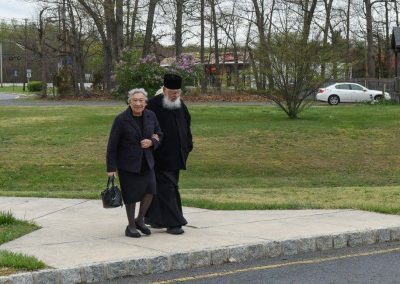 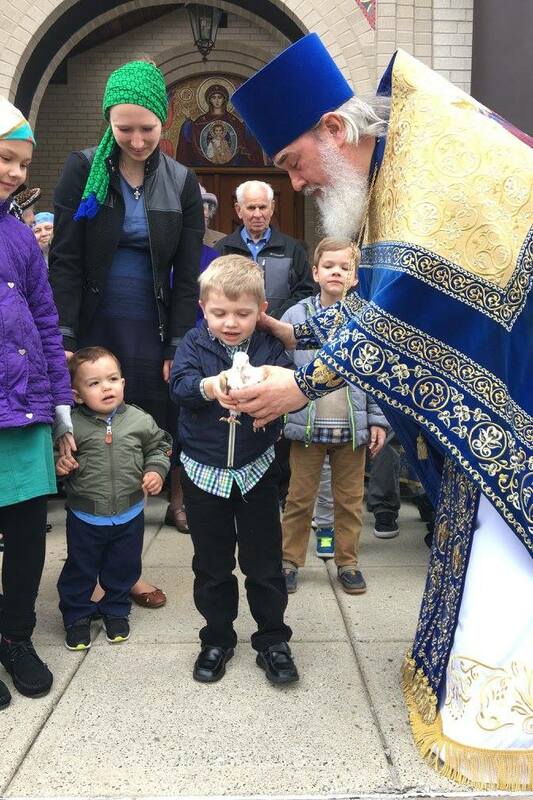 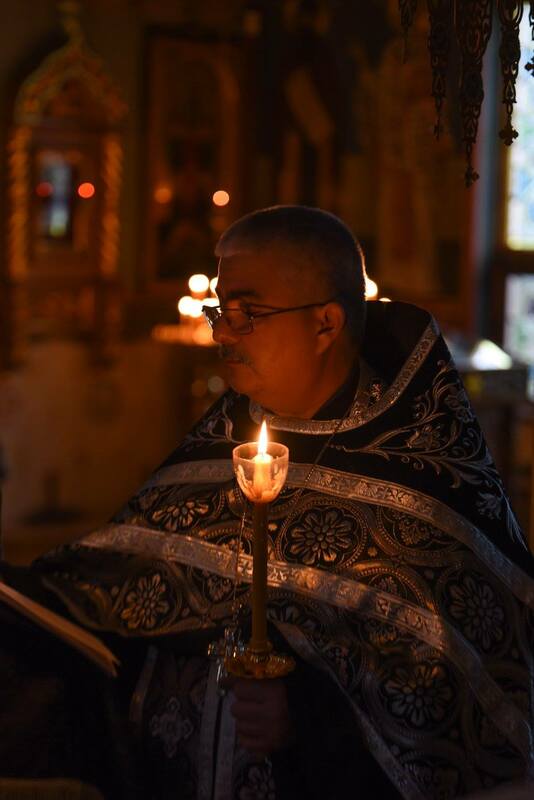 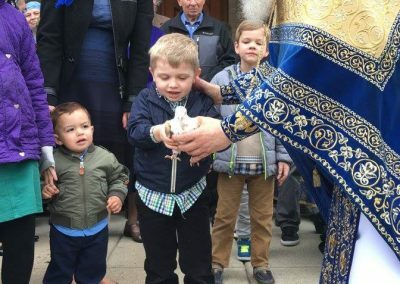 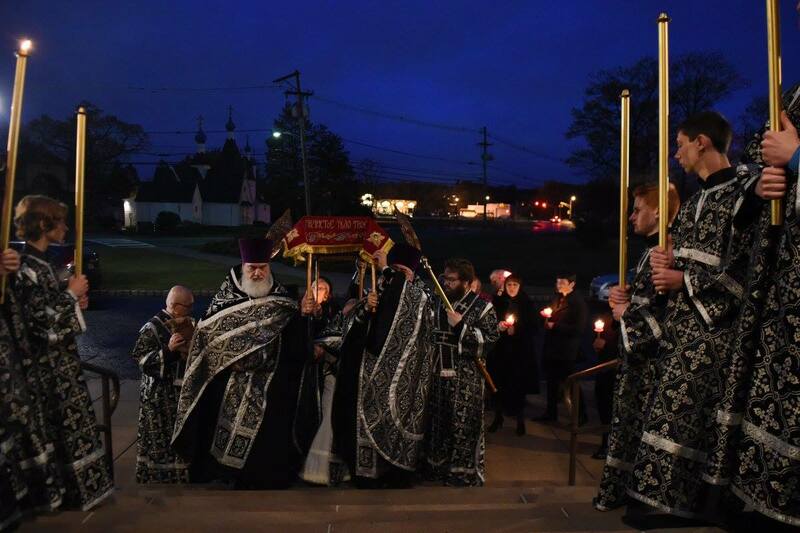 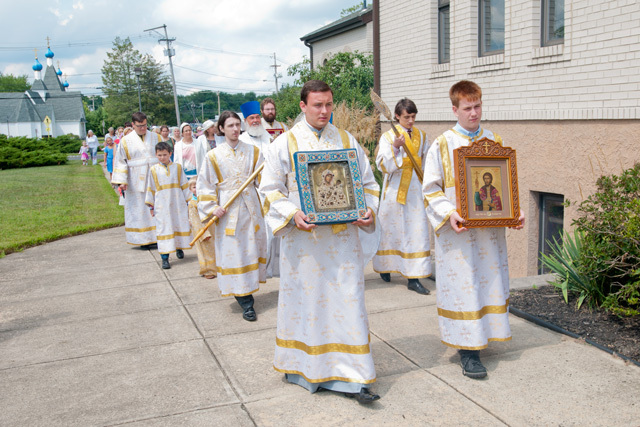 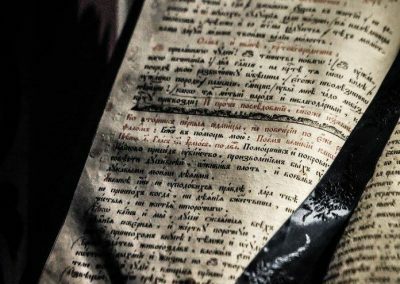 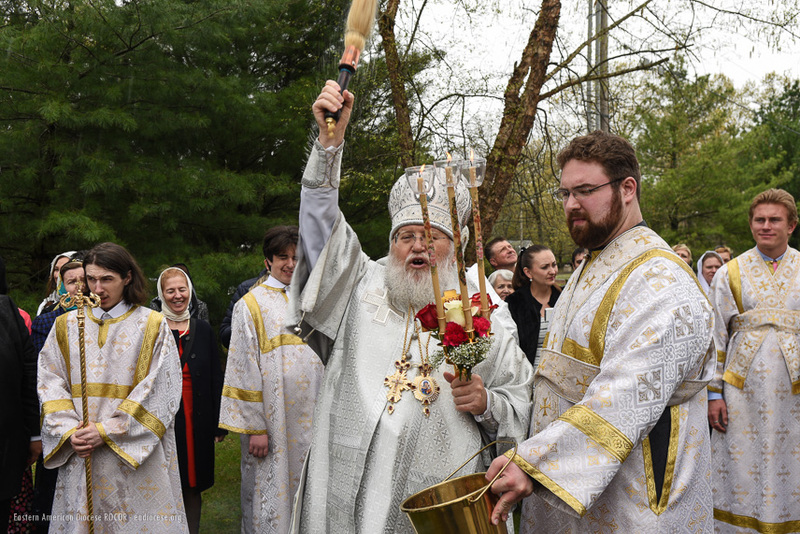 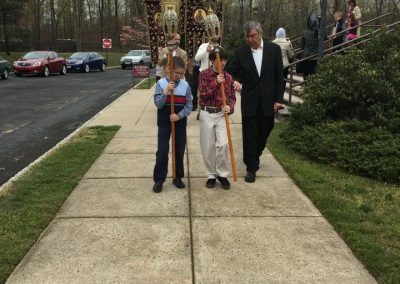 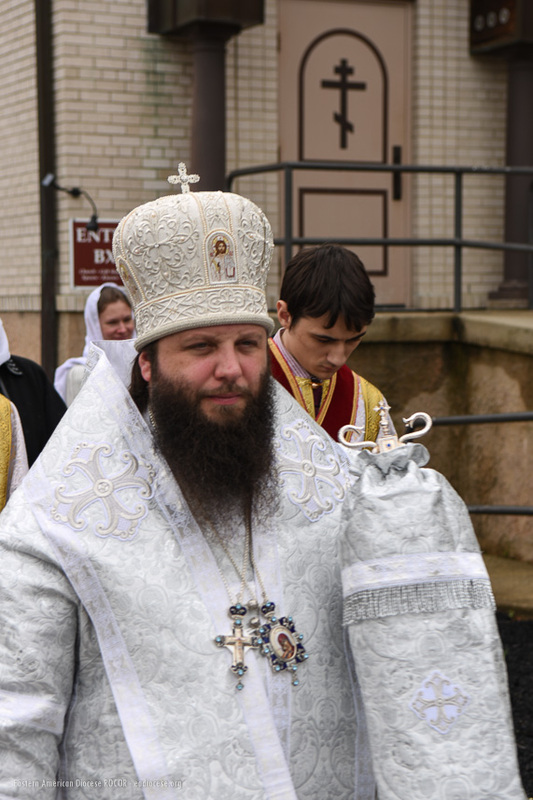 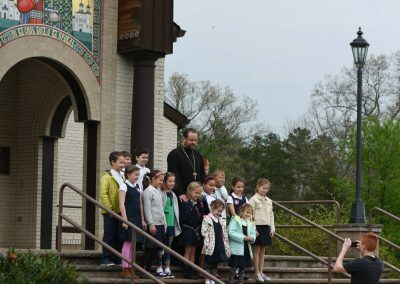 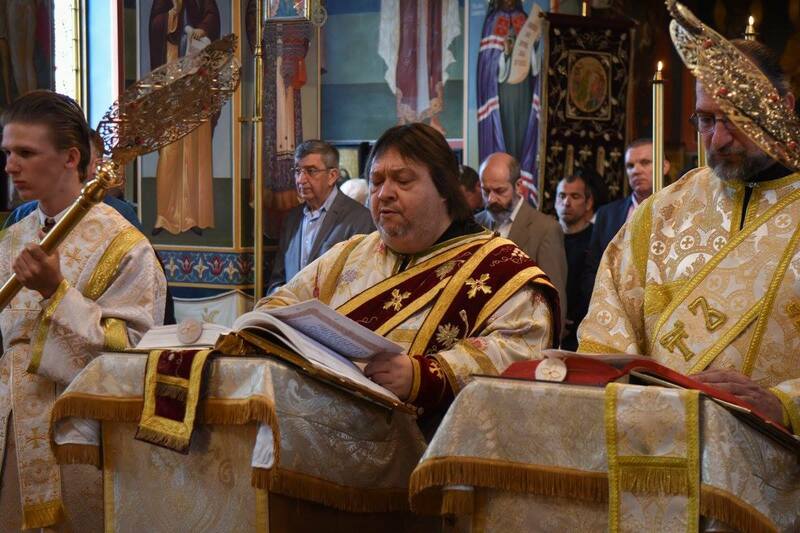 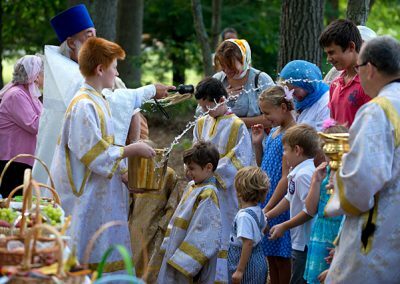 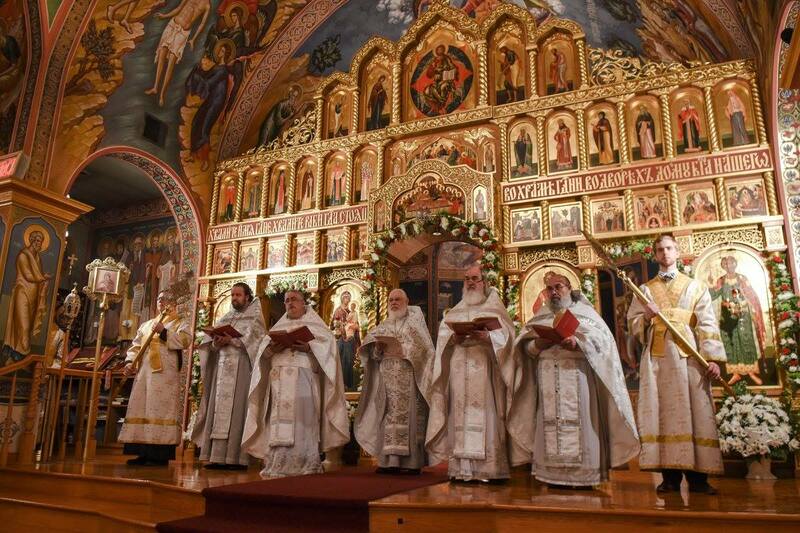 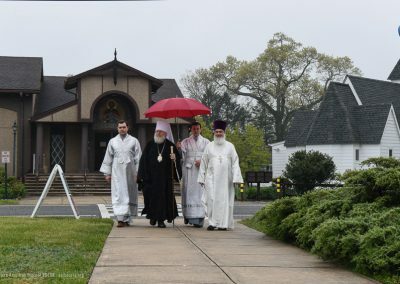 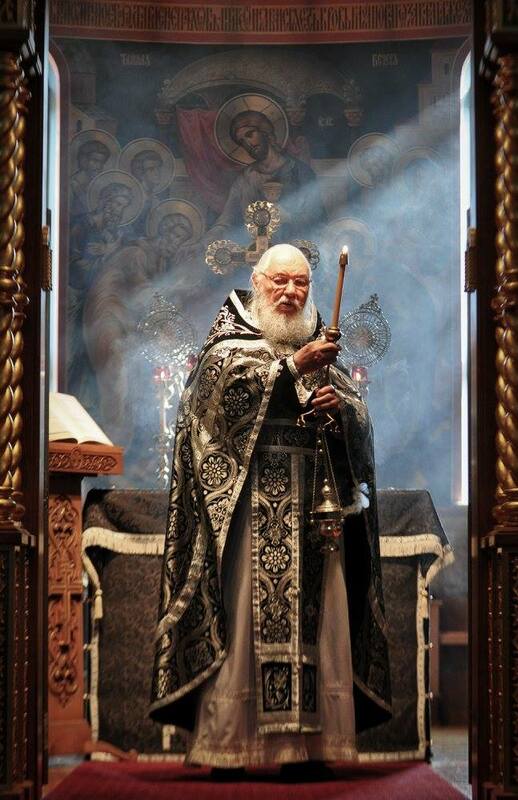 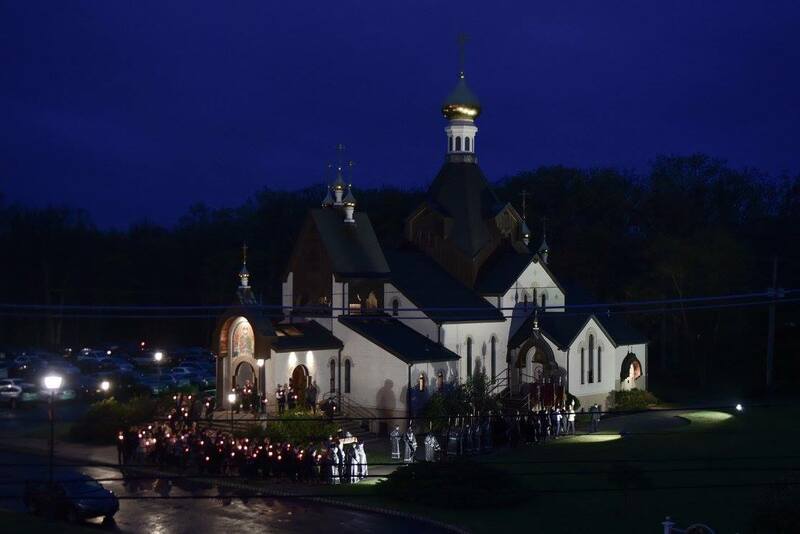 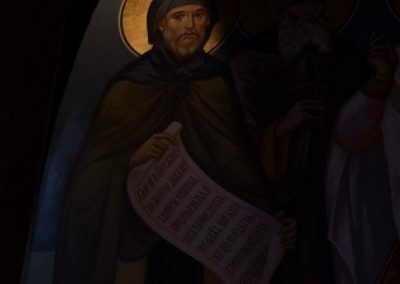 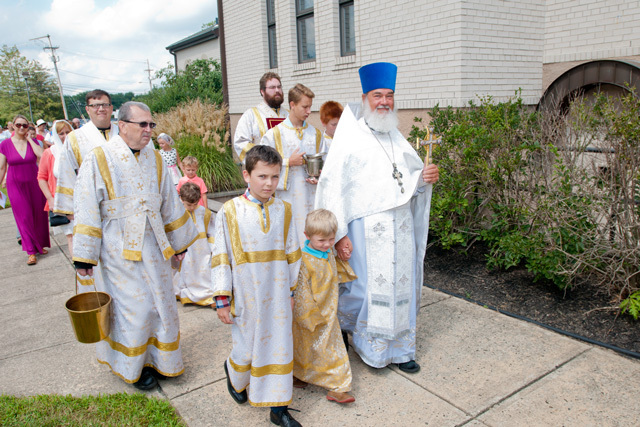 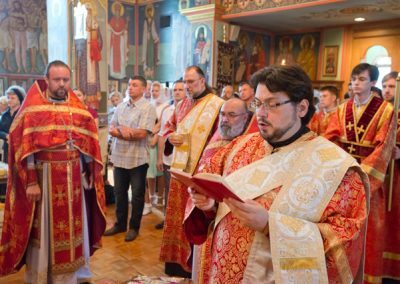 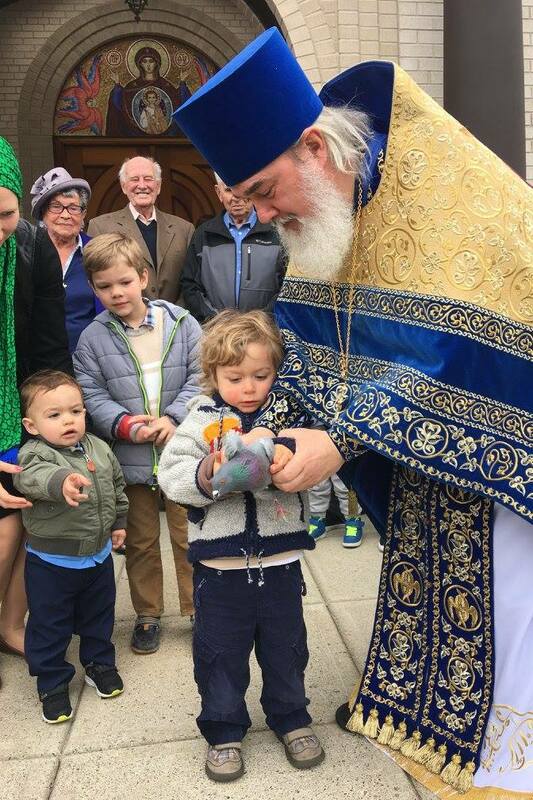 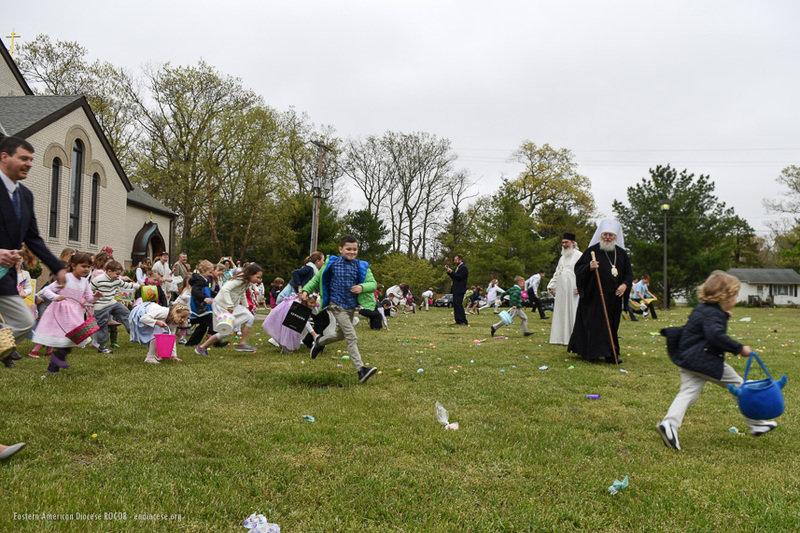 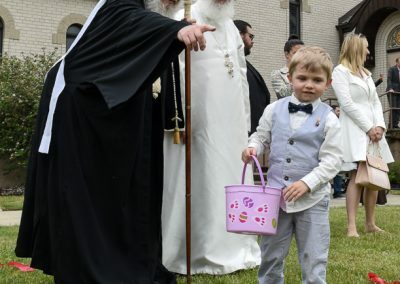 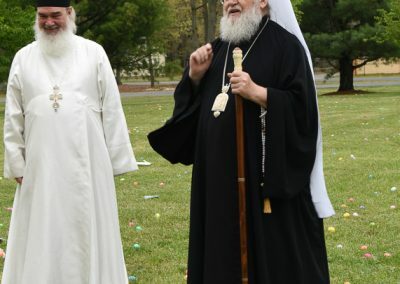 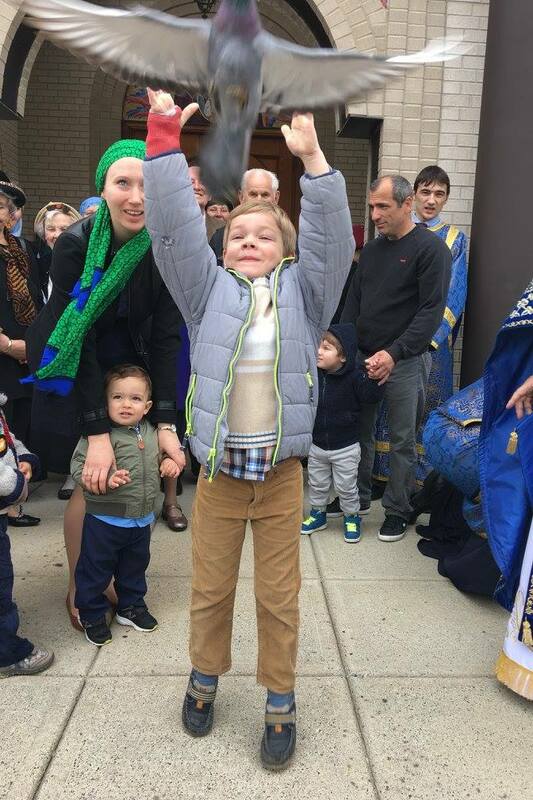 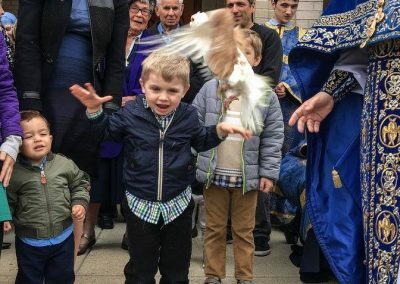 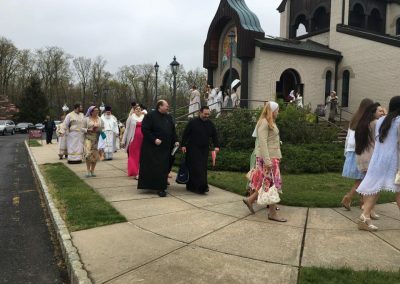 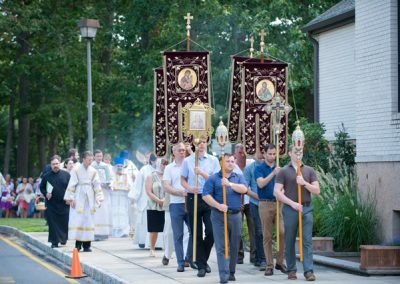 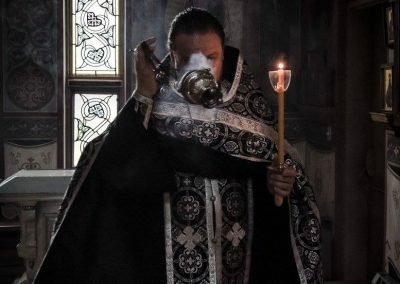 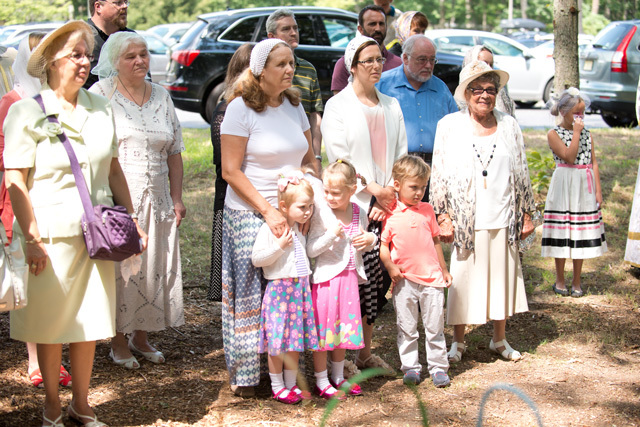 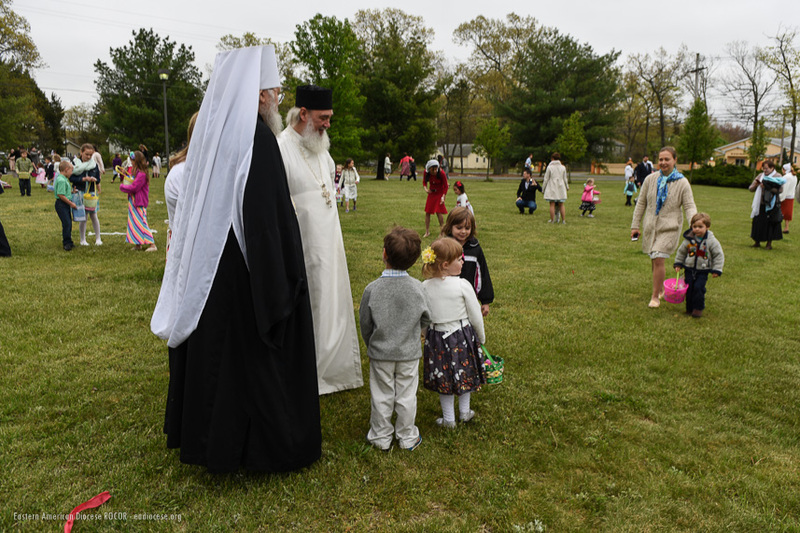 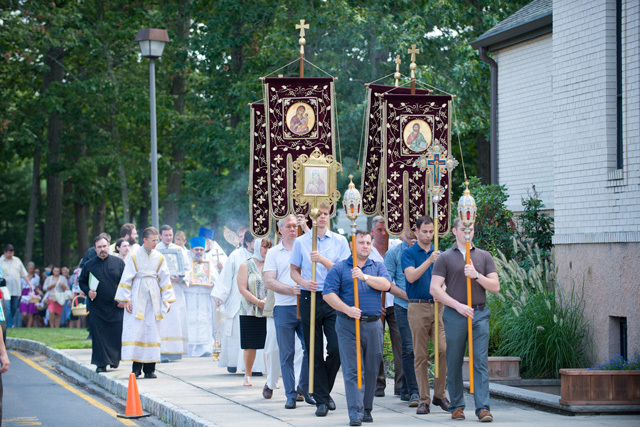 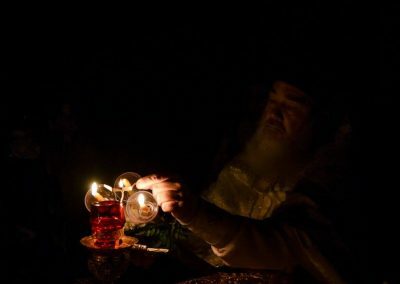 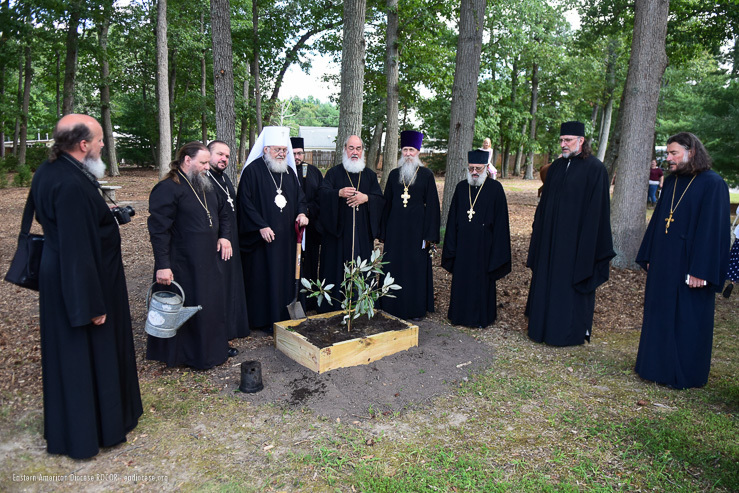 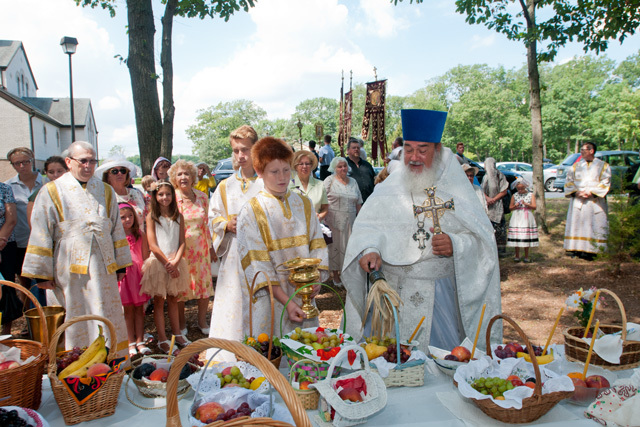 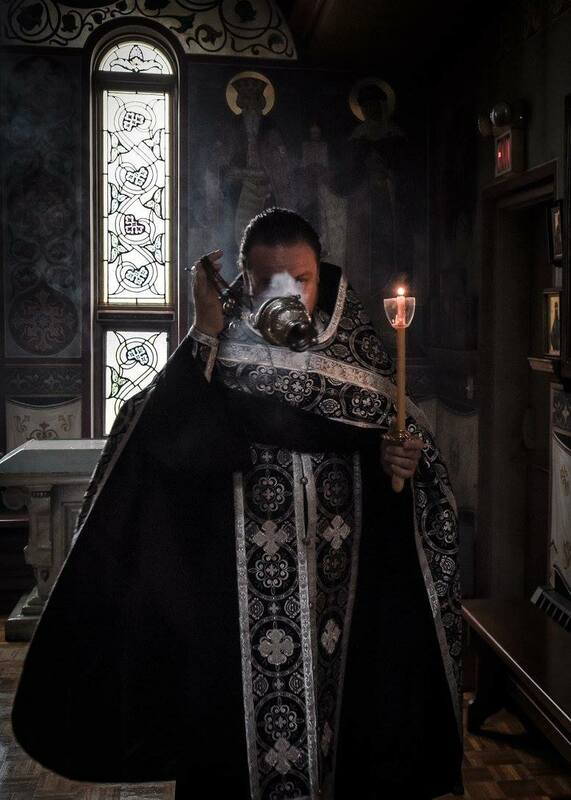 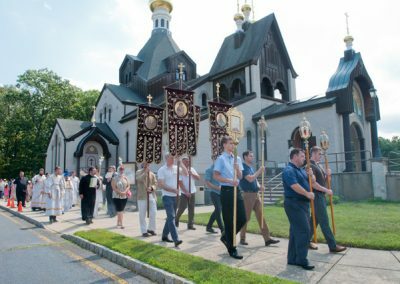 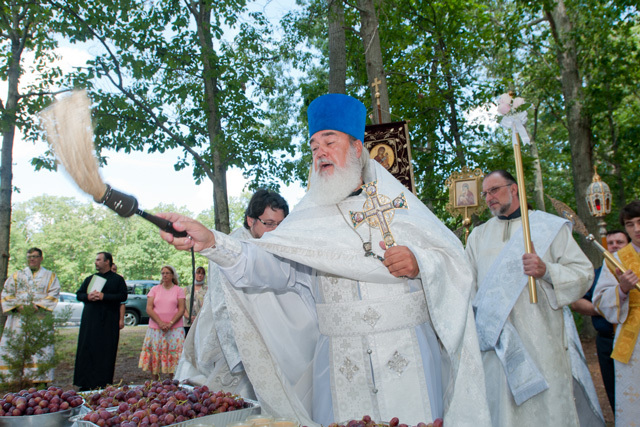 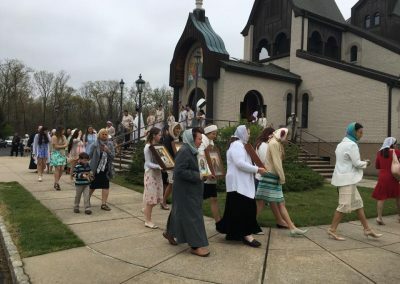 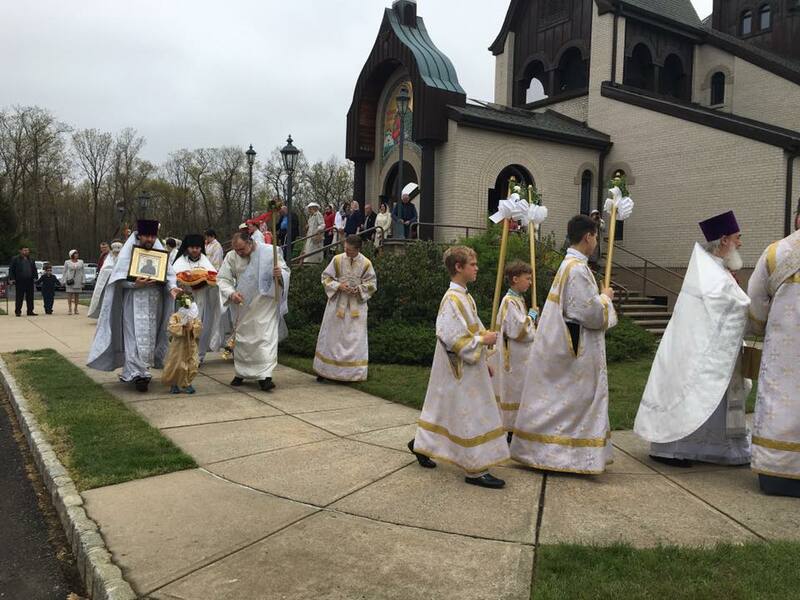 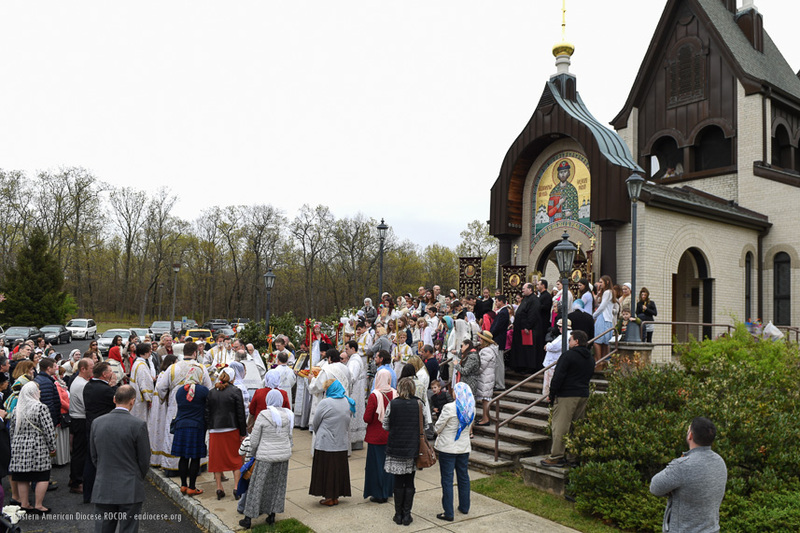 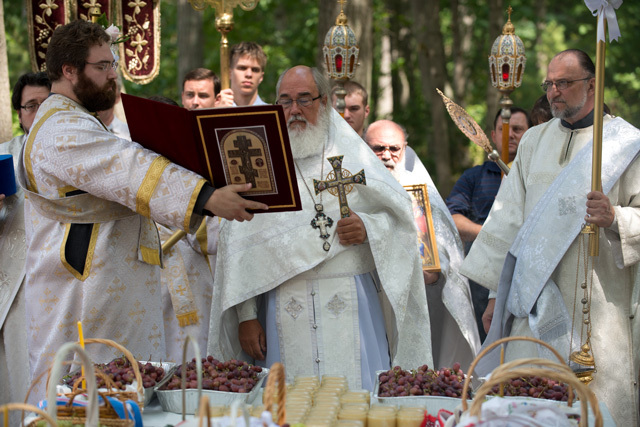 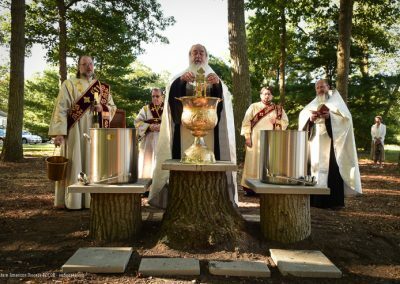 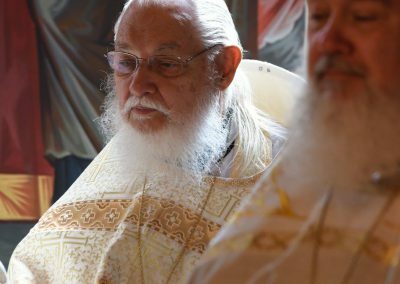 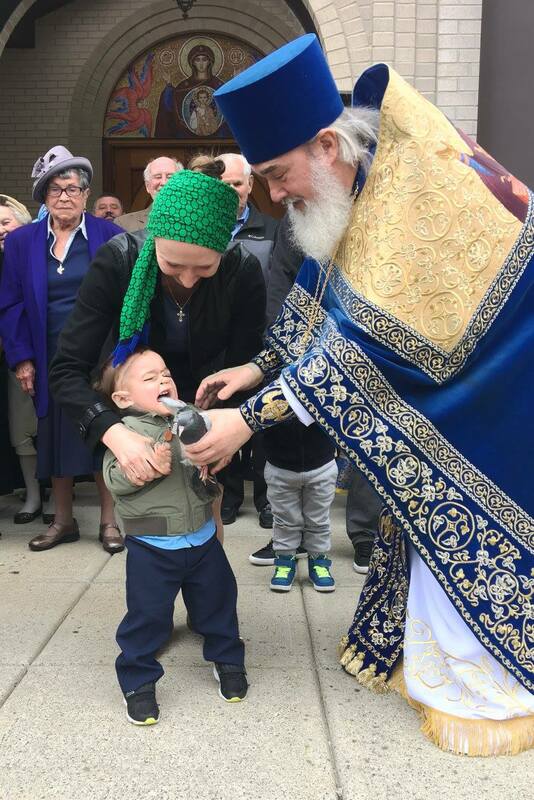 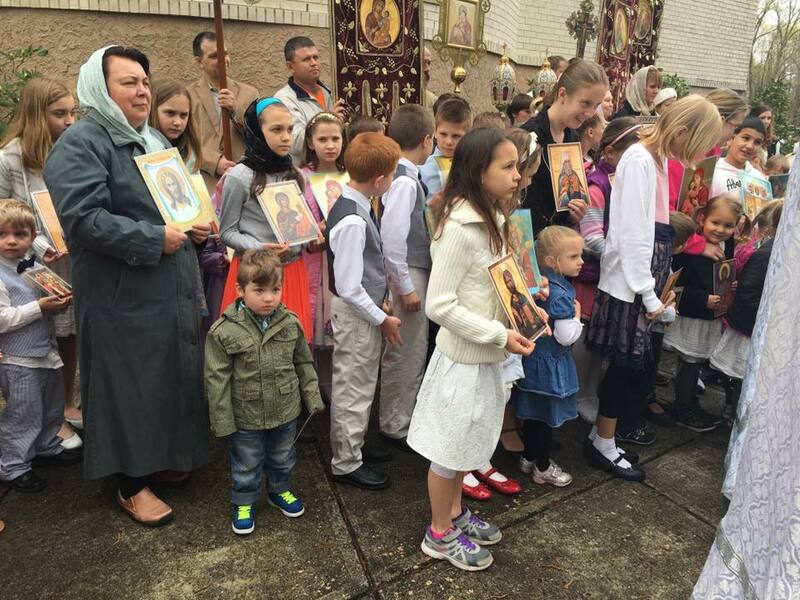 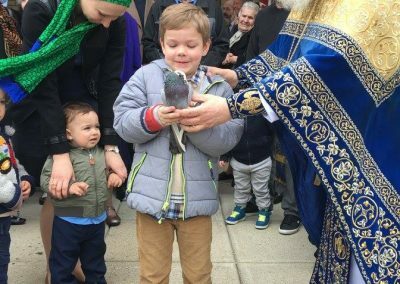 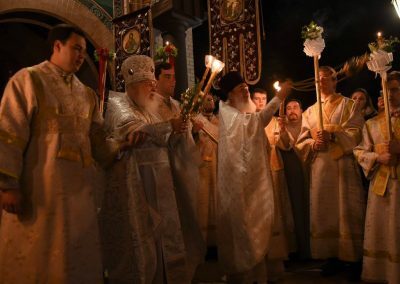 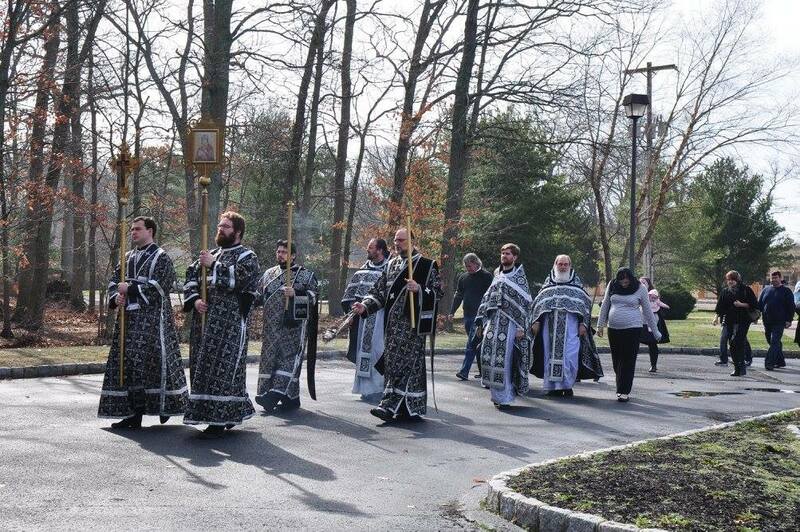 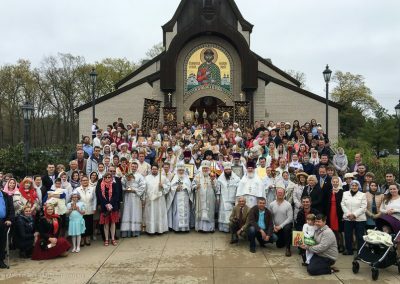 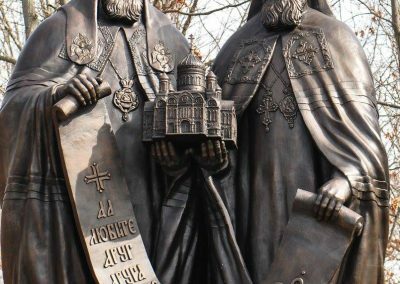 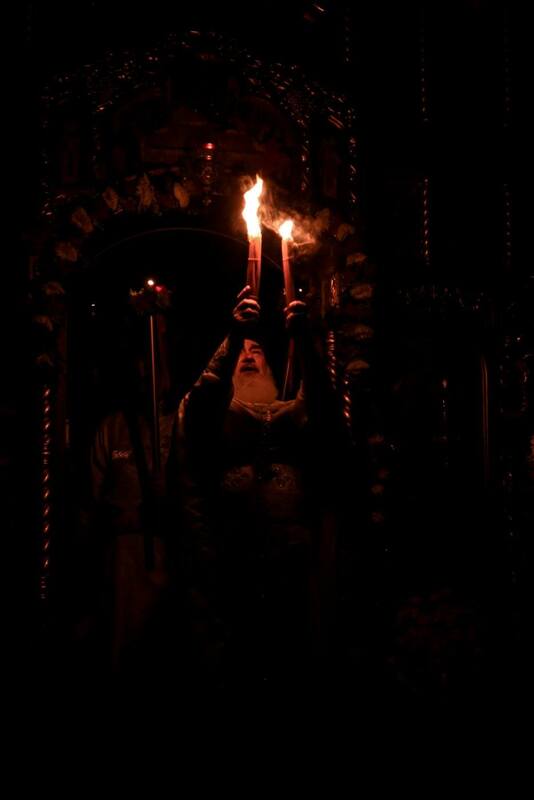 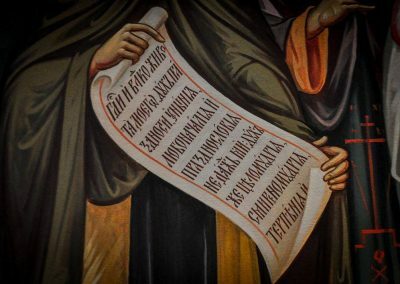 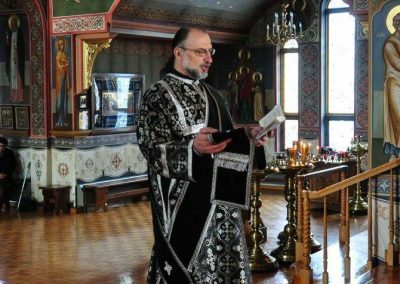 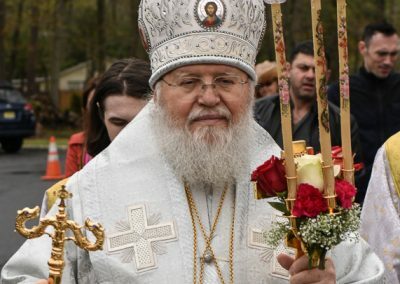 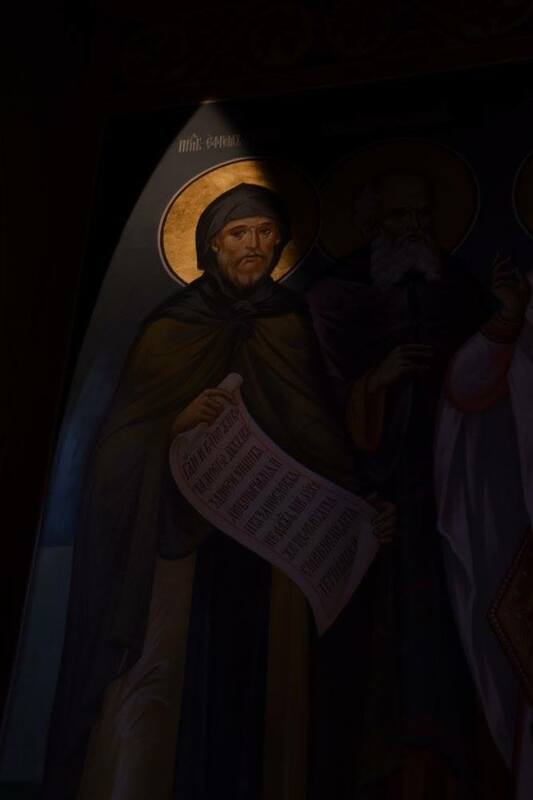 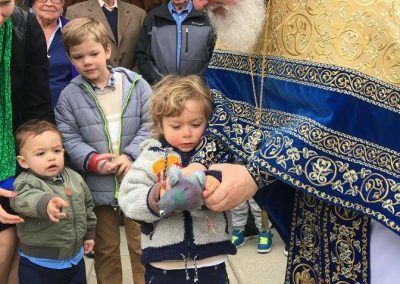 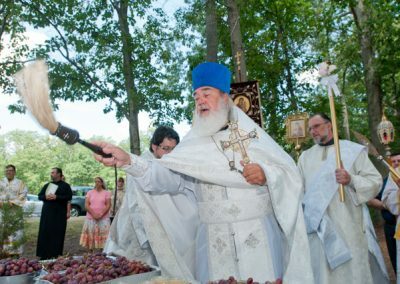 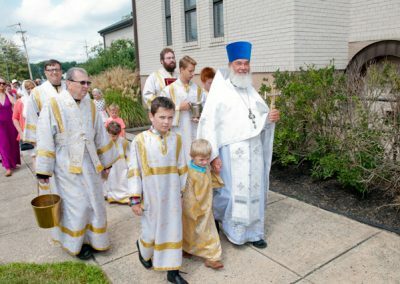 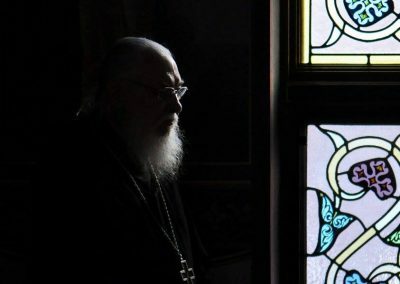 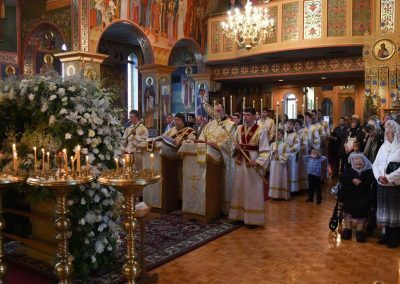 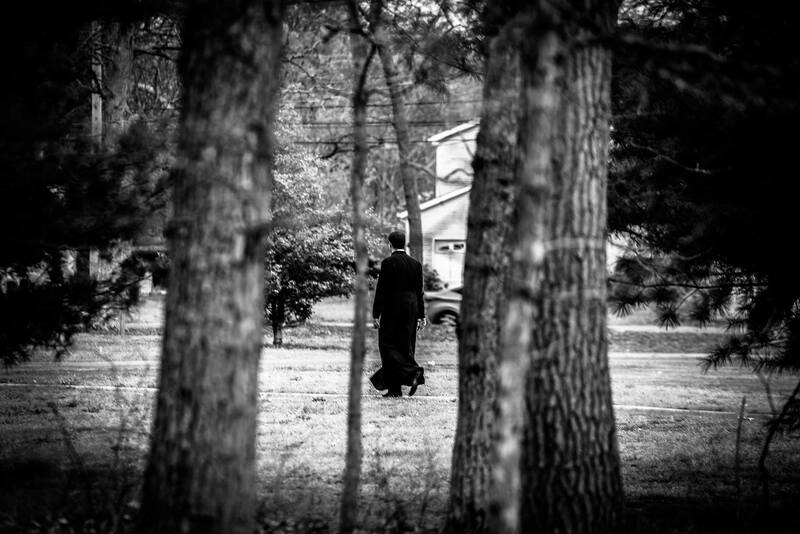 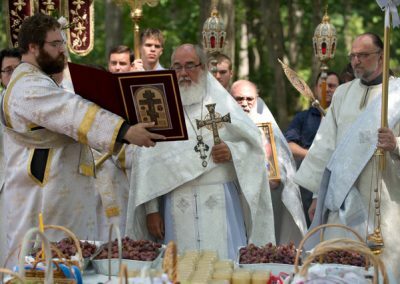 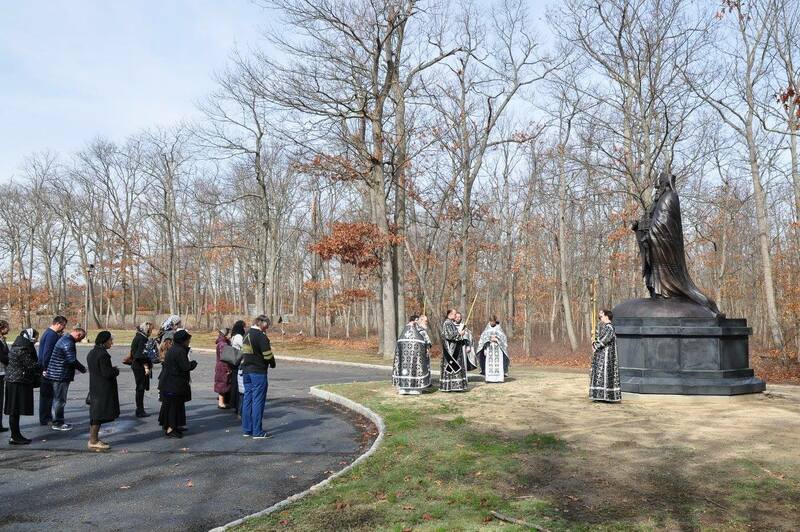 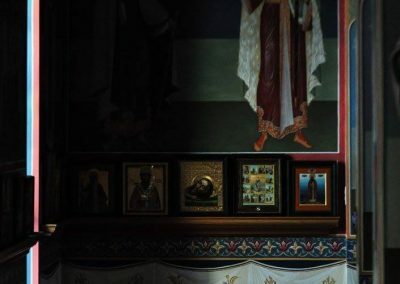 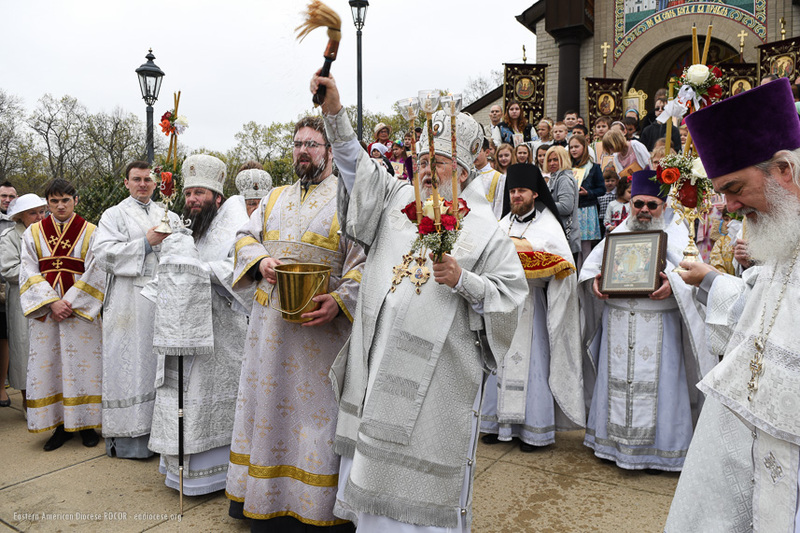 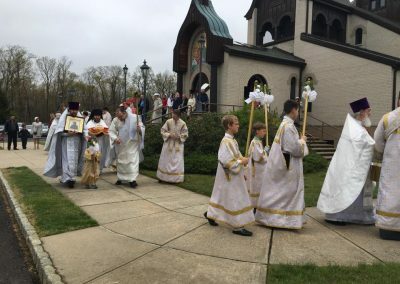 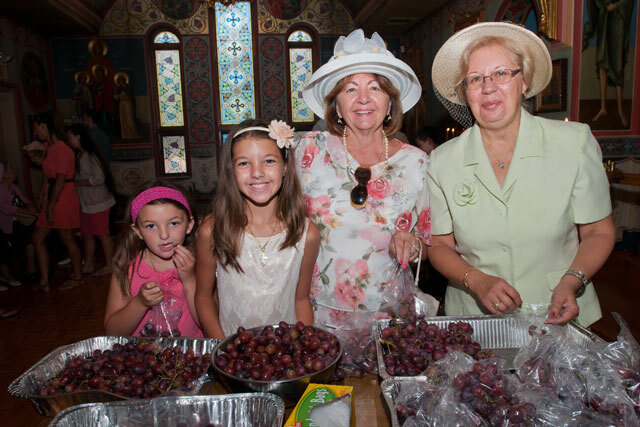 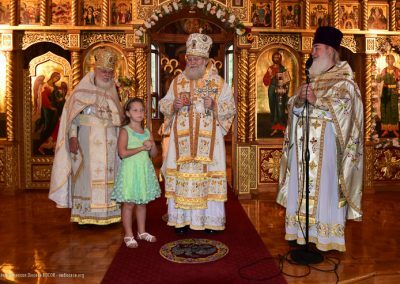 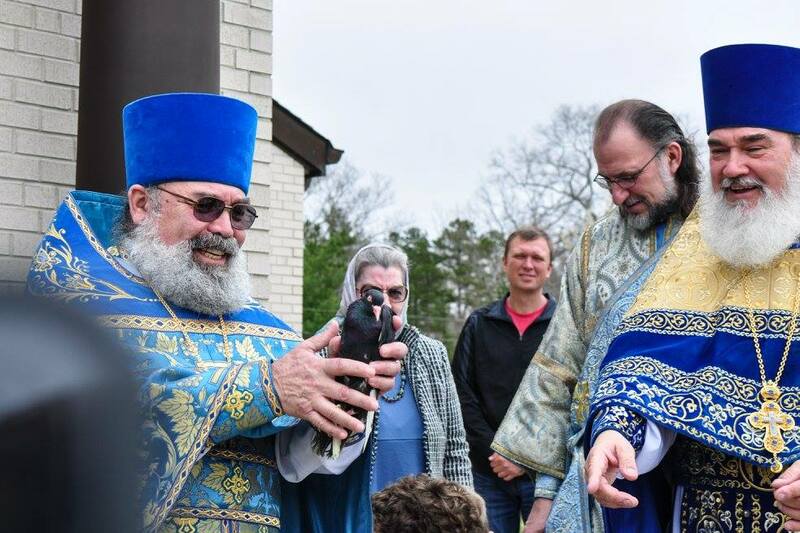 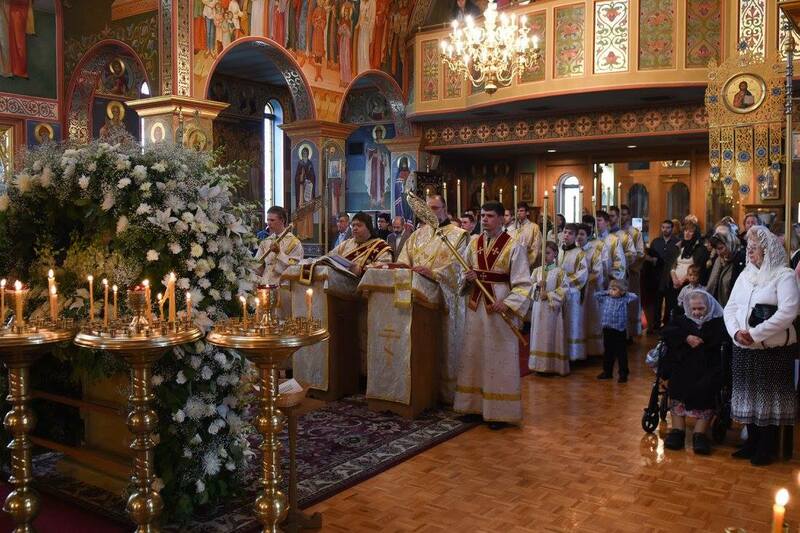 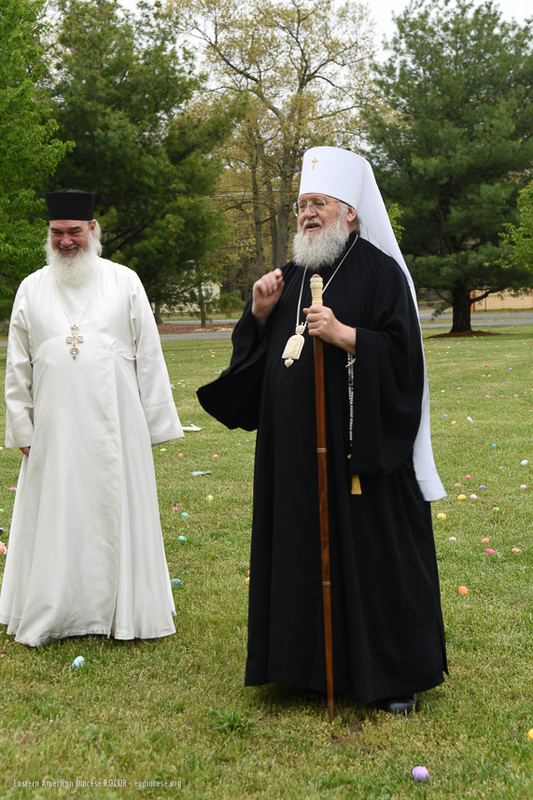 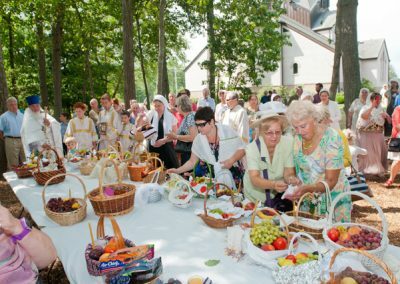 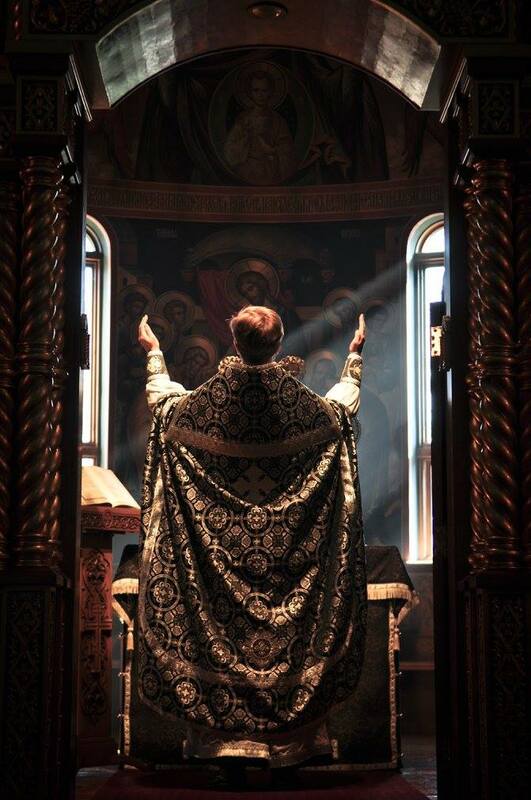 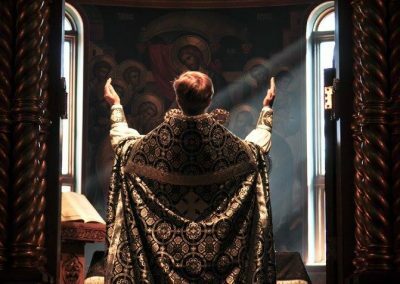 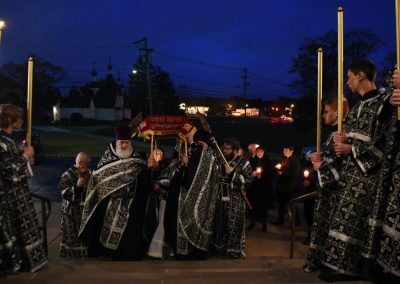 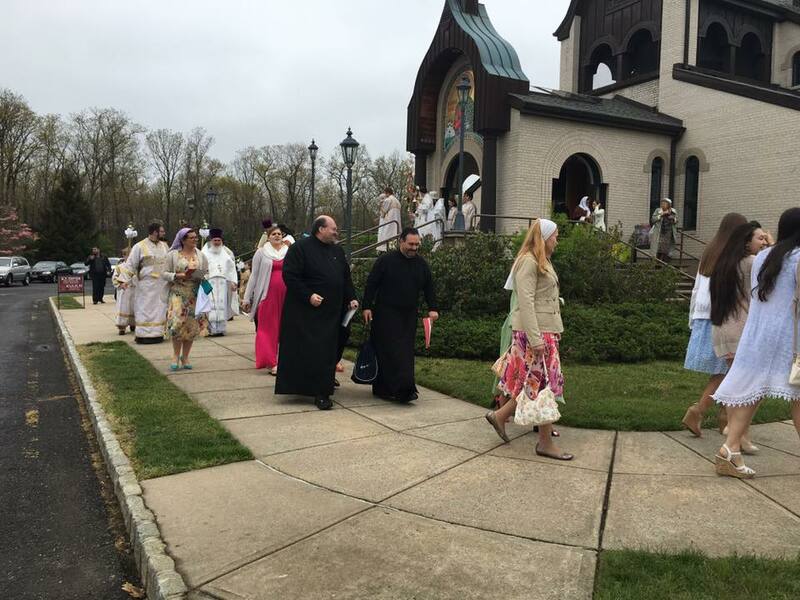 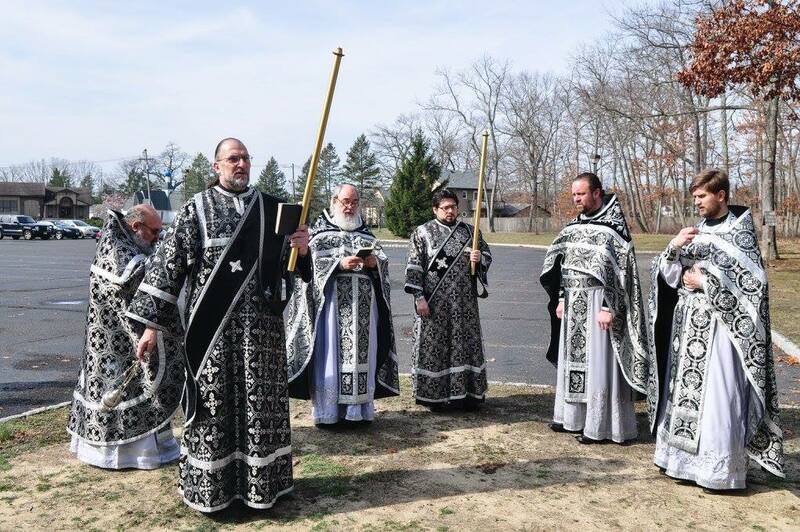 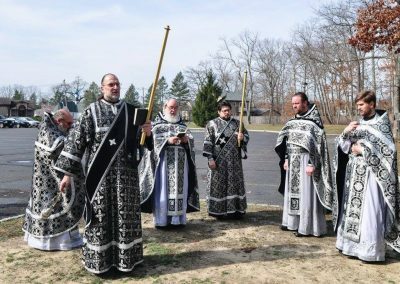 On Sunday the 11th and Monday the 12th of September, the patronal feast day of St. Alexander Nevsky Diocesan Cathedral in Howell, NJ, Metropolitan Hilarion of Eastern America & New York led the All-Night Vigil and celebrated the Divine Liturgy at the Diocesan Center. 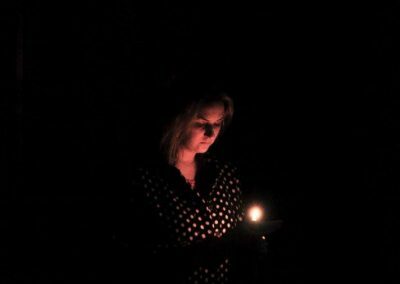 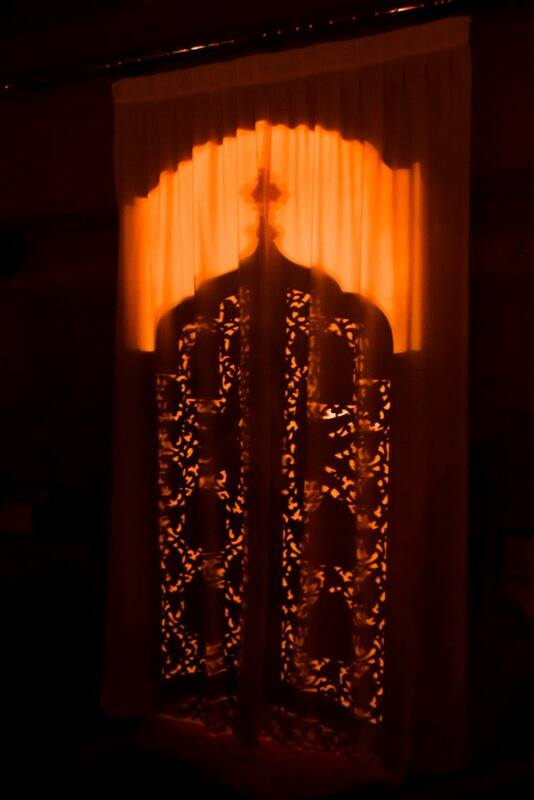 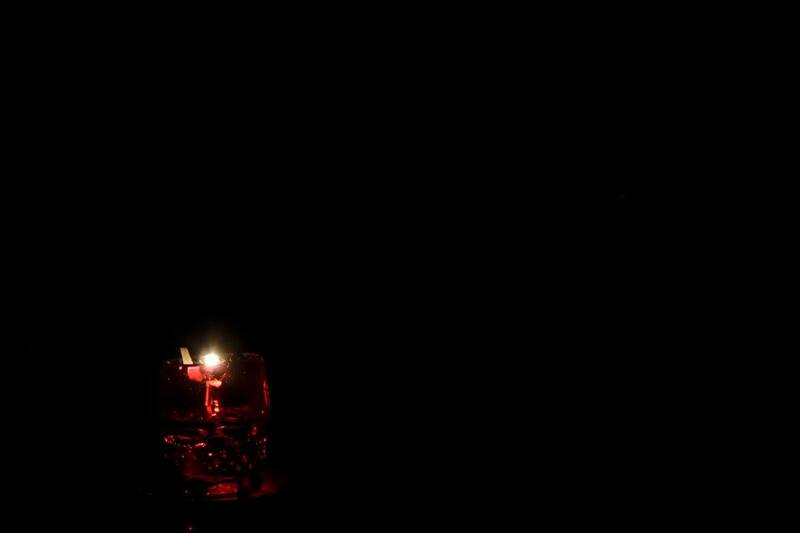 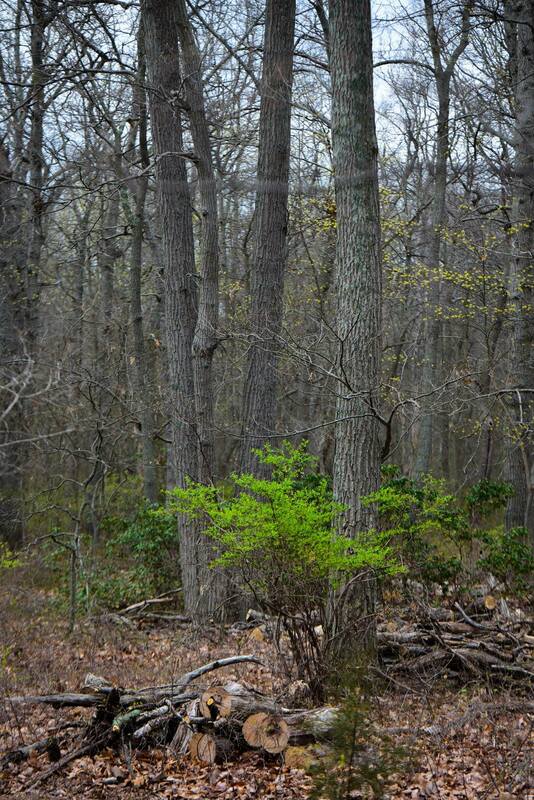 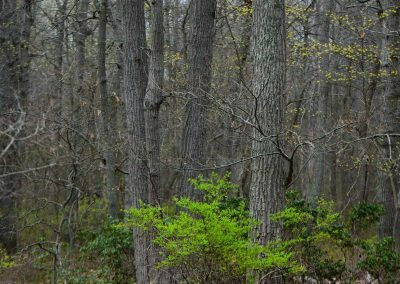 For an article and more photos, CLICK HERE.